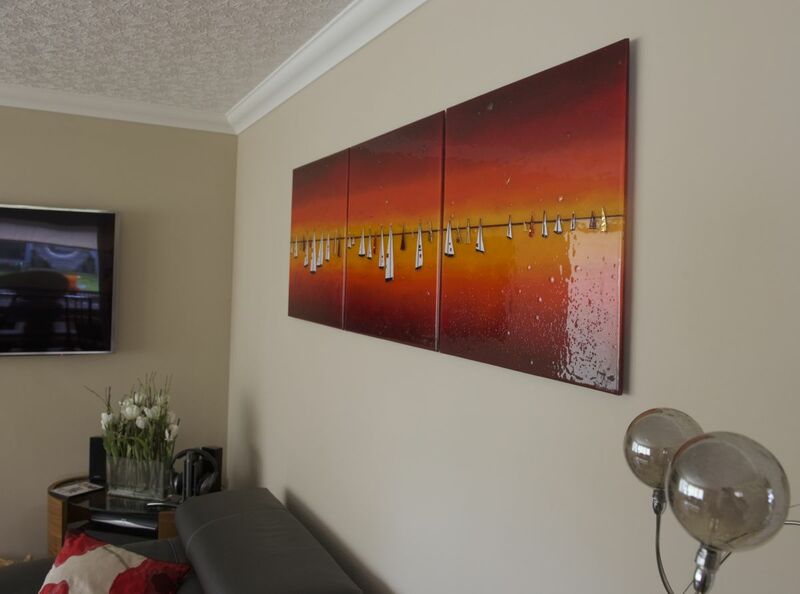 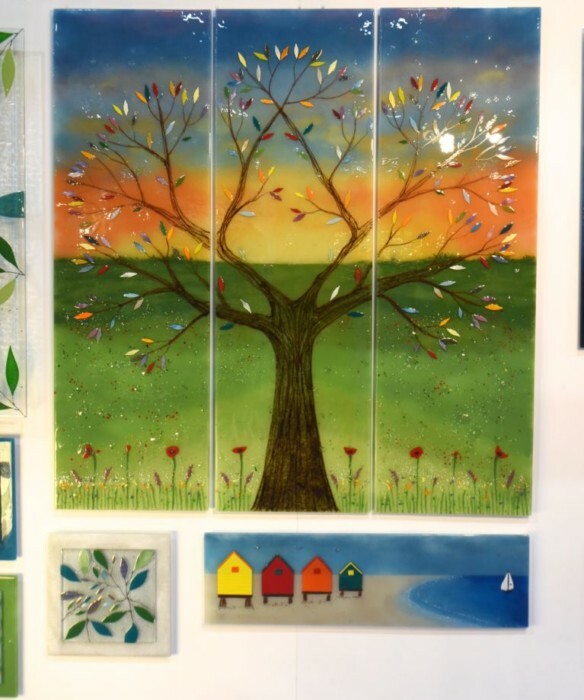 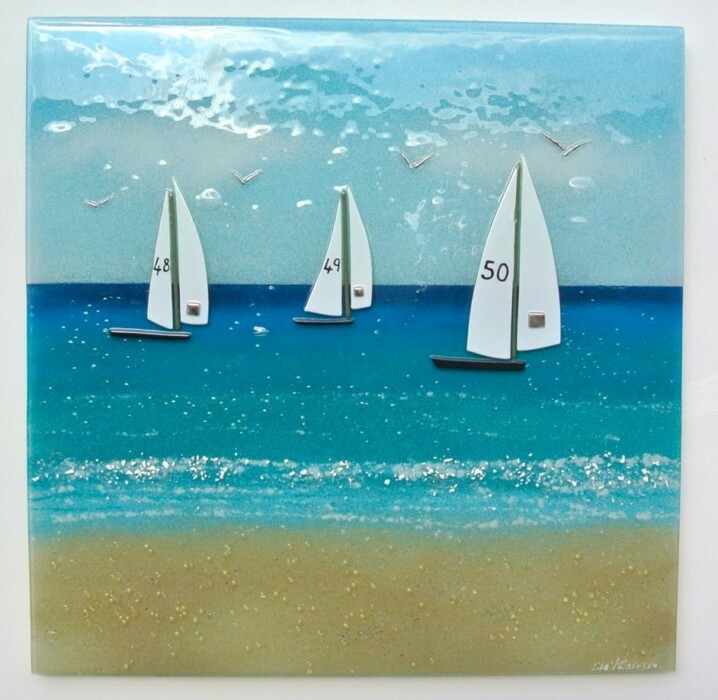 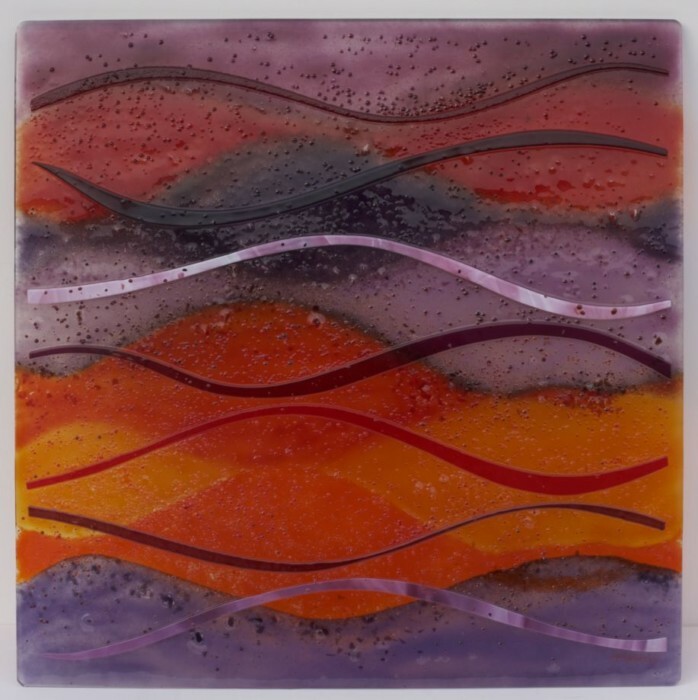 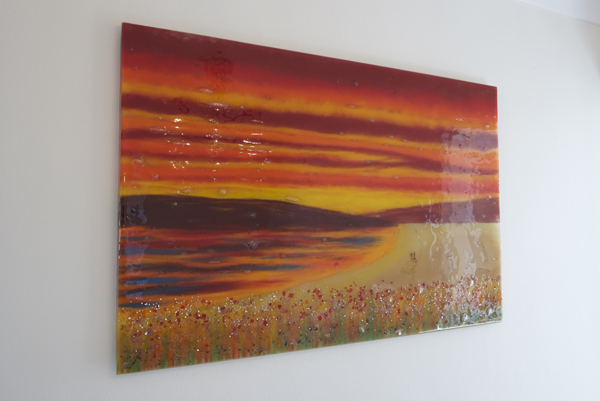 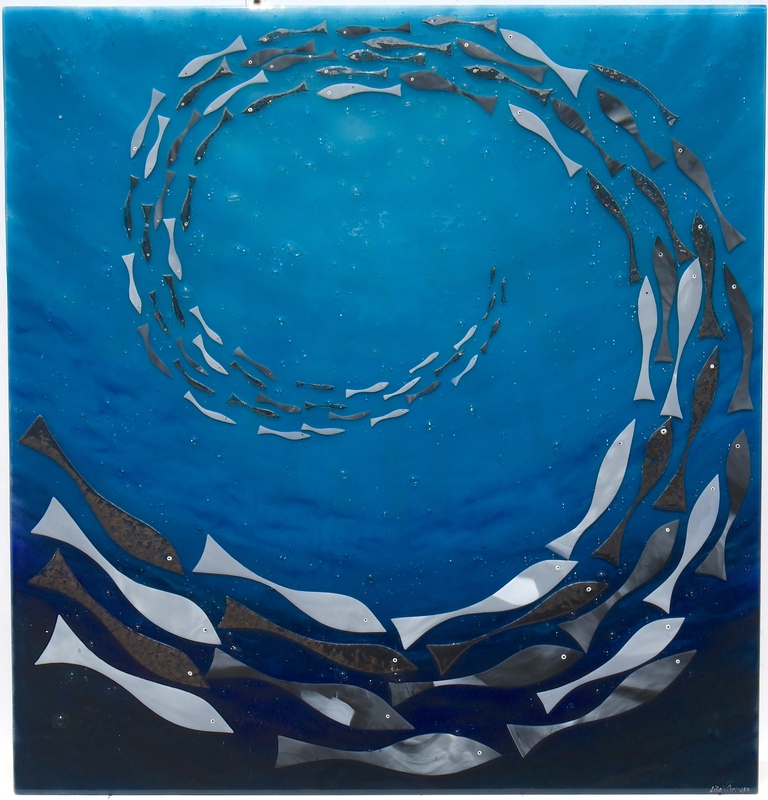 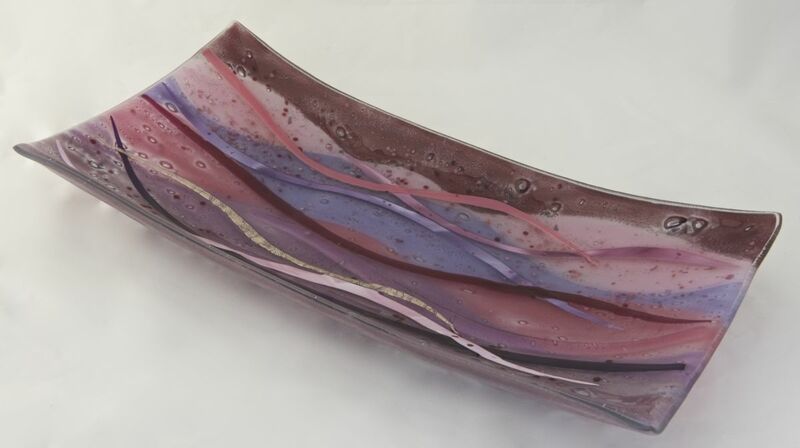 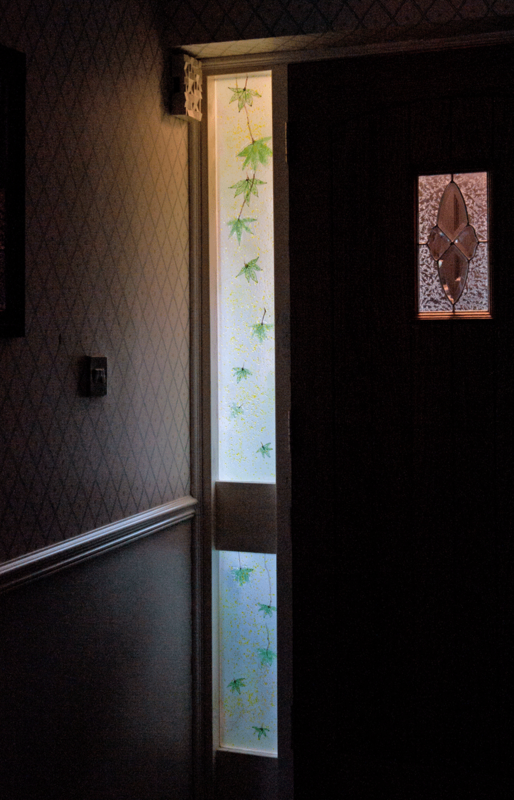 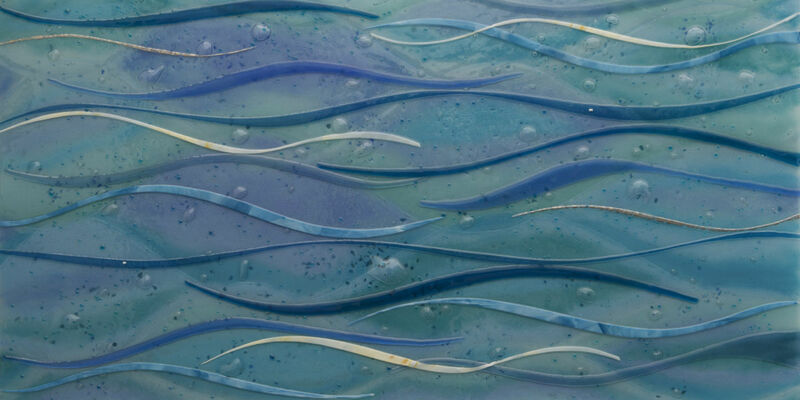 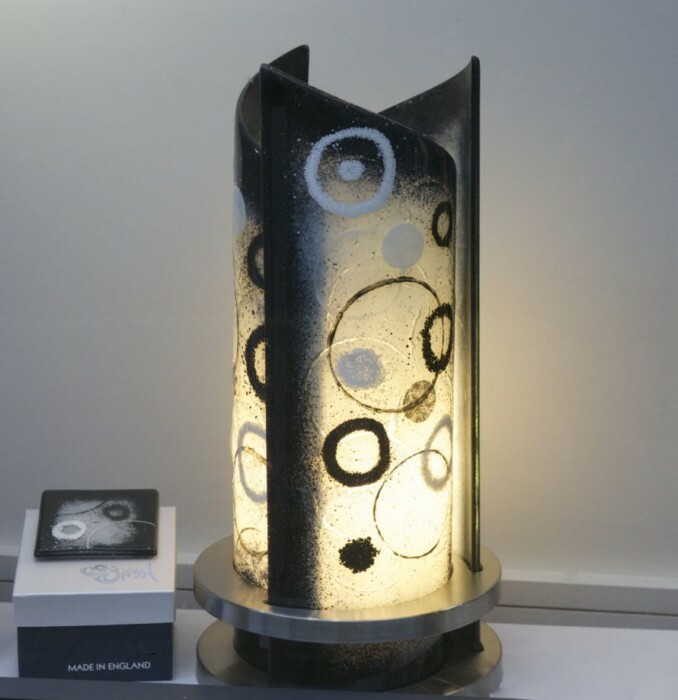 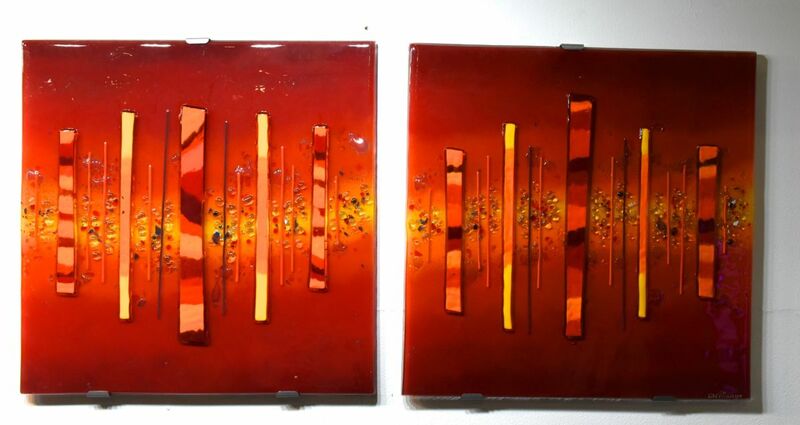 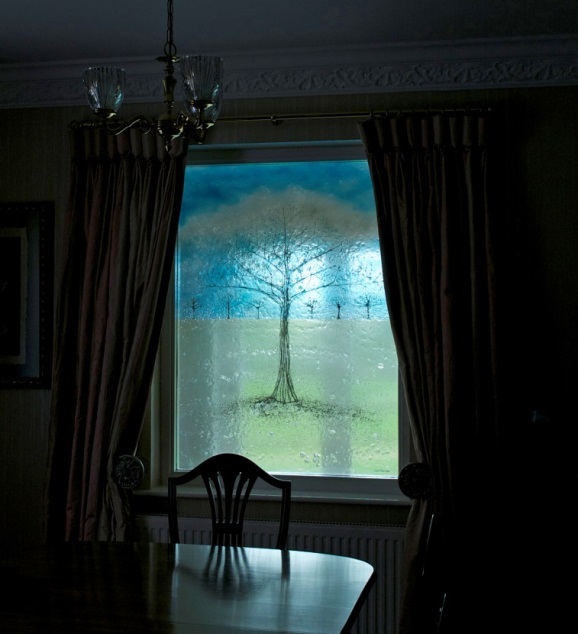 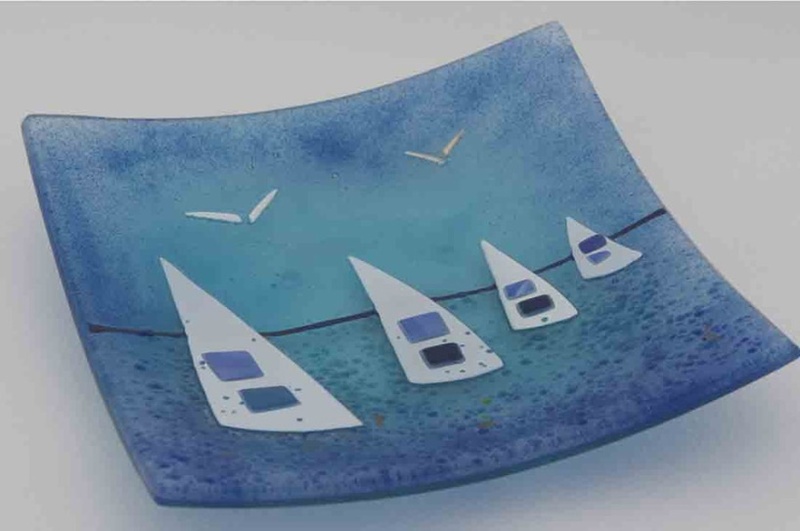 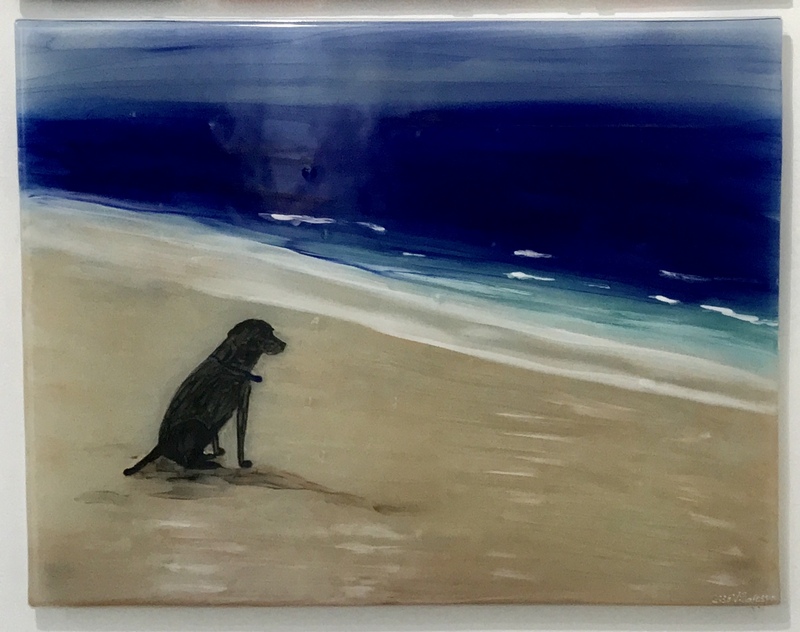 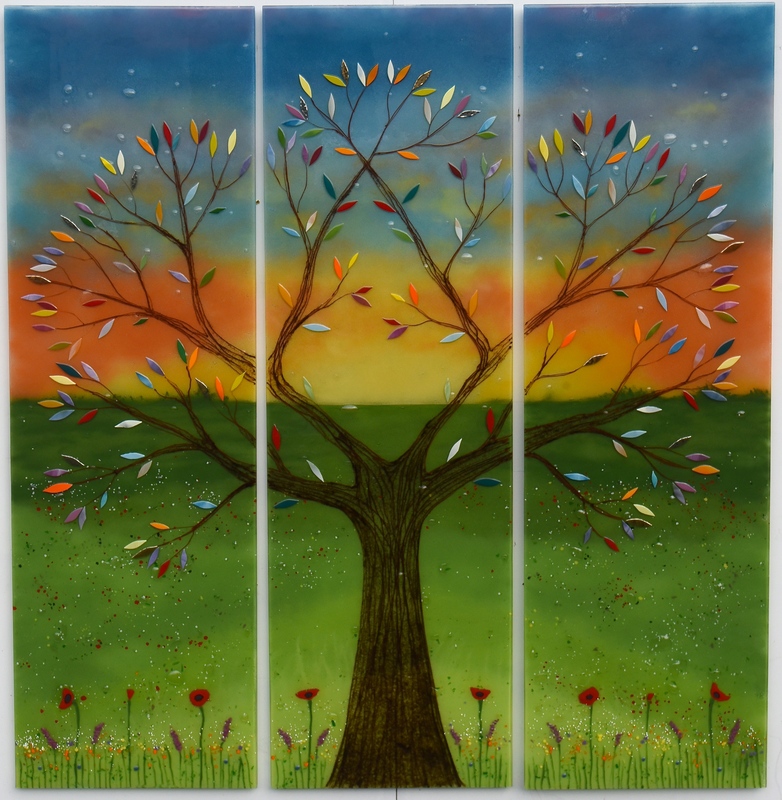 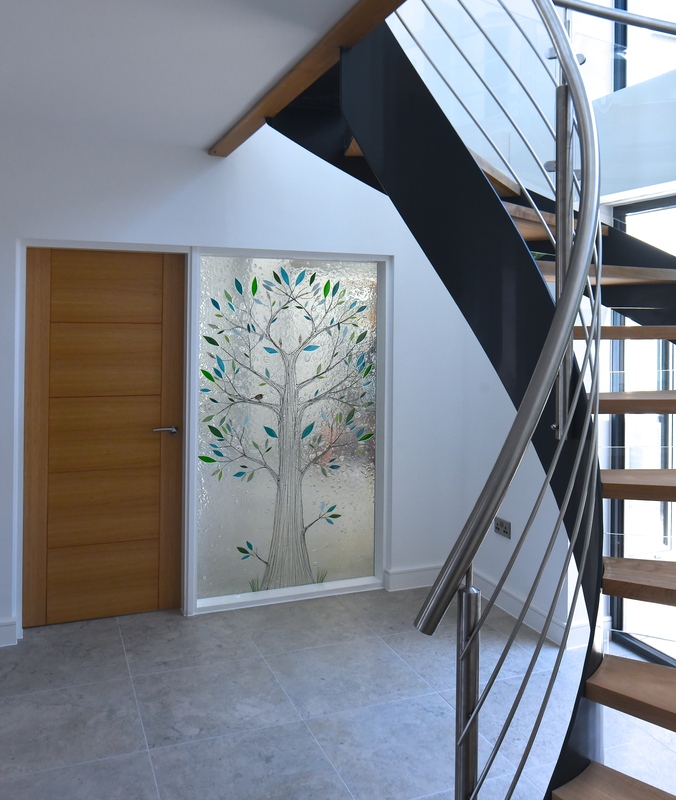 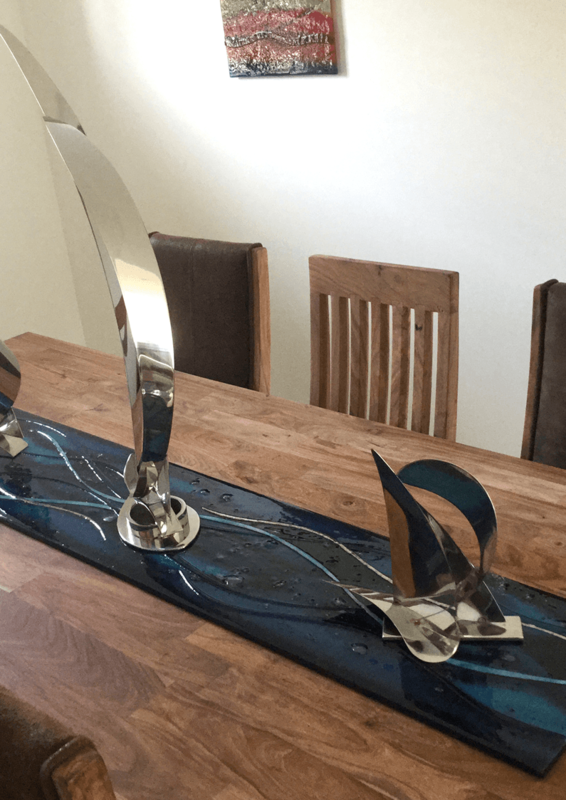 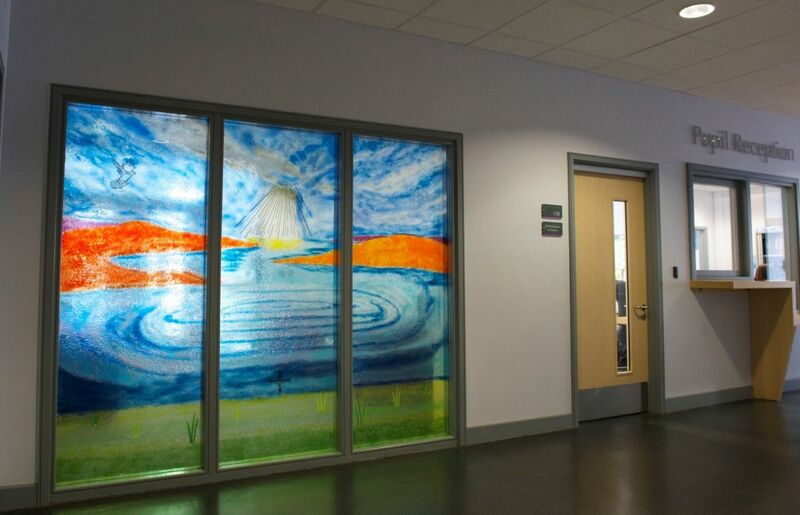 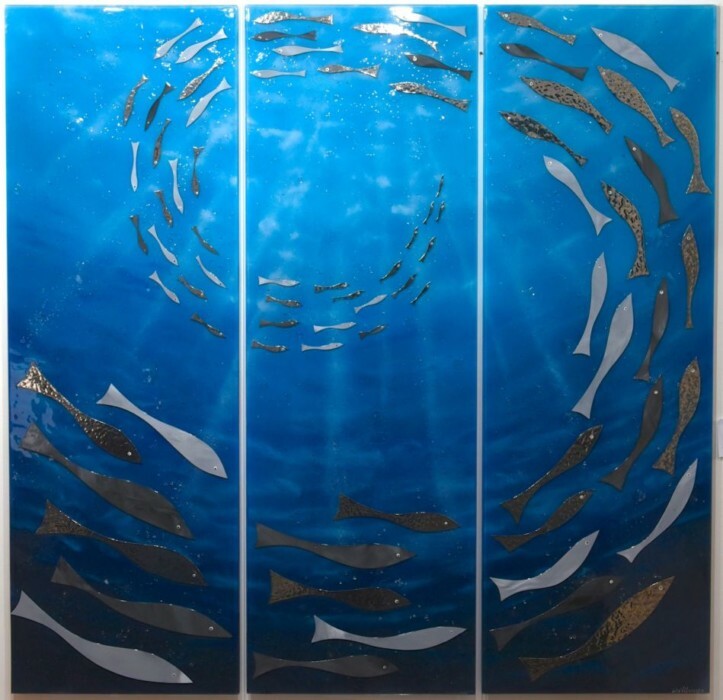 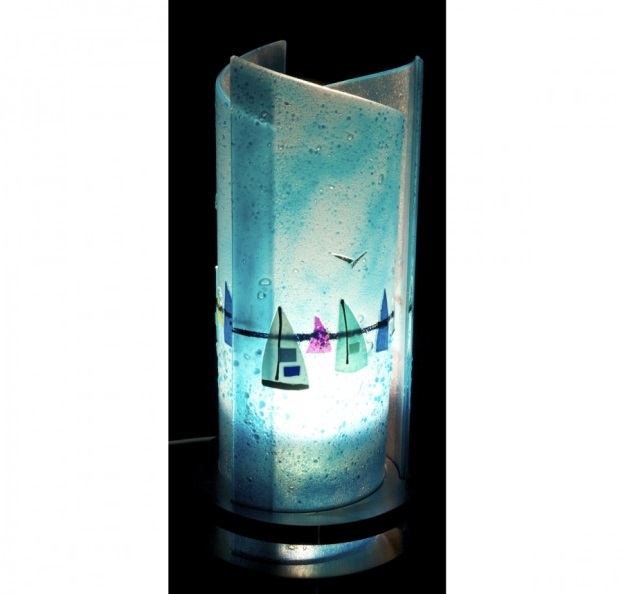 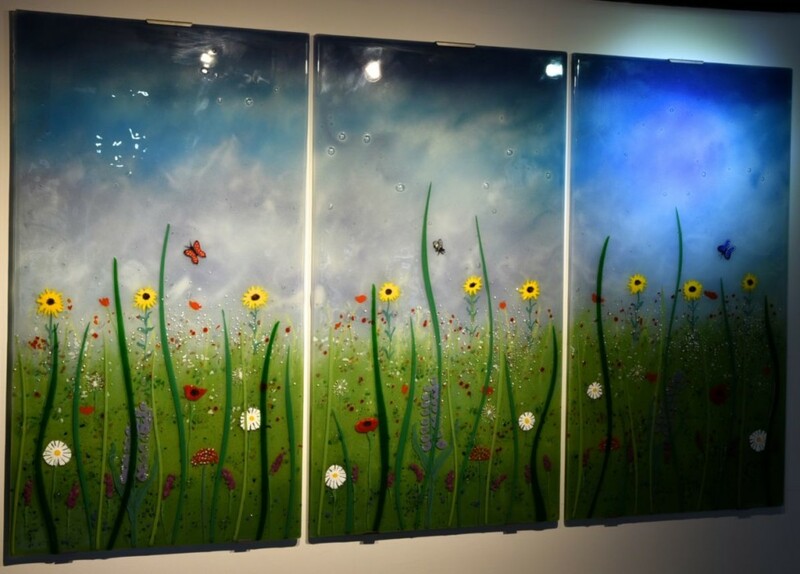 We’ve talked about images in glass before, and this piece from Urmston, Manchester definitely showcases how the medium of fused glass art is perfect for creating beautiful, evocative scenes. 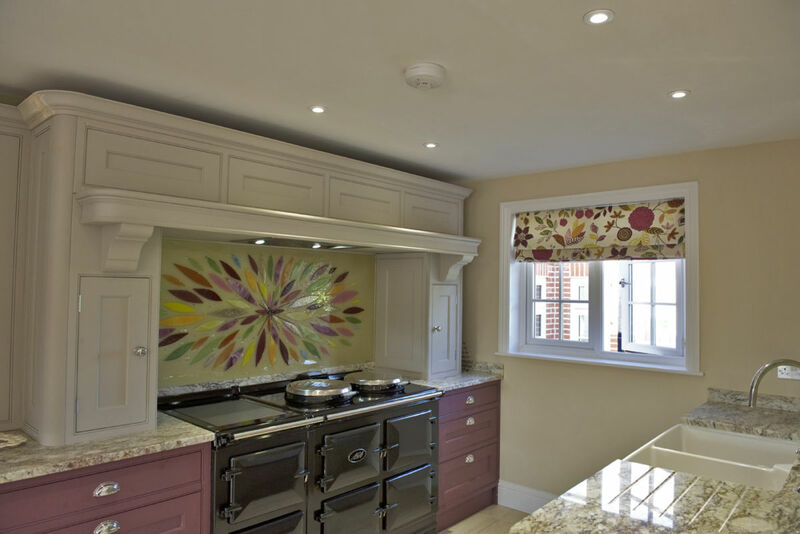 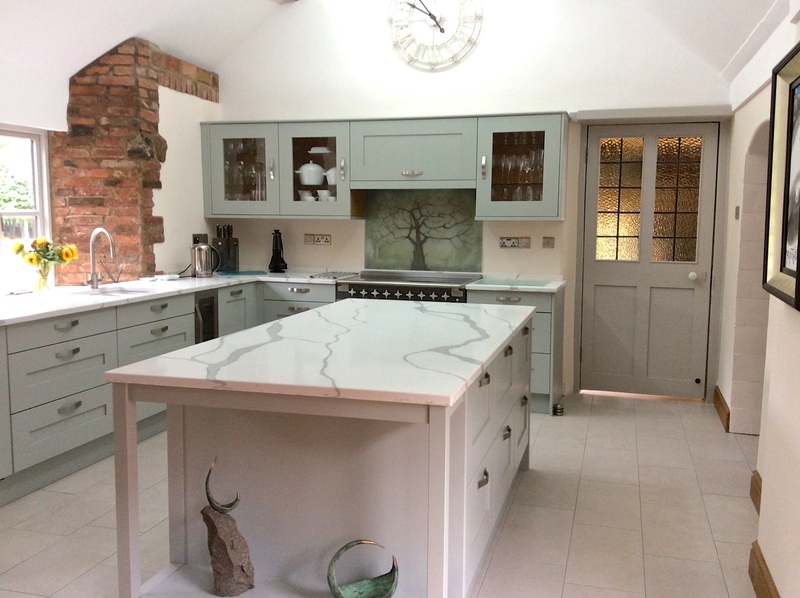 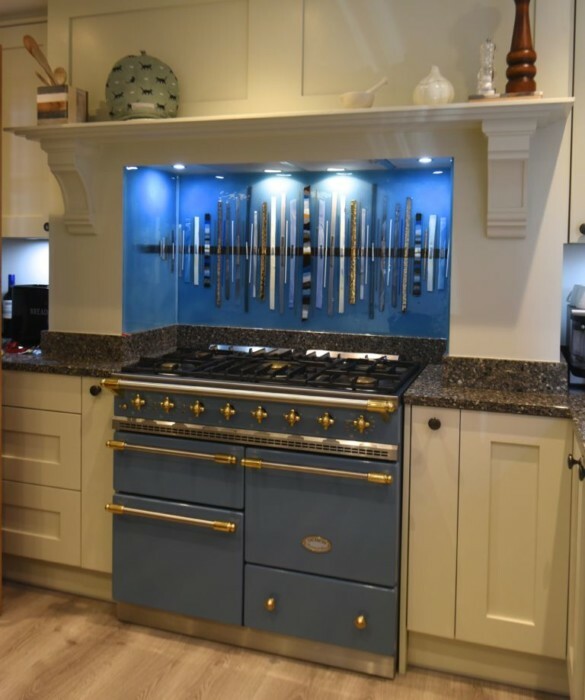 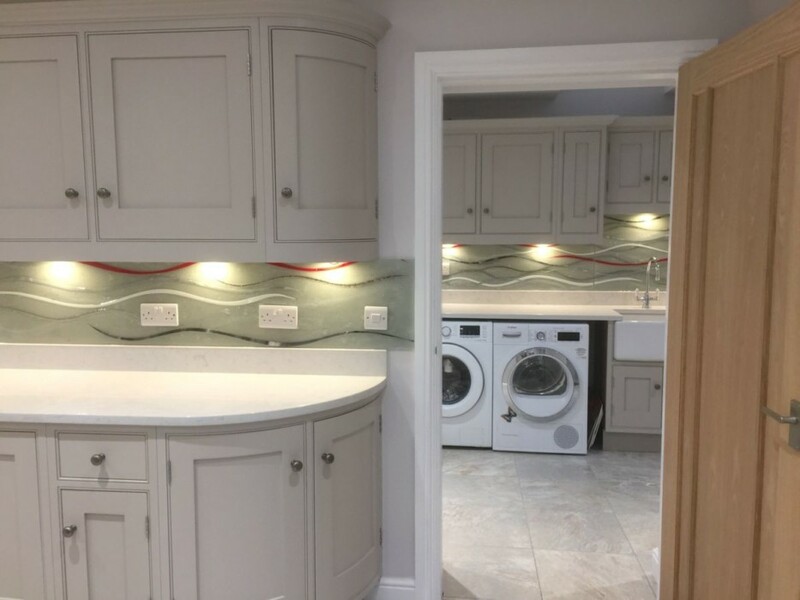 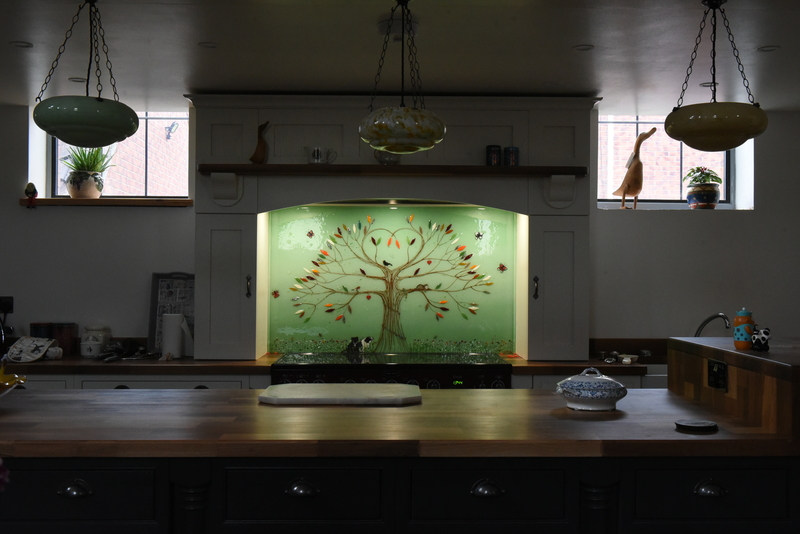 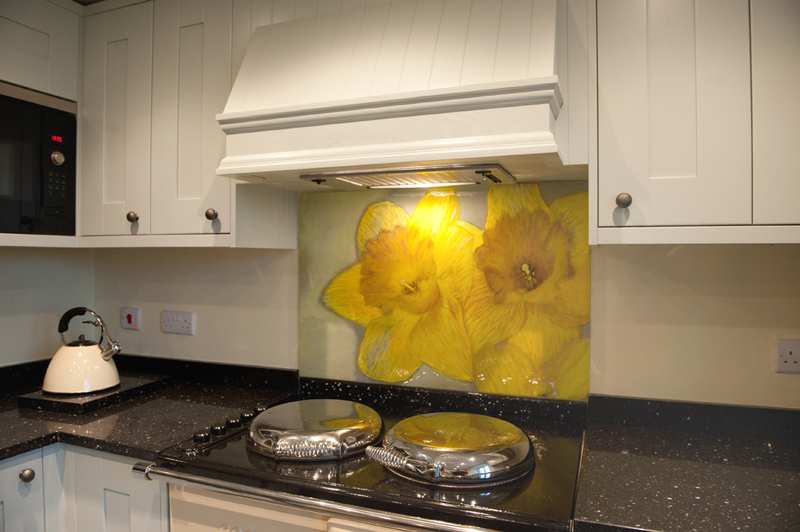 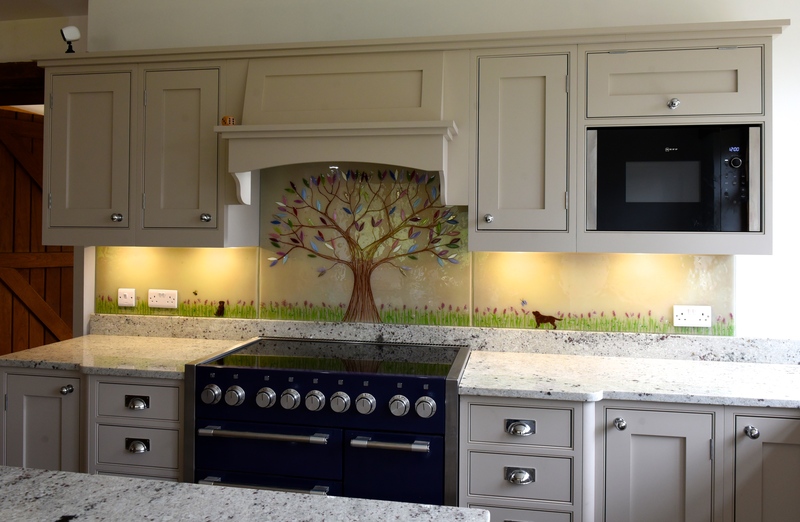 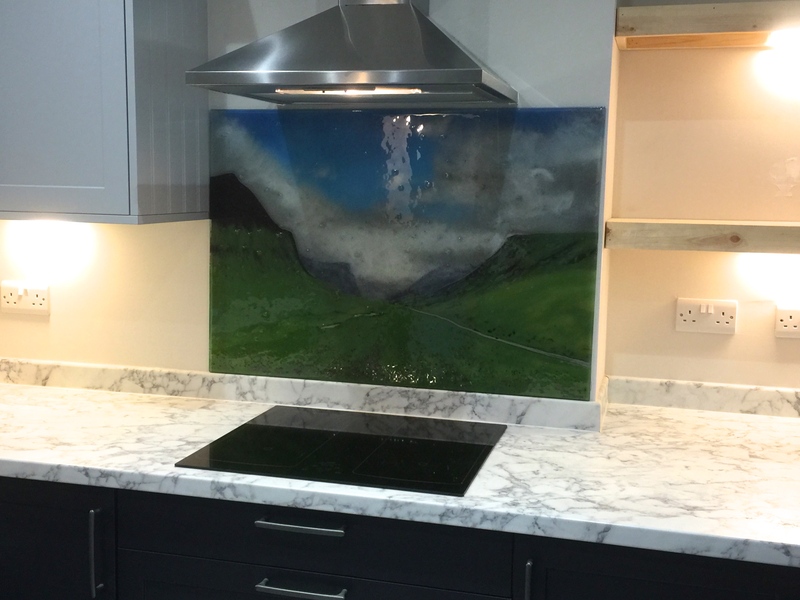 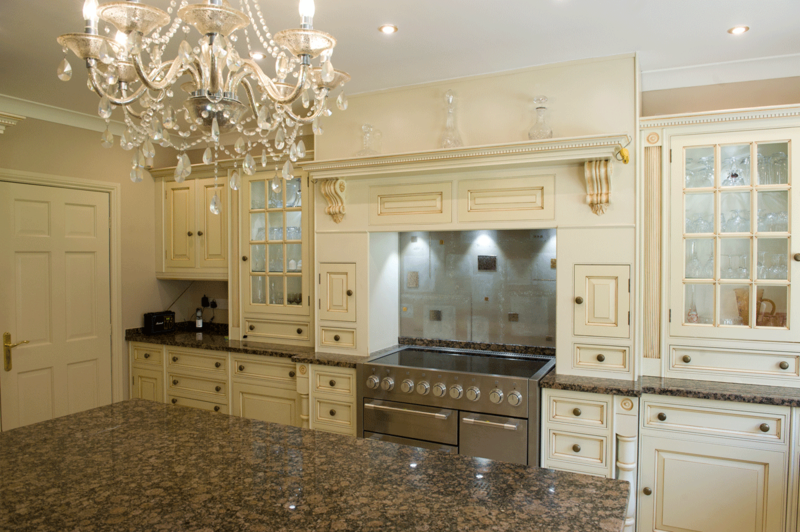 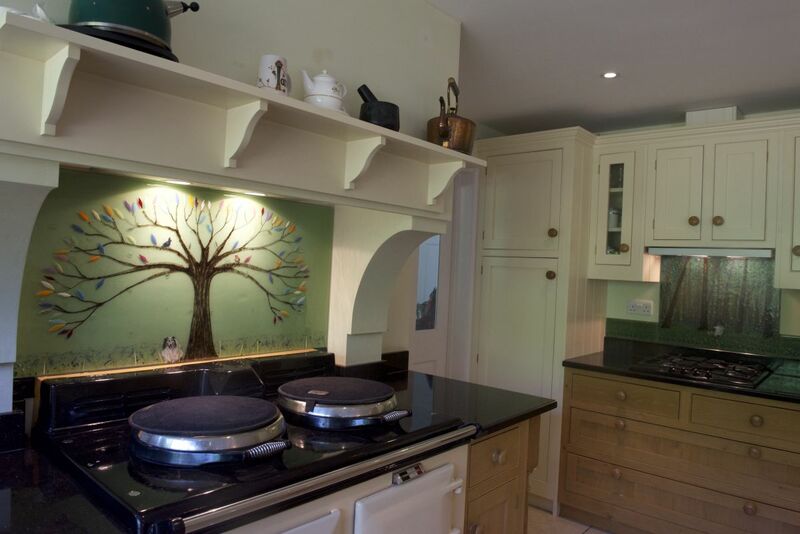 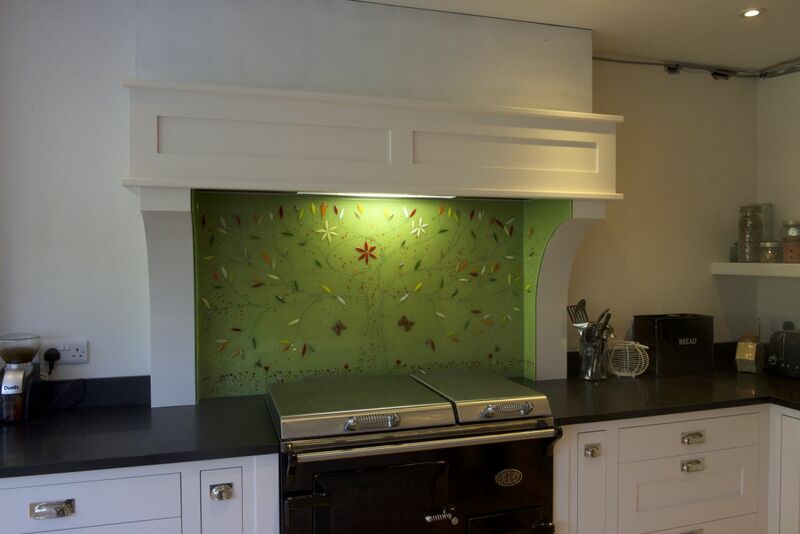 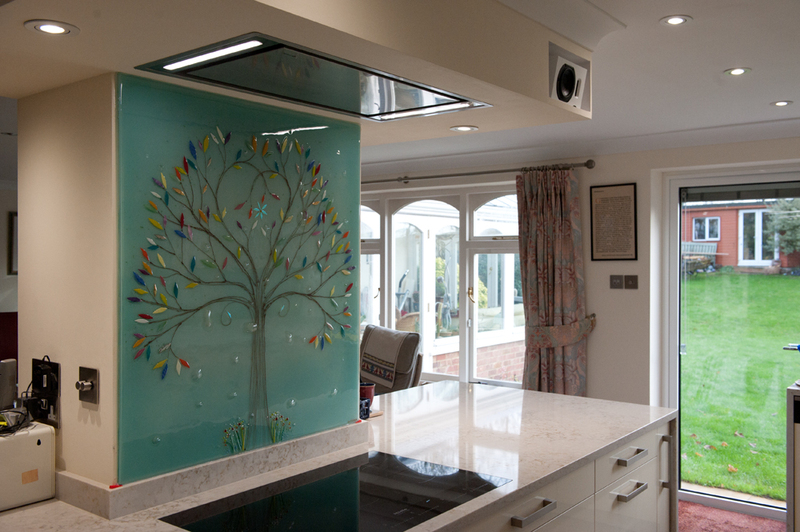 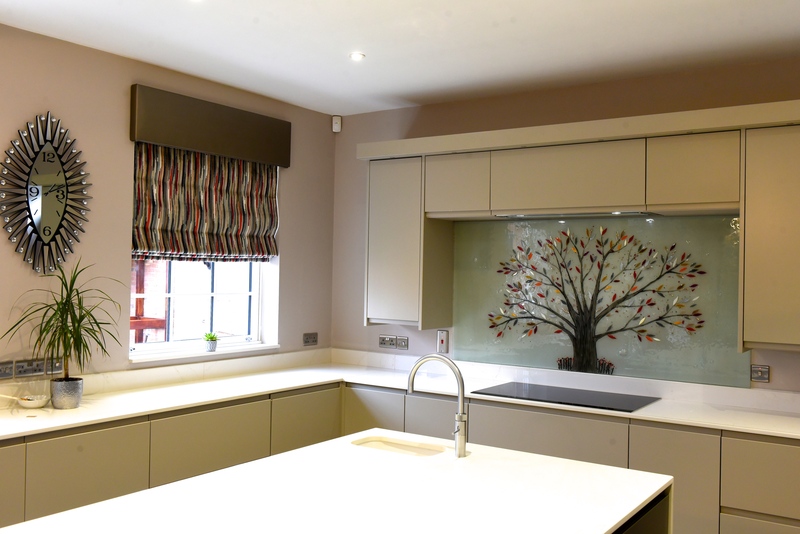 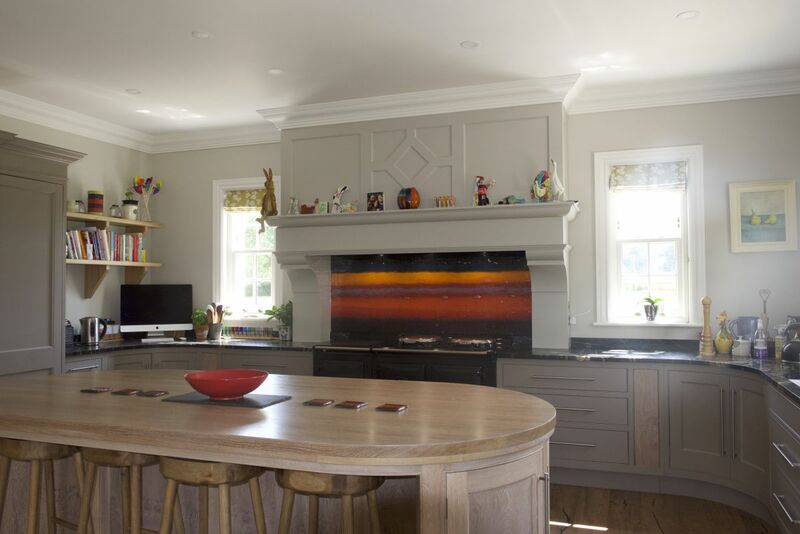 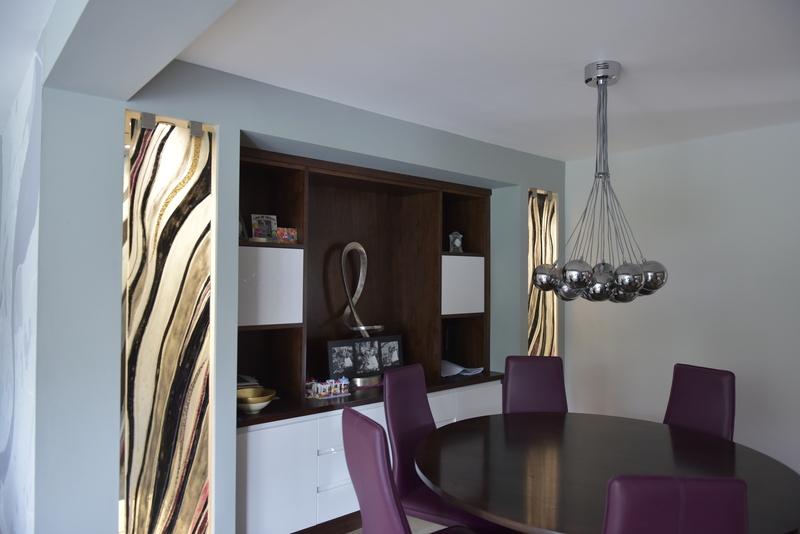 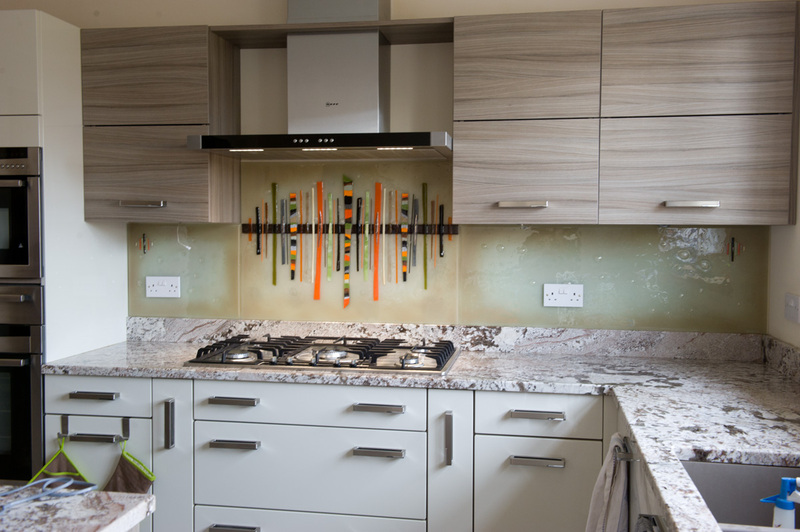 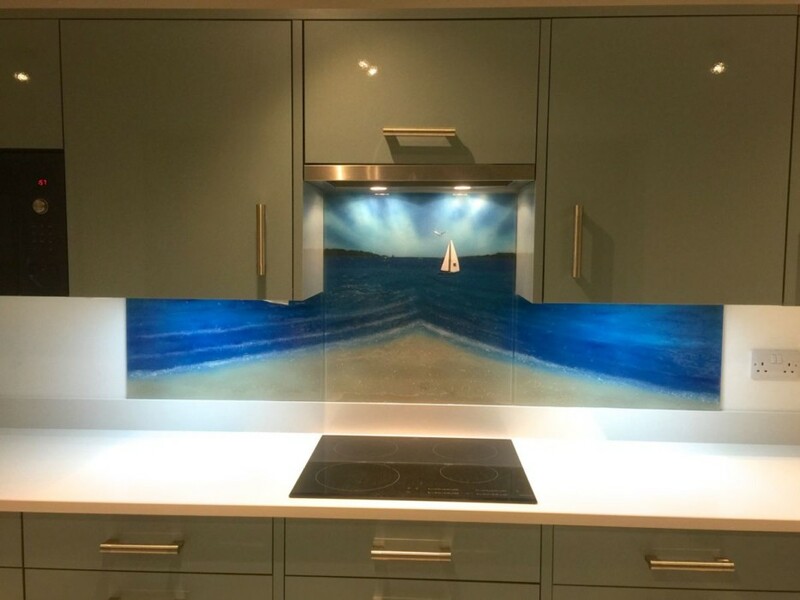 It’s one of our older custom glass splashbacks, created around 2015, but it’s definitely not lost any of its beauty! 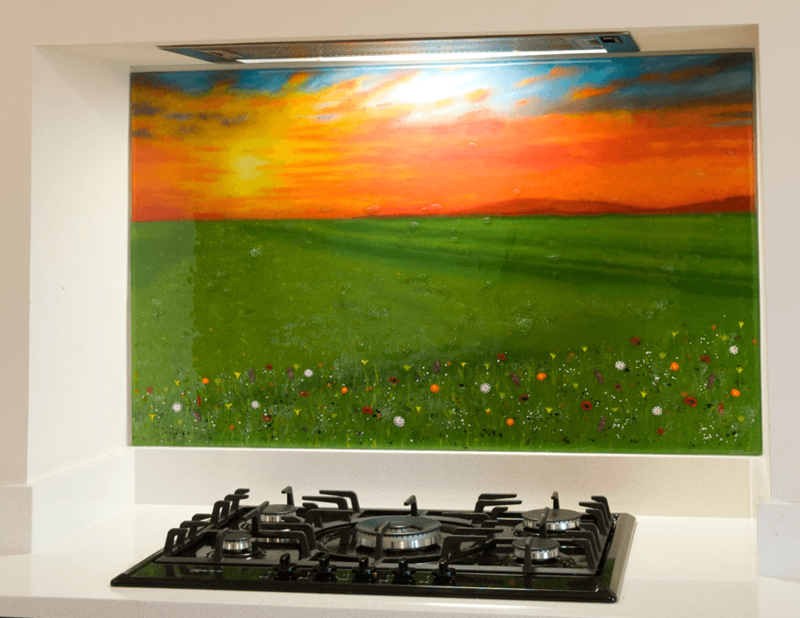 As pictured above, the design showcases a beautiful field of flowers which stretches far into the distance, where a gorgeous skyline and warm horizon can be seen. 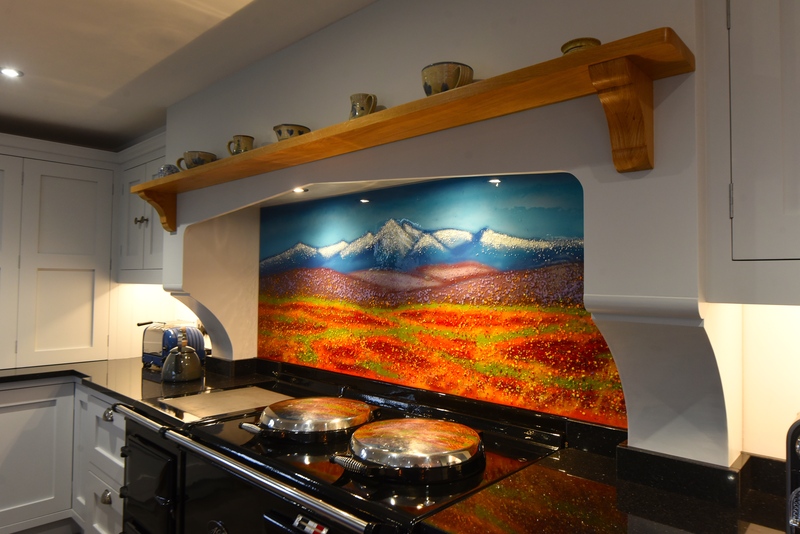 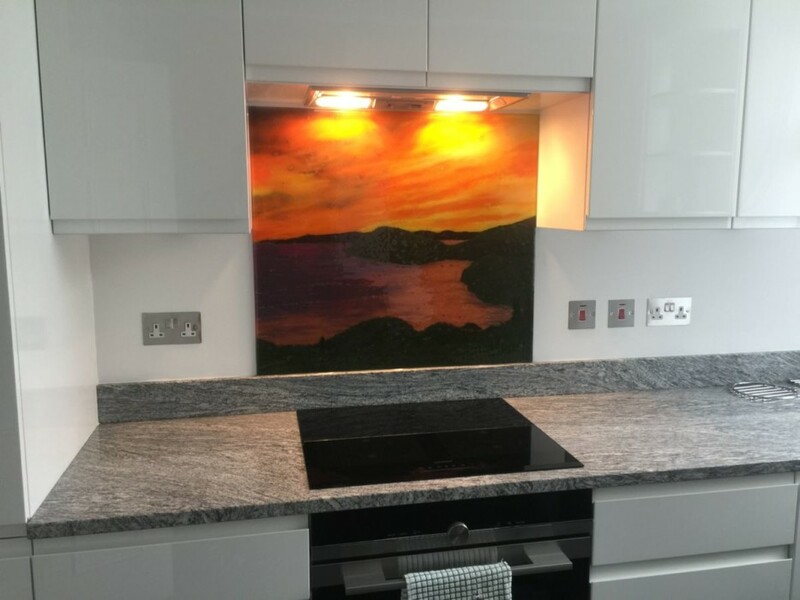 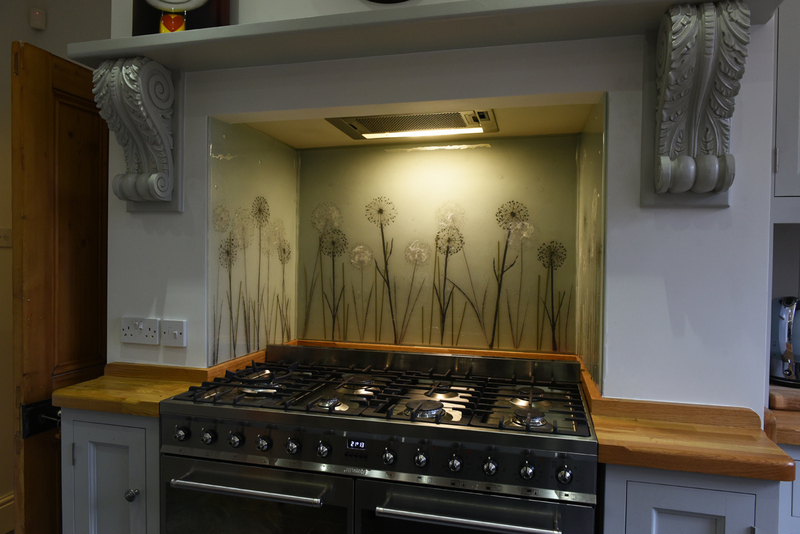 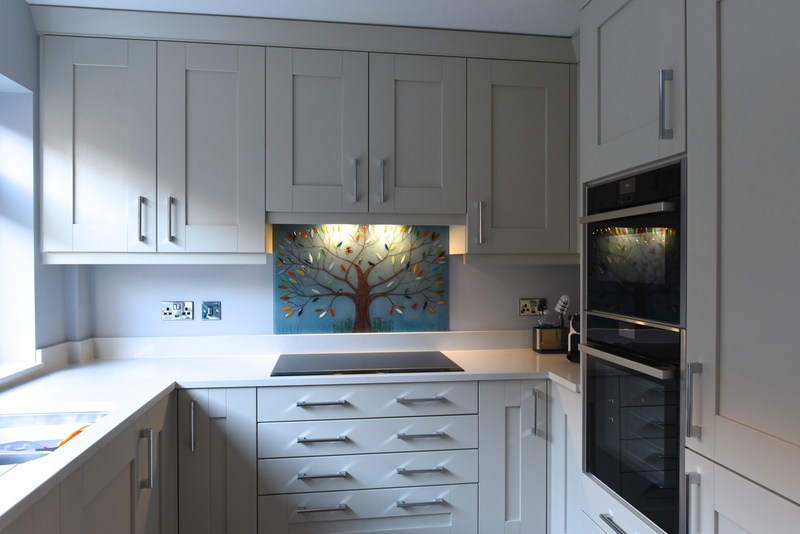 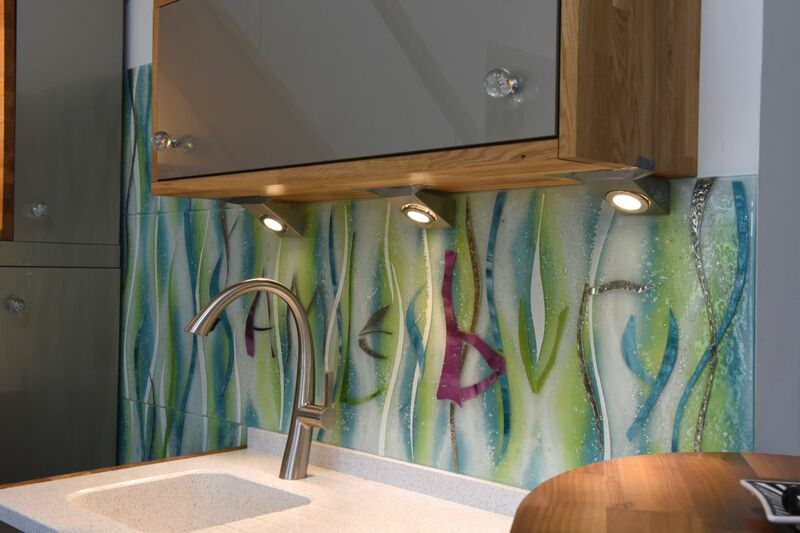 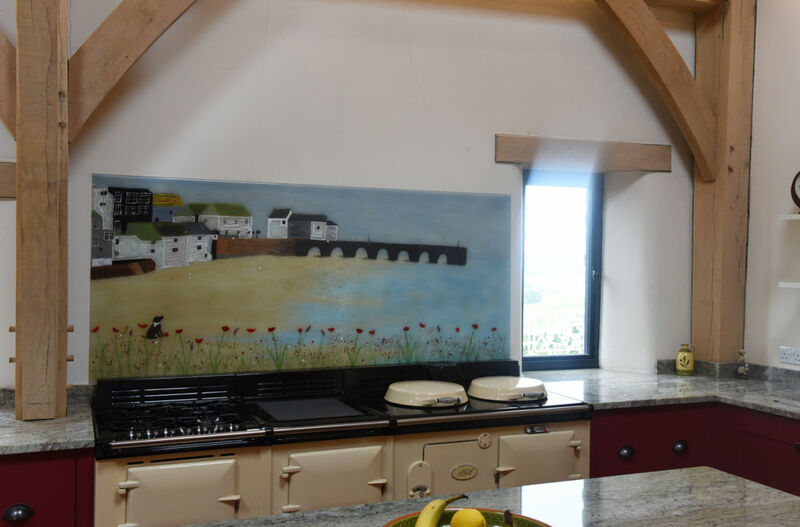 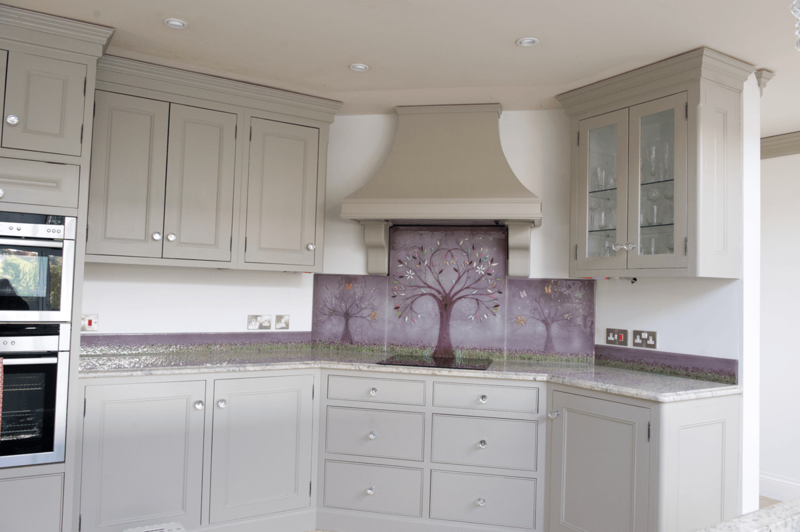 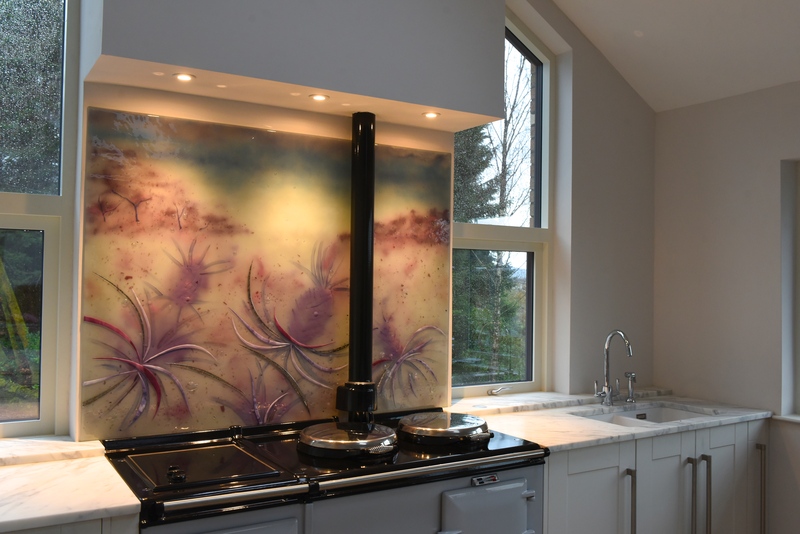 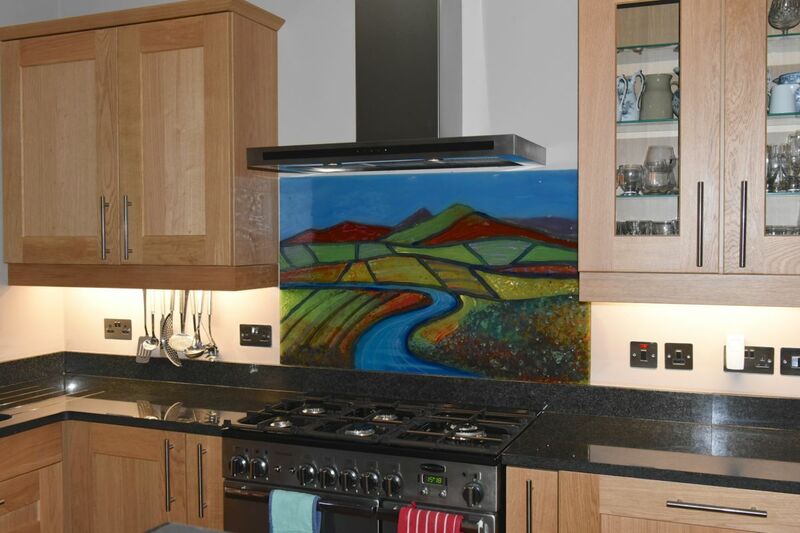 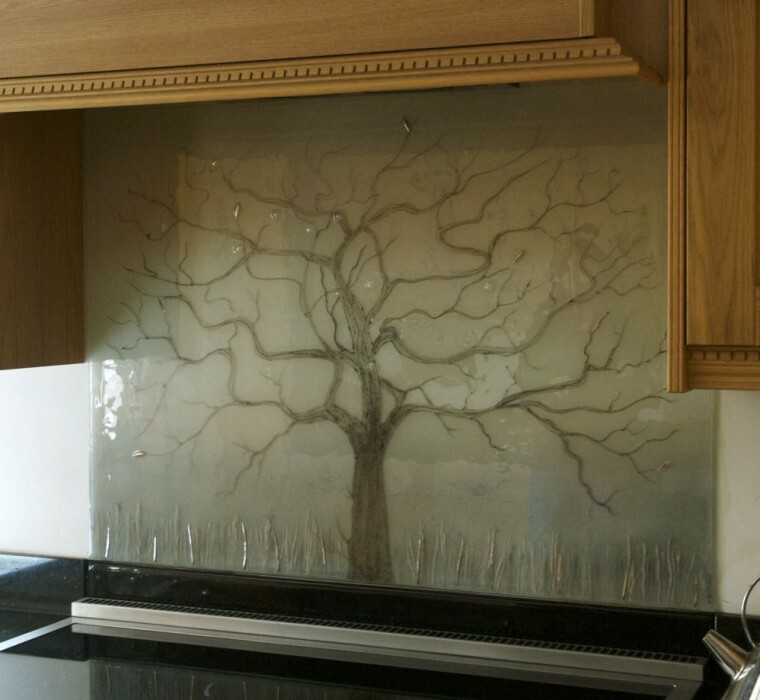 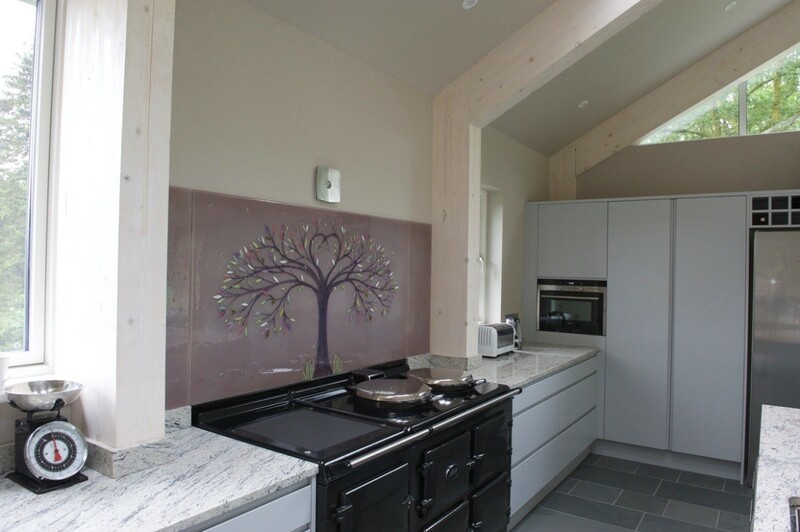 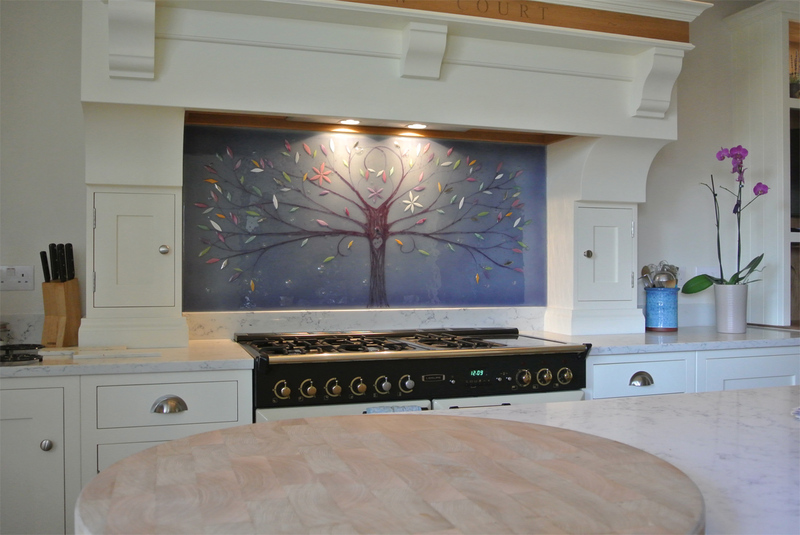 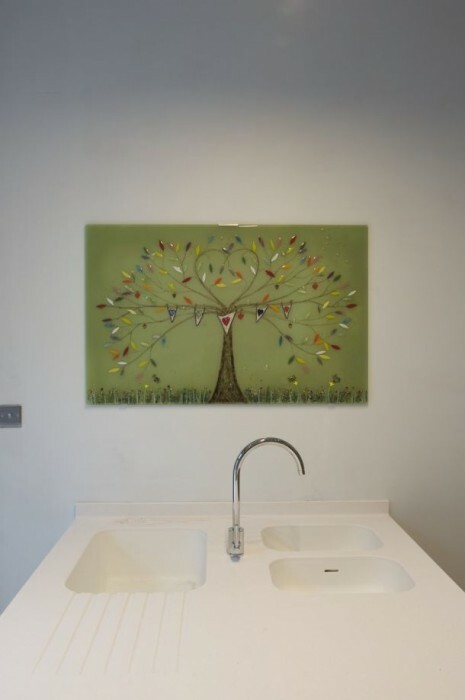 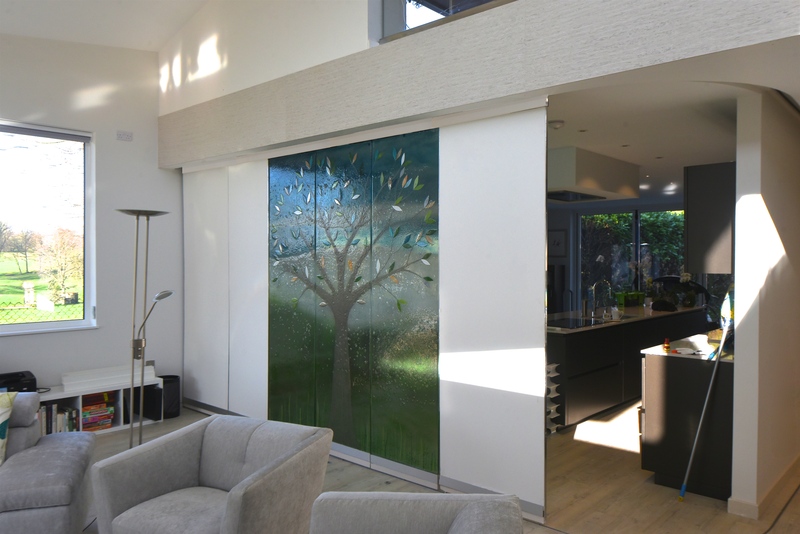 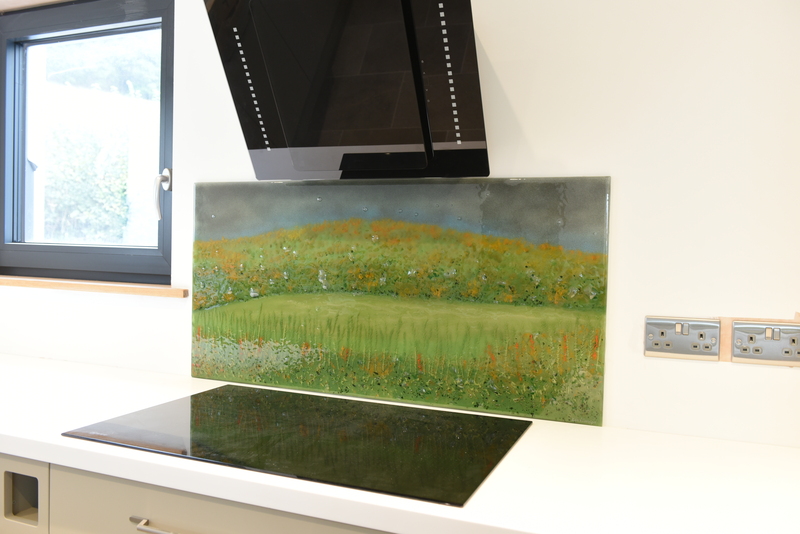 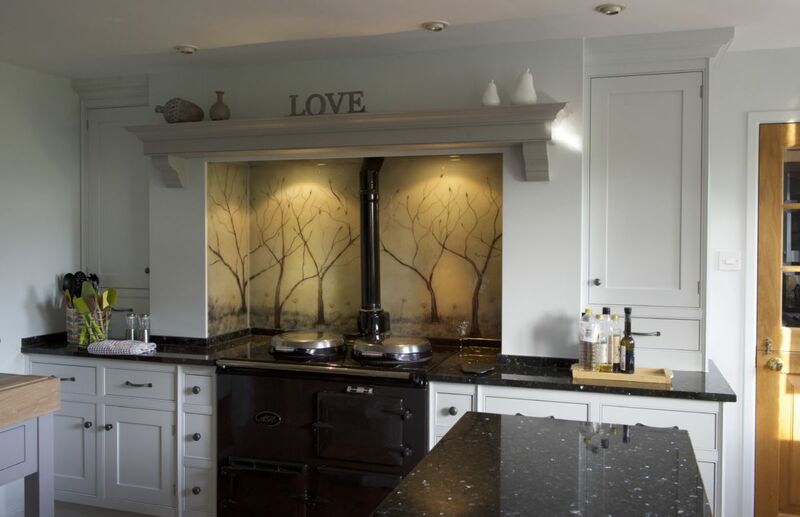 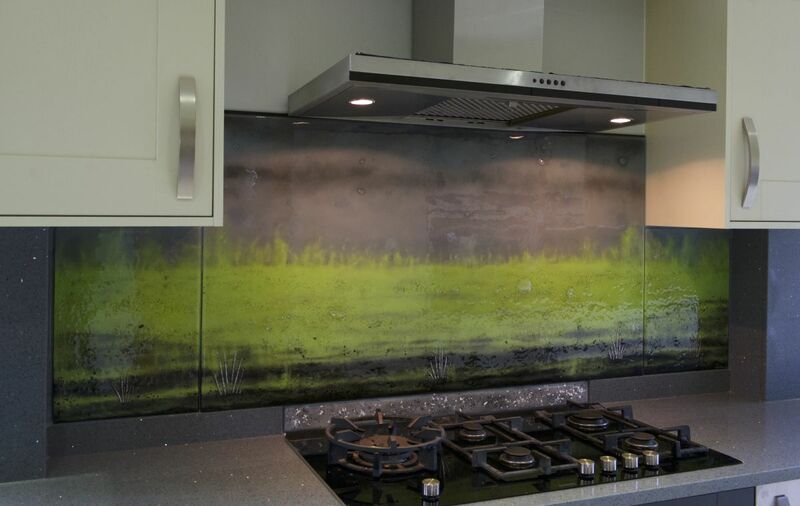 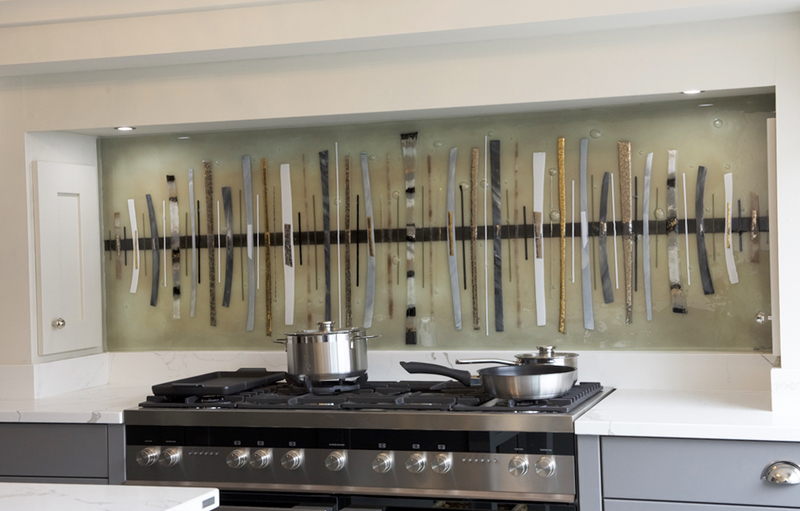 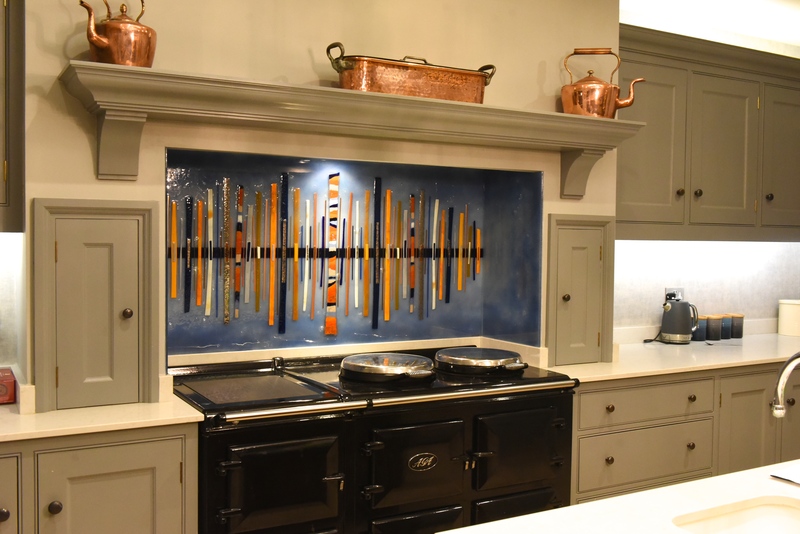 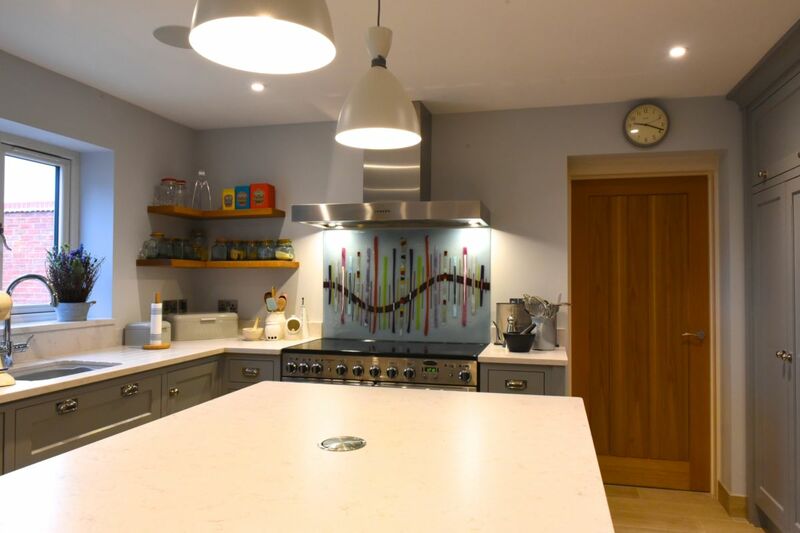 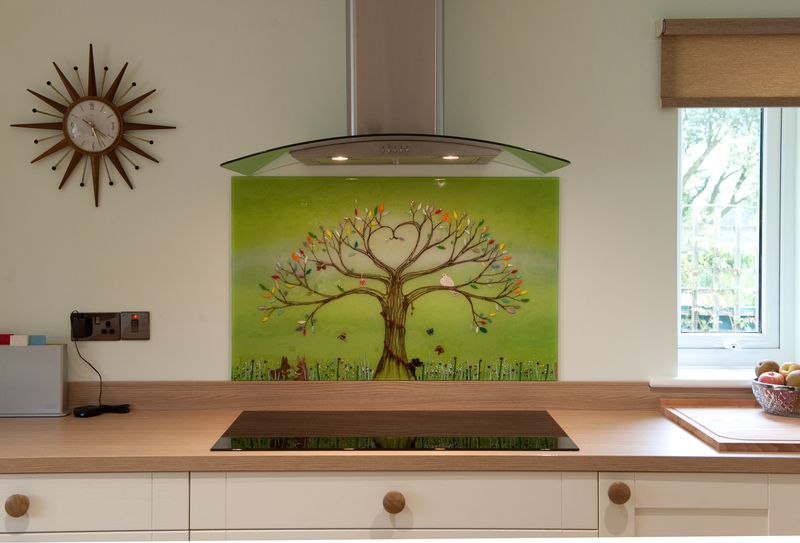 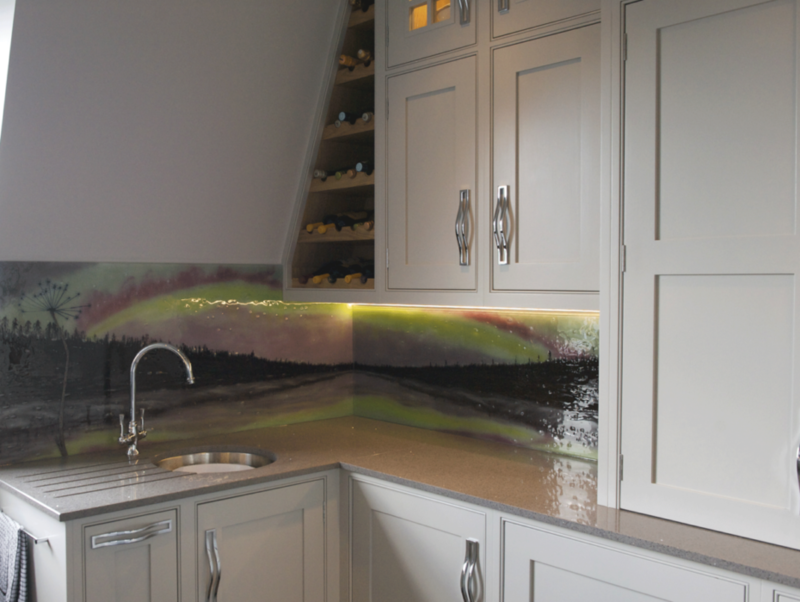 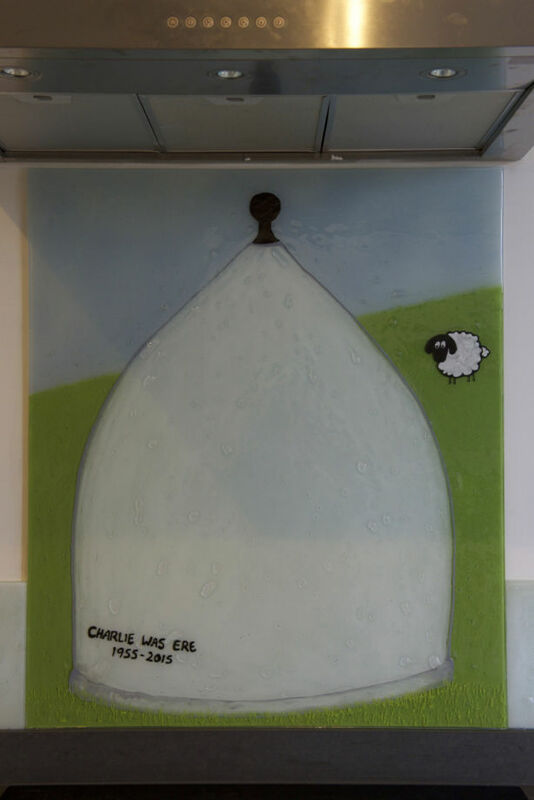 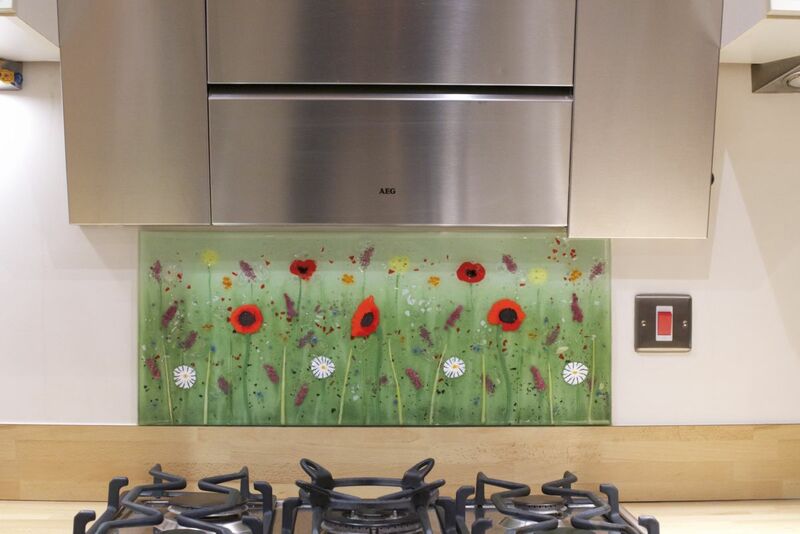 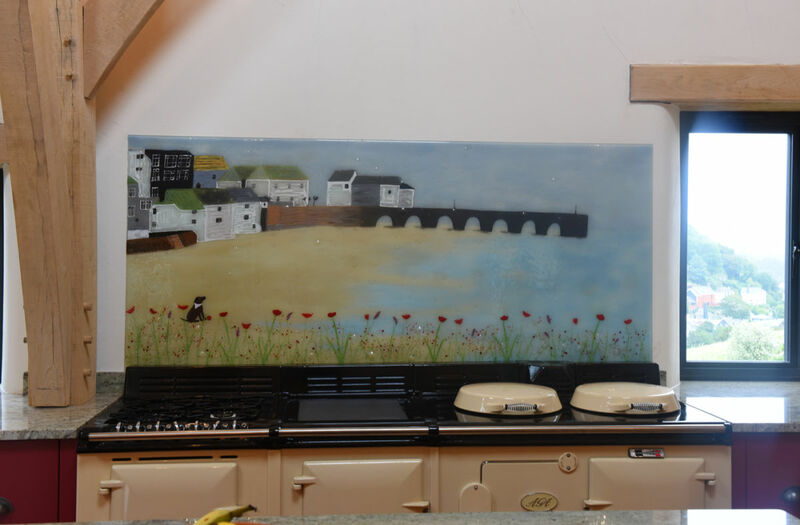 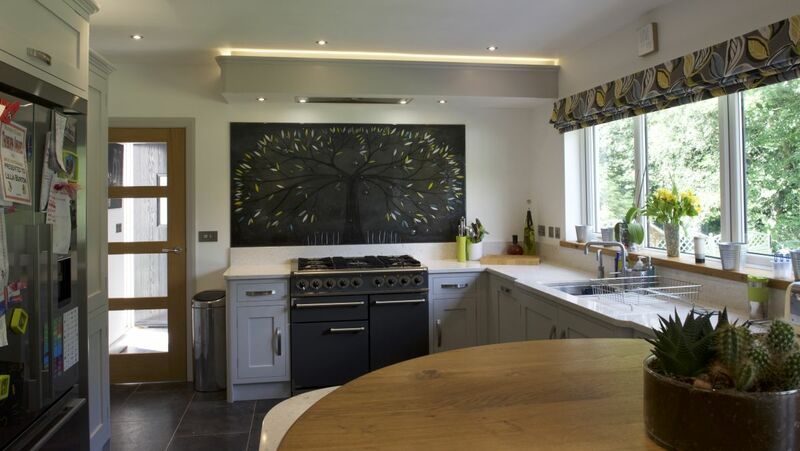 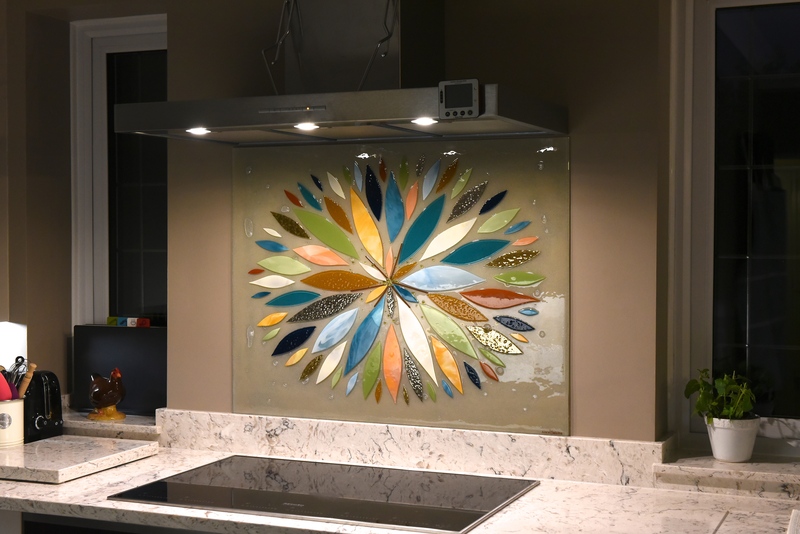 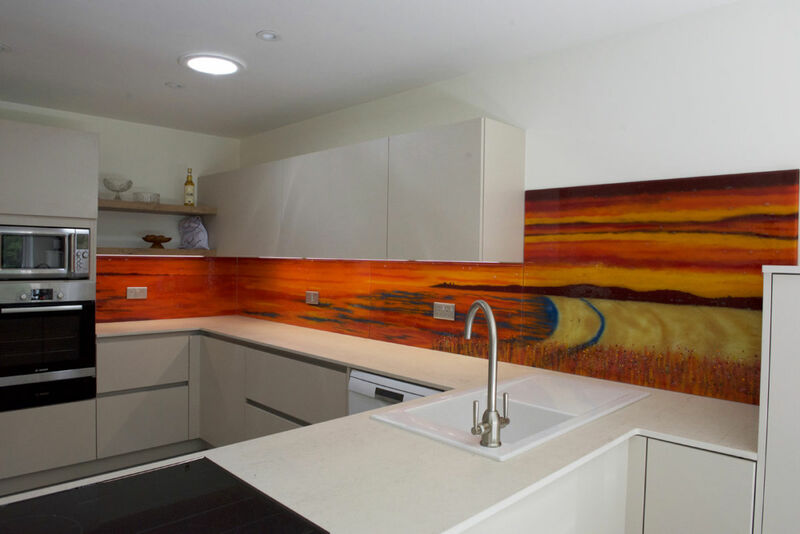 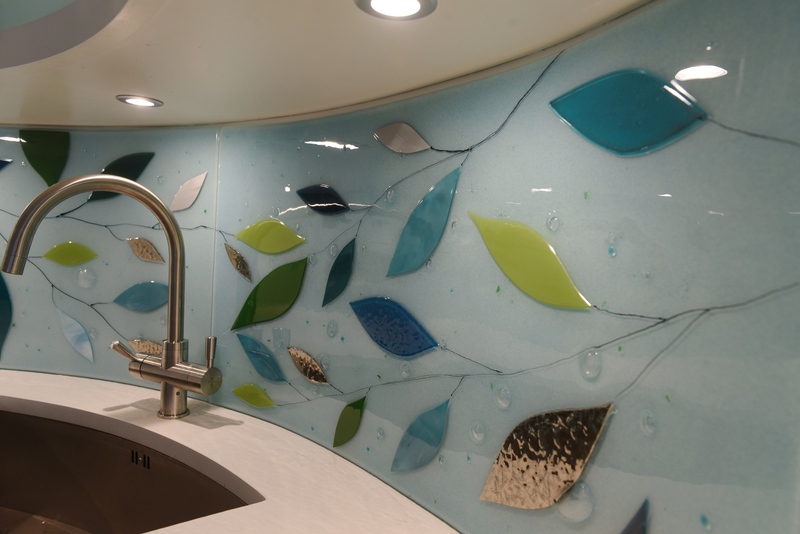 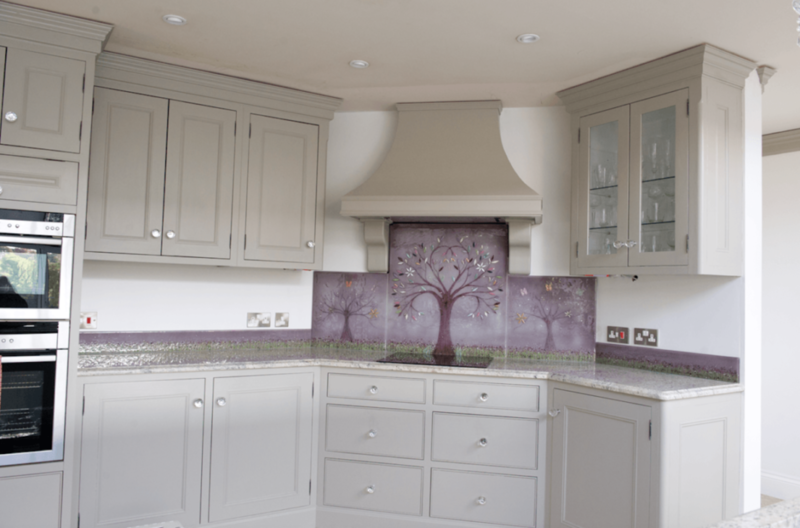 This panel was actually the first time that we put a natural field design onto a bespoke fused glass kitchen splashback, and the results really spoke for themselves. 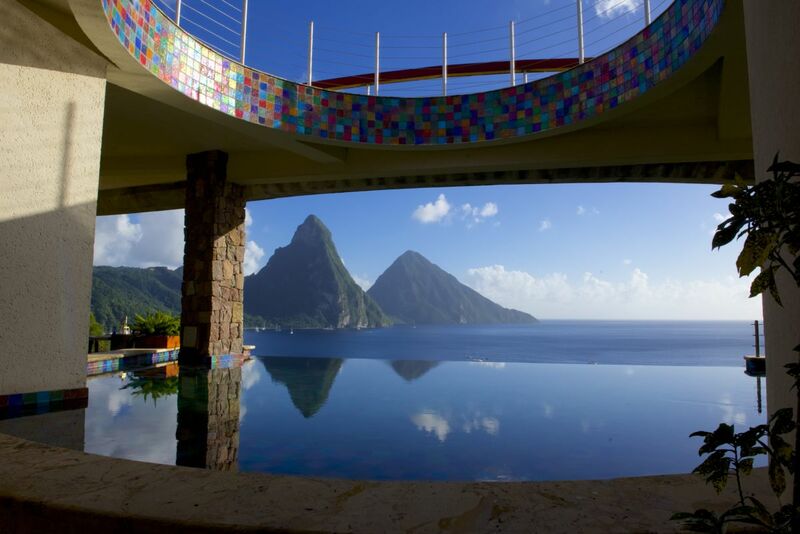 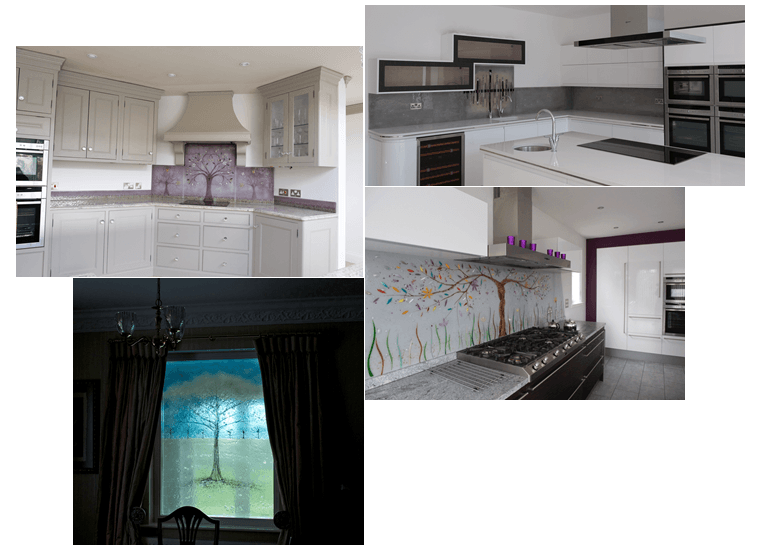 We’ve since continued to do it since it looked so great – and just one glance through our portfolio should let you know just how successful it’s been. 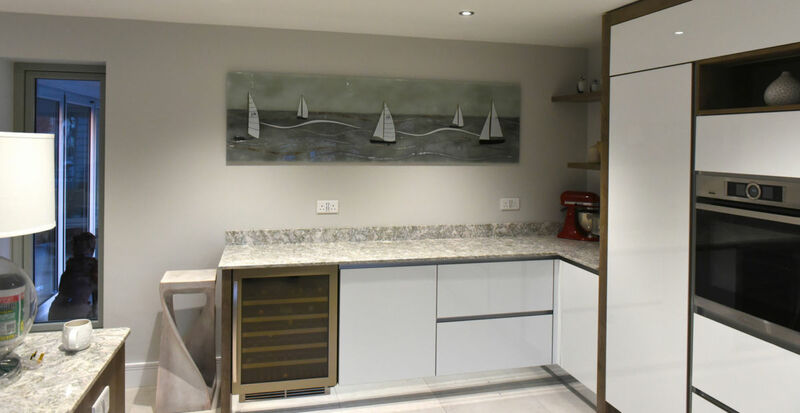 Framed by the clean, neutral and very neutral décor of the kitchen, the piece complements the room perfectly and is sure to attract all the right kinds of attention. 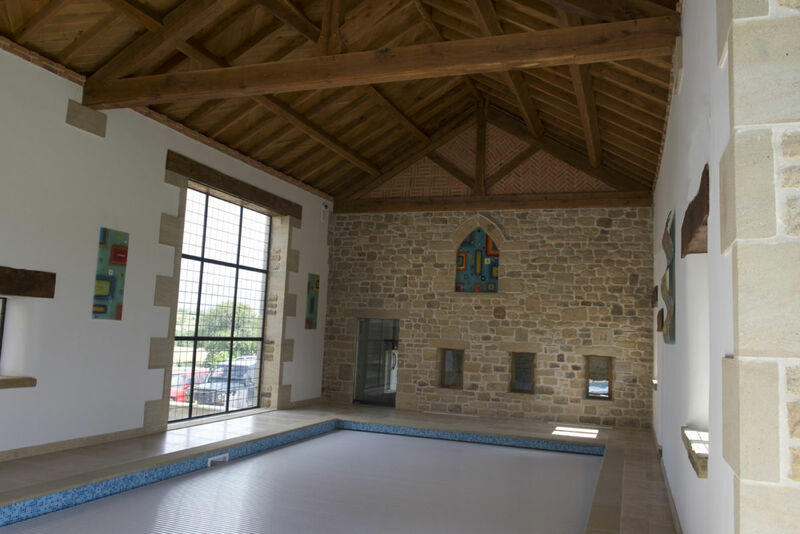 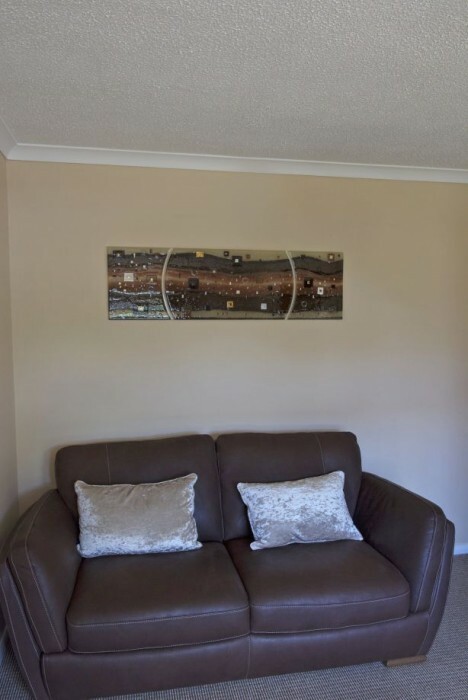 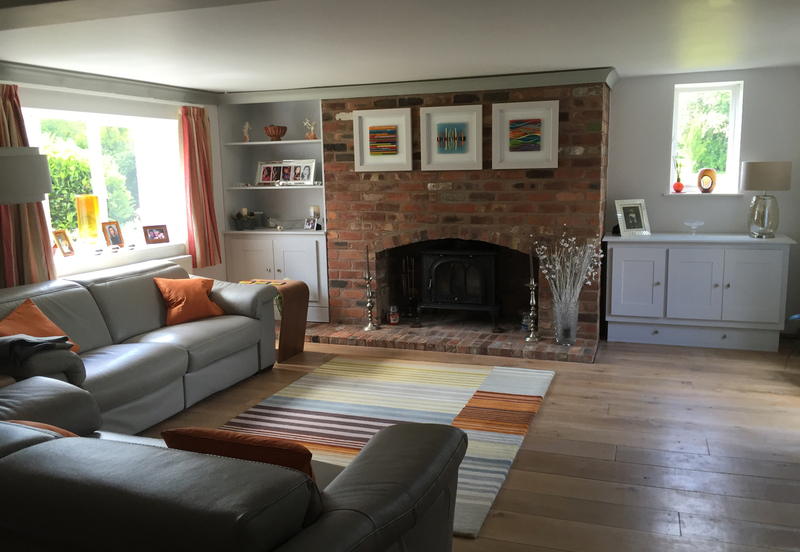 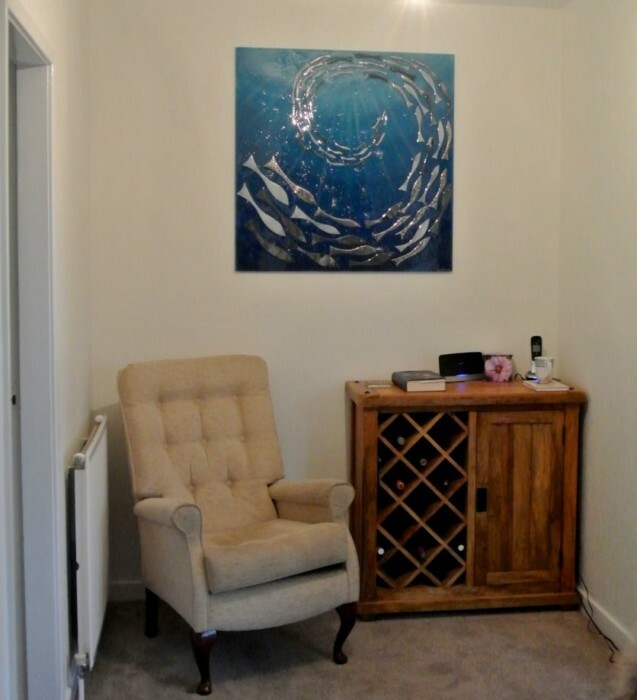 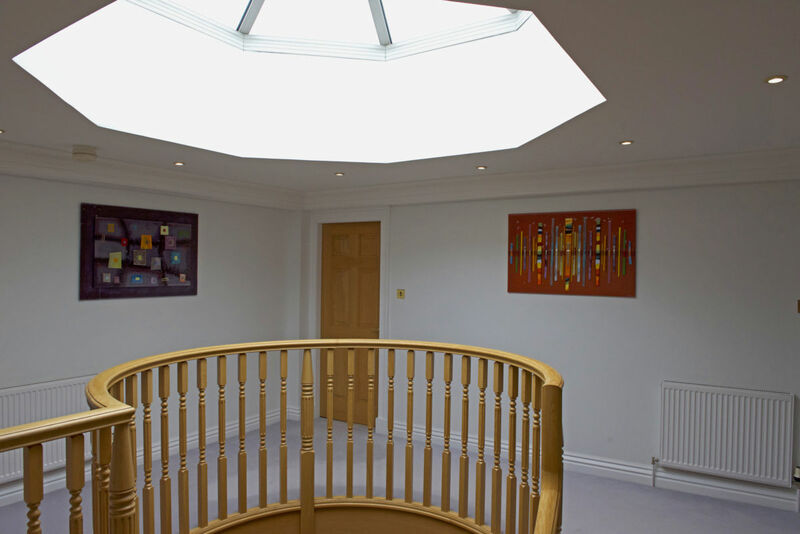 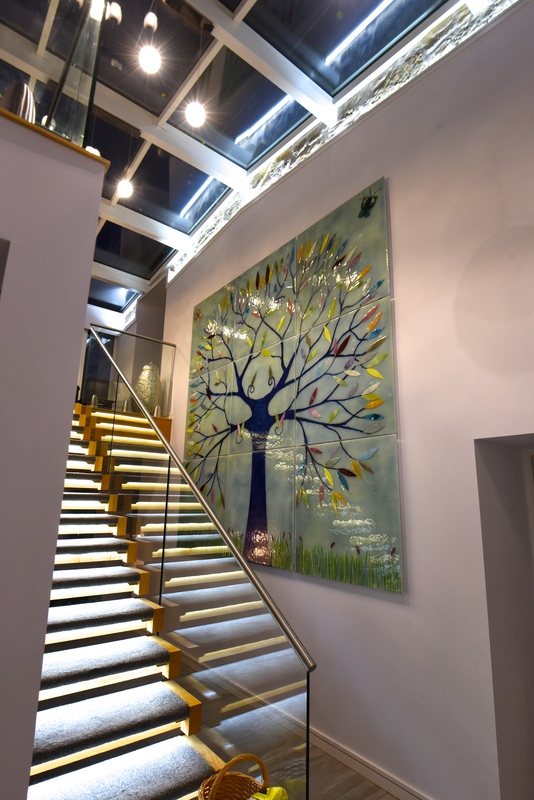 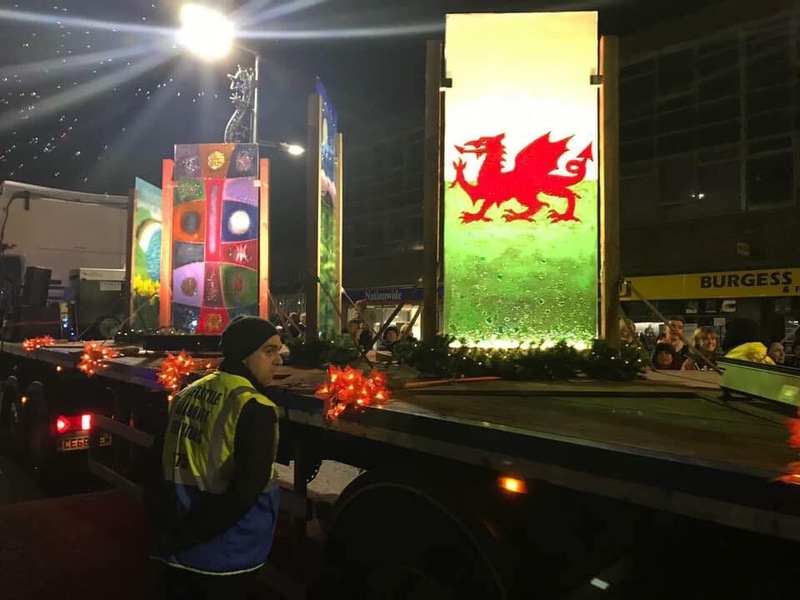 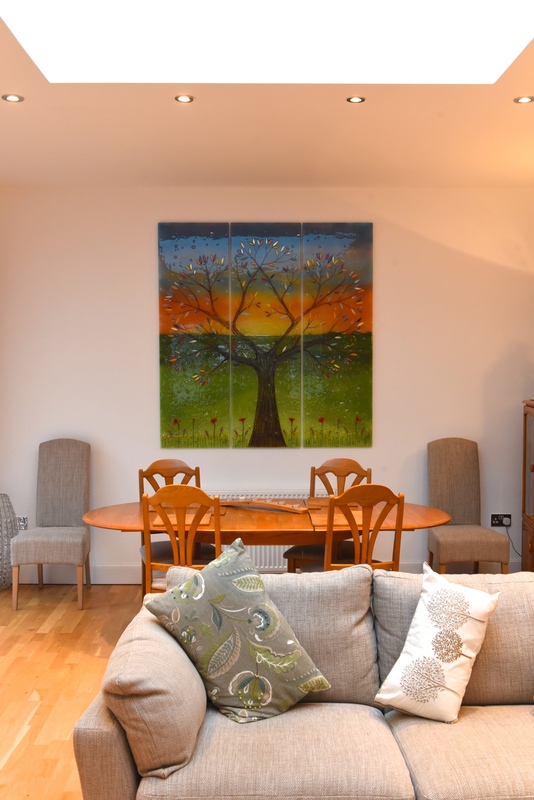 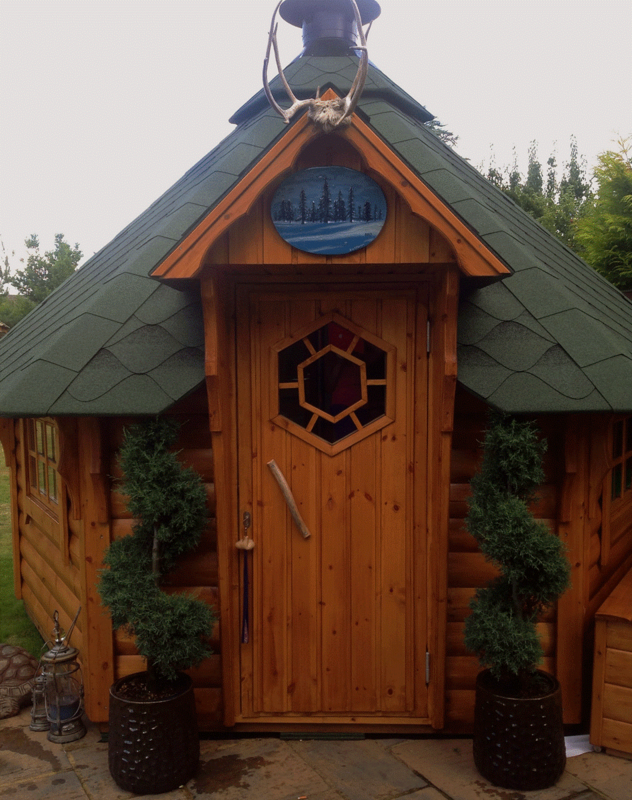 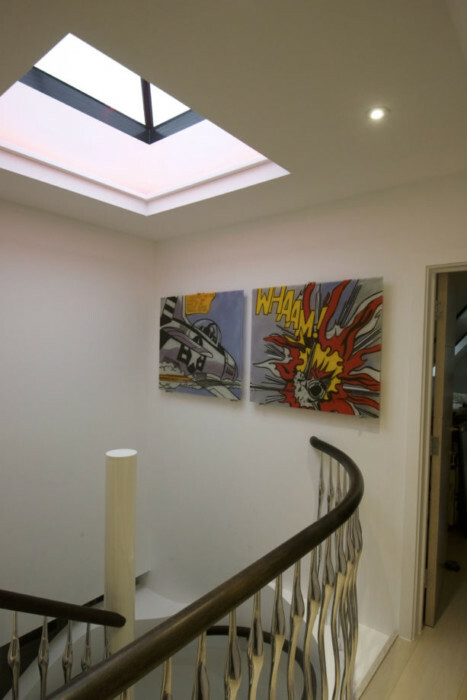 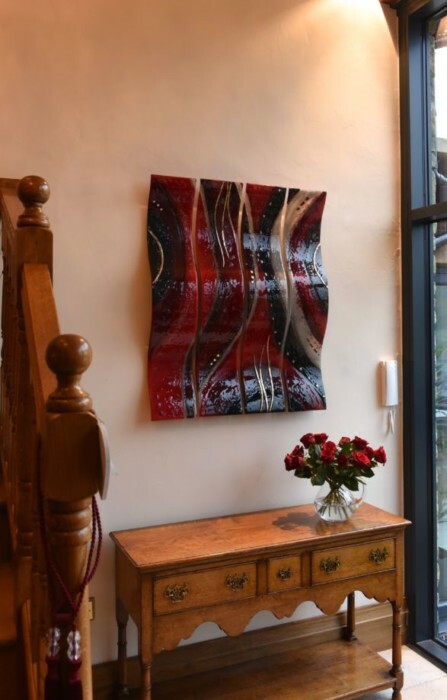 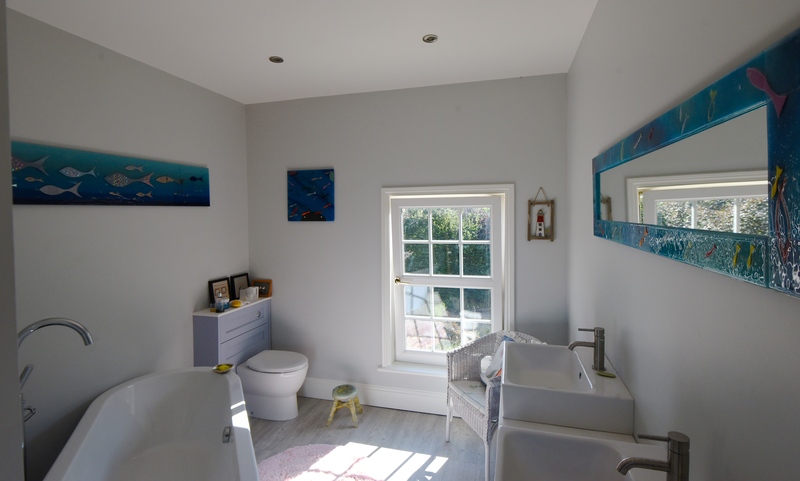 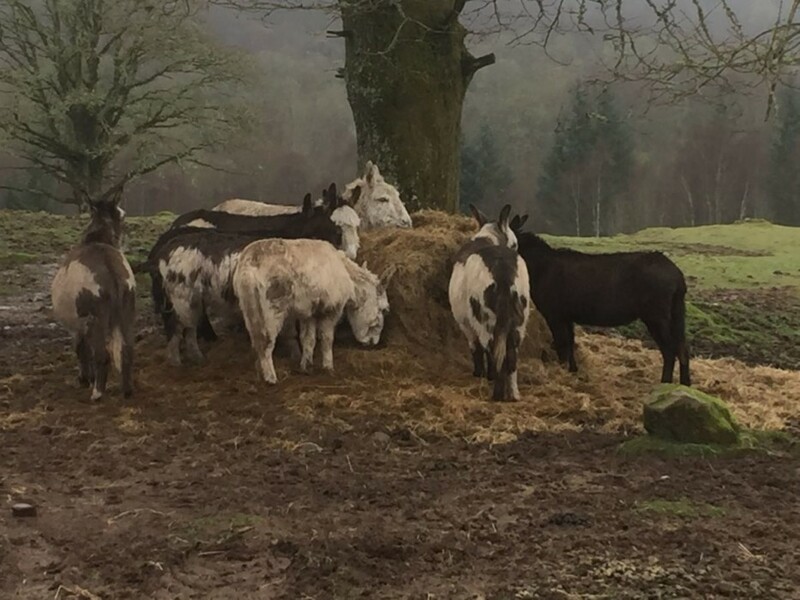 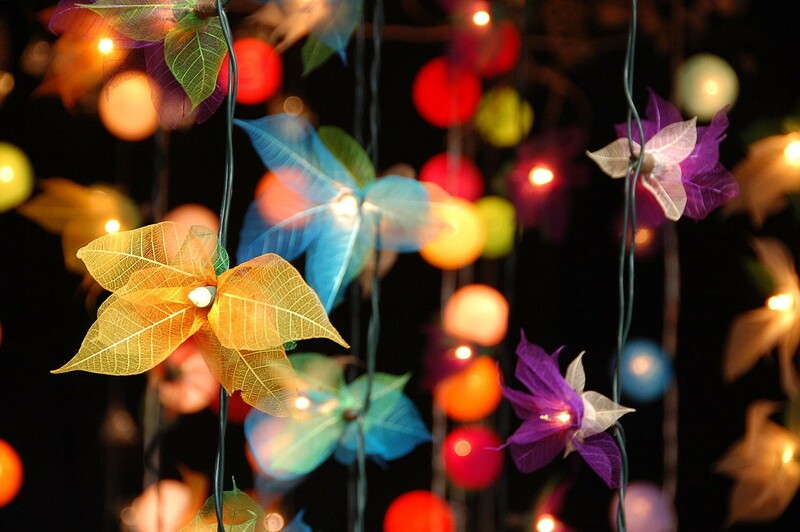 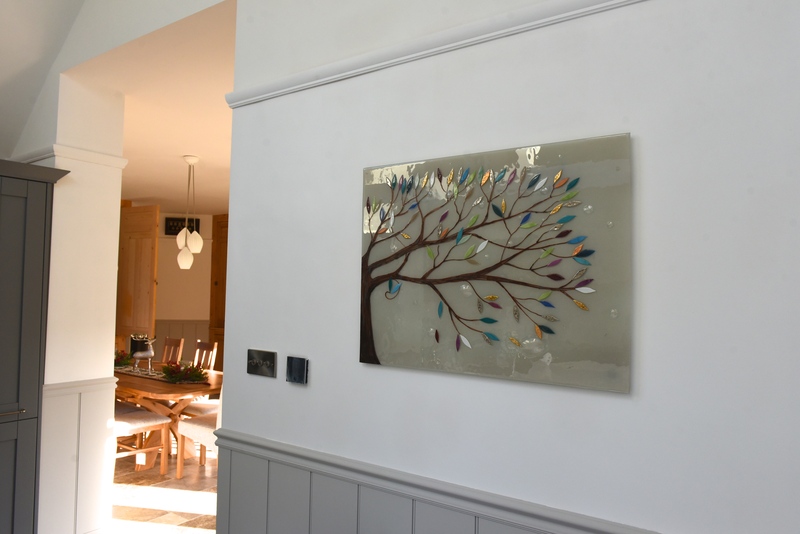 It’s a true centrepiece which acts as a focal point for the house, so there’s no-one who can argue against this great addition to an already lovely space. 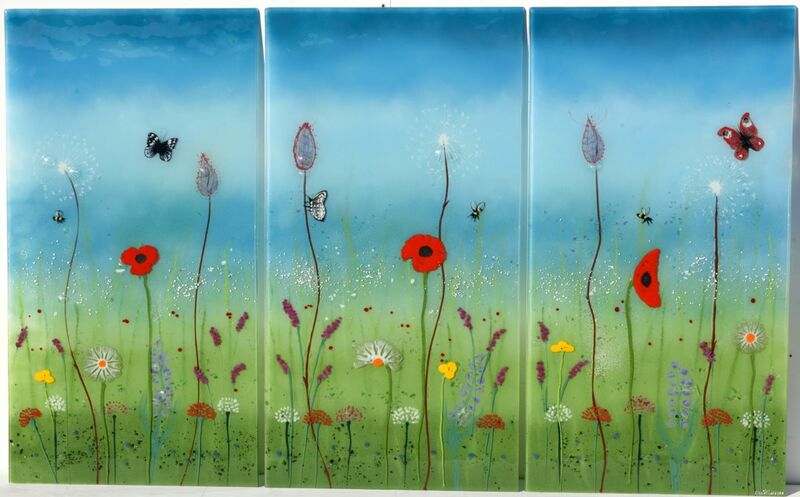 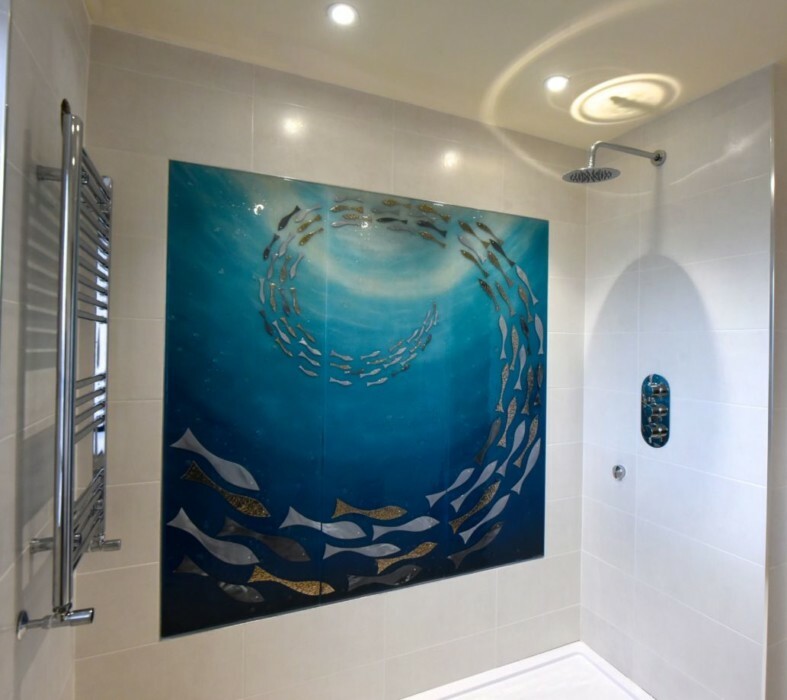 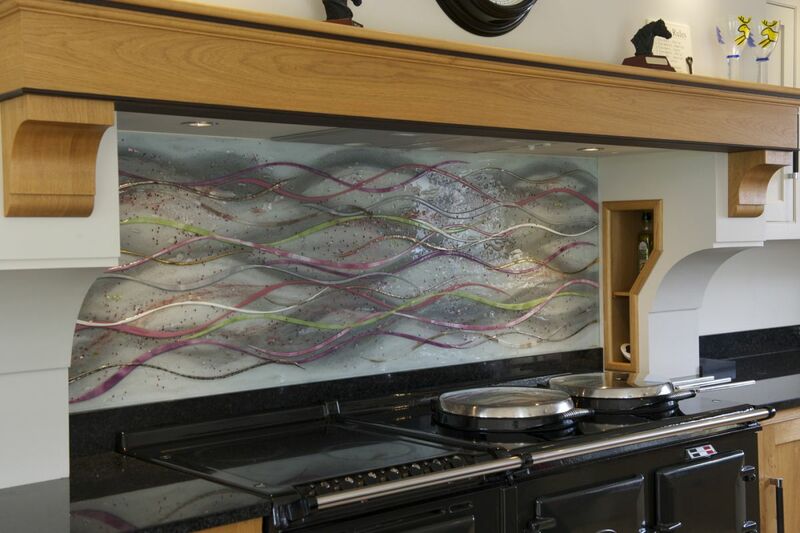 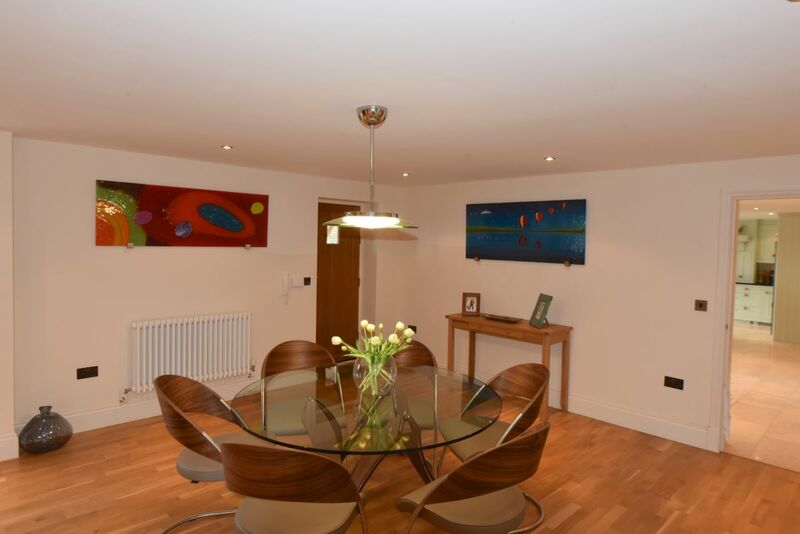 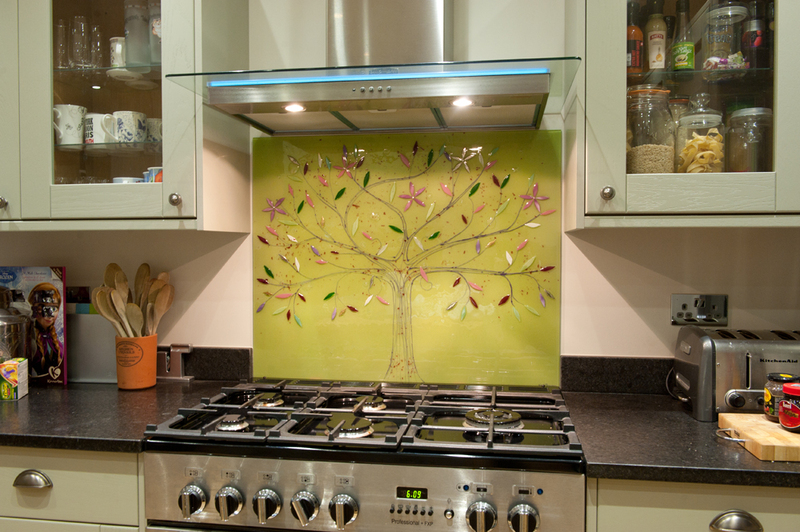 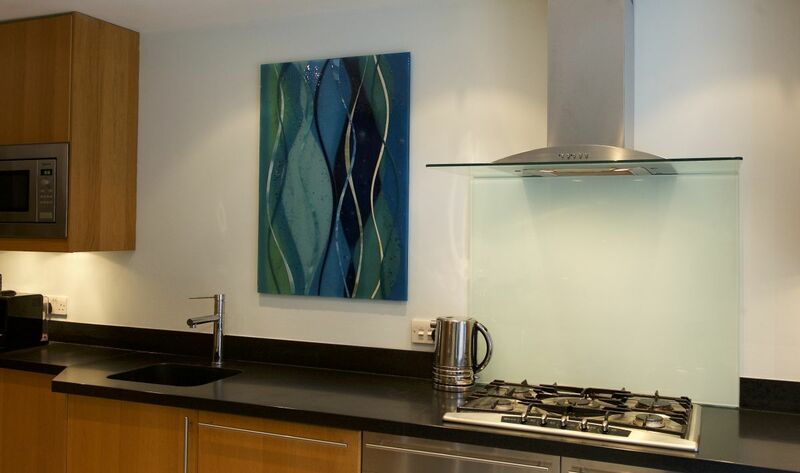 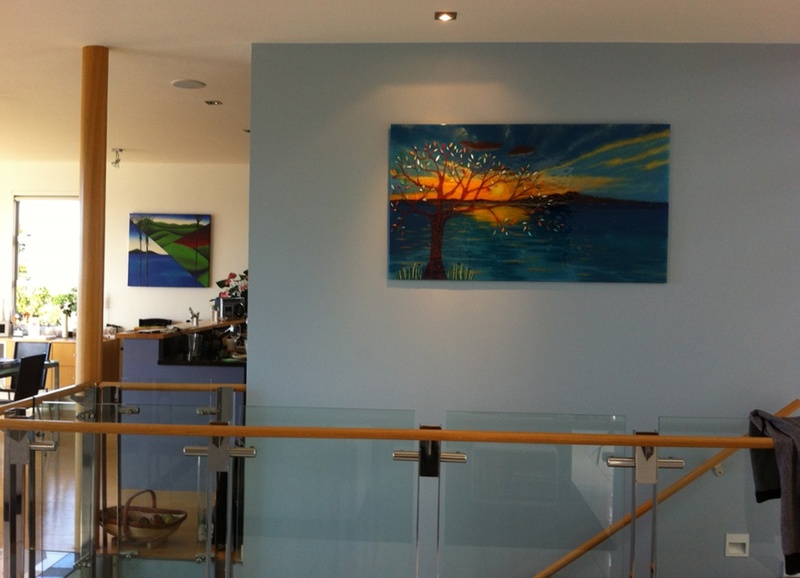 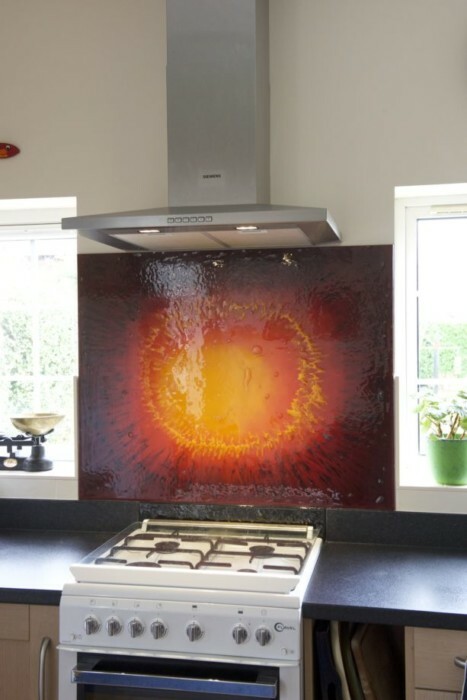 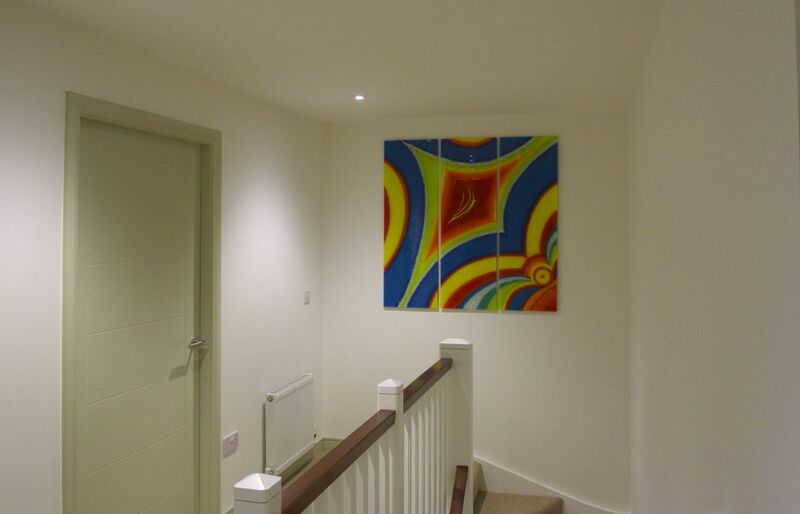 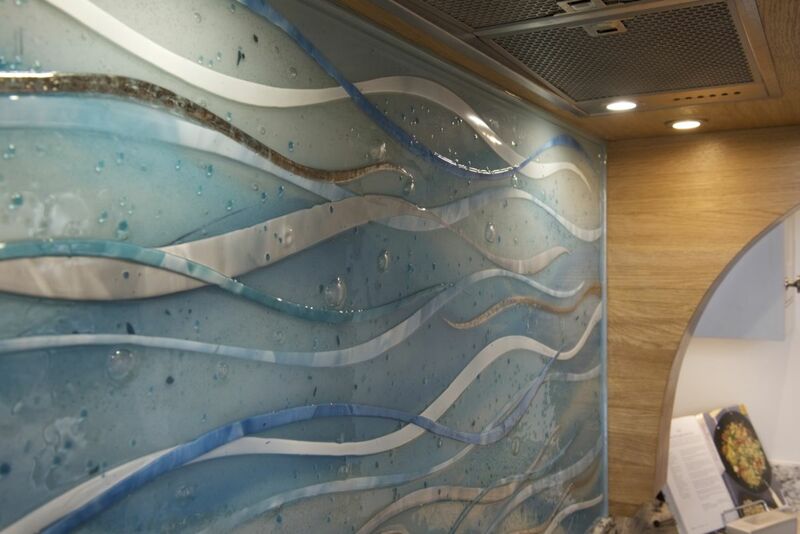 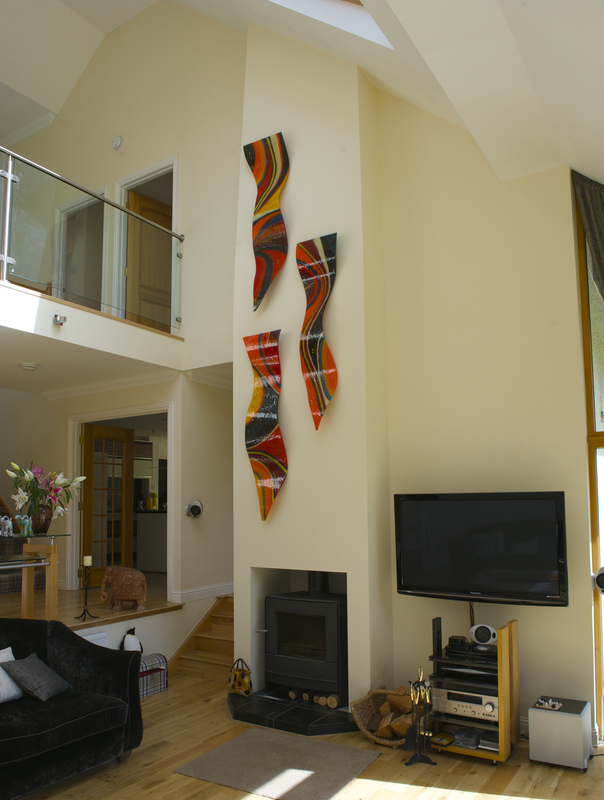 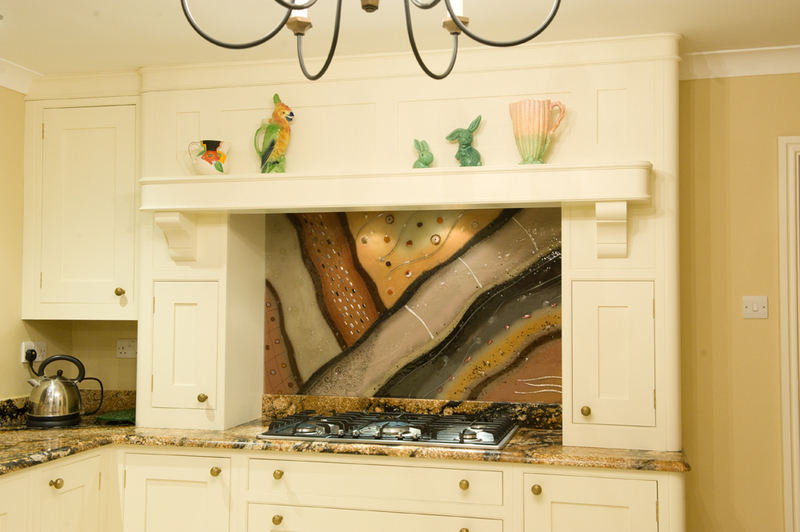 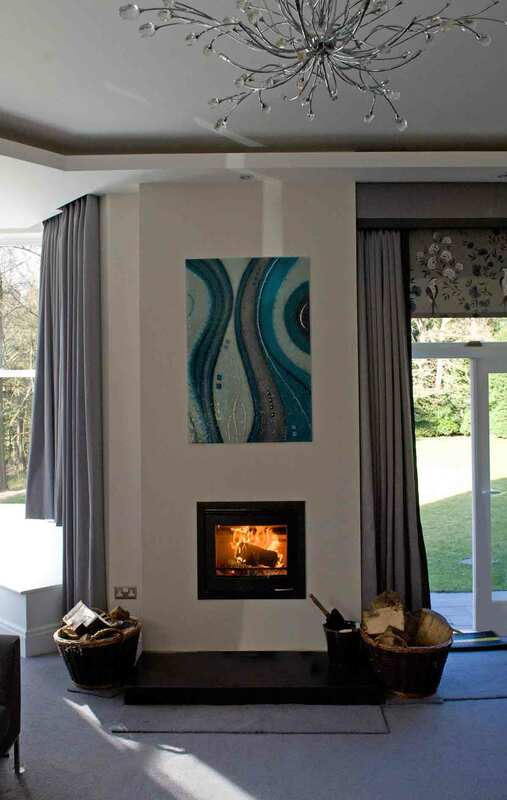 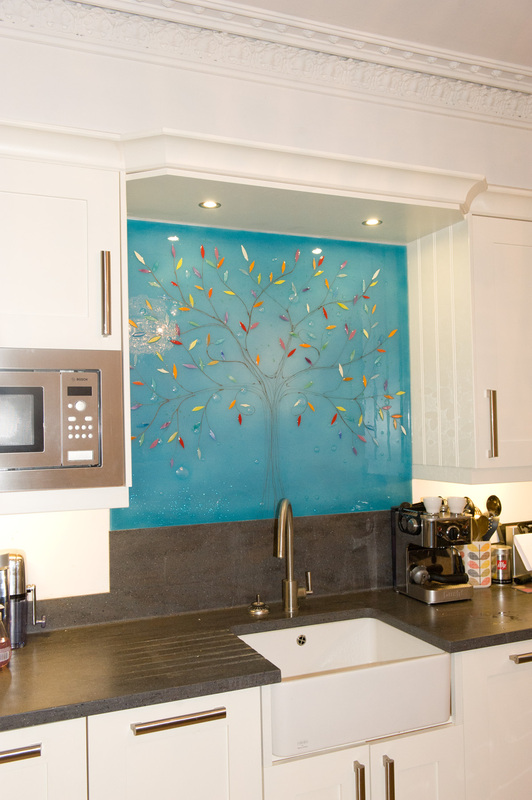 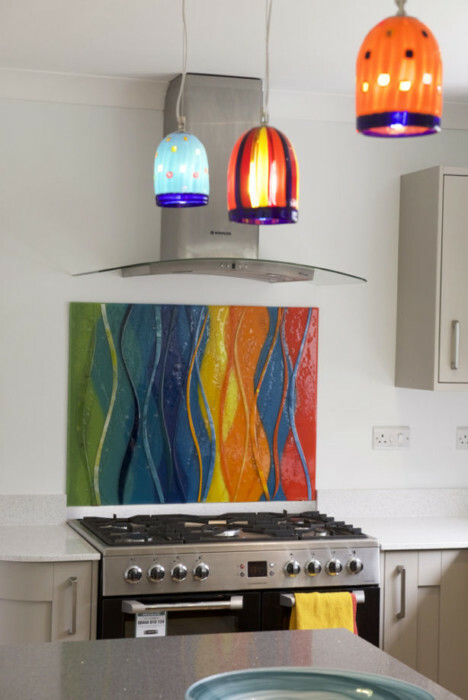 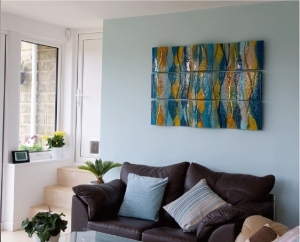 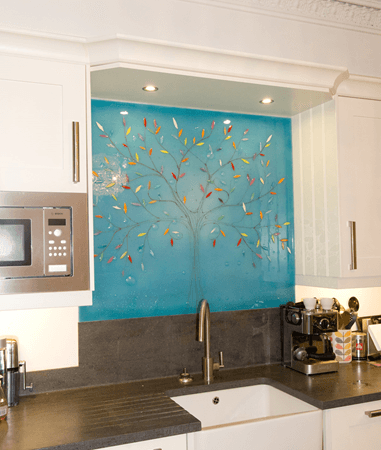 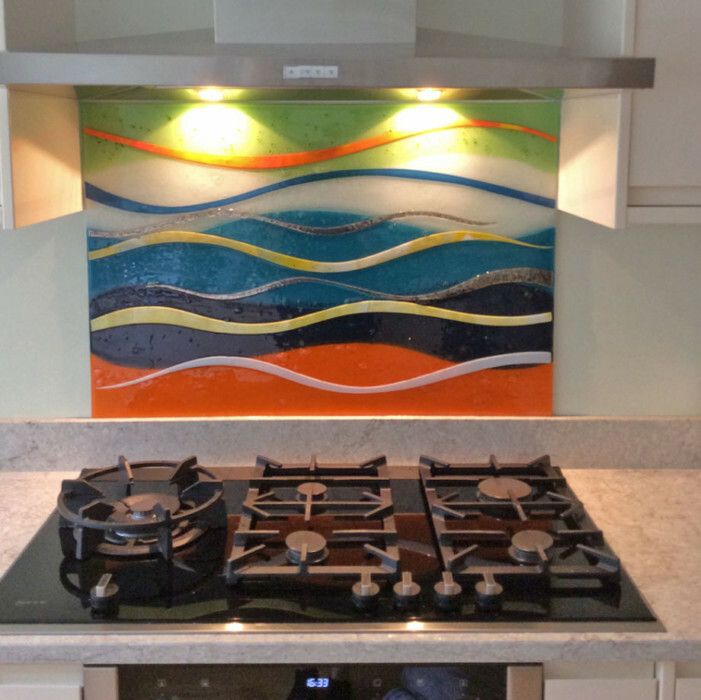 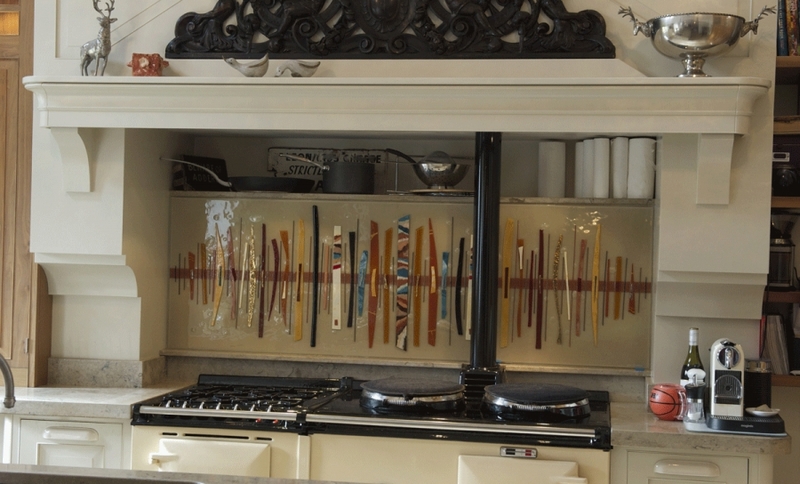 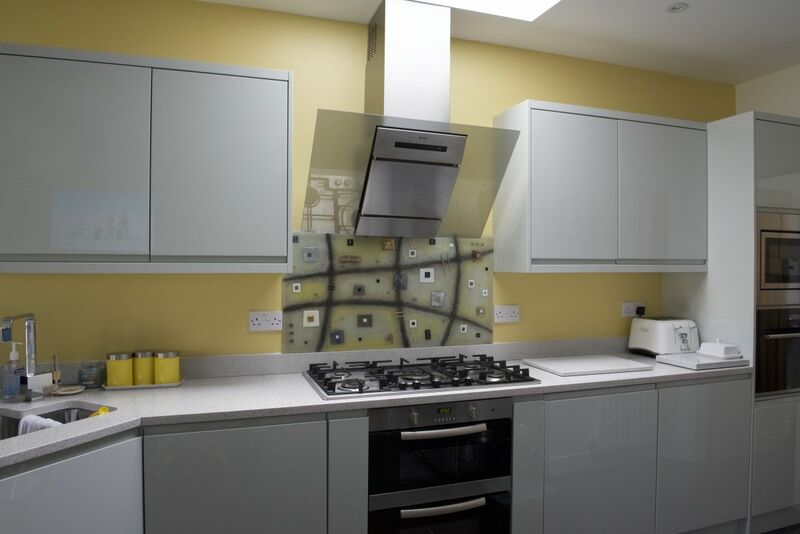 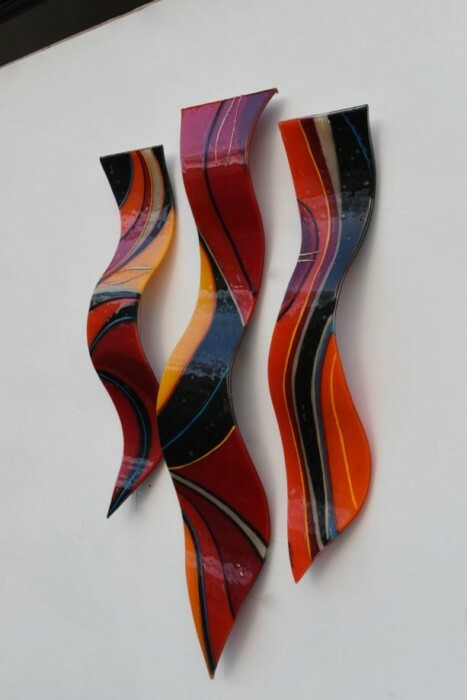 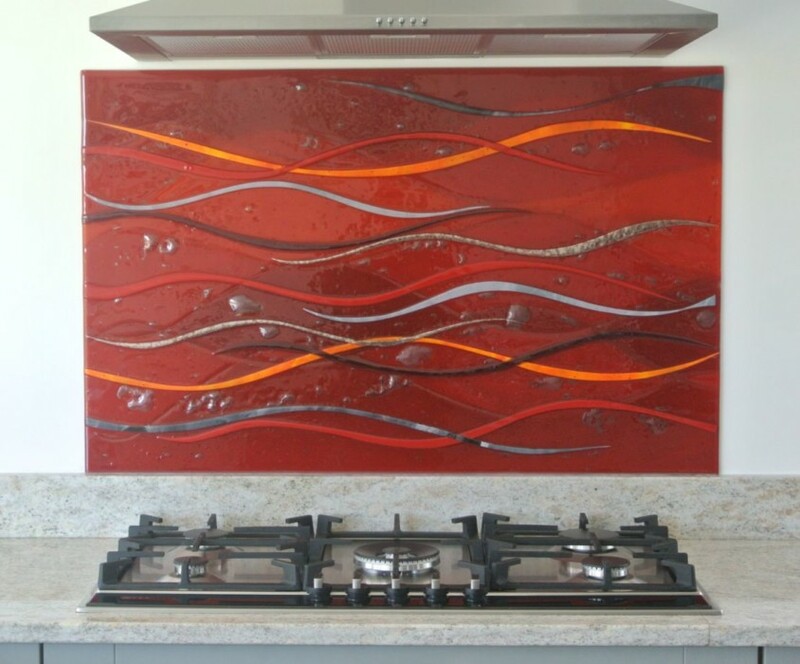 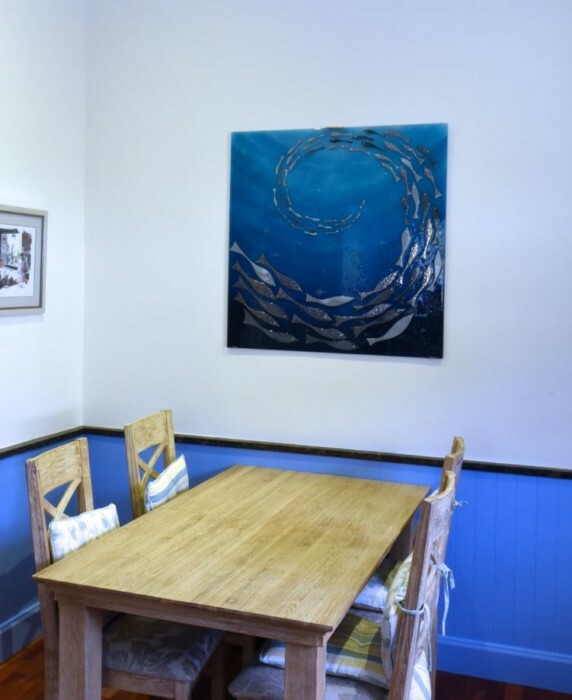 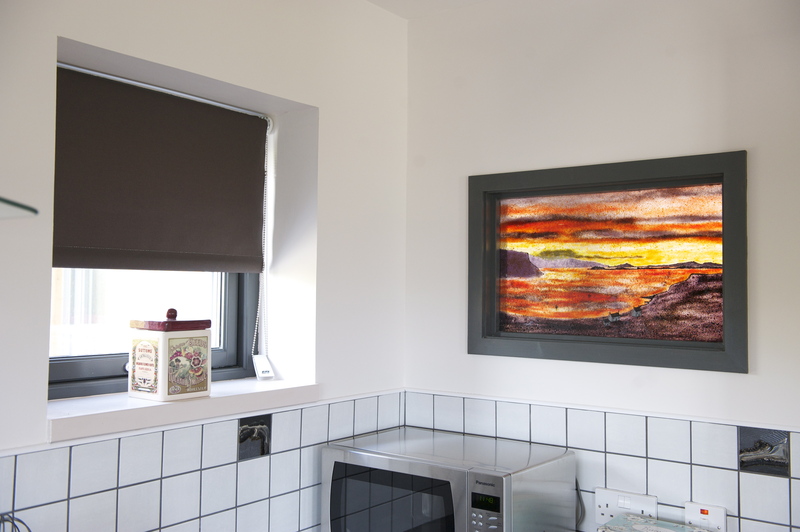 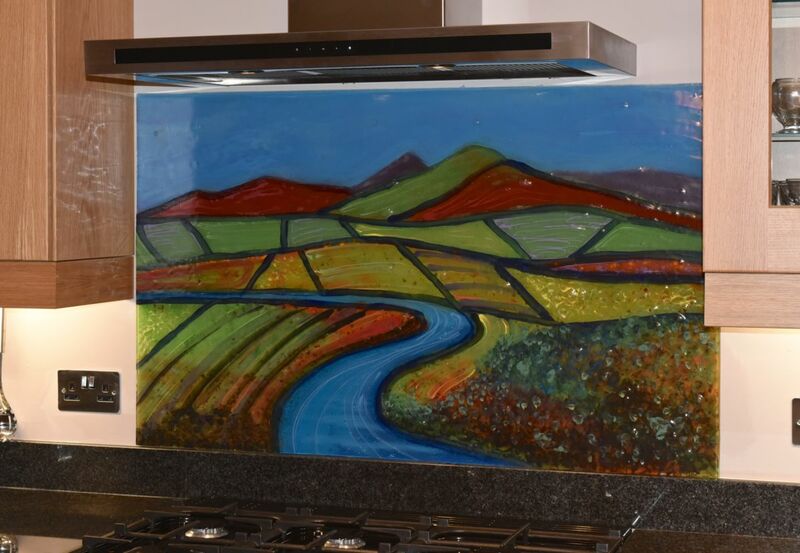 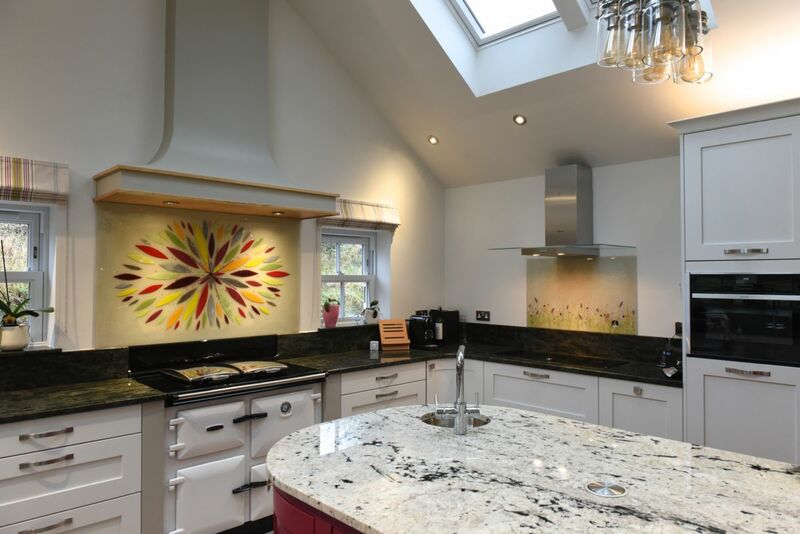 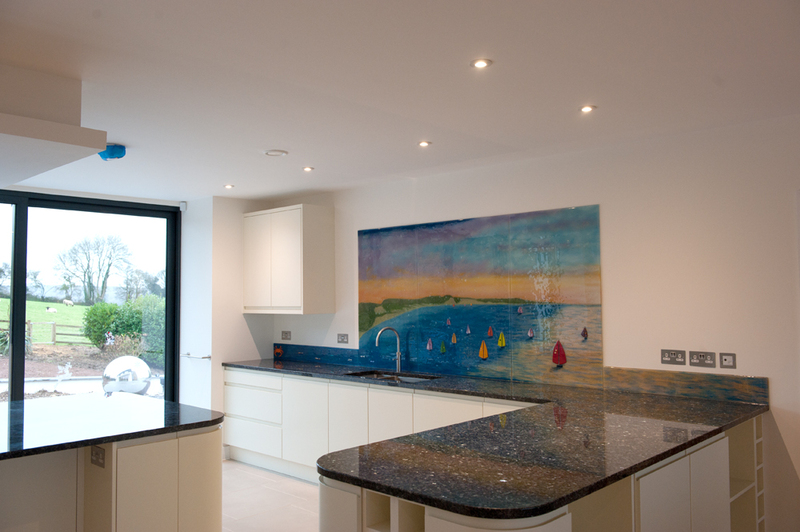 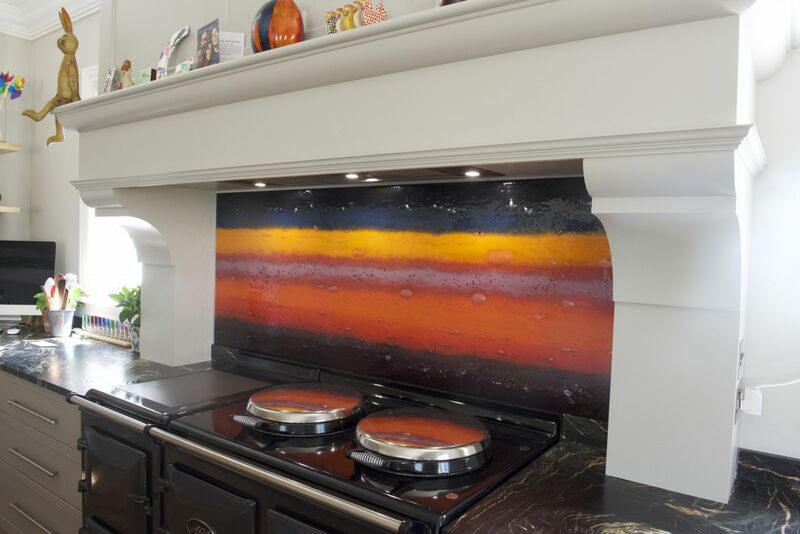 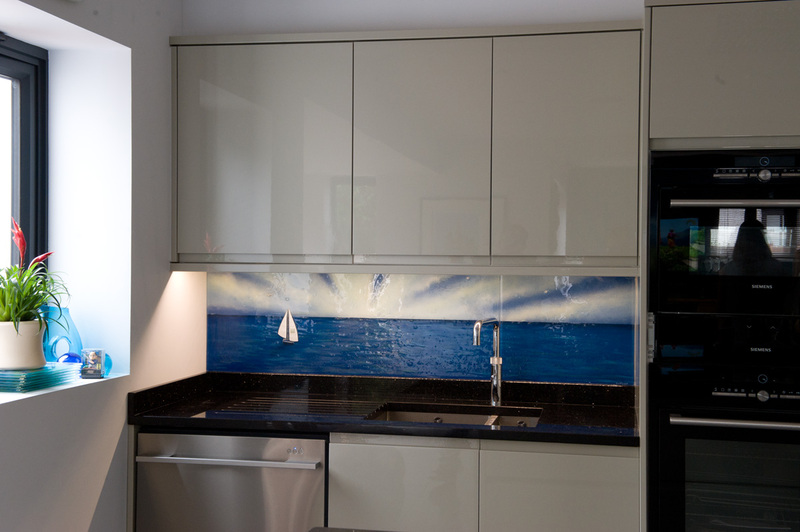 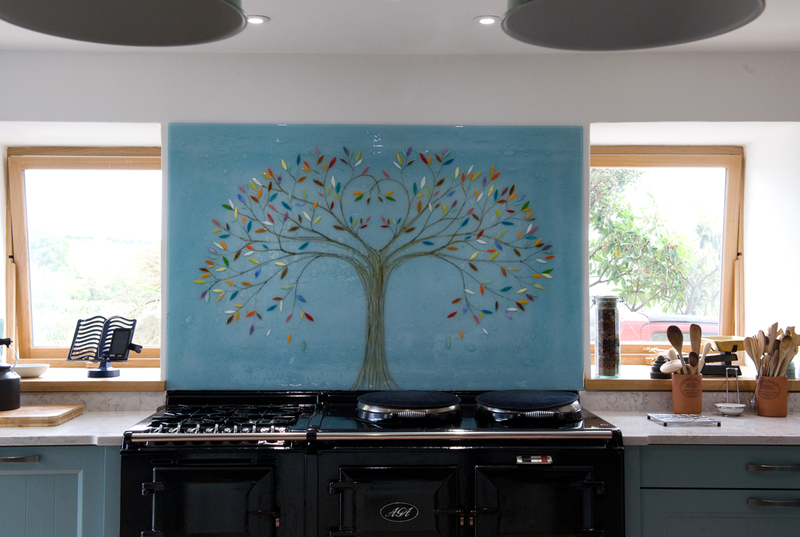 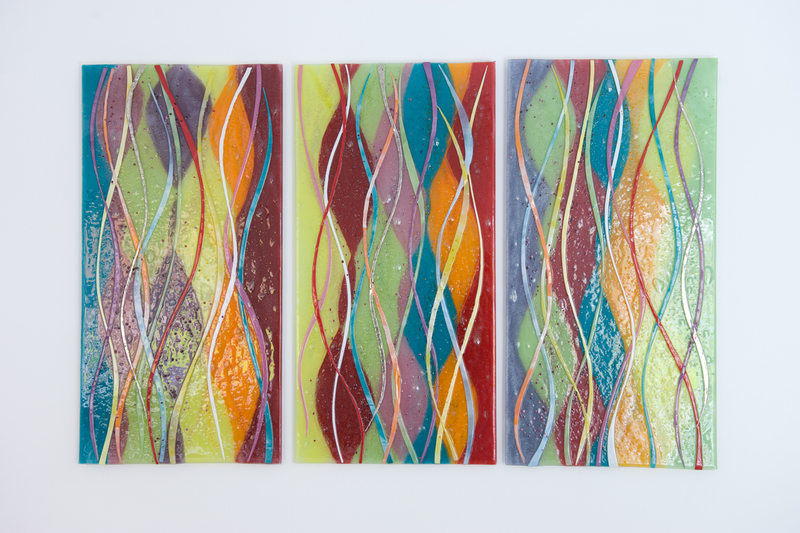 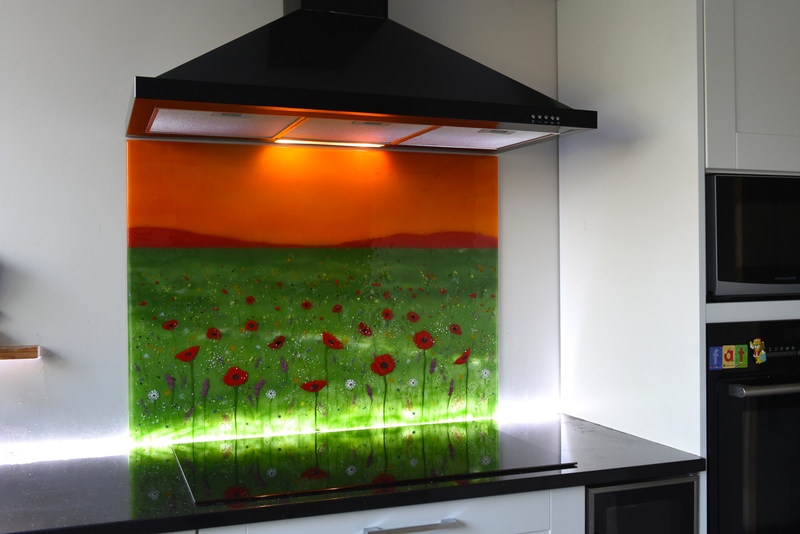 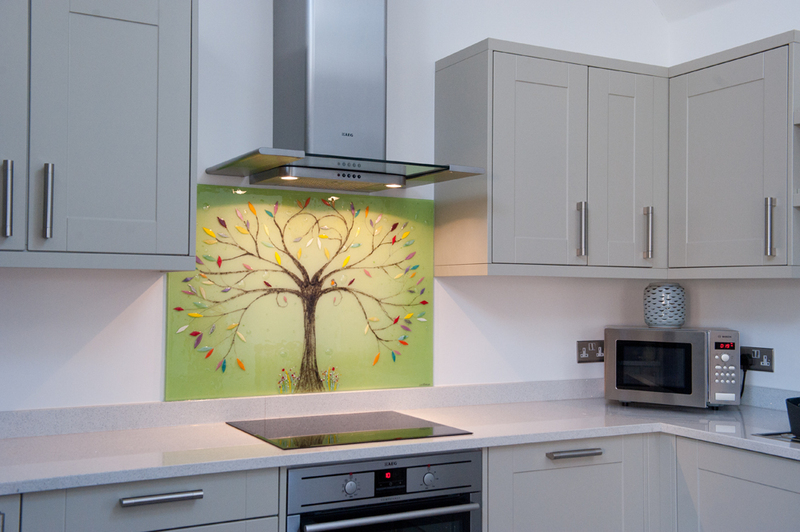 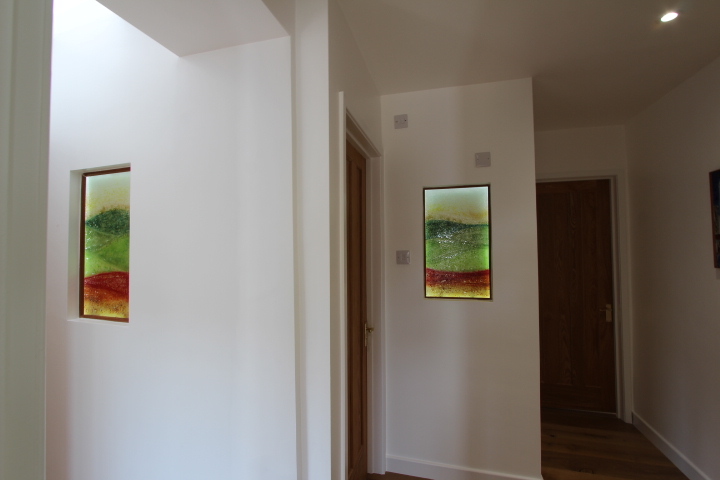 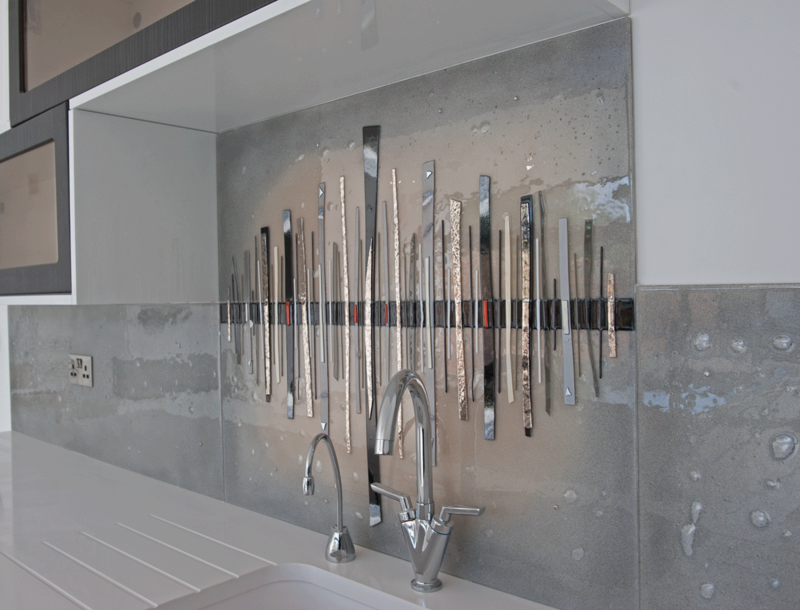 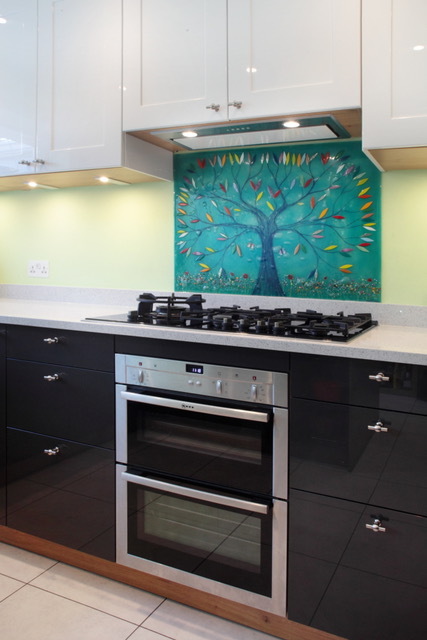 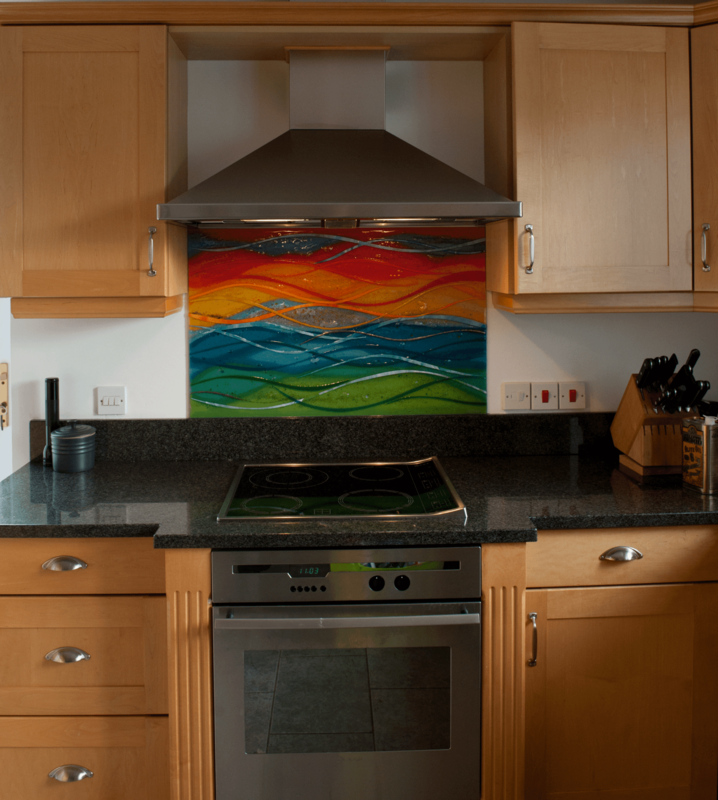 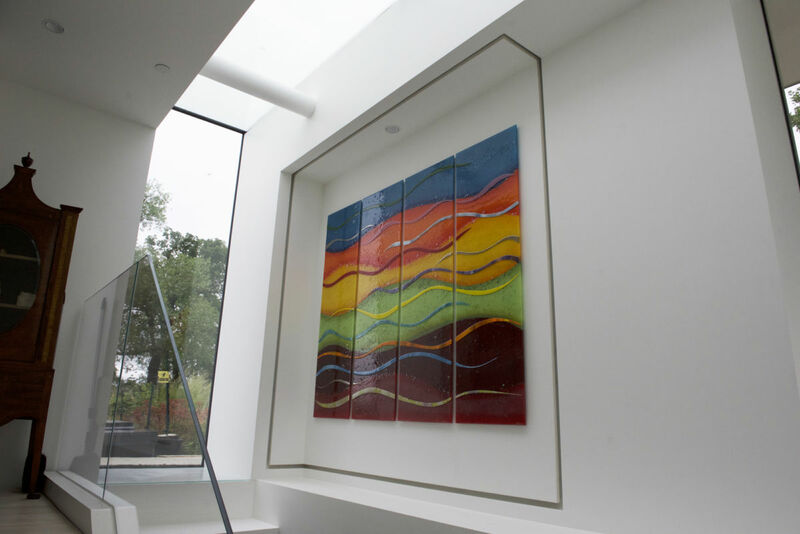 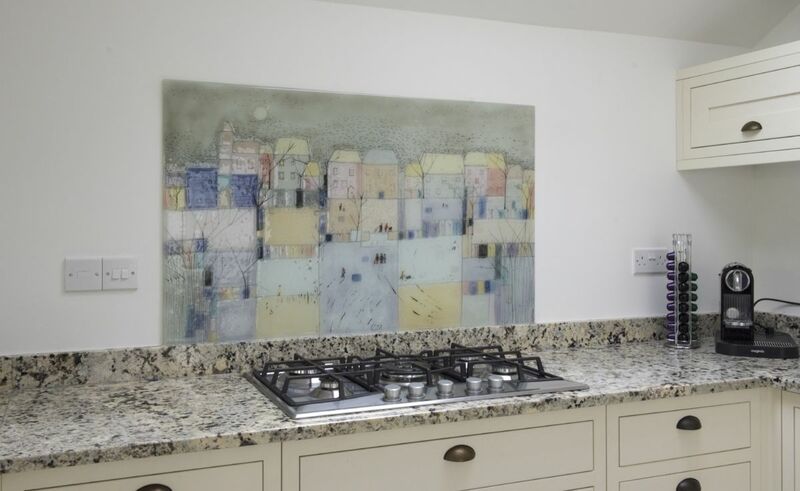 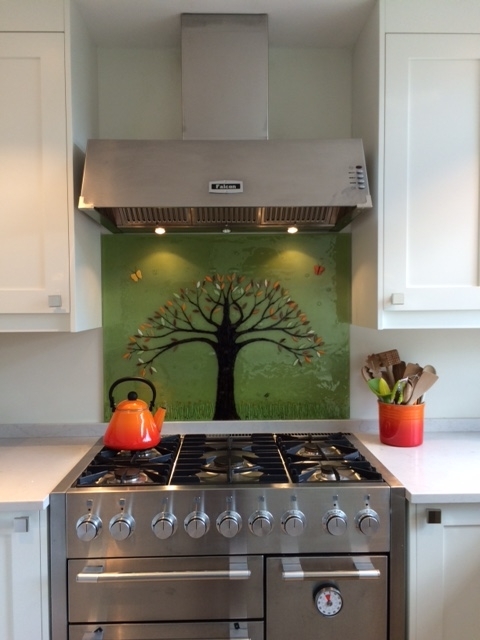 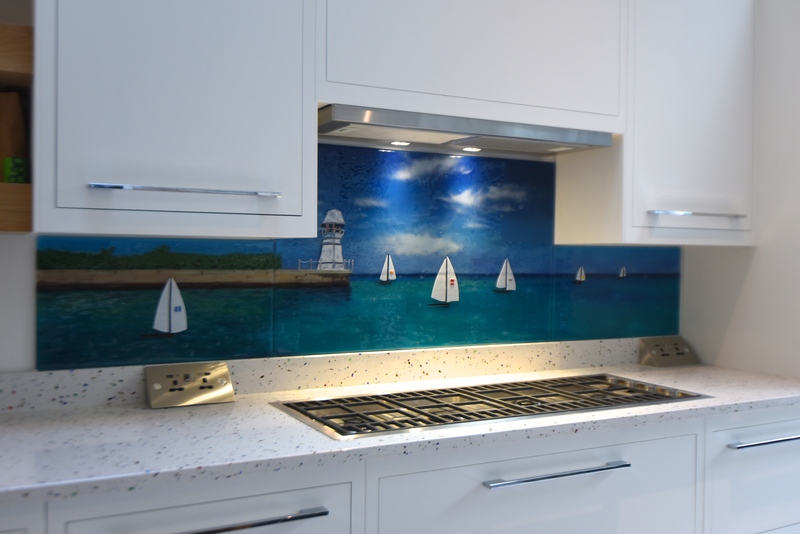 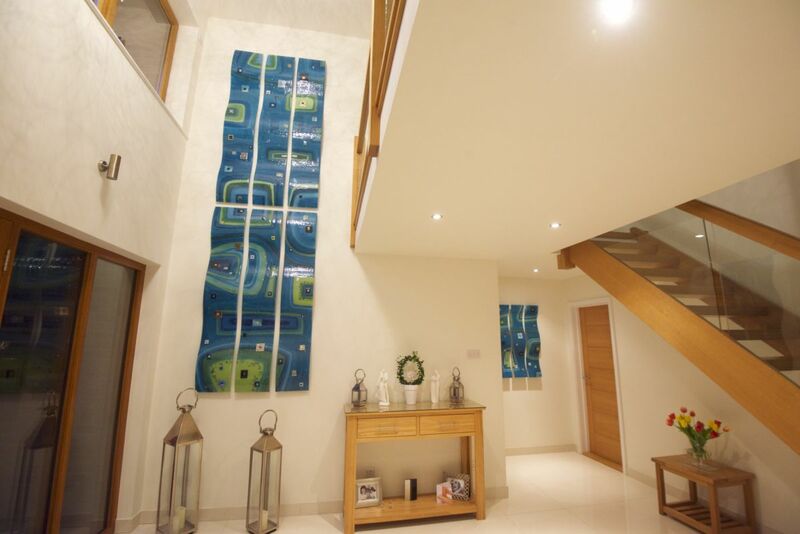 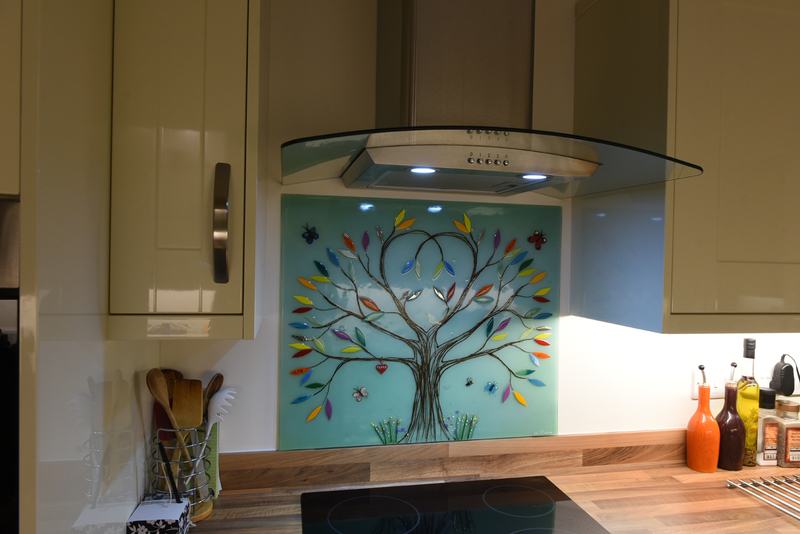 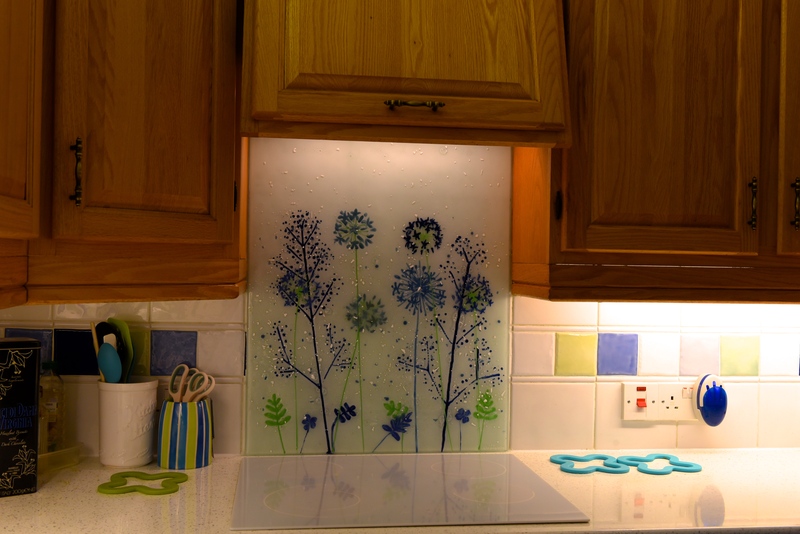 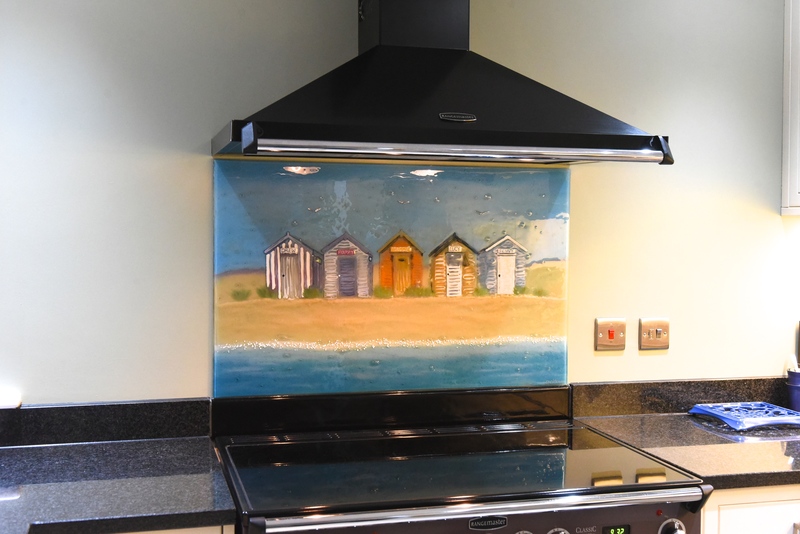 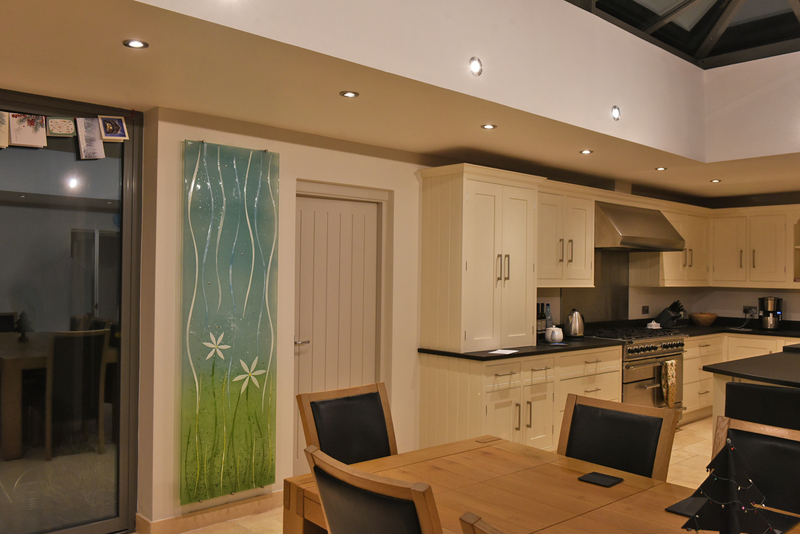 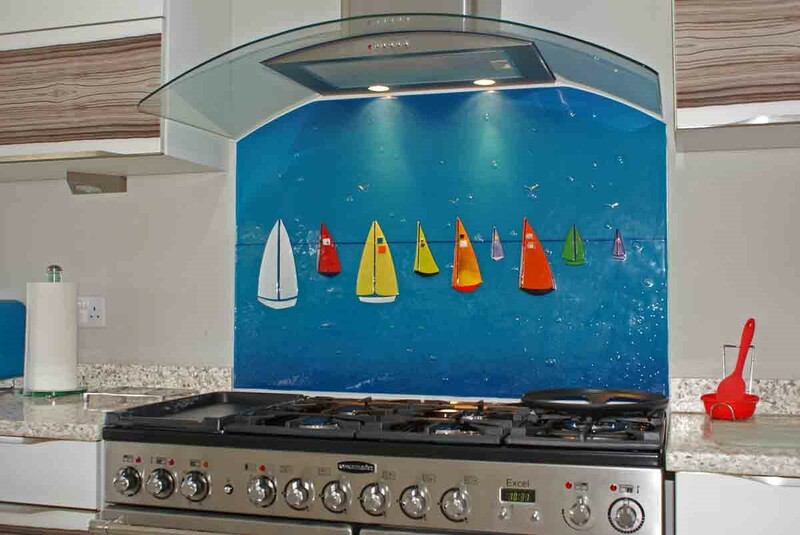 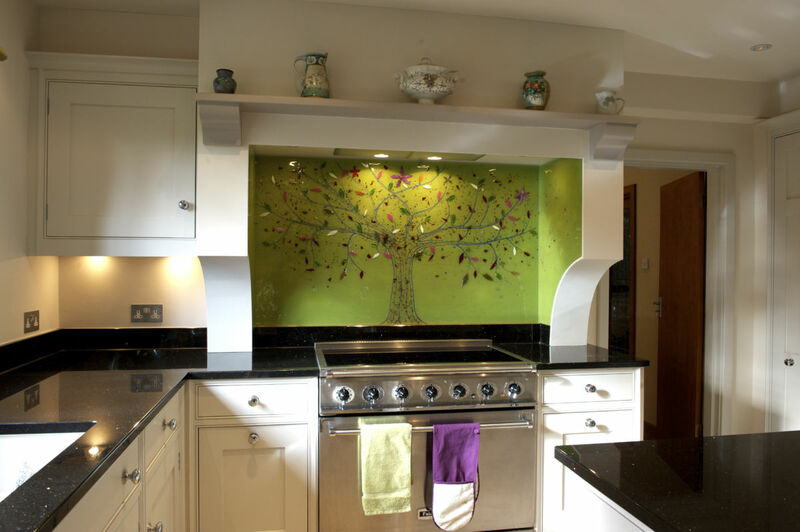 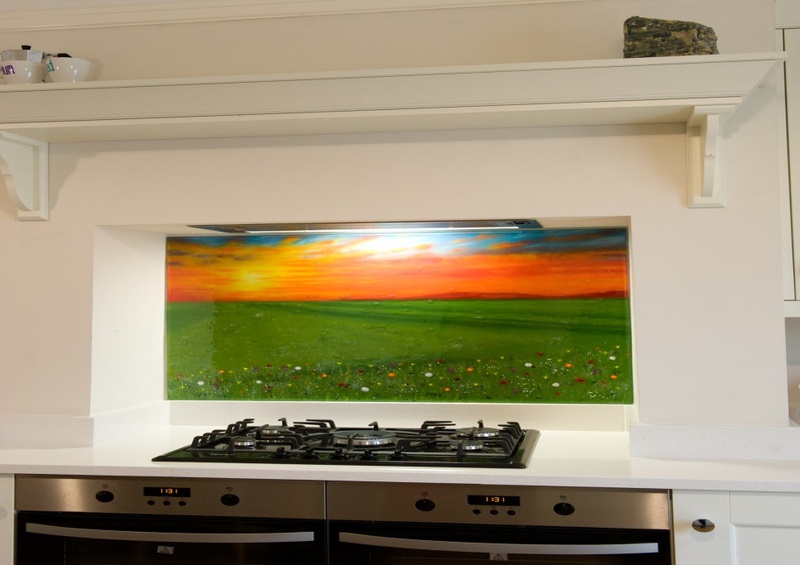 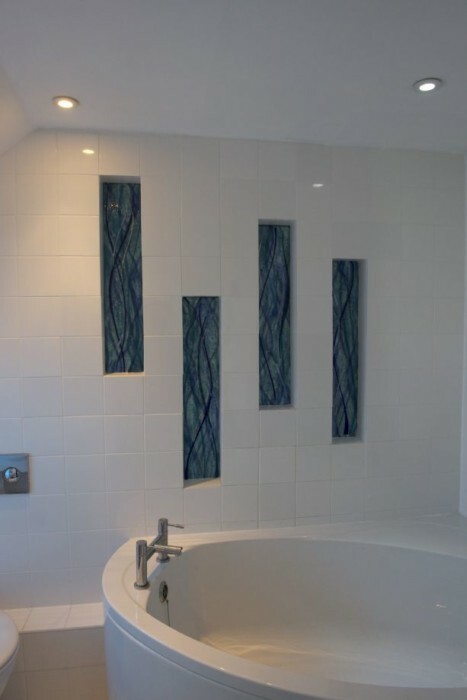 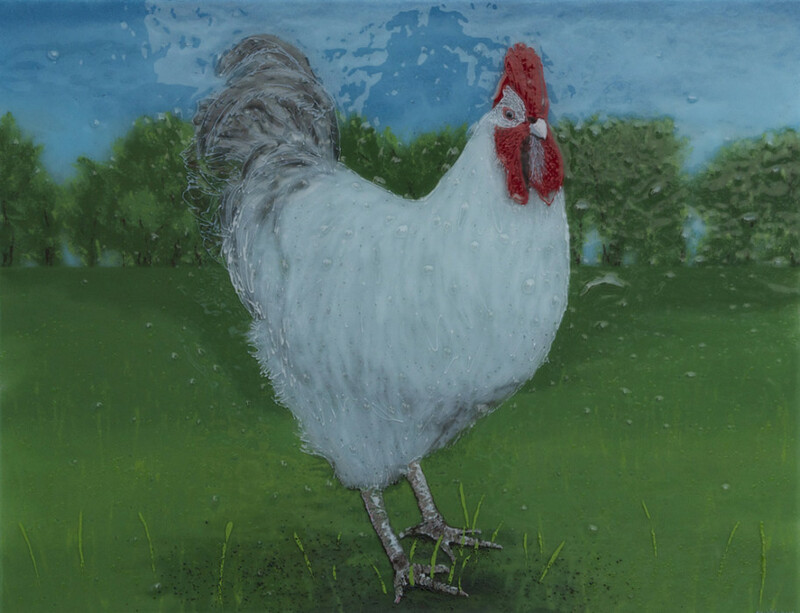 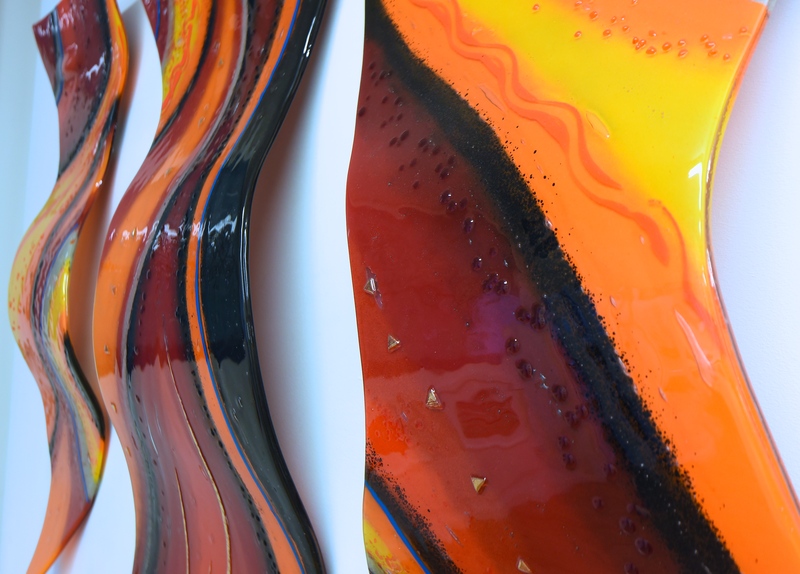 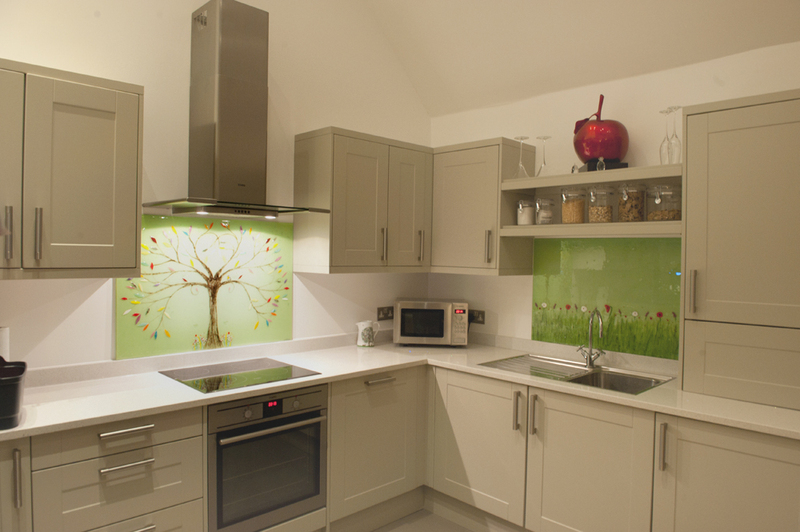 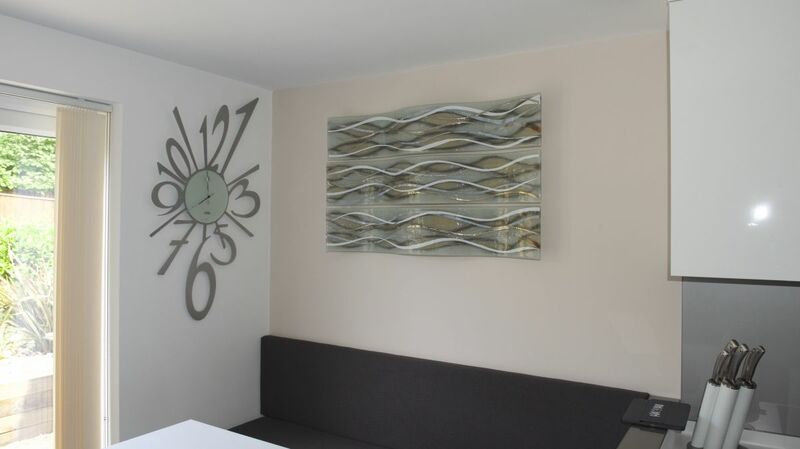 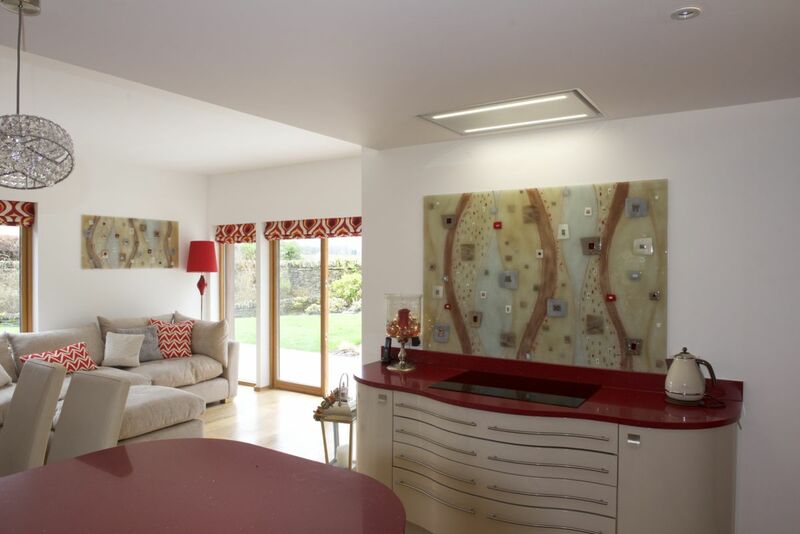 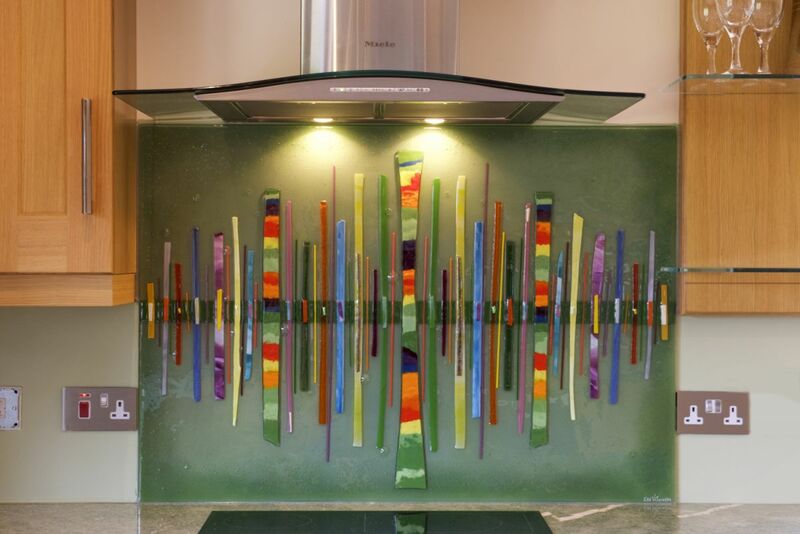 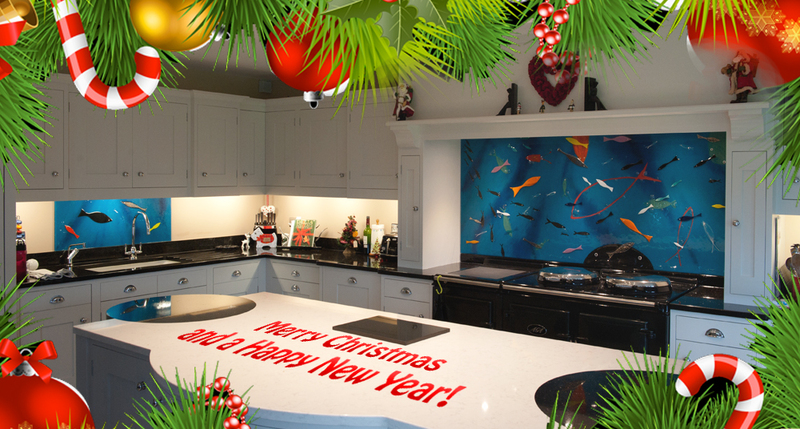 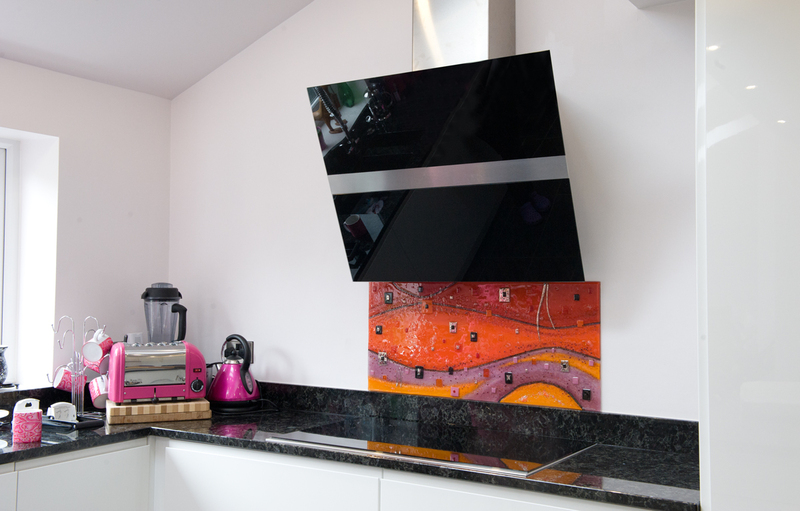 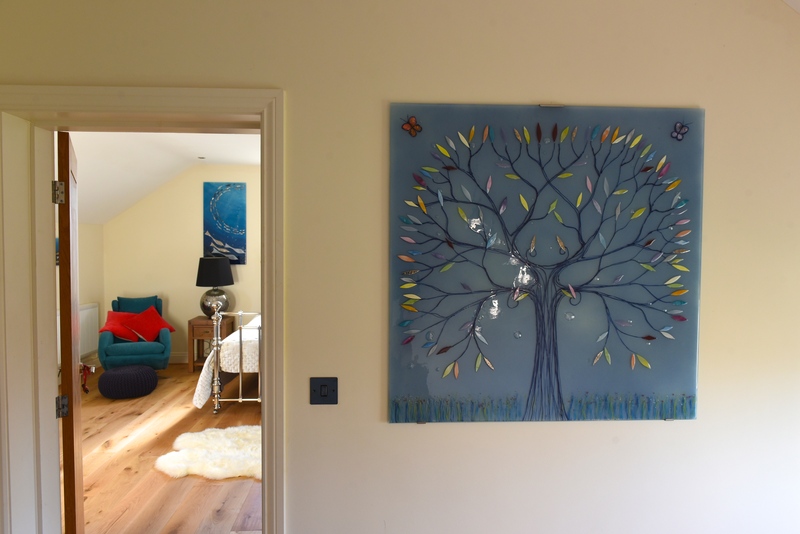 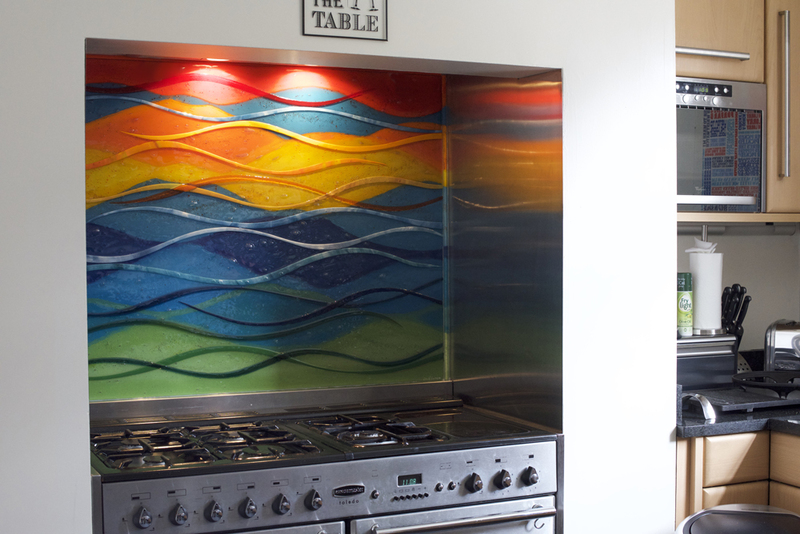 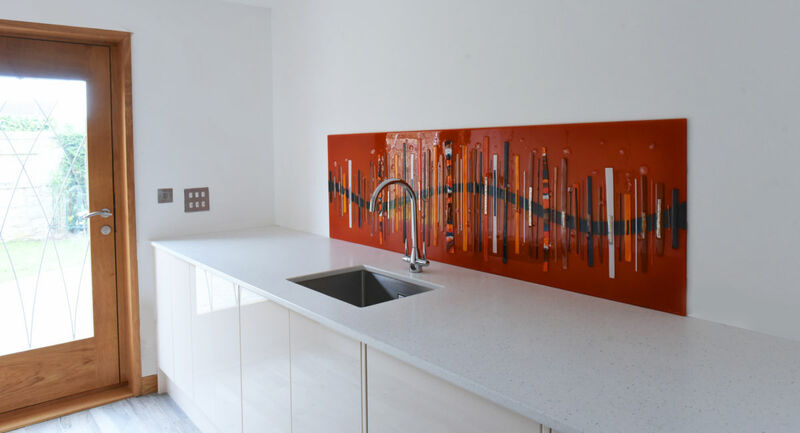 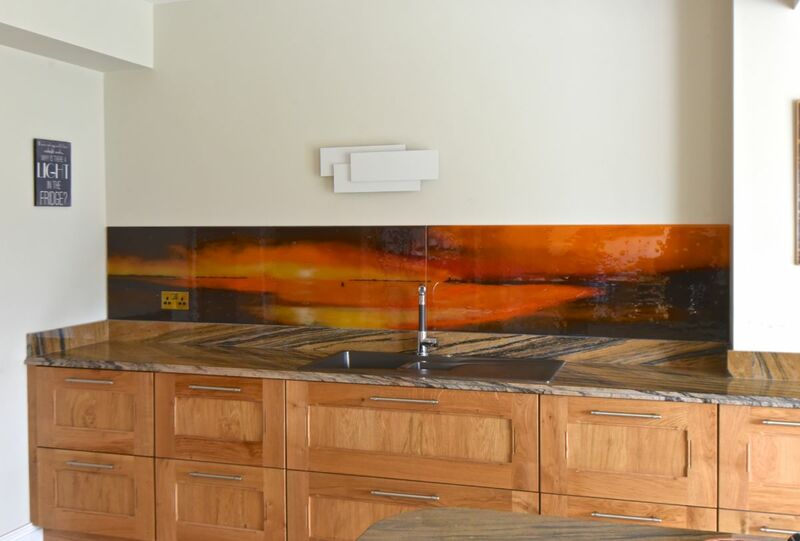 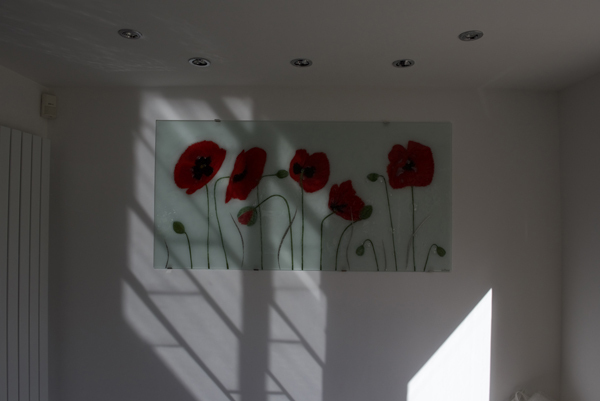 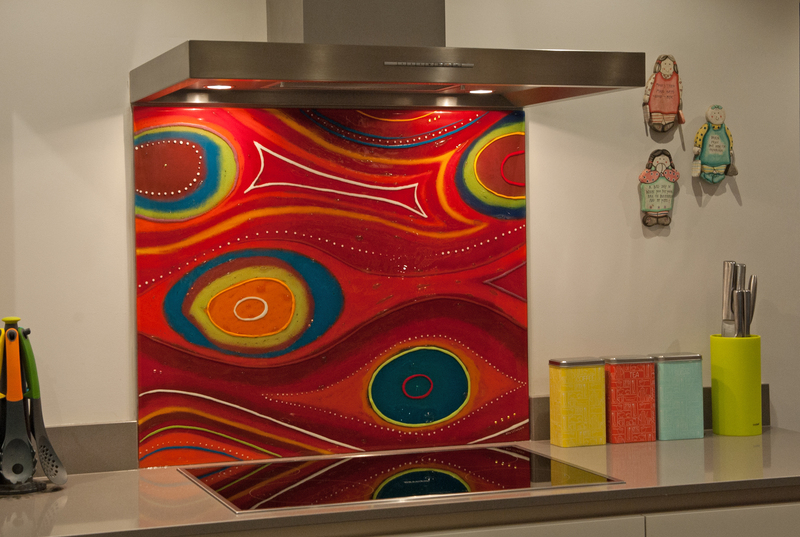 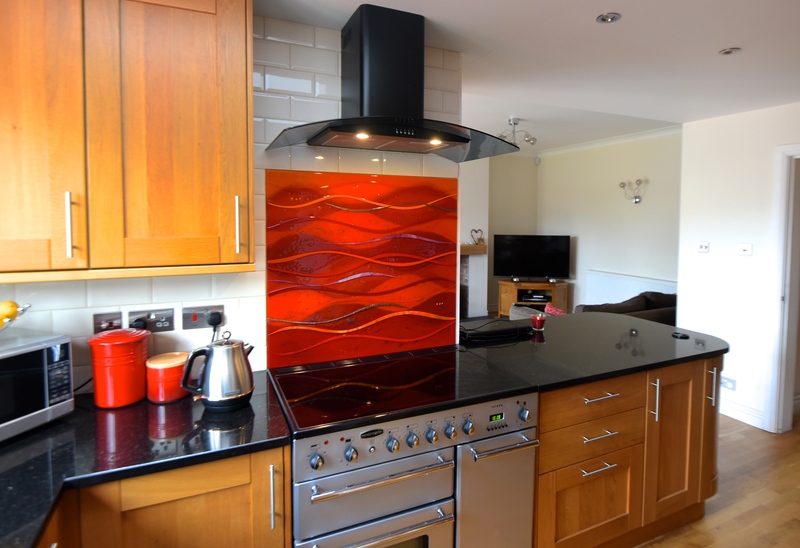 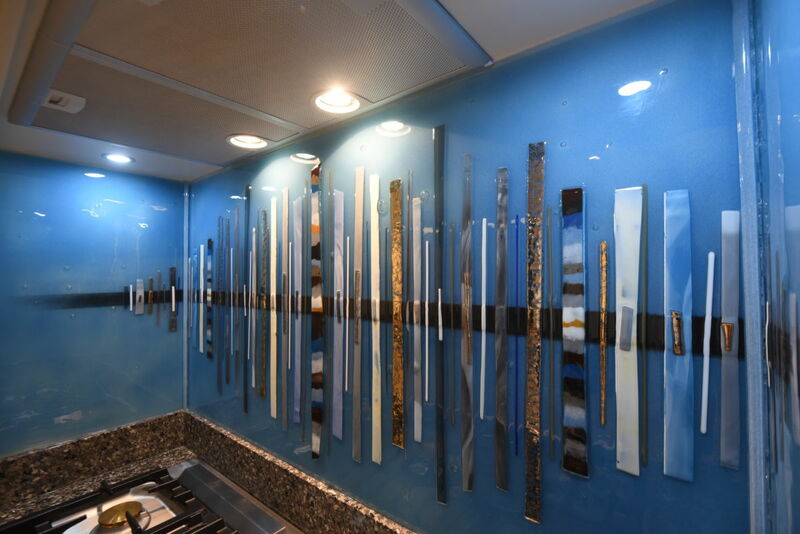 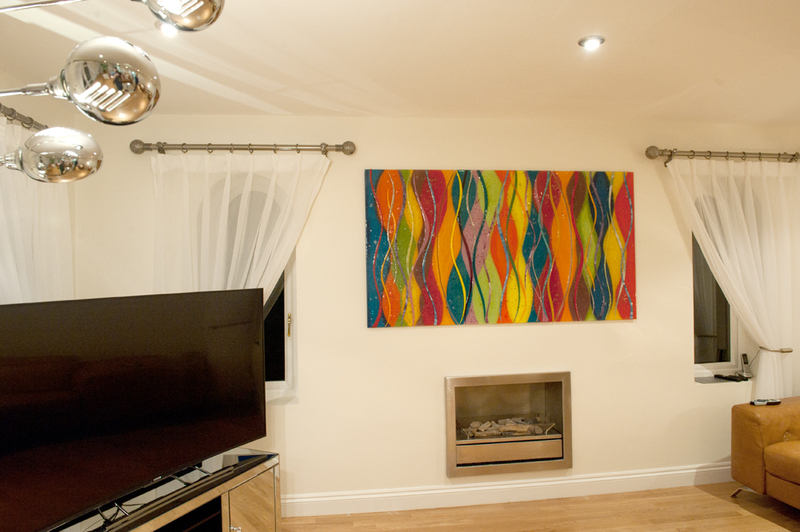 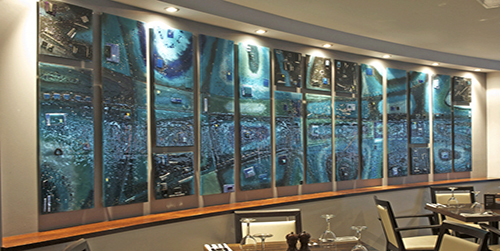 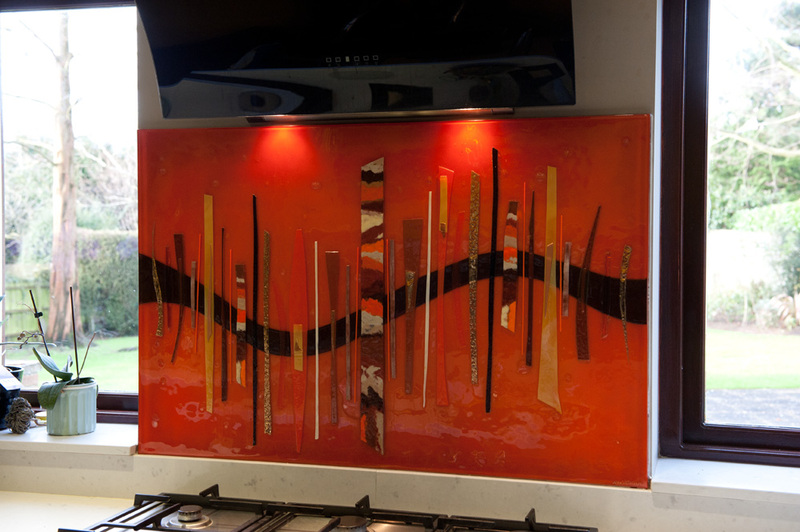 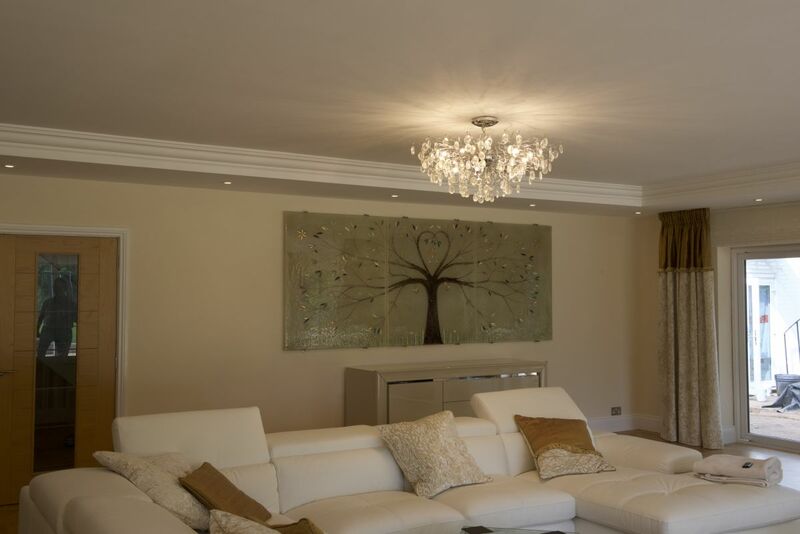 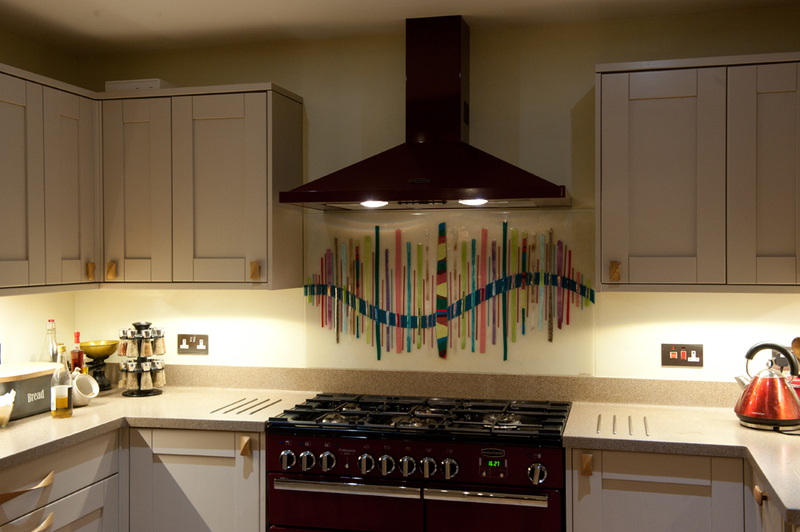 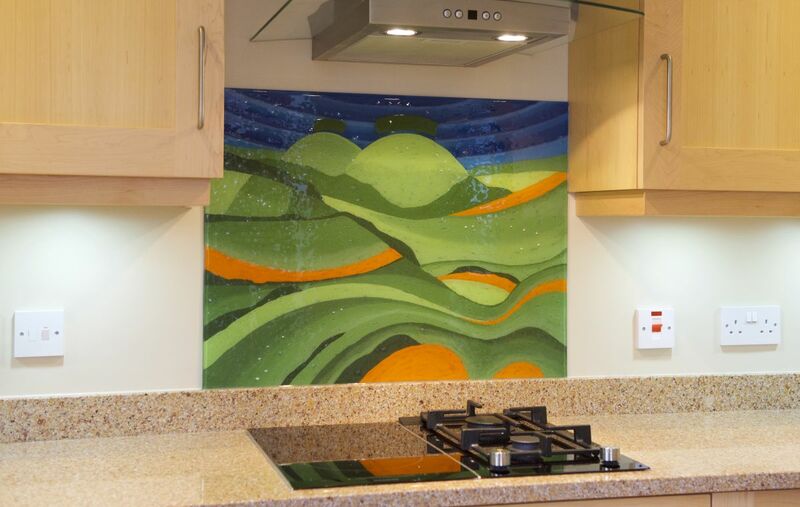 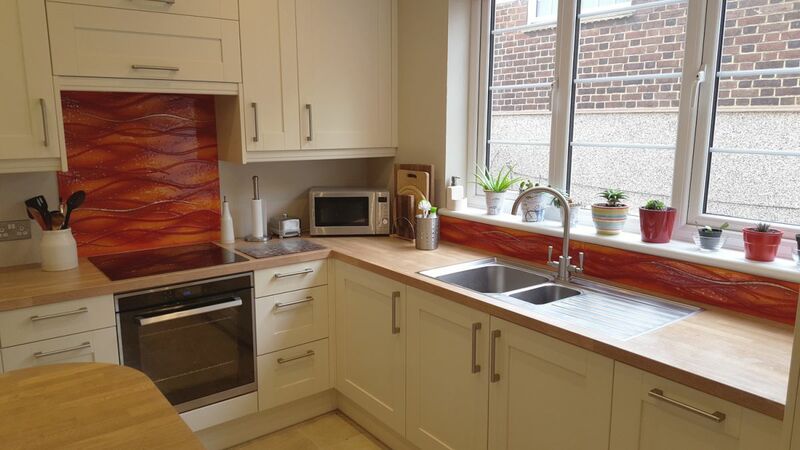 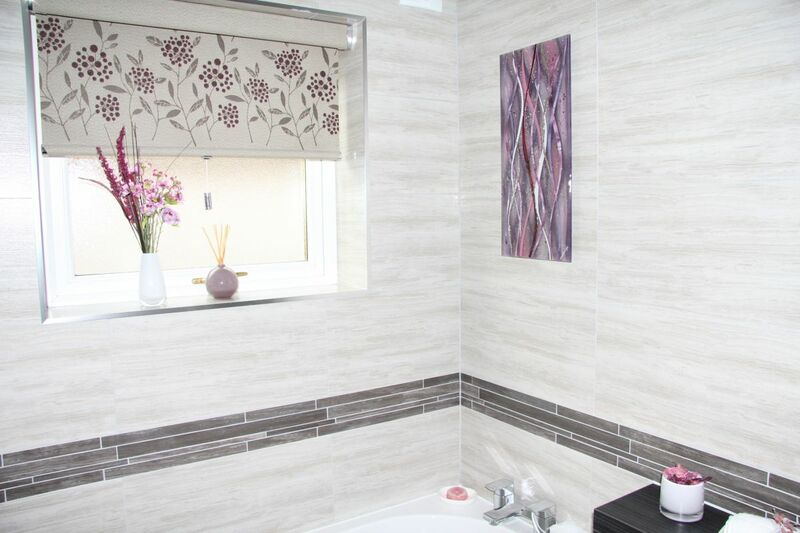 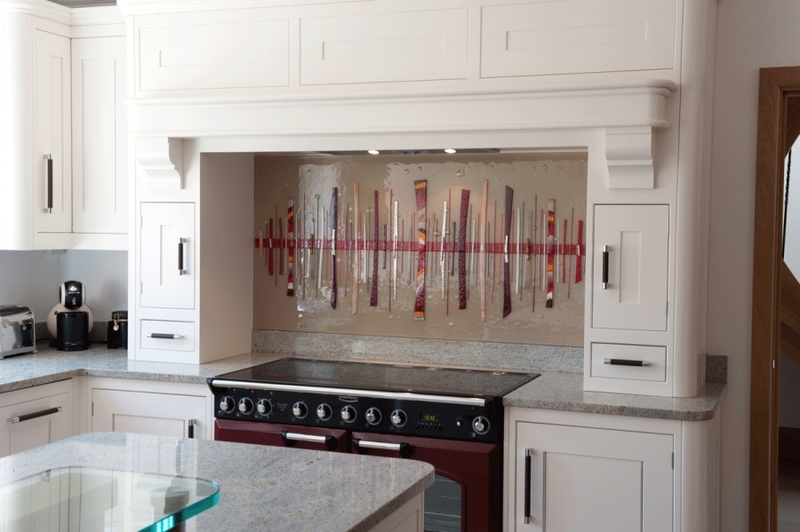 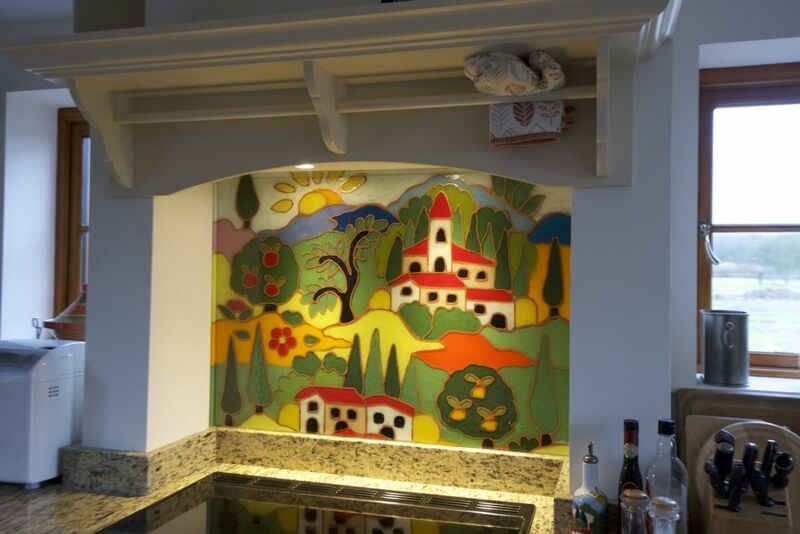 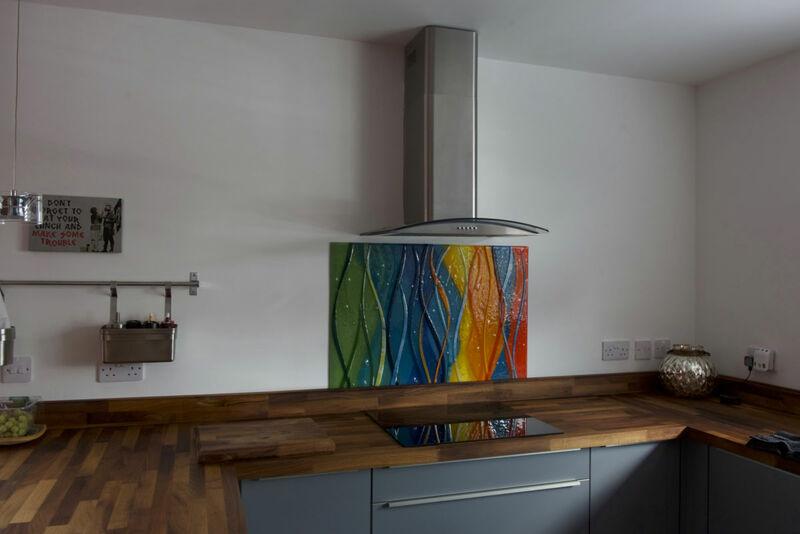 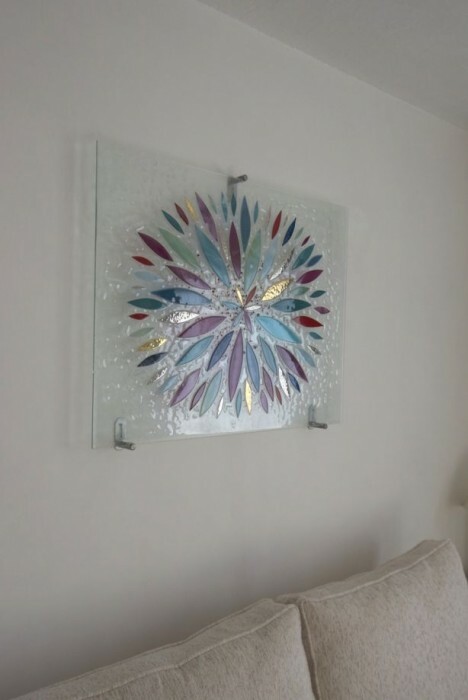 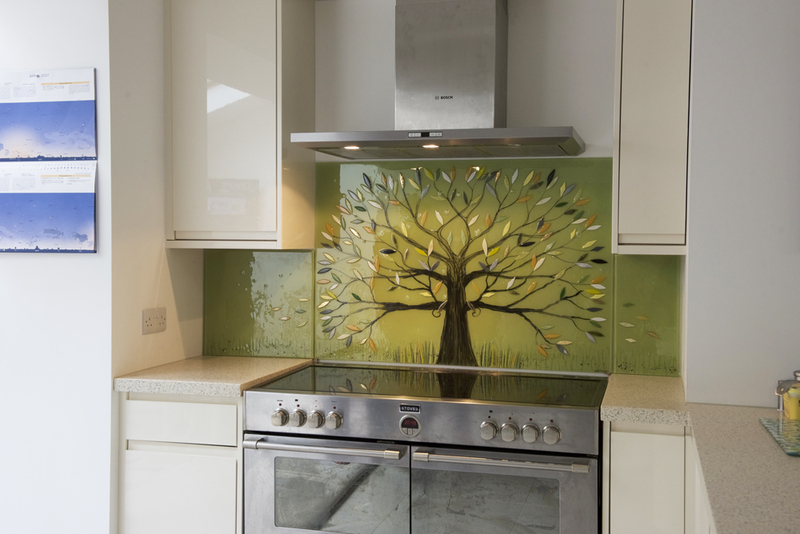 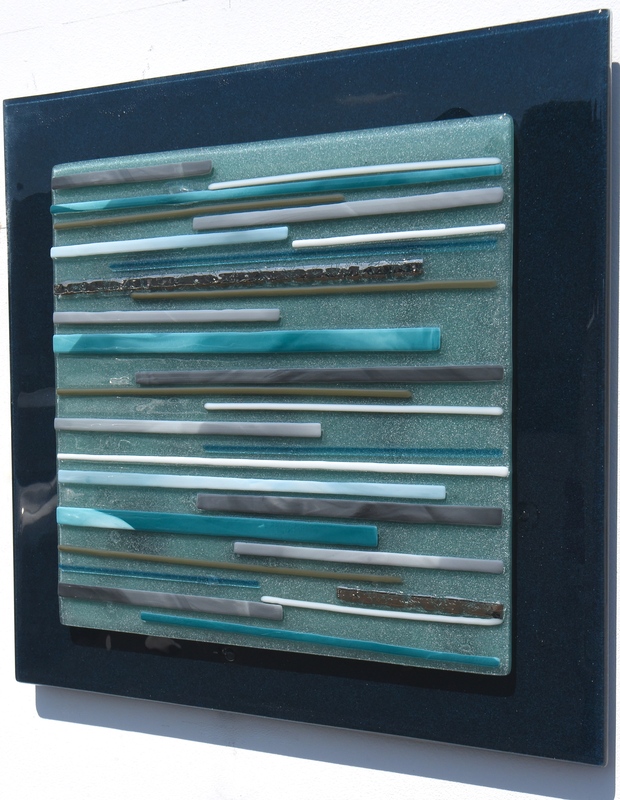 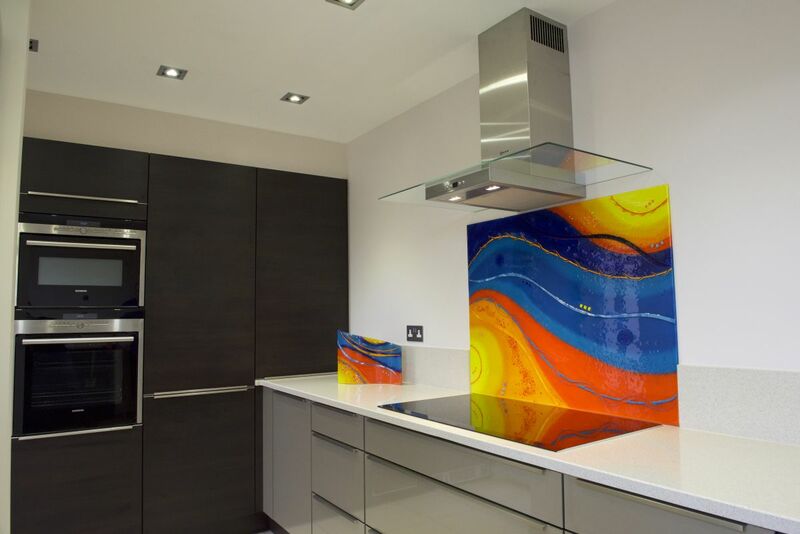 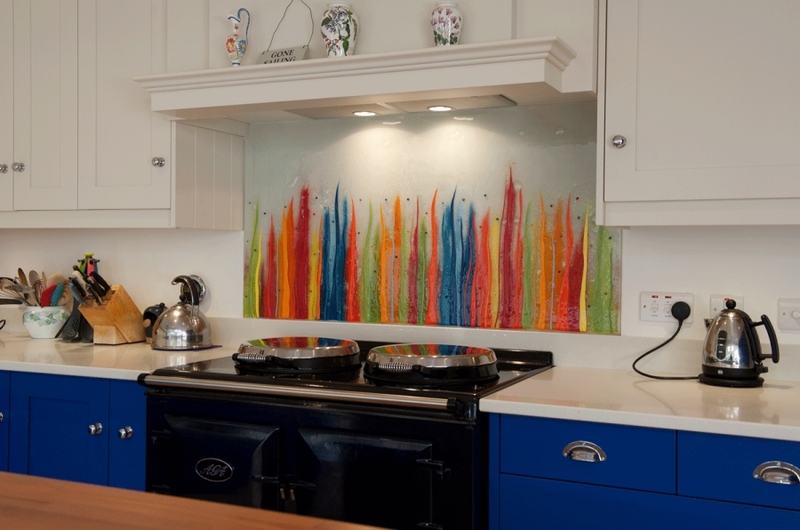 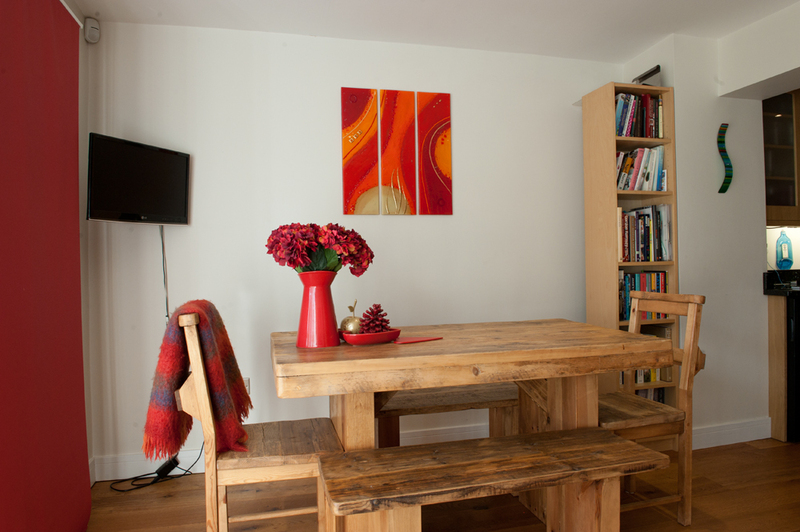 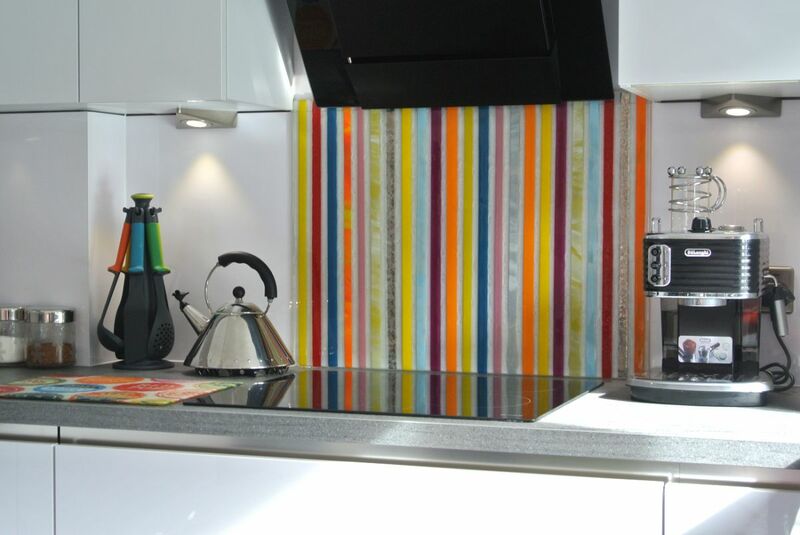 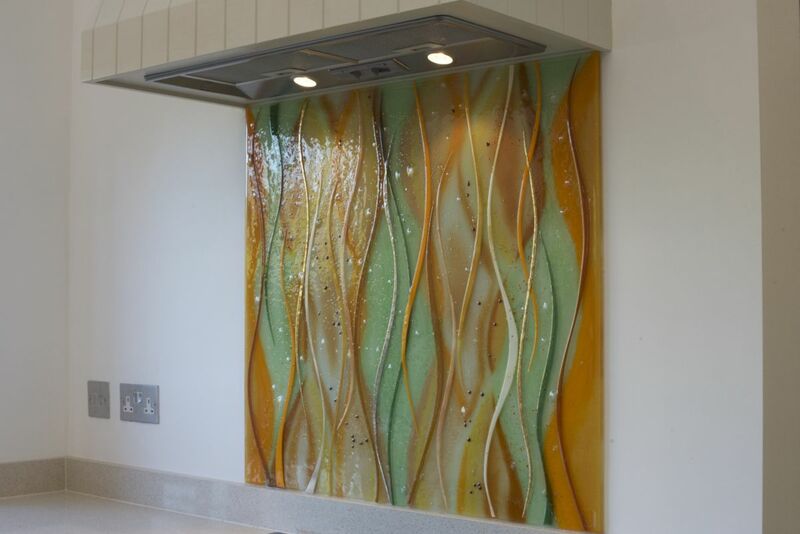 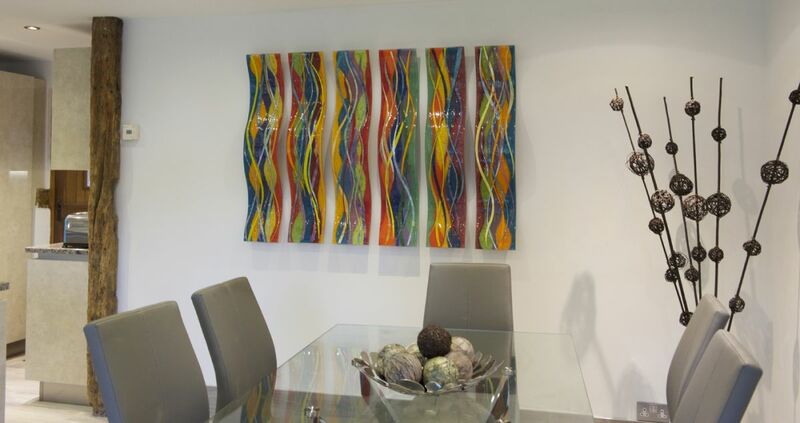 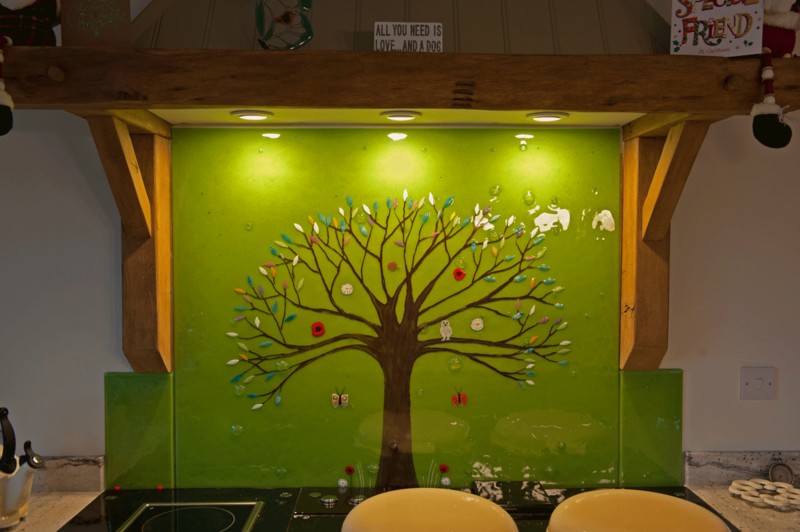 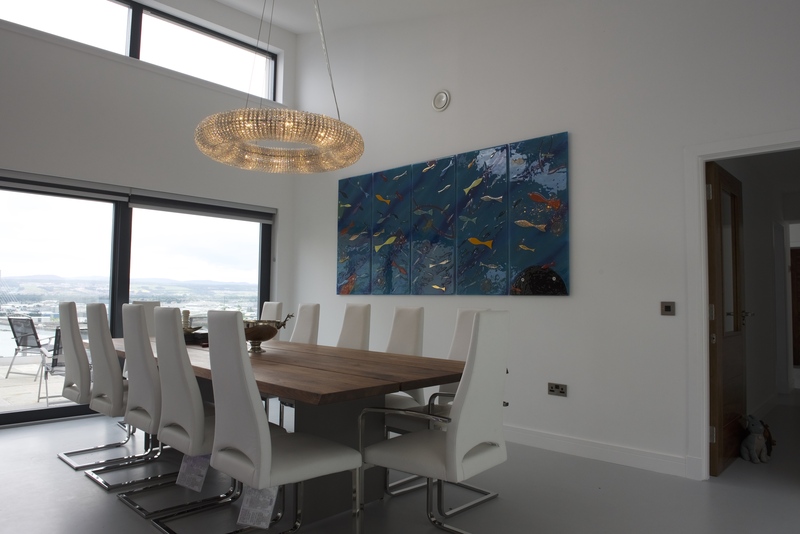 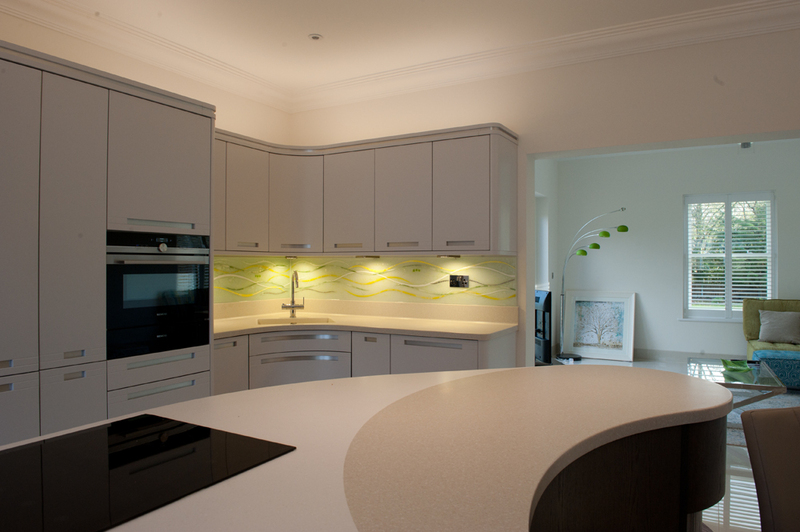 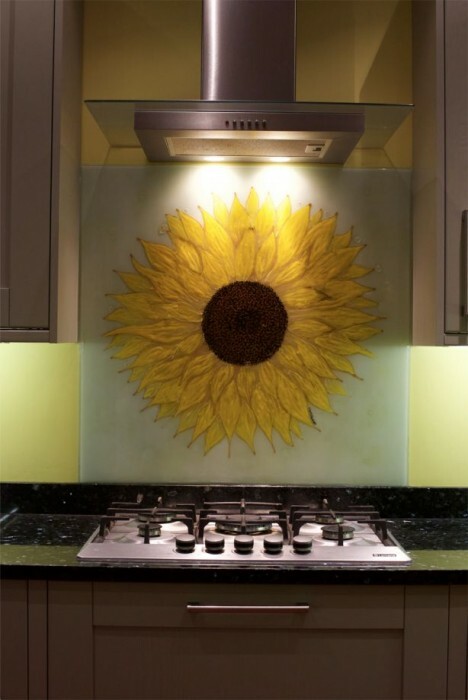 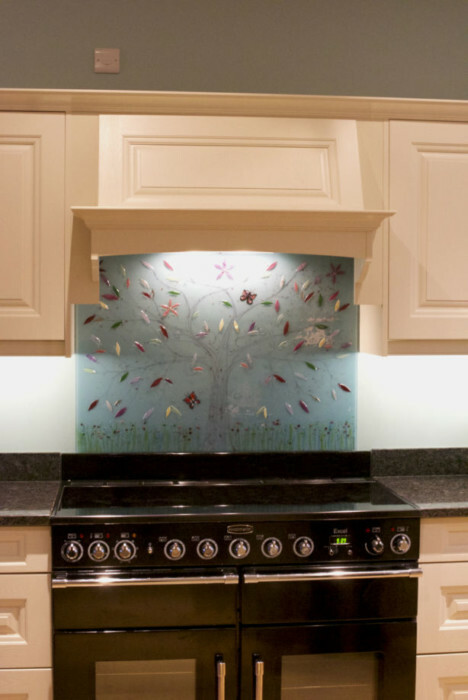 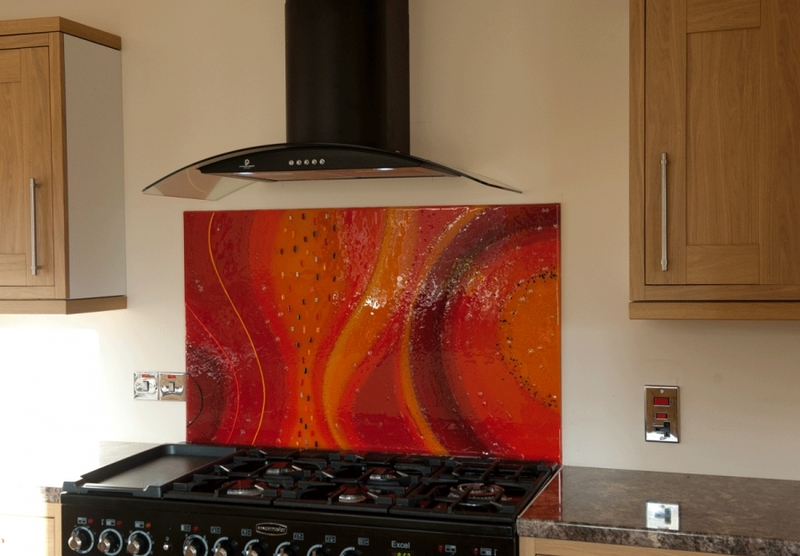 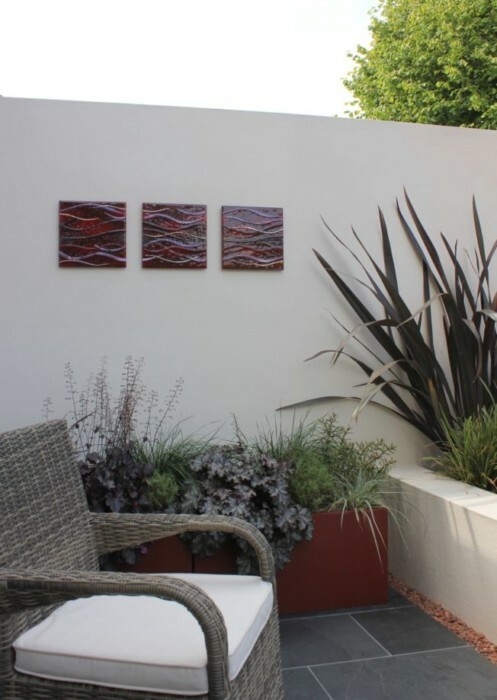 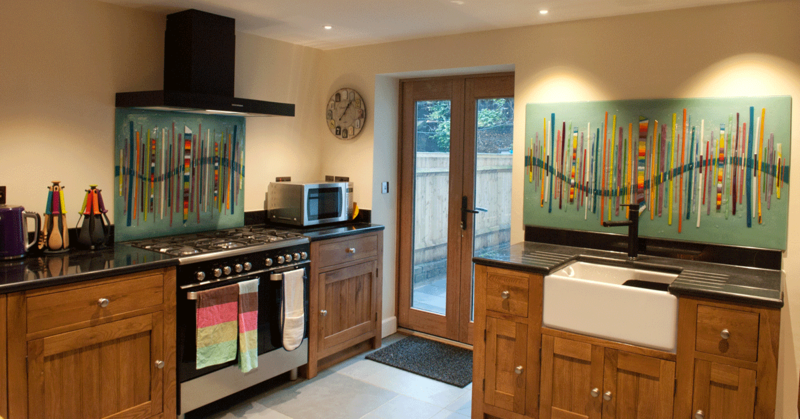 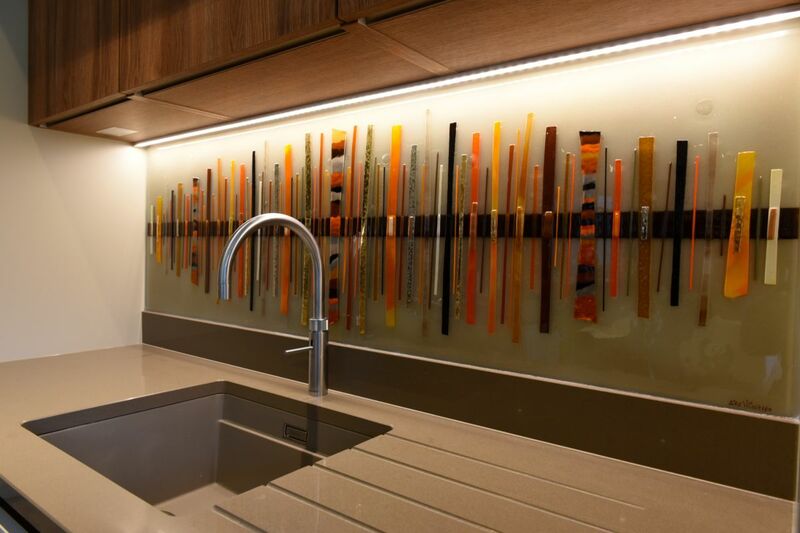 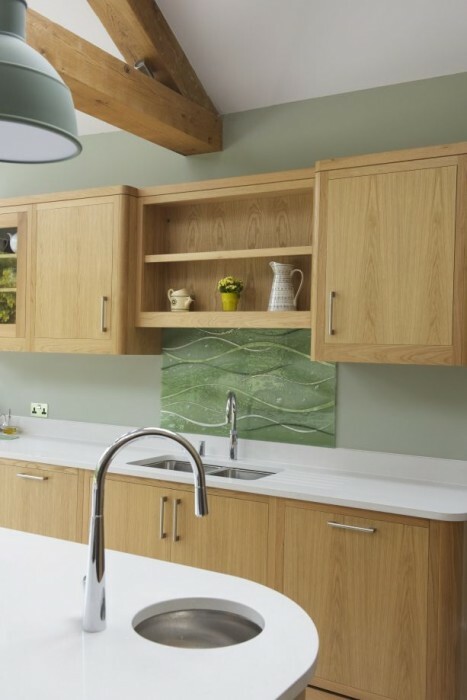 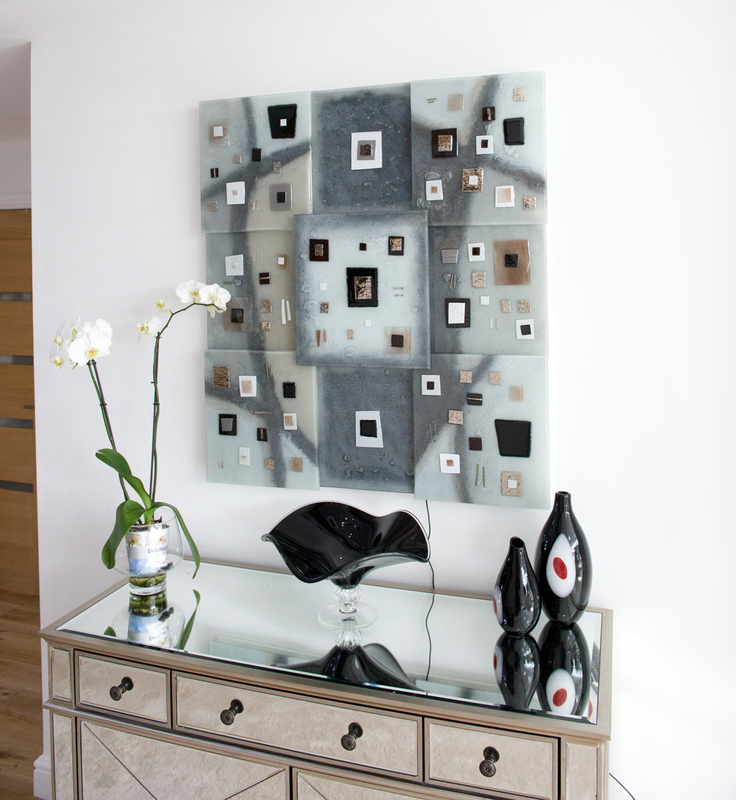 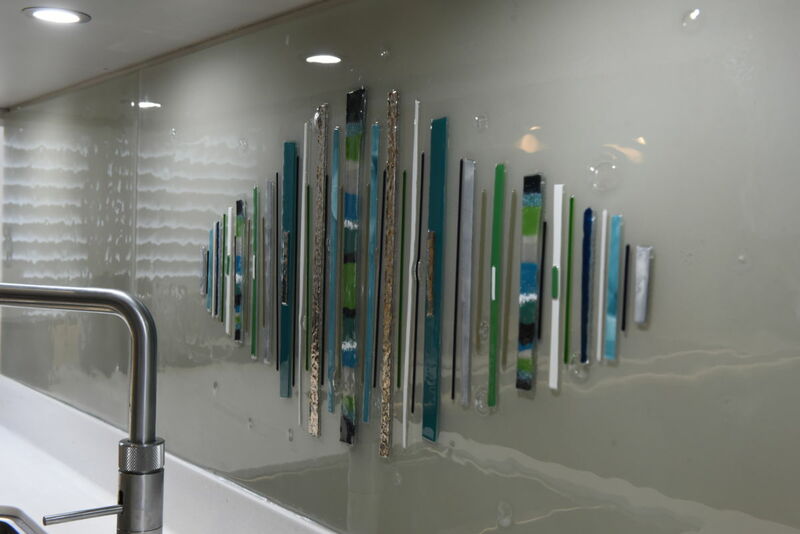 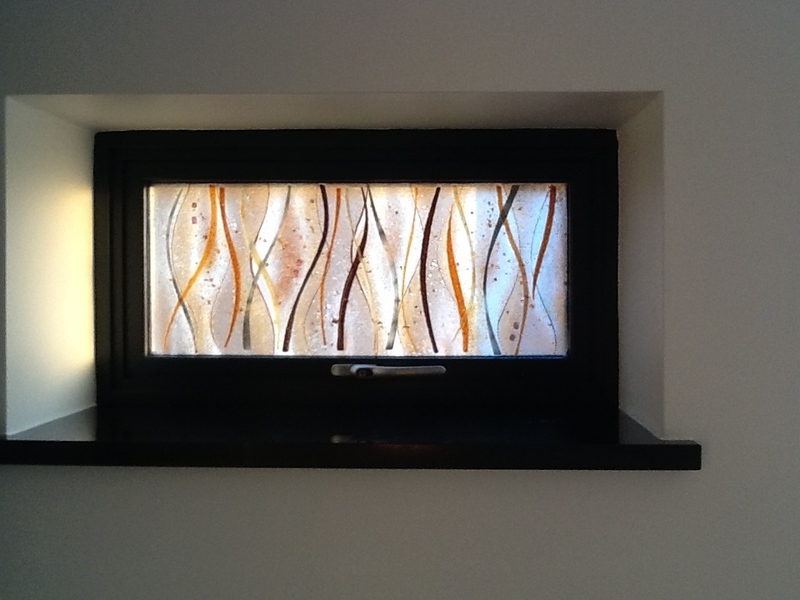 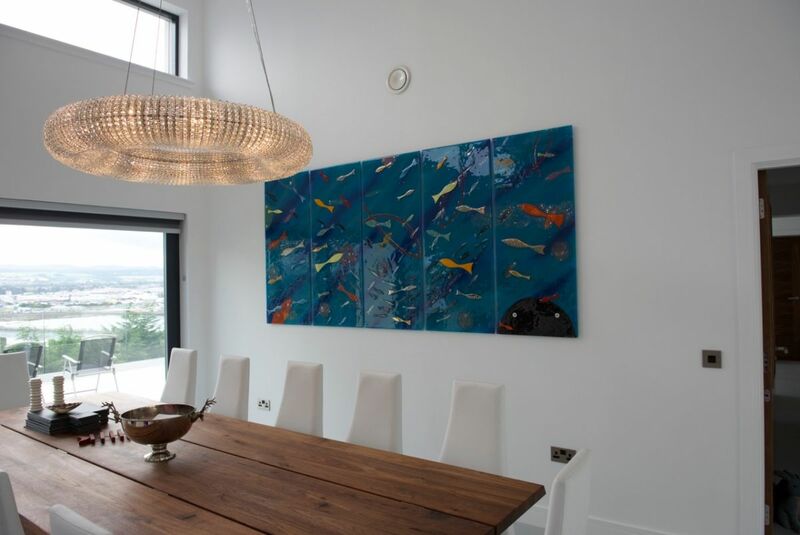 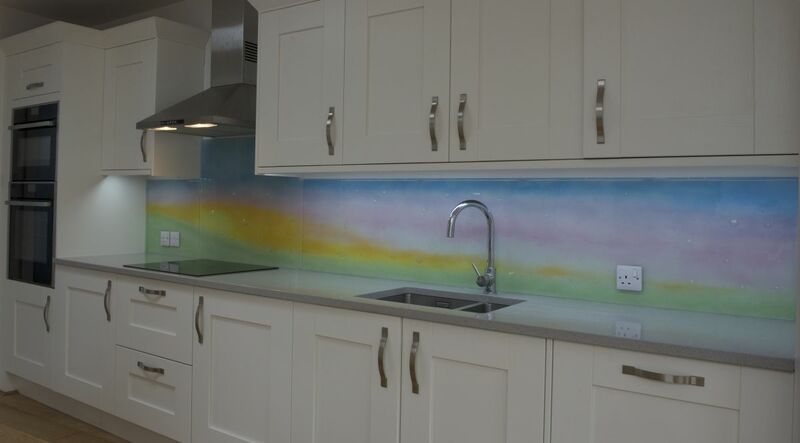 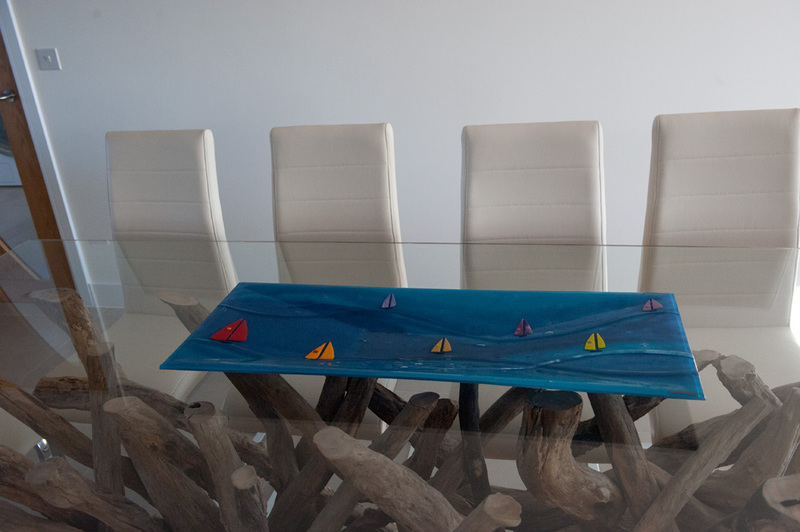 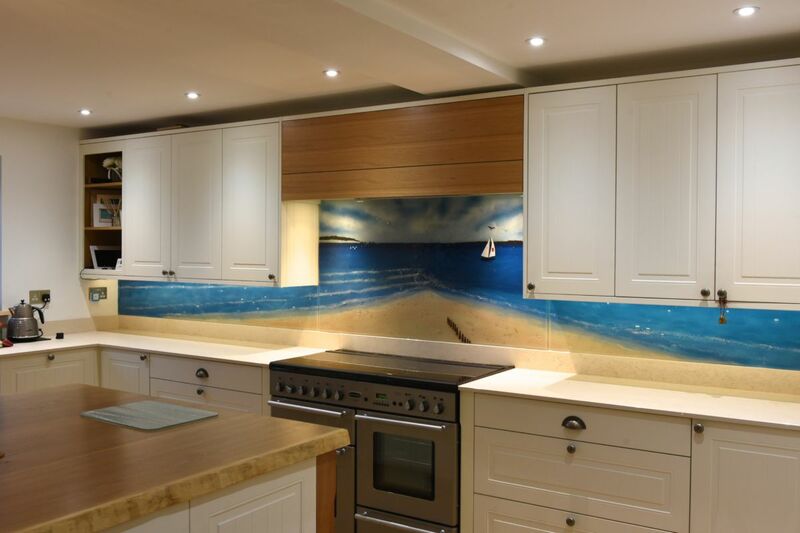 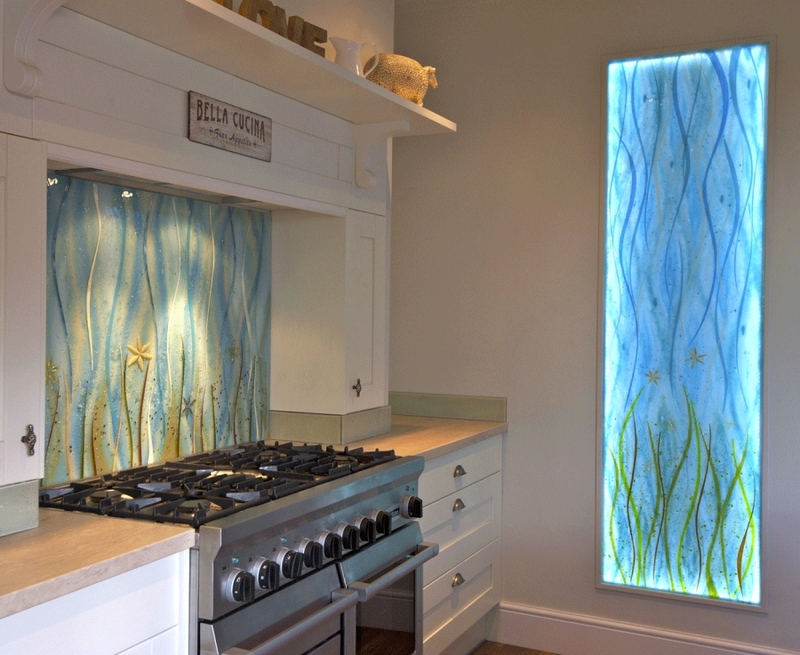 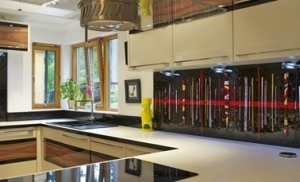 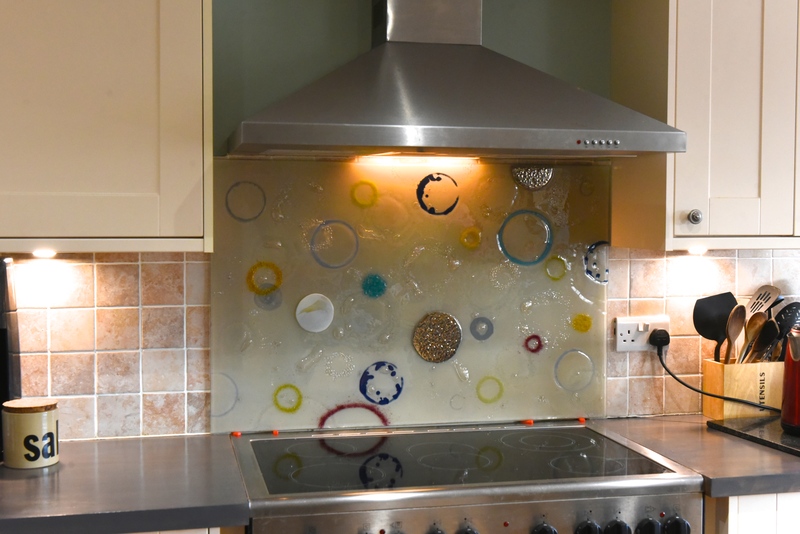 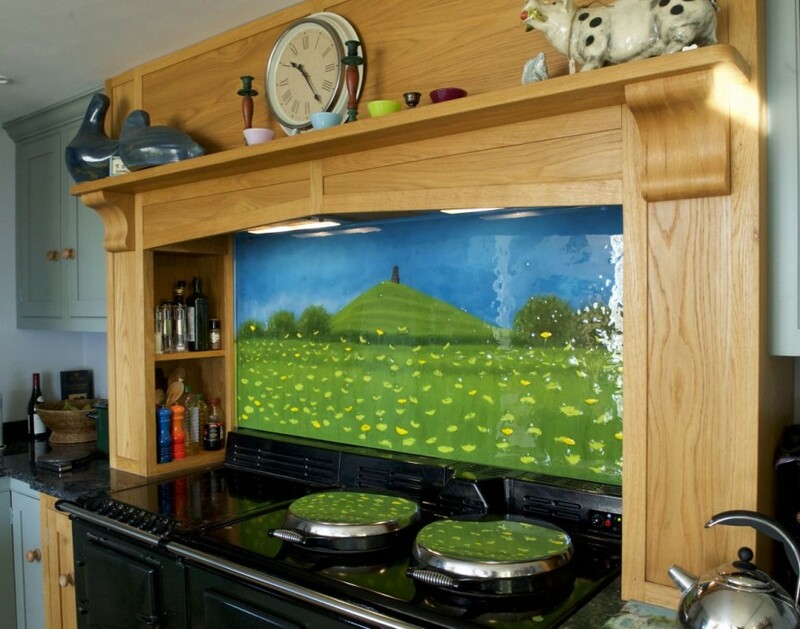 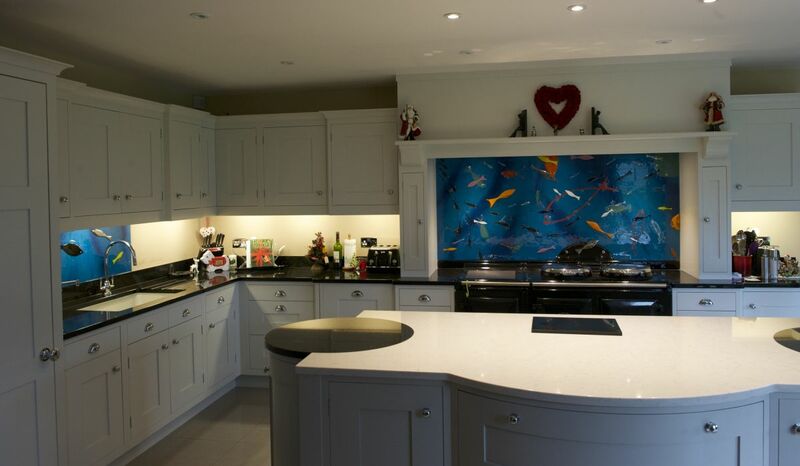 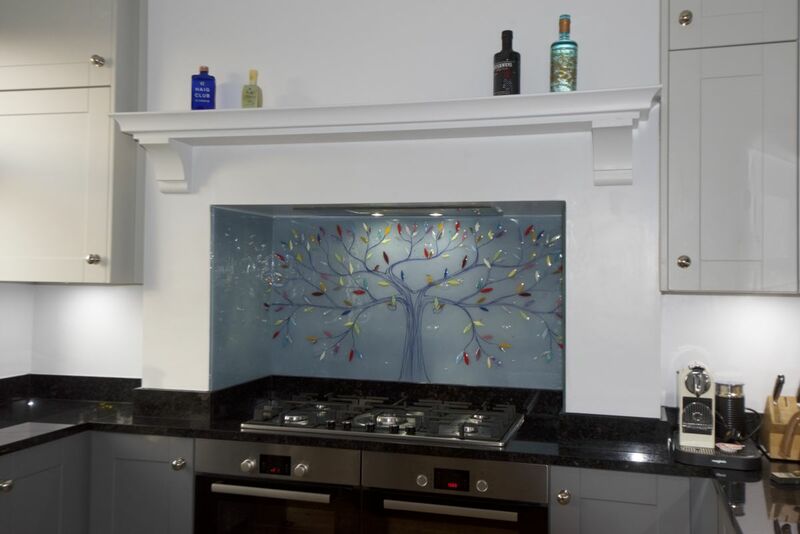 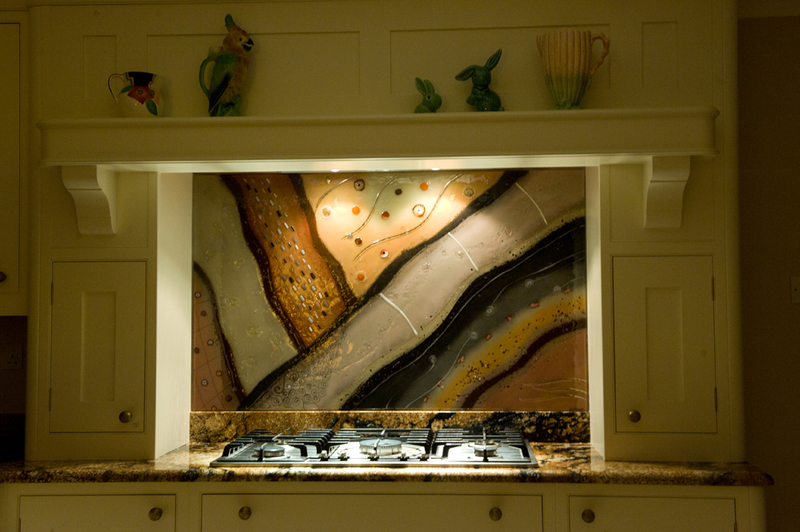 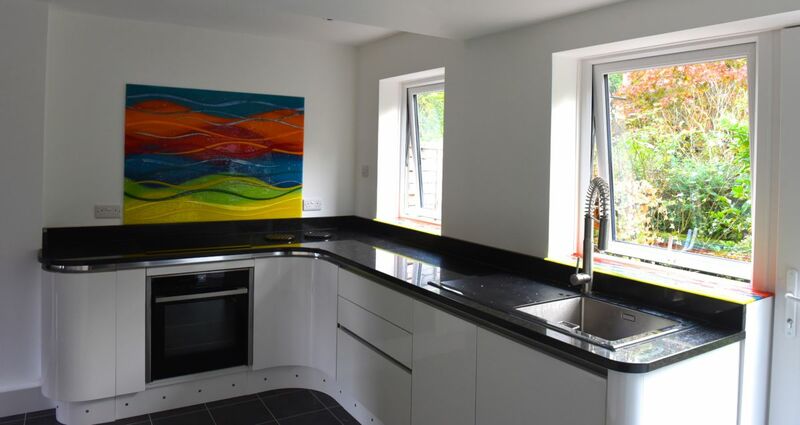 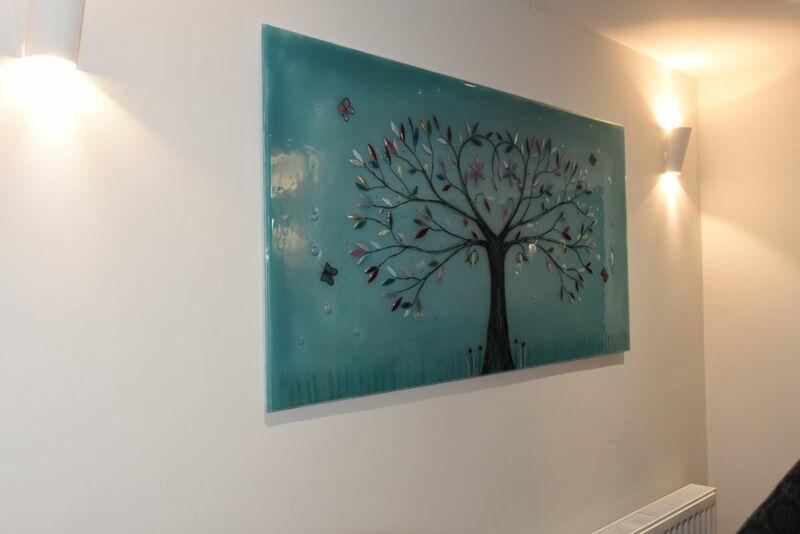 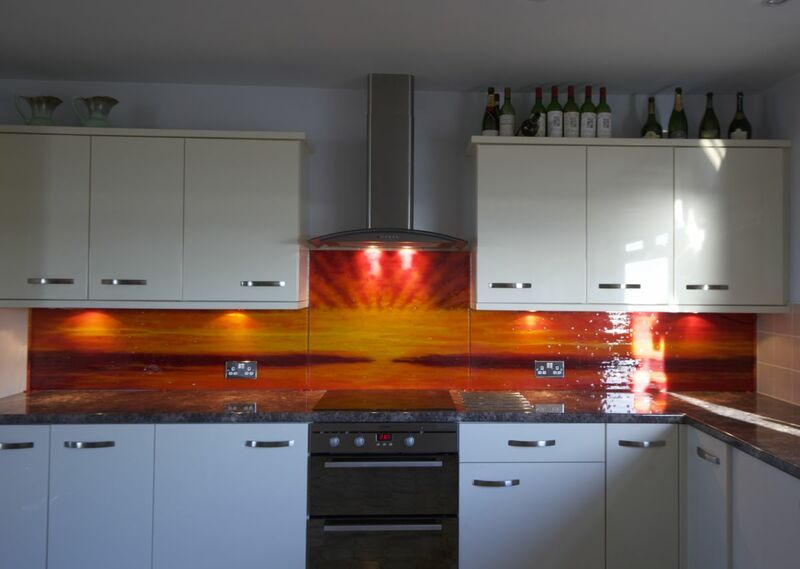 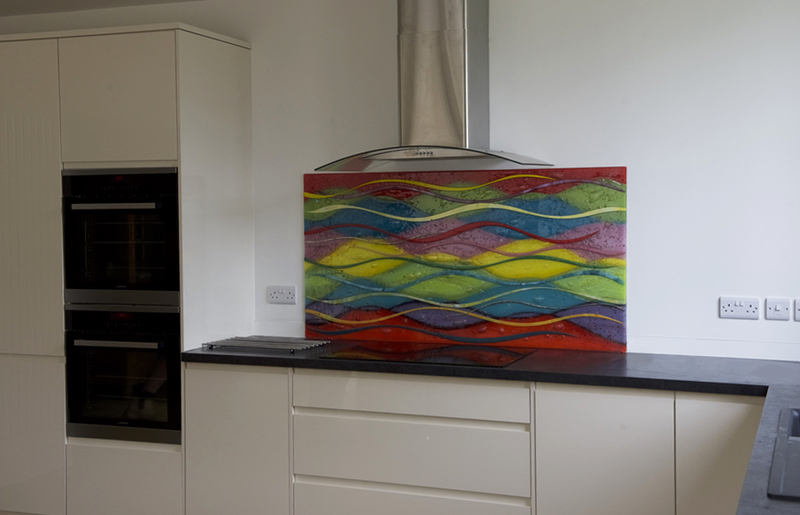 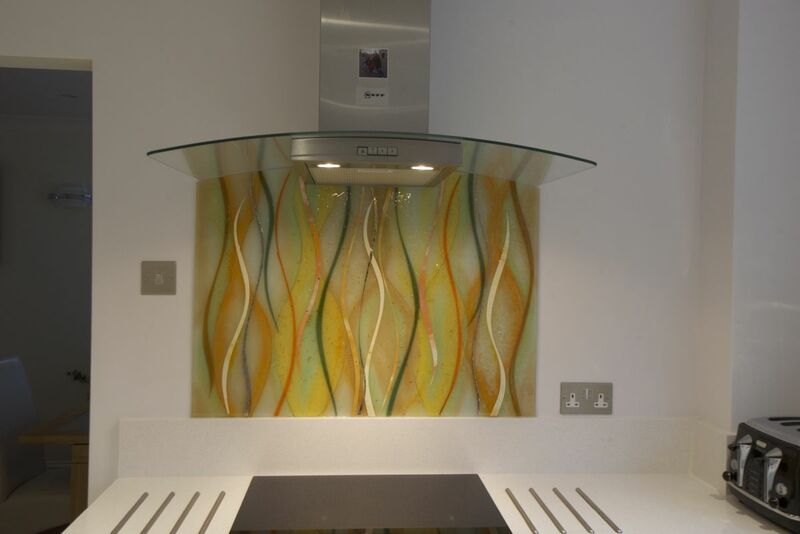 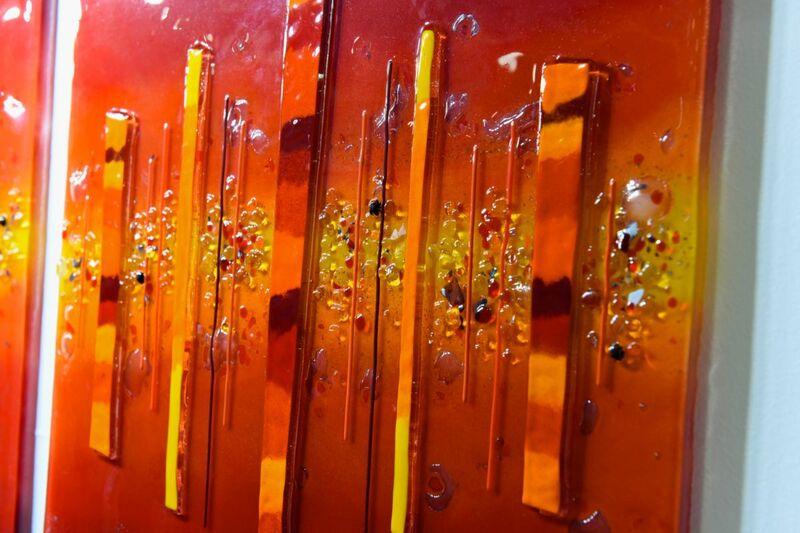 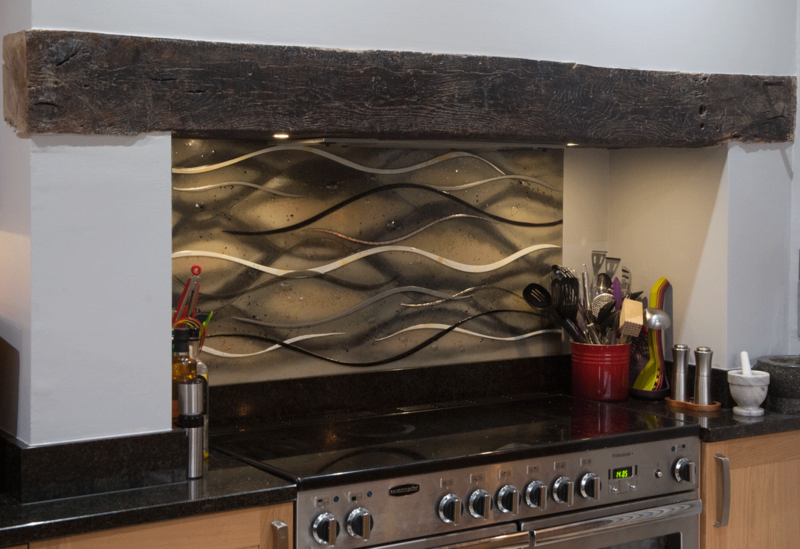 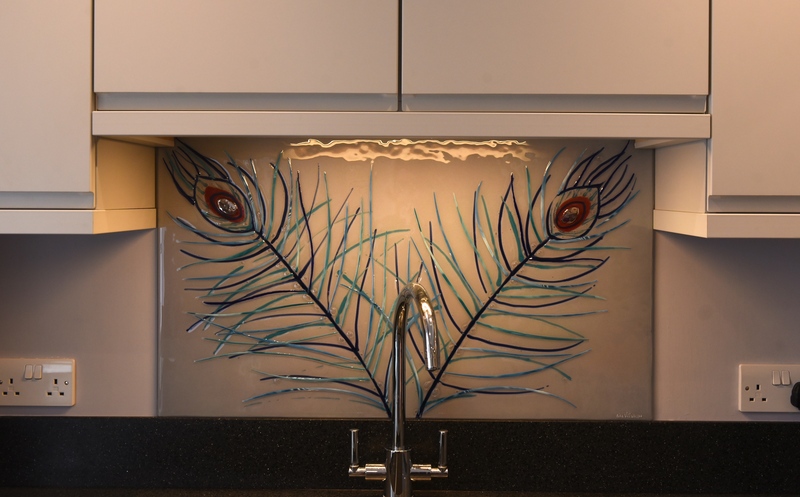 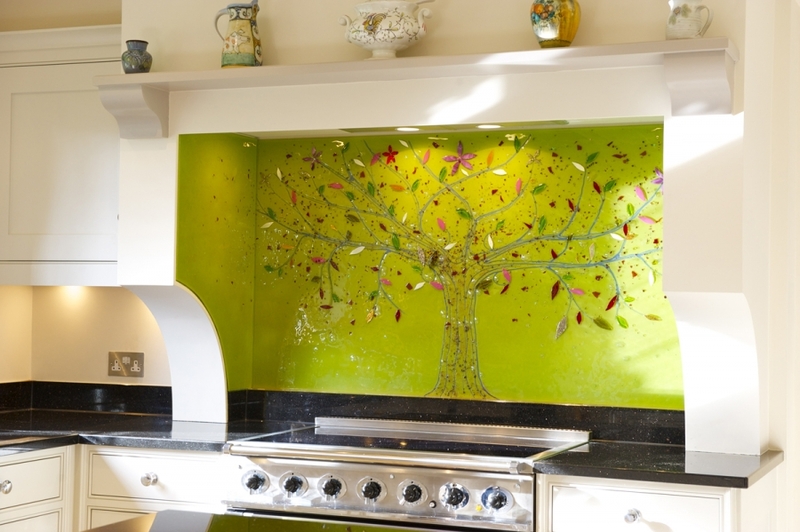 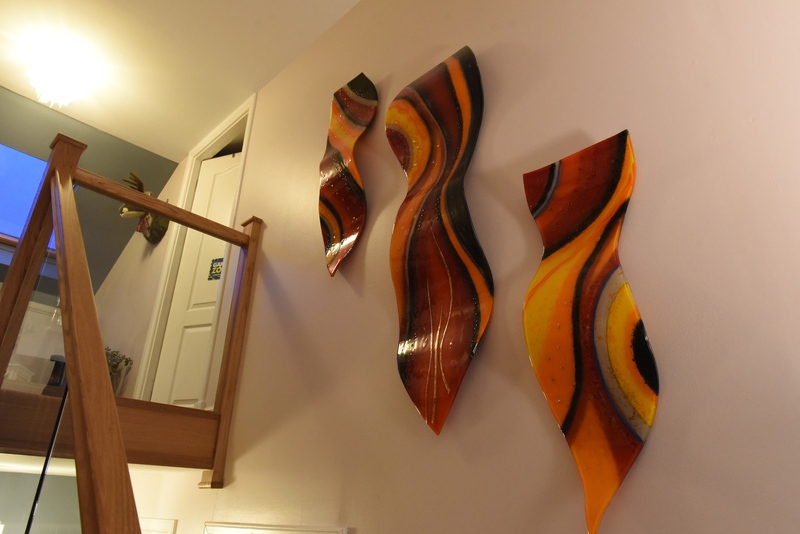 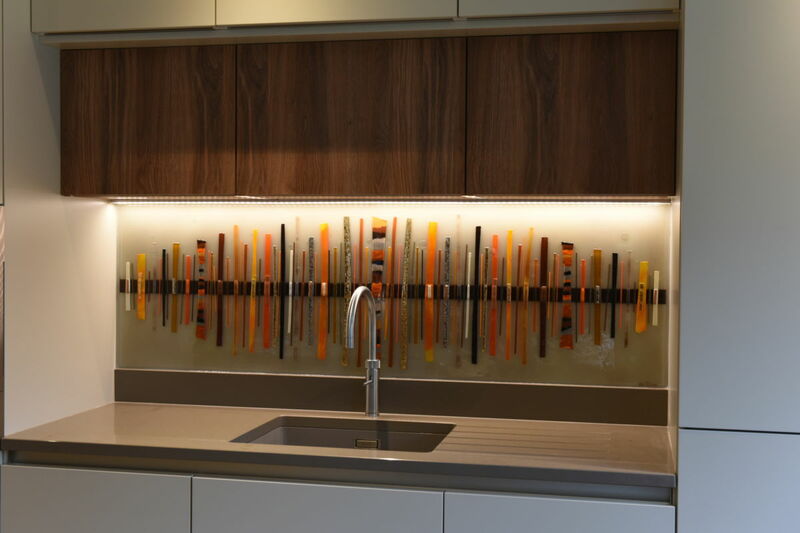 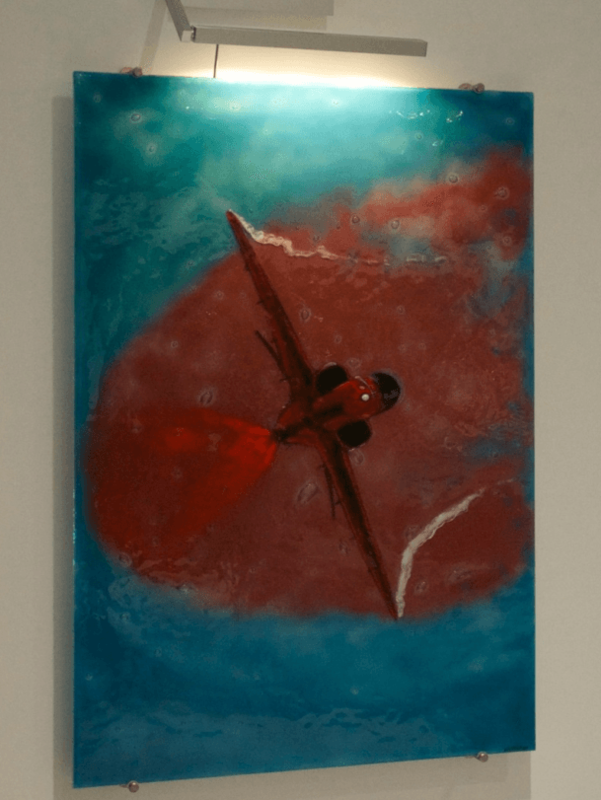 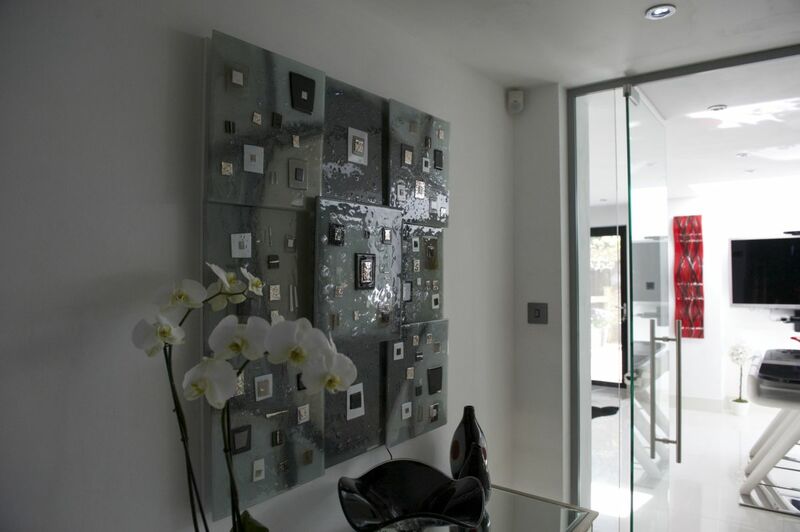 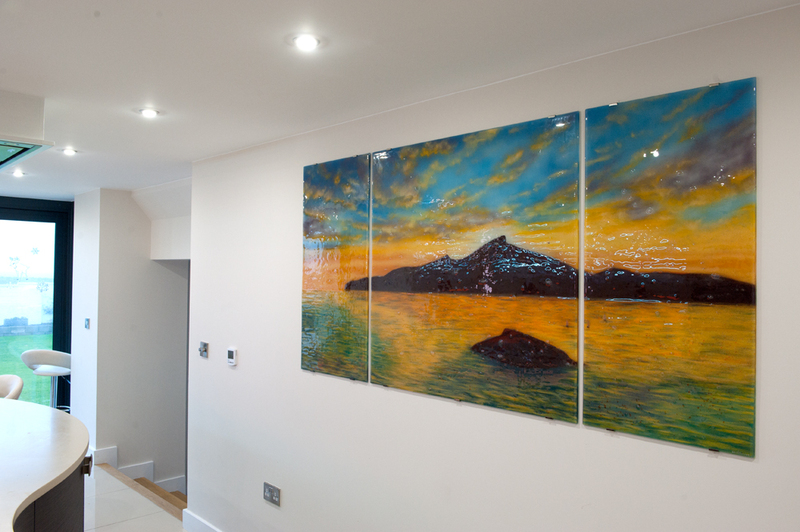 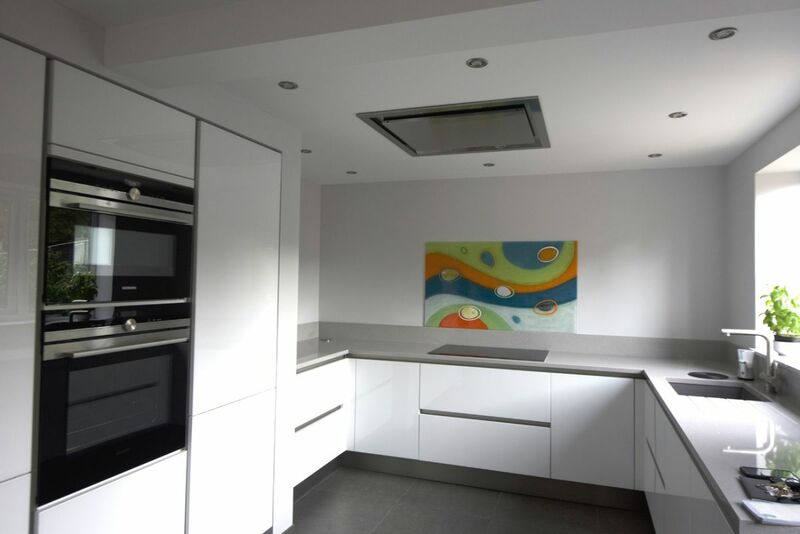 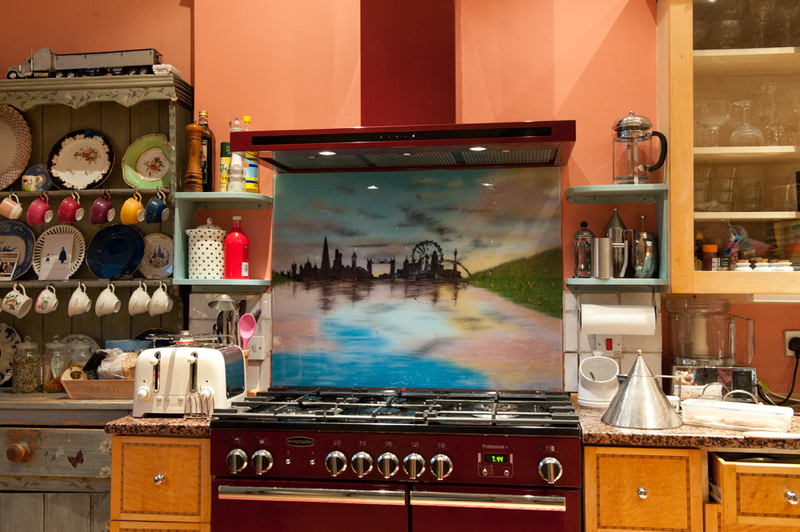 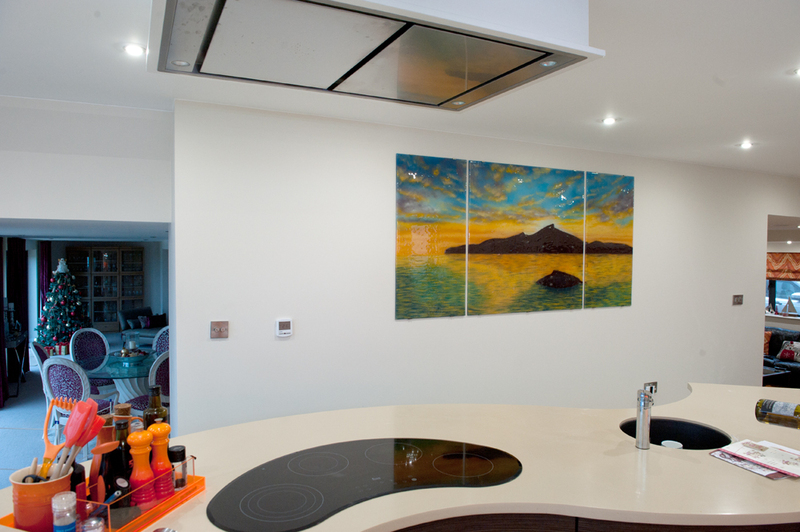 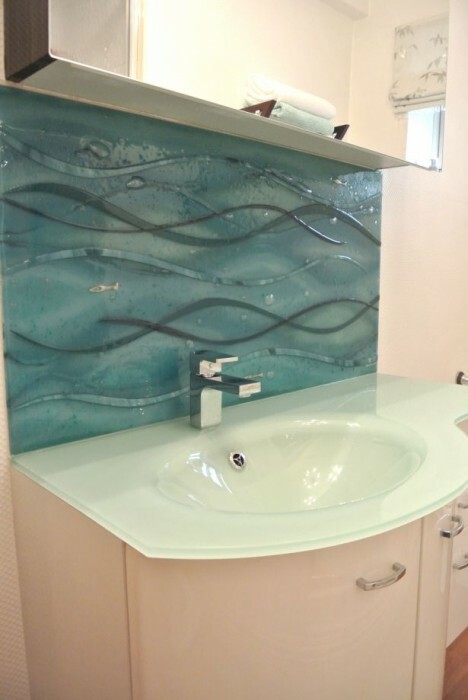 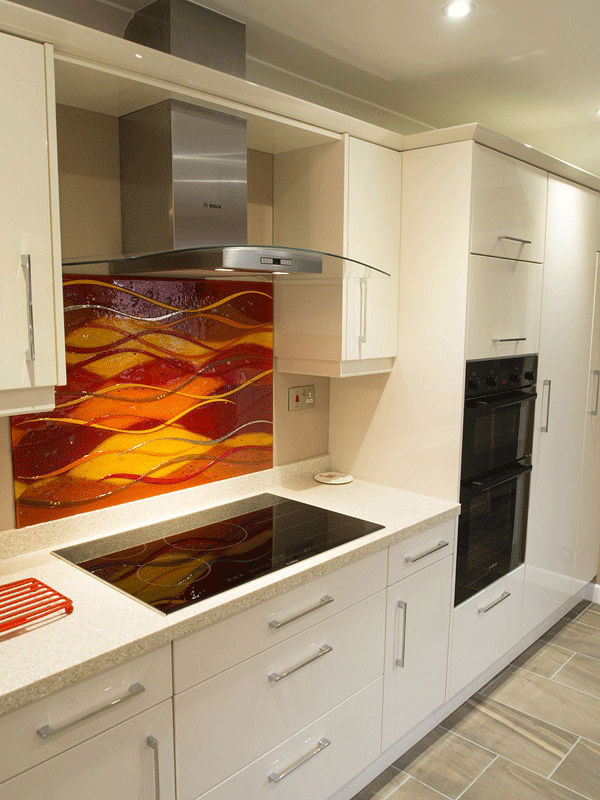 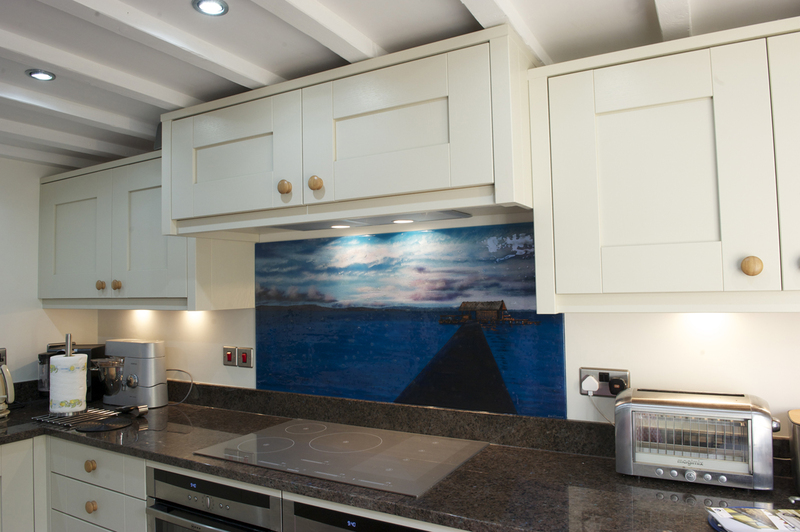 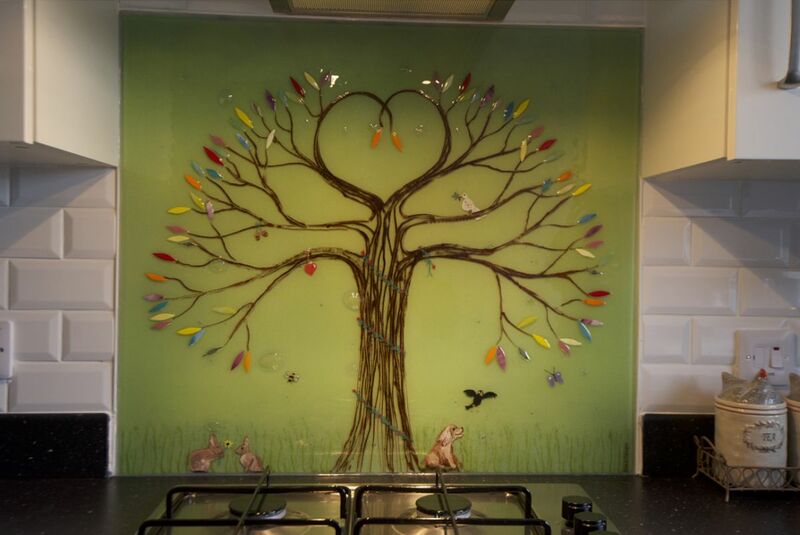 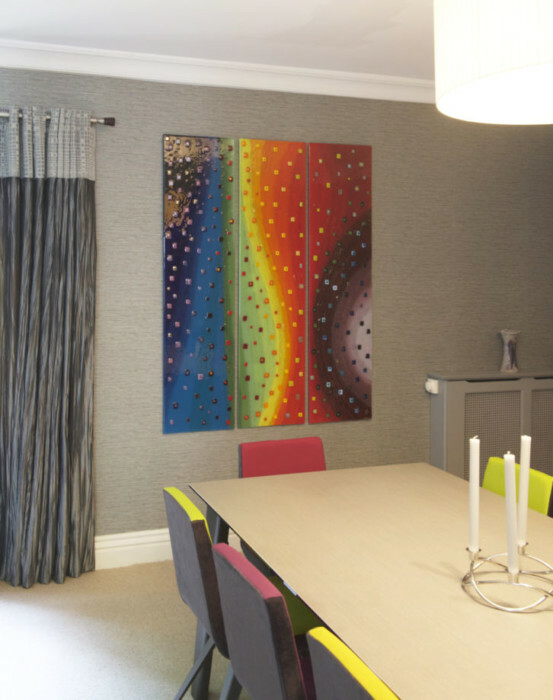 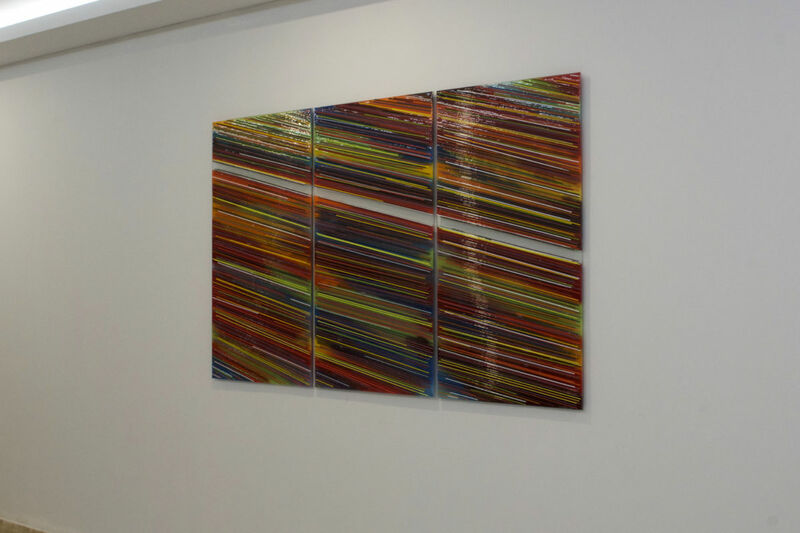 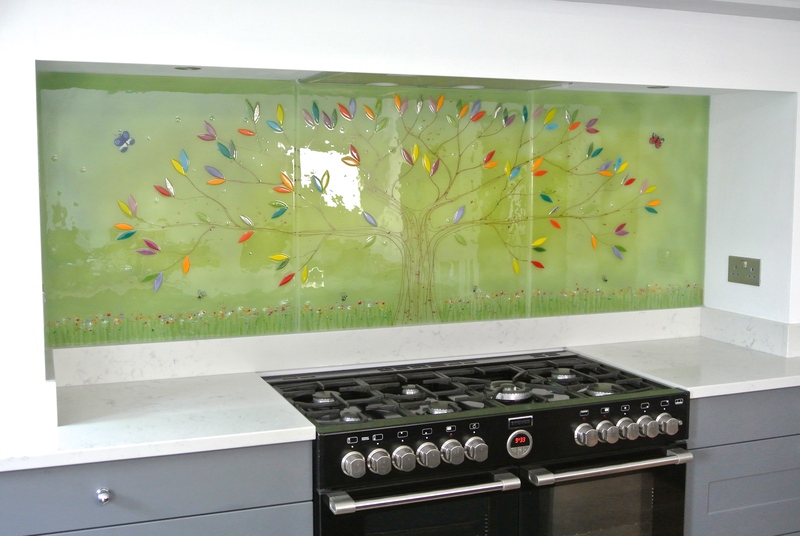 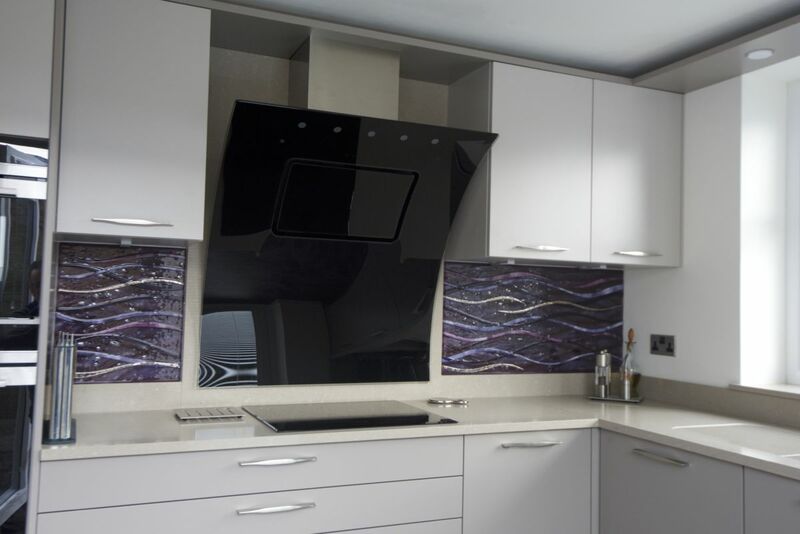 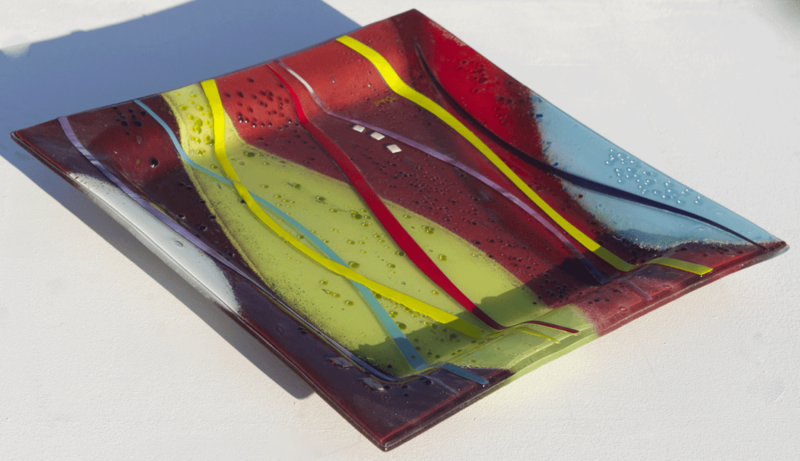 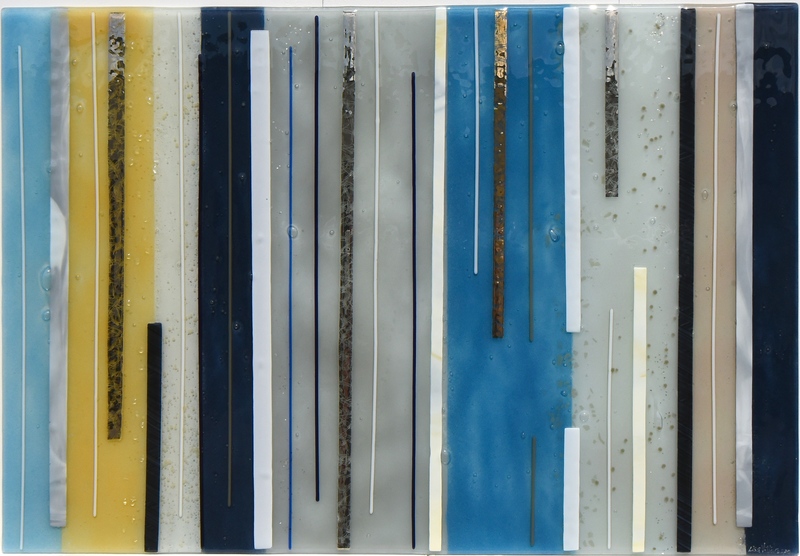 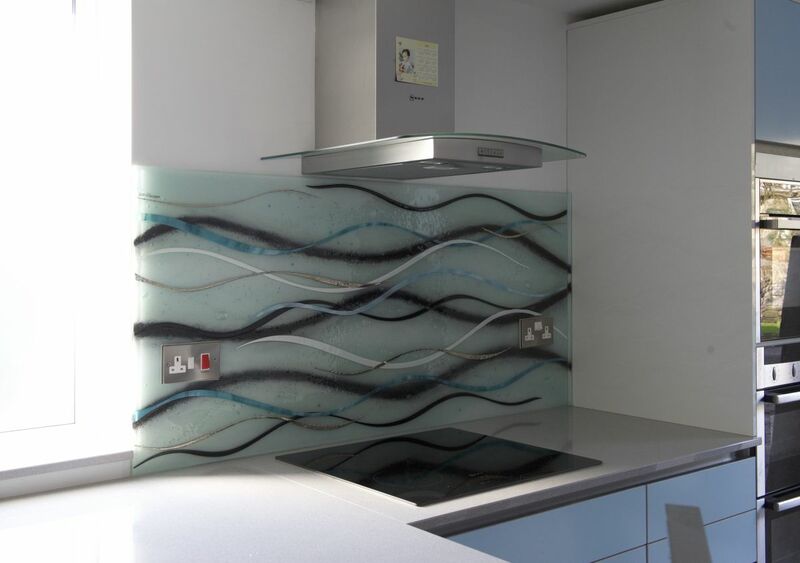 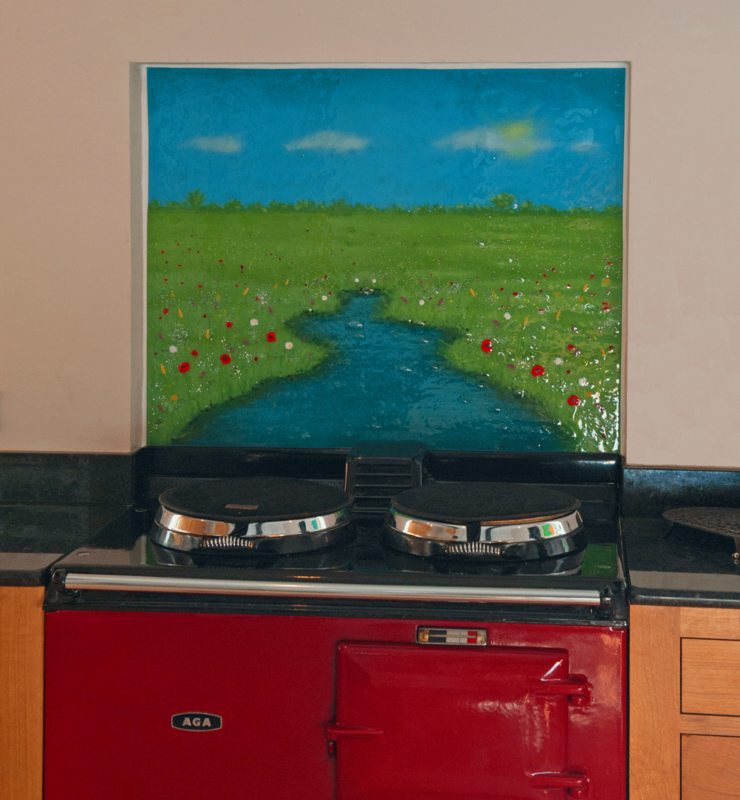 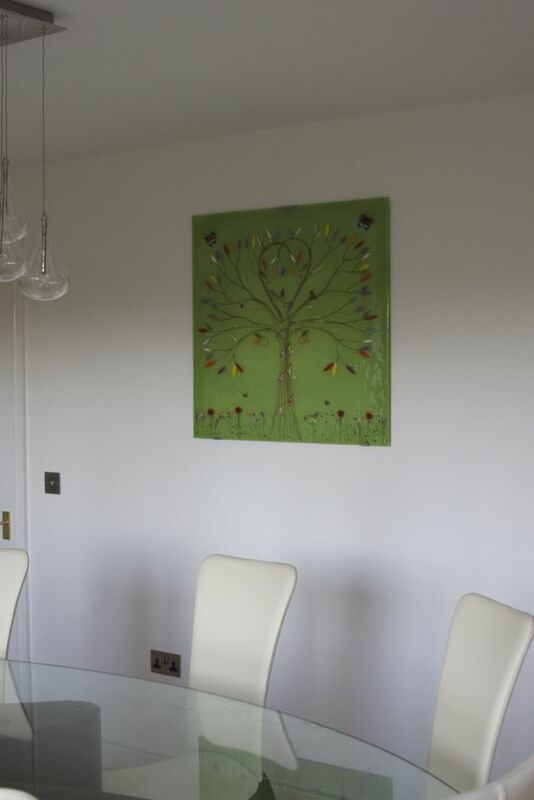 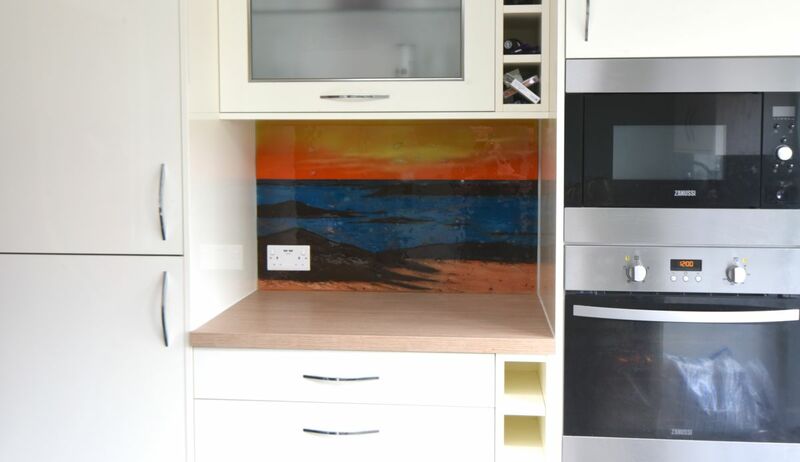 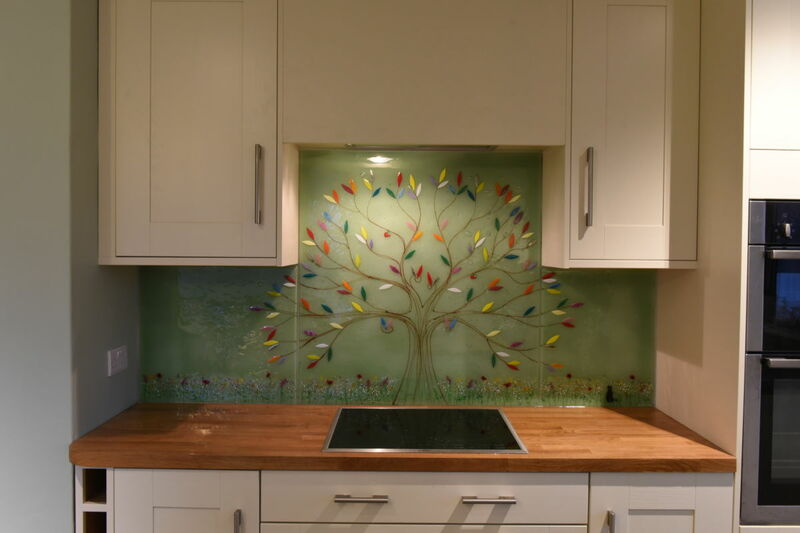 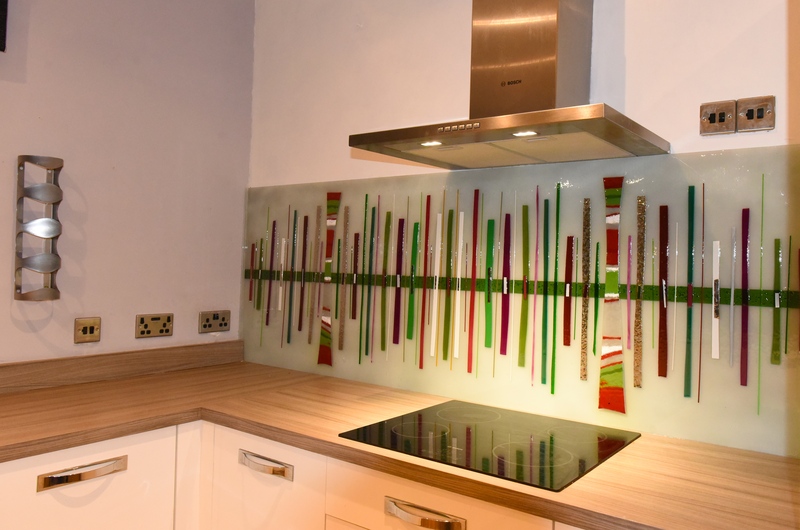 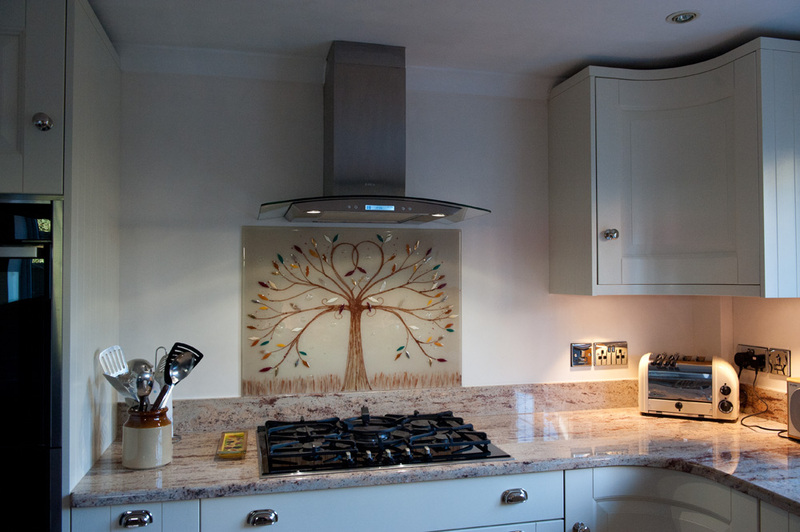 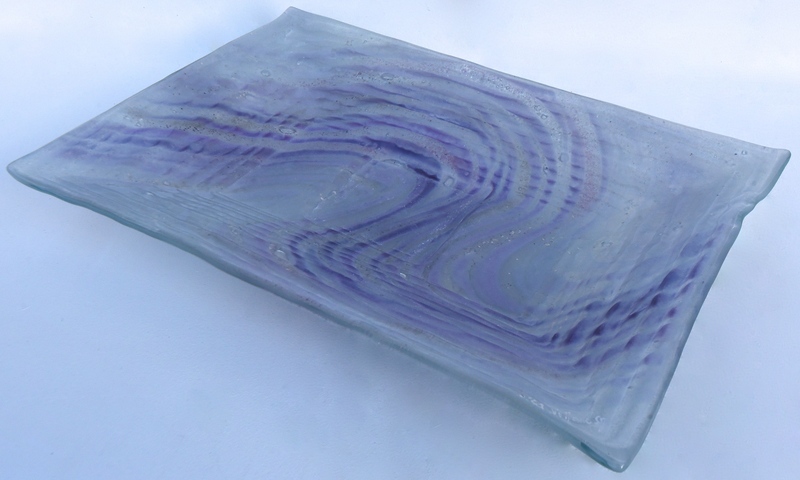 If you love the way that this splashback looks, then why not look into getting your very own piece of fused glass art? 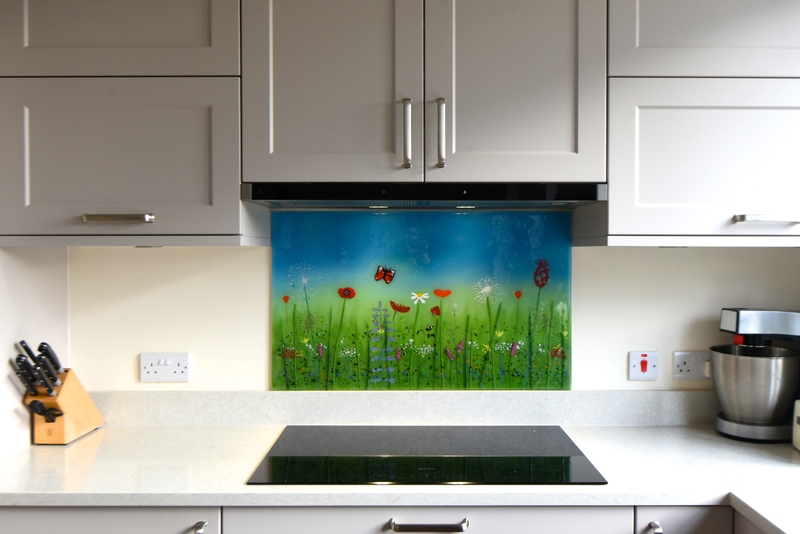 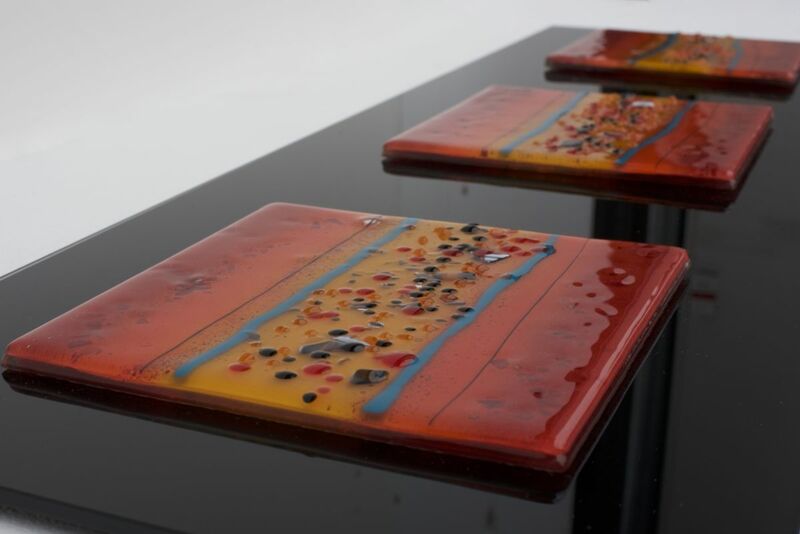 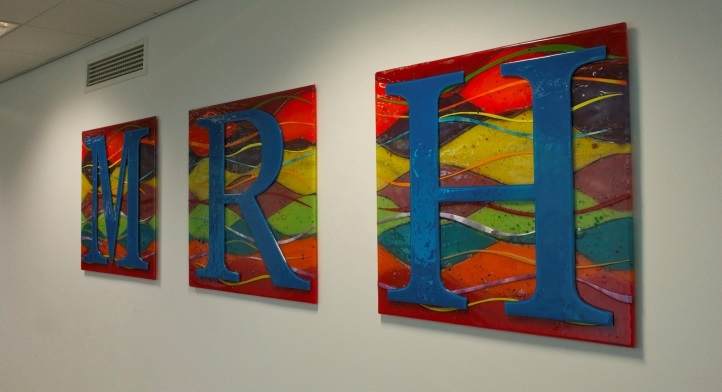 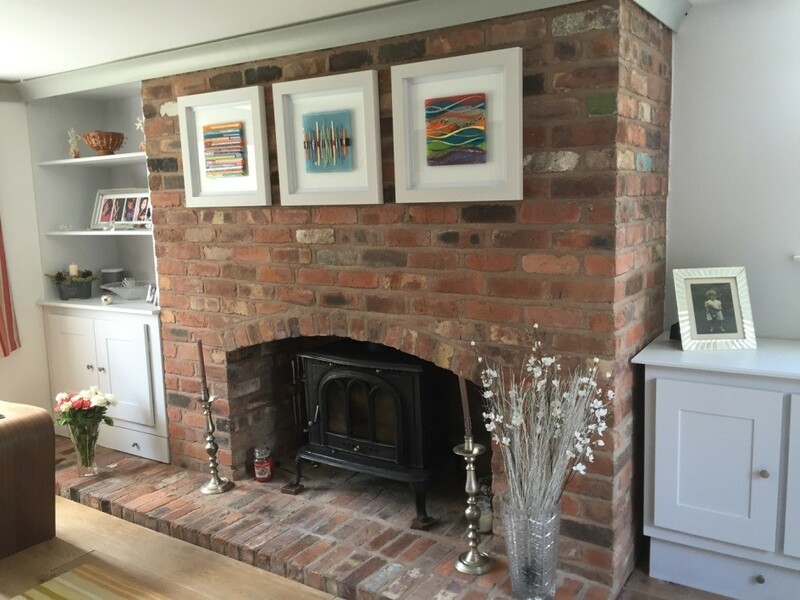 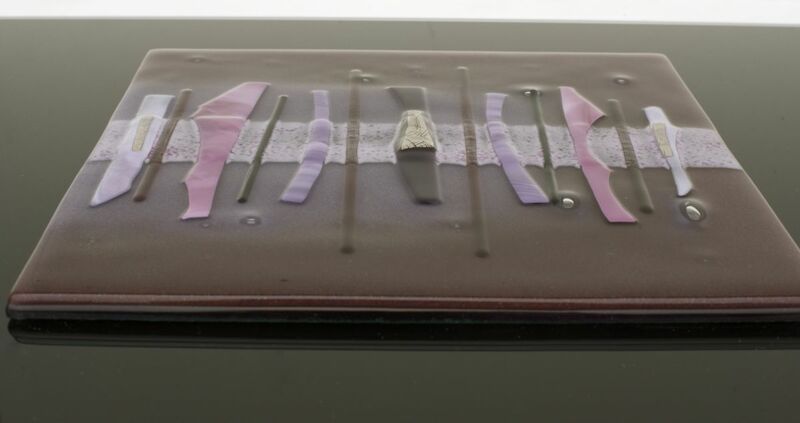 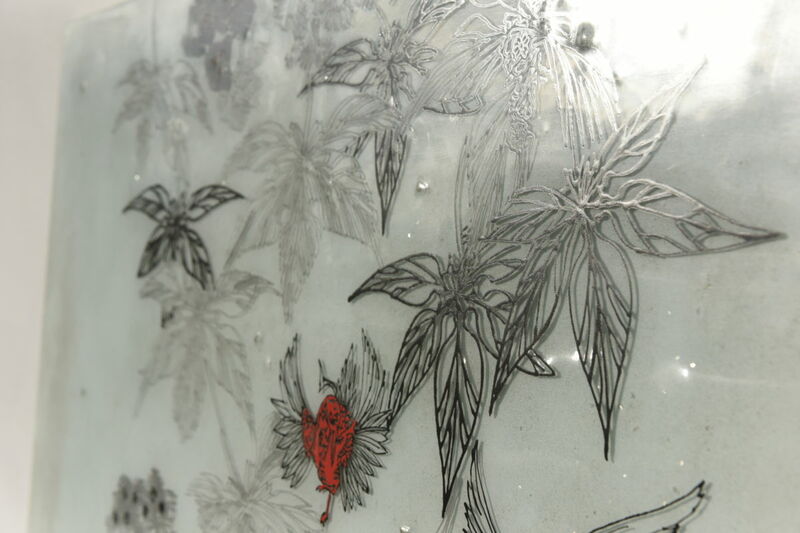 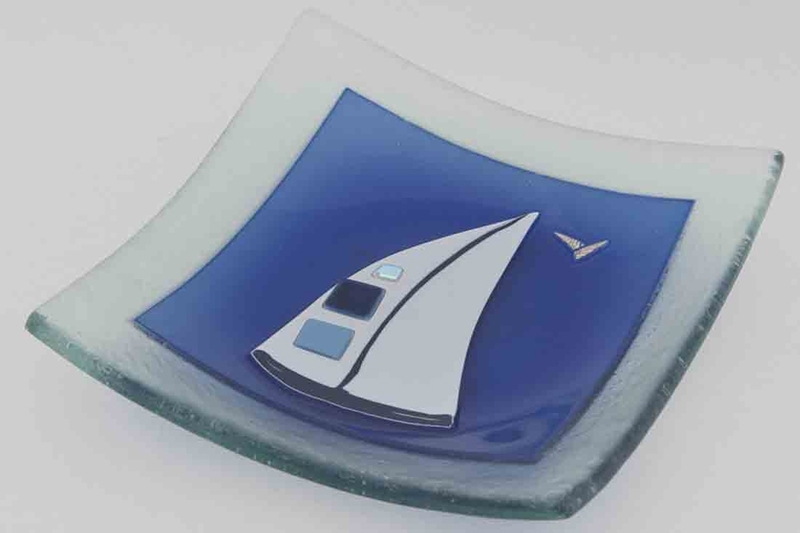 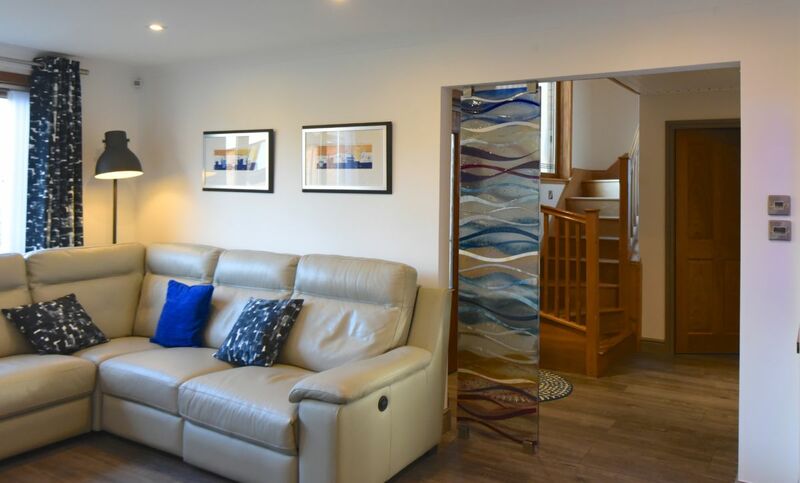 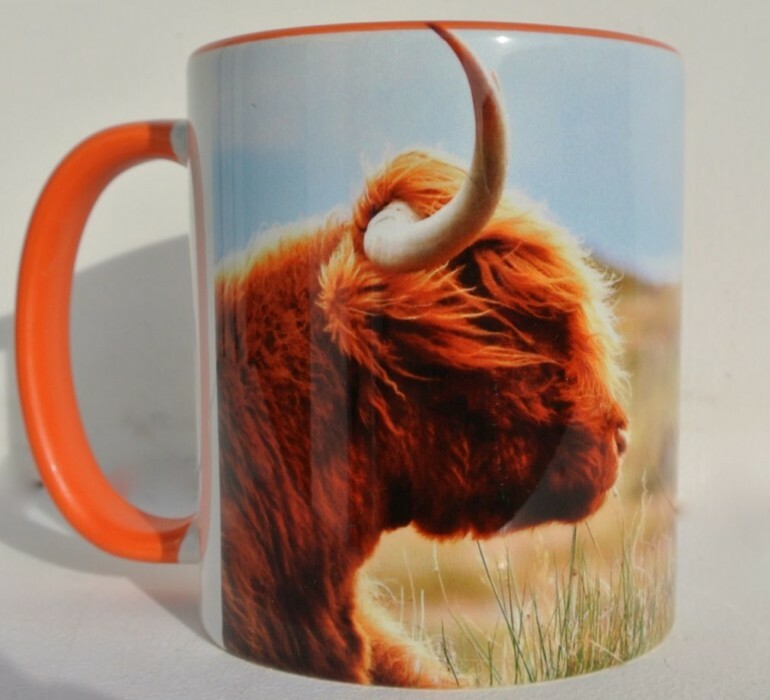 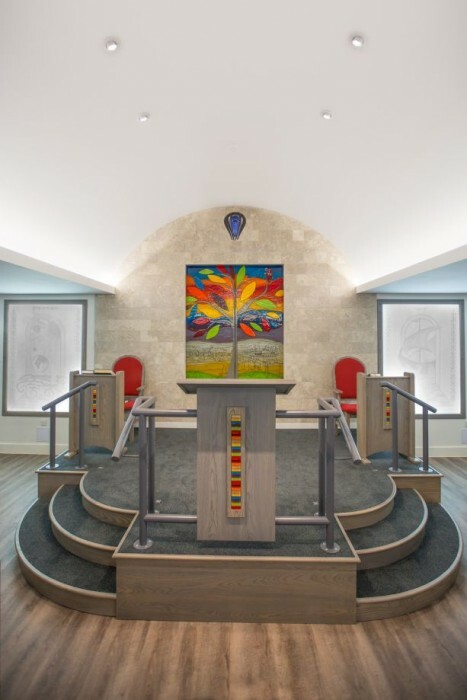 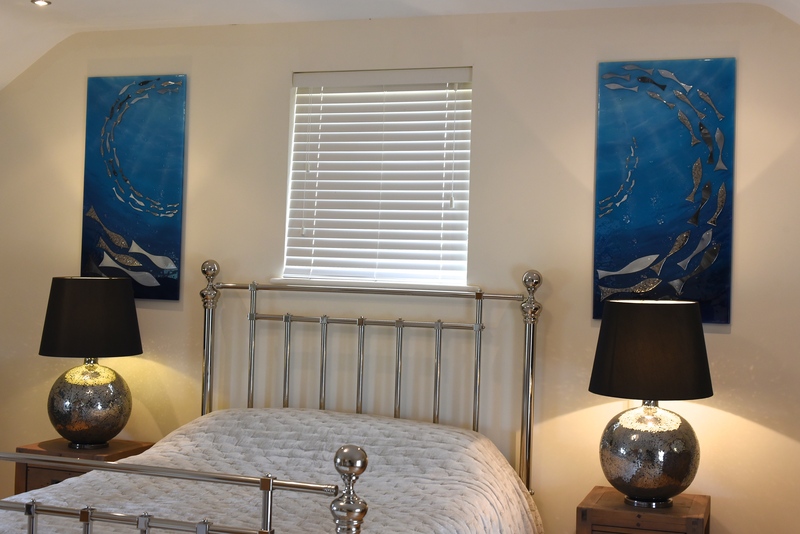 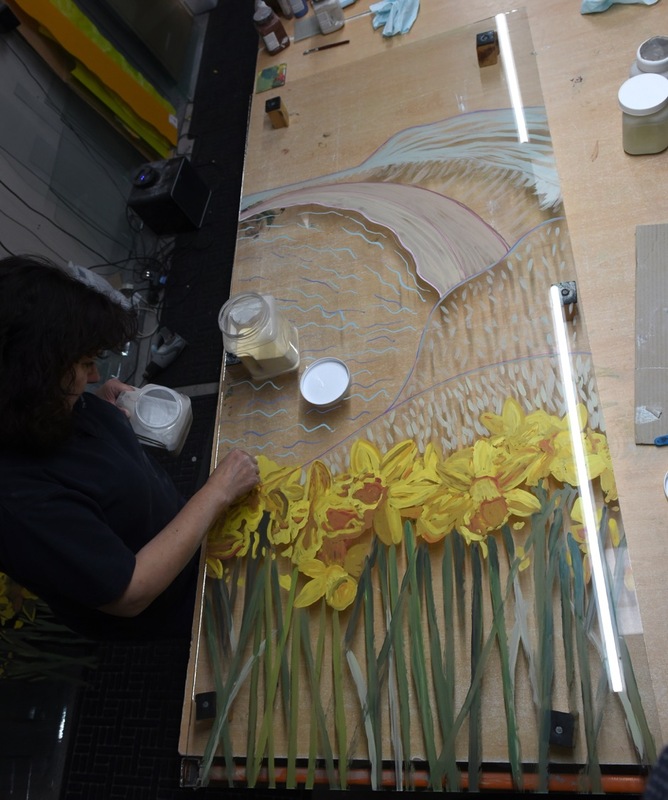 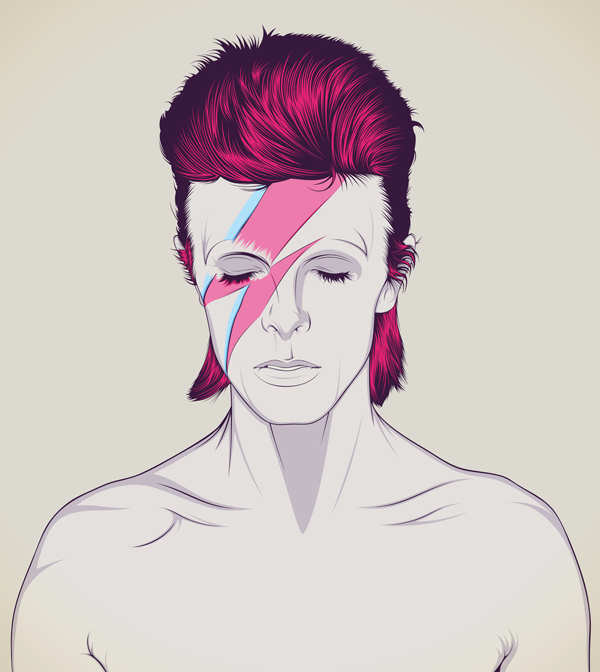 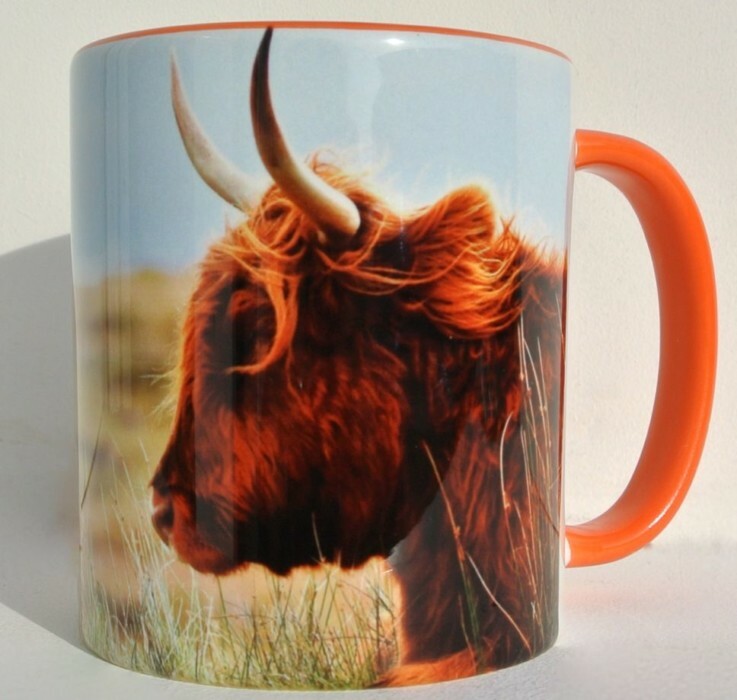 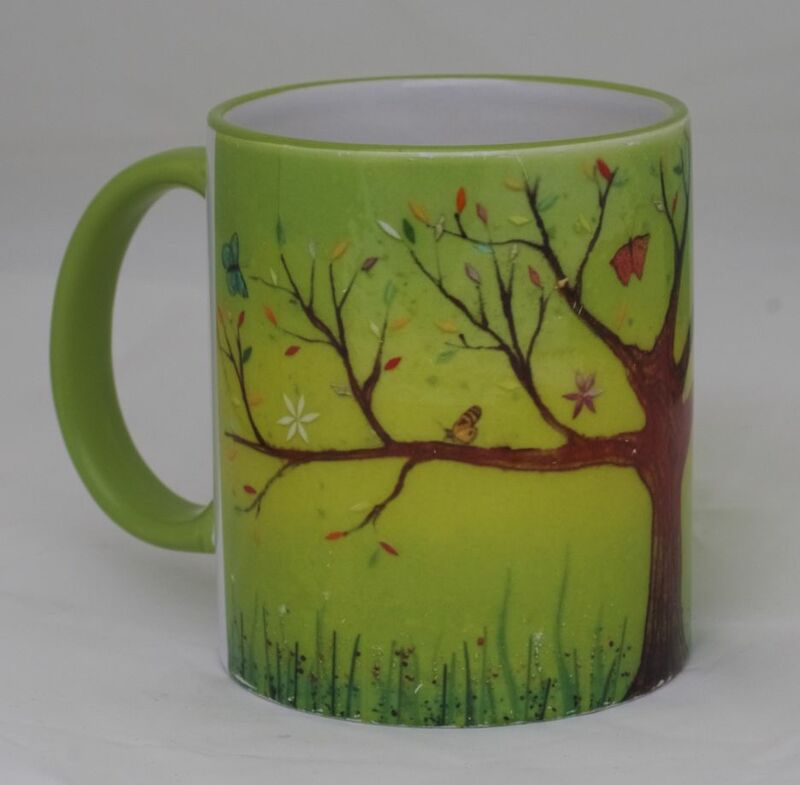 We make all of our fused glass art by hand with a bespoke, commissioned approach to design, guaranteeing that you’ll get nothing less than a perfect match for what you had in mind. 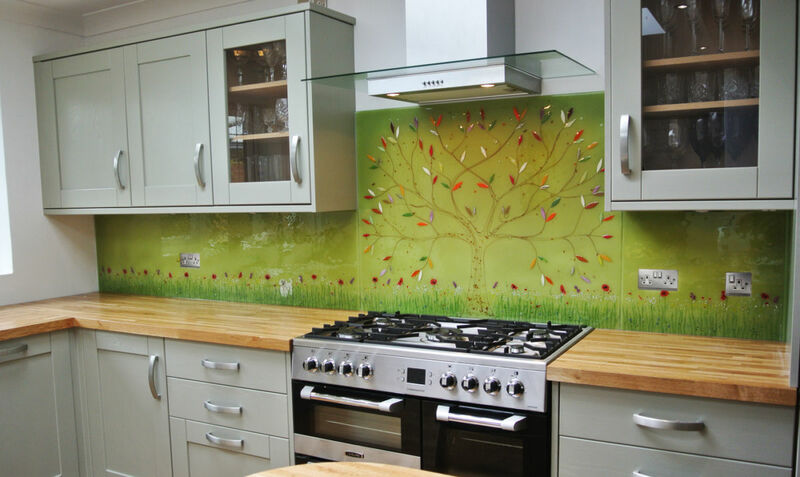 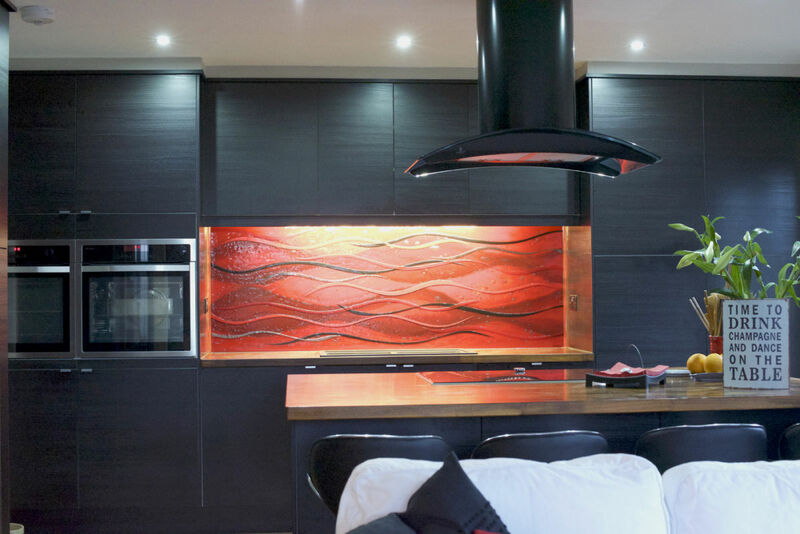 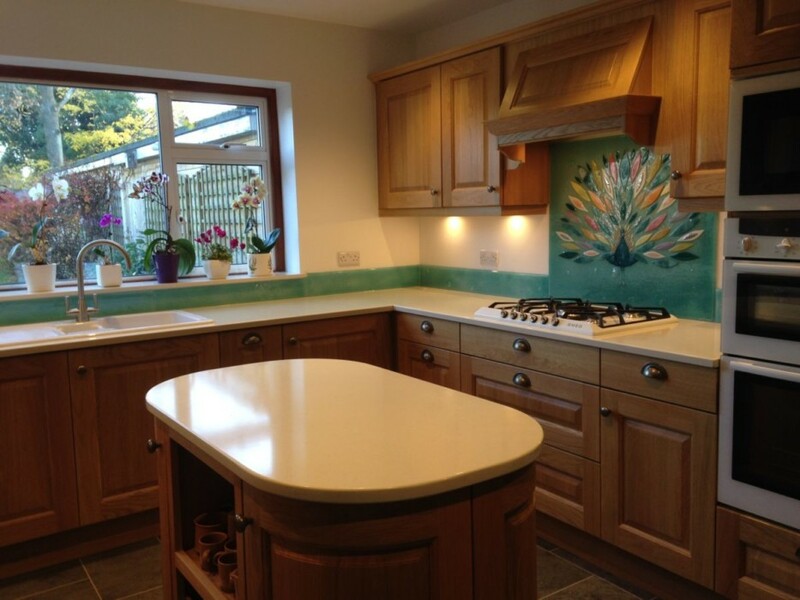 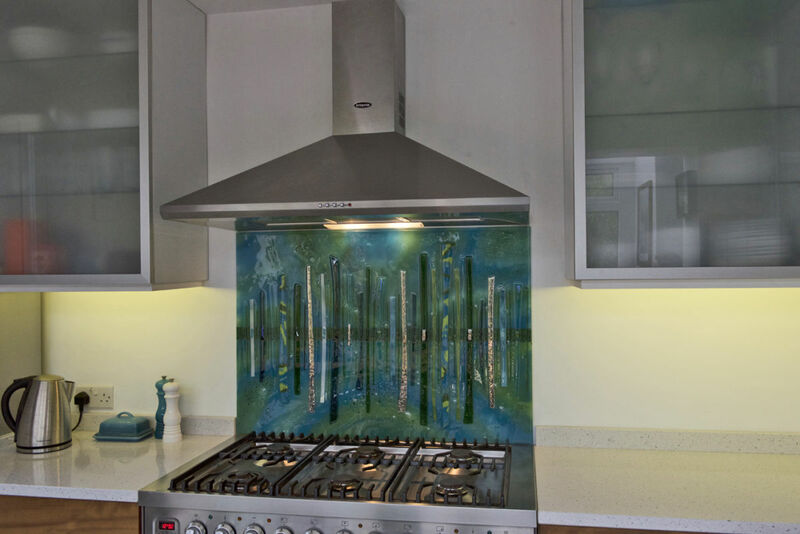 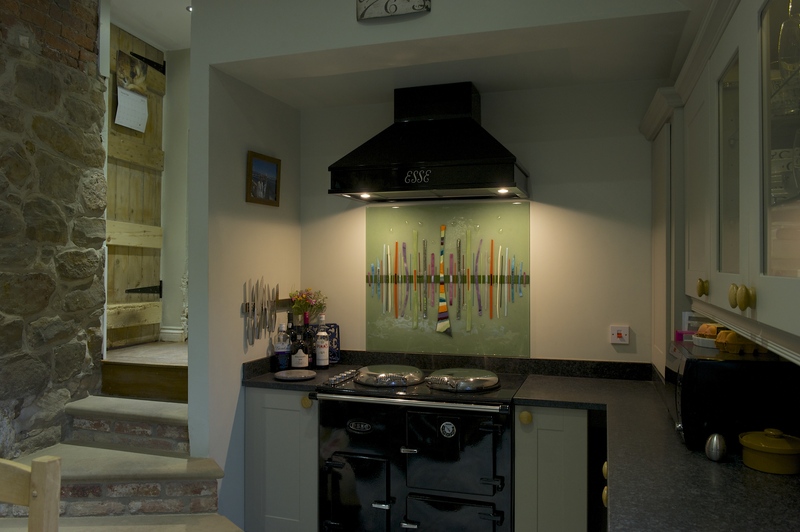 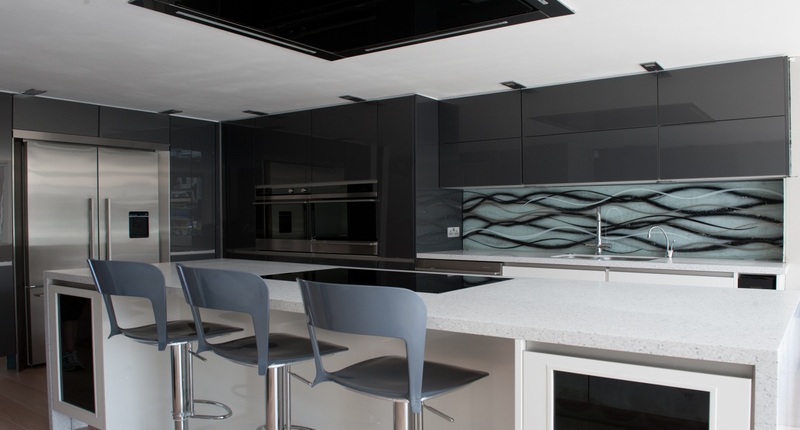 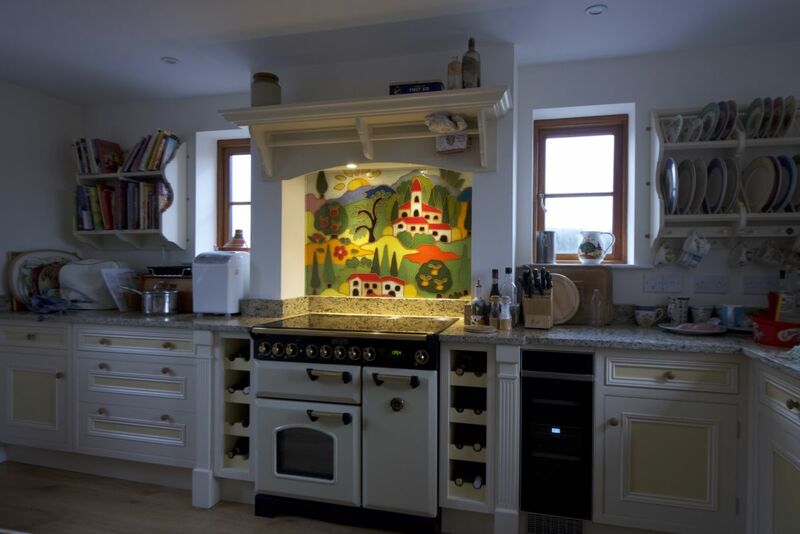 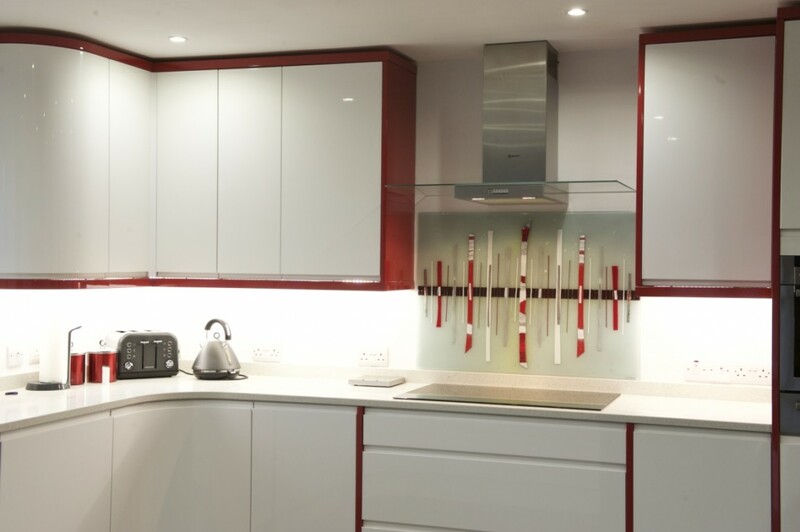 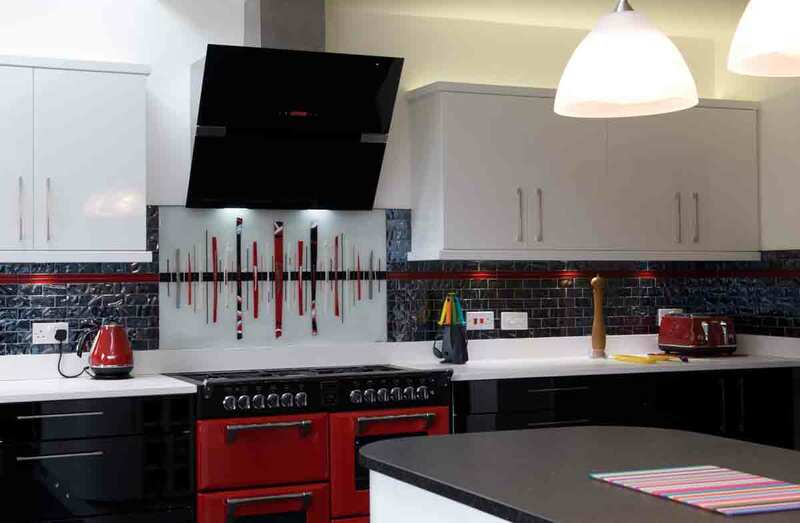 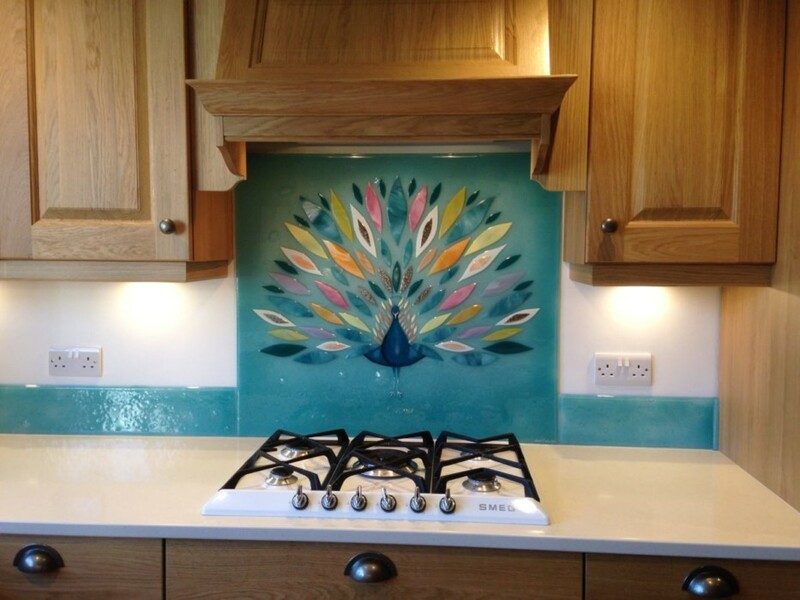 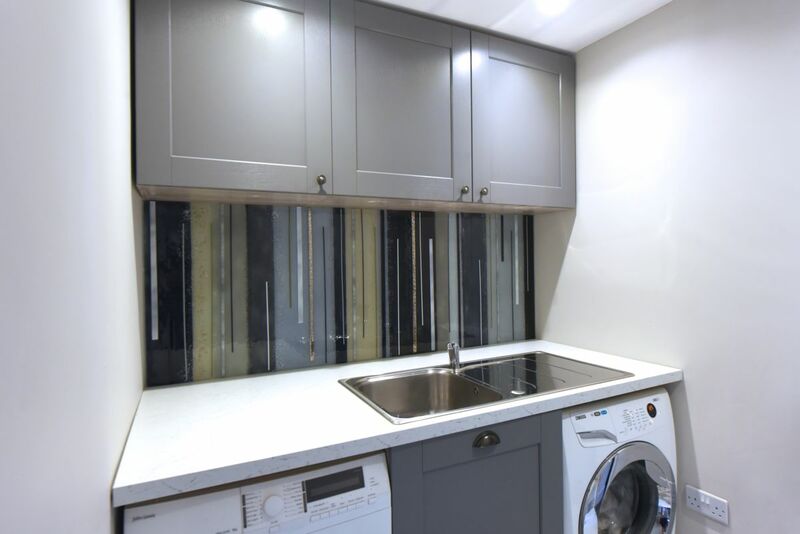 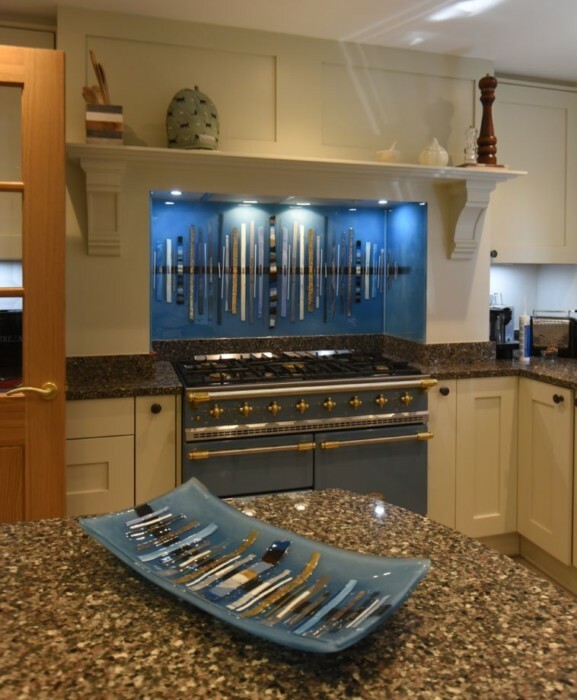 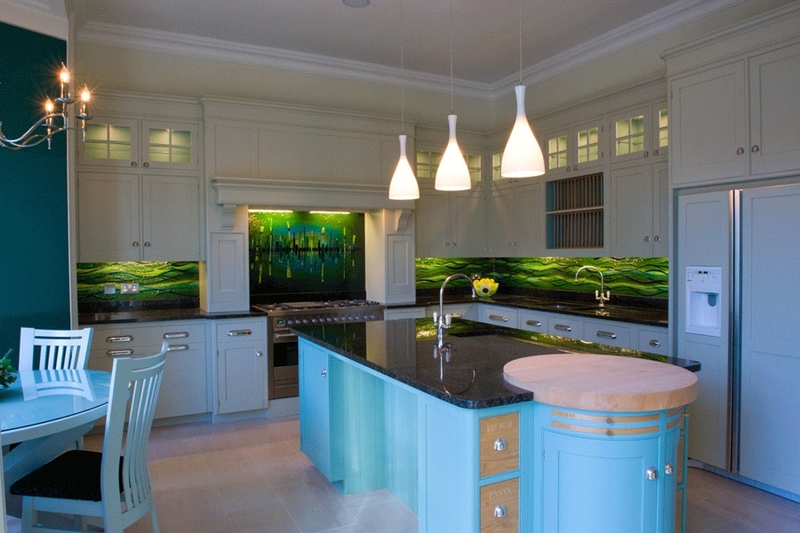 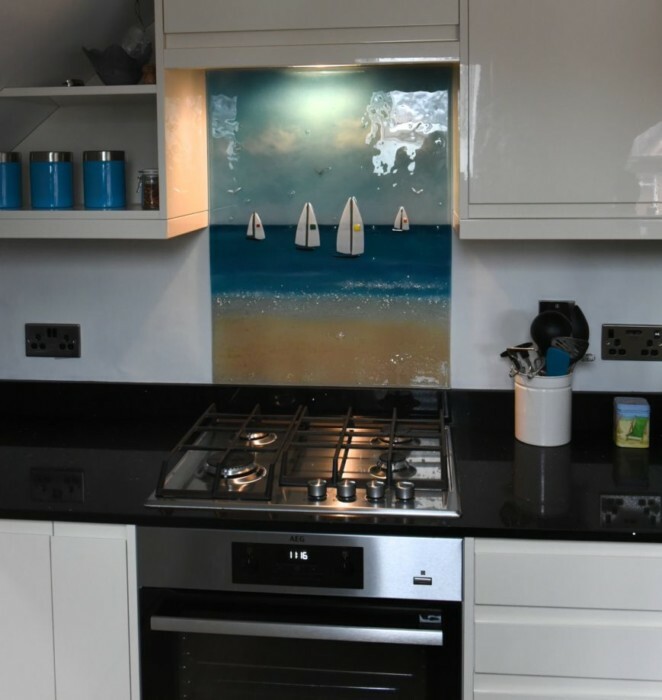 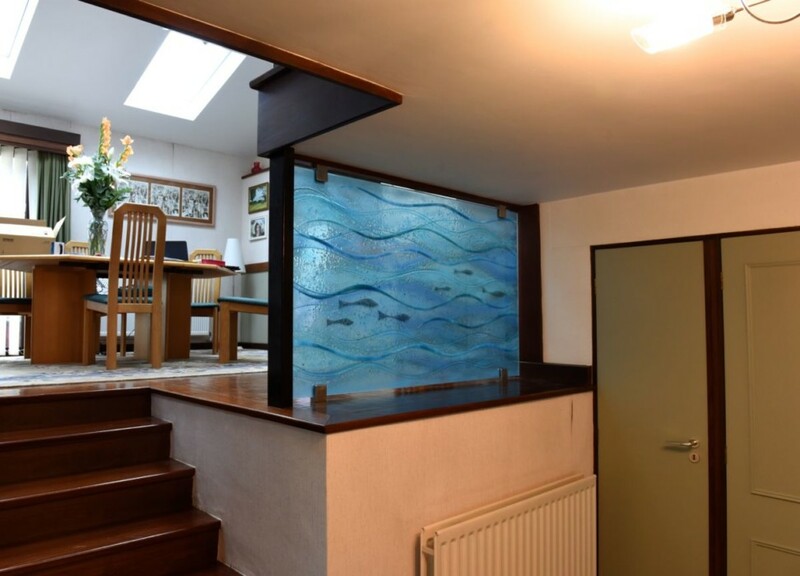 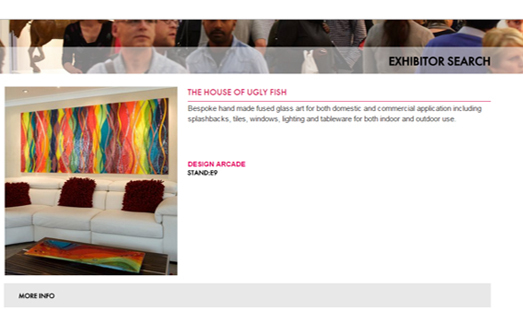 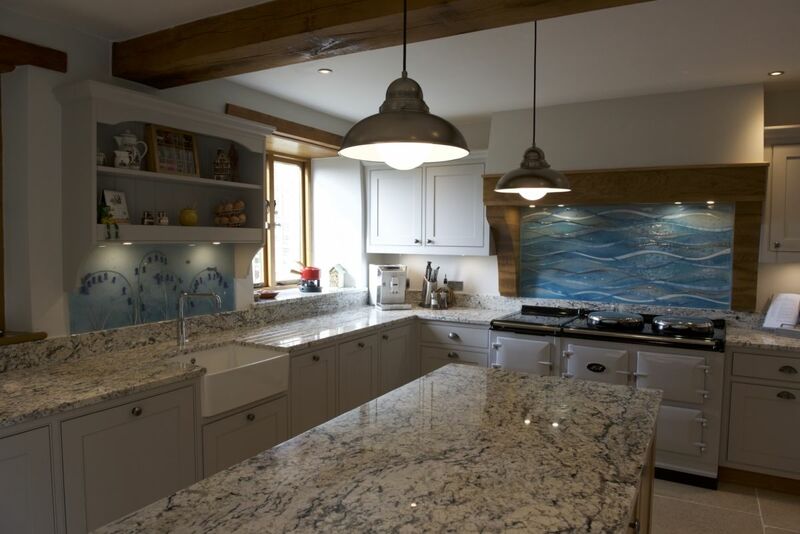 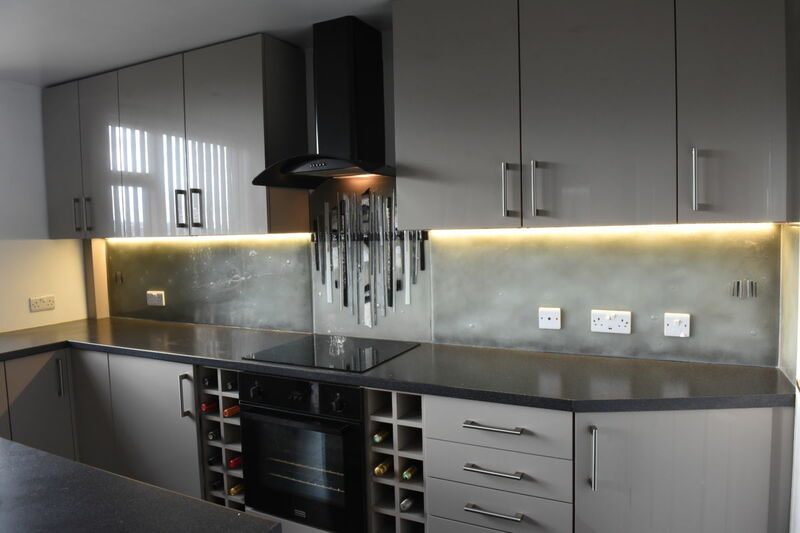 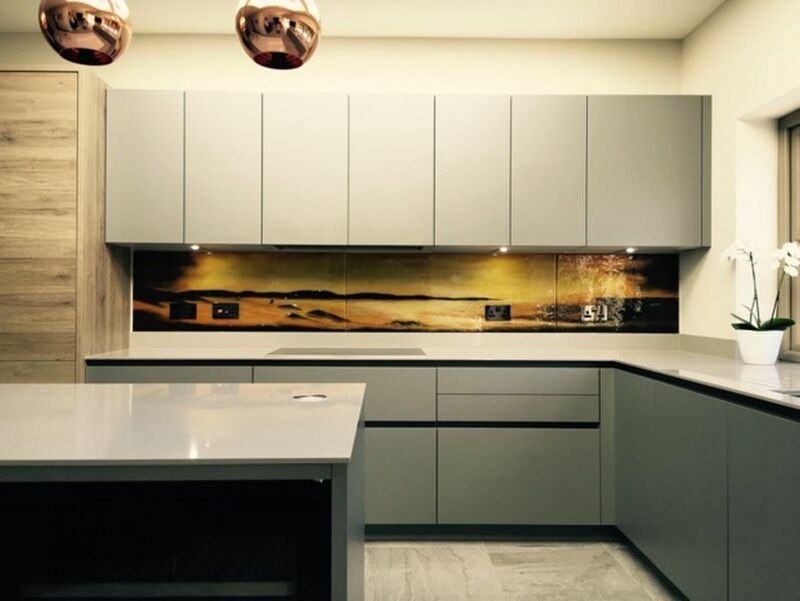 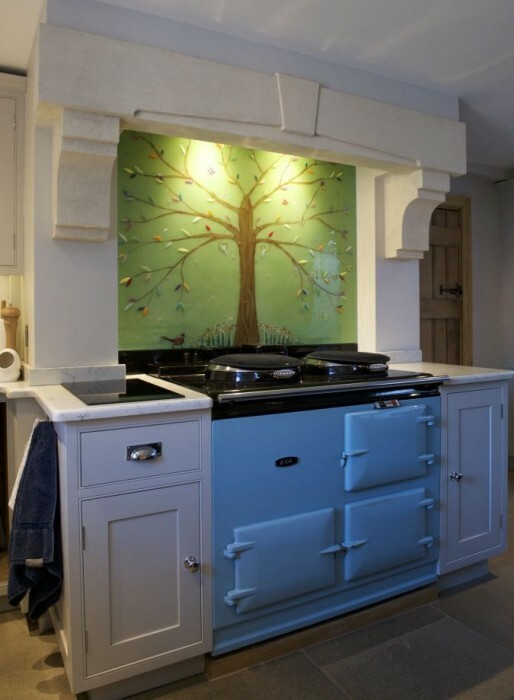 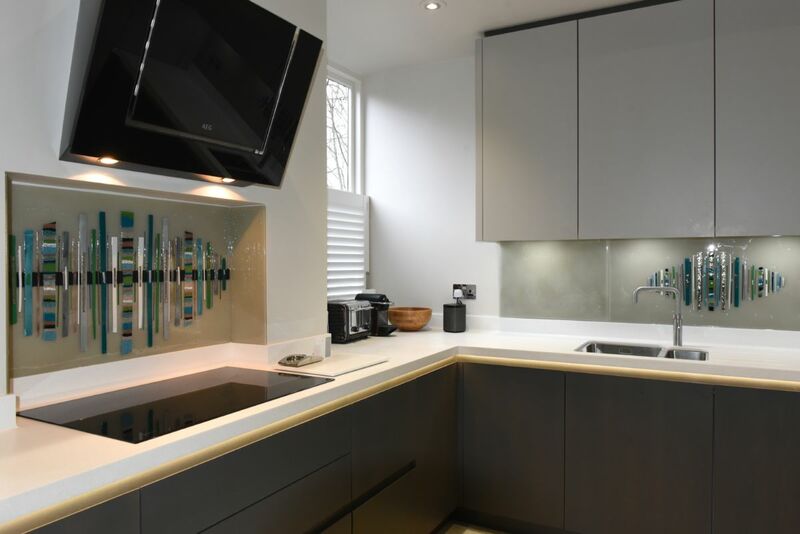 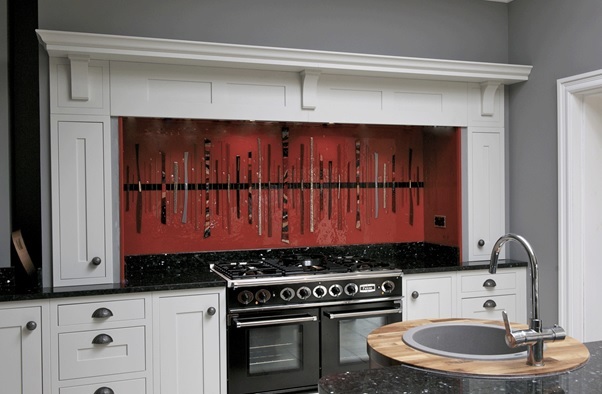 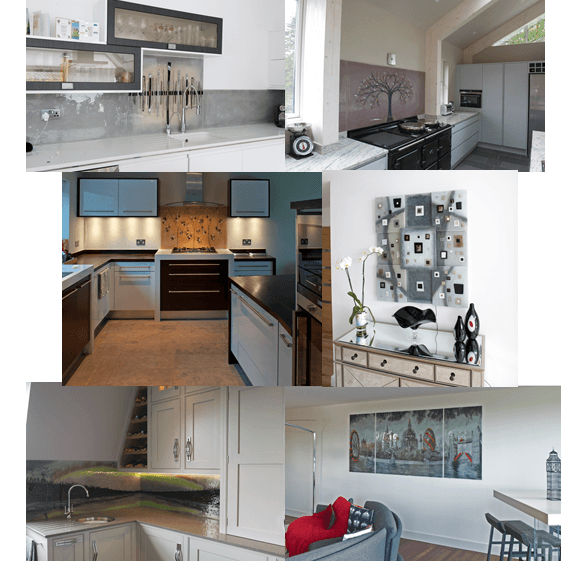 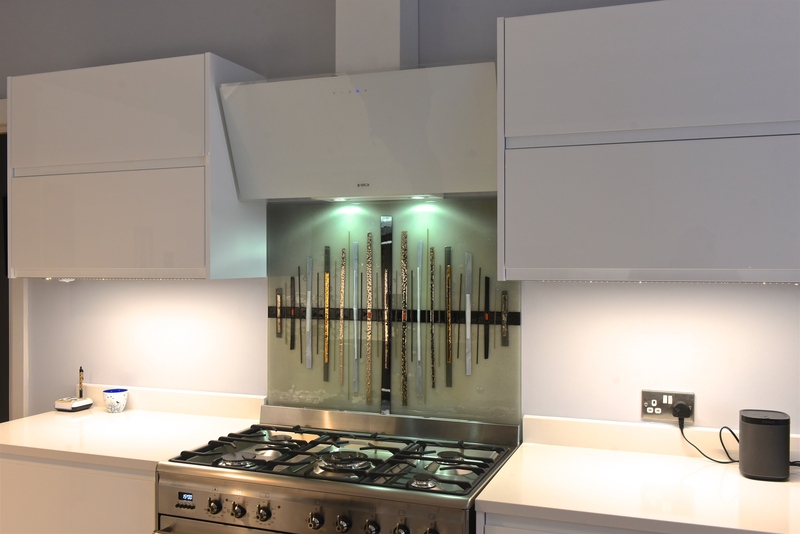 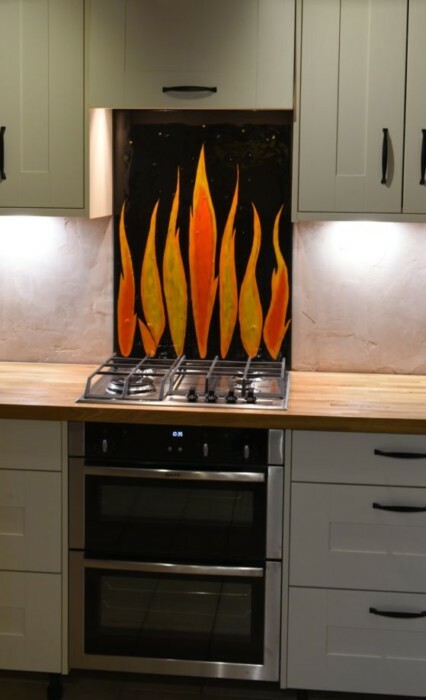 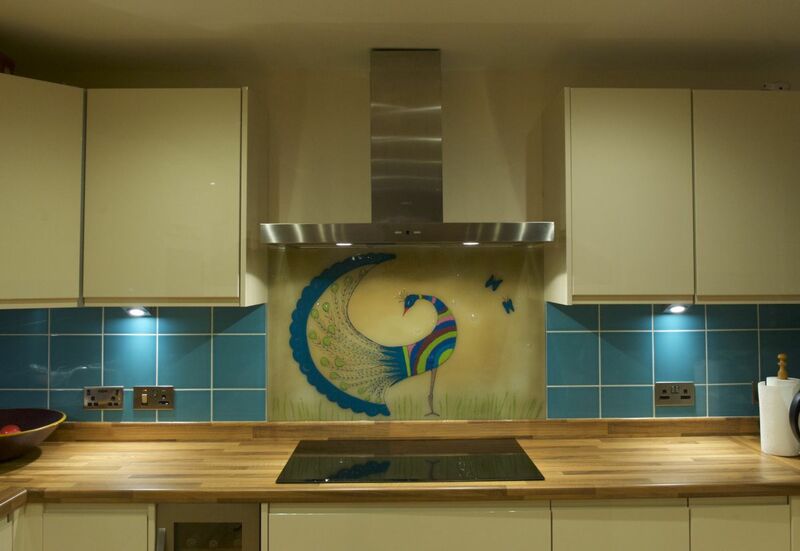 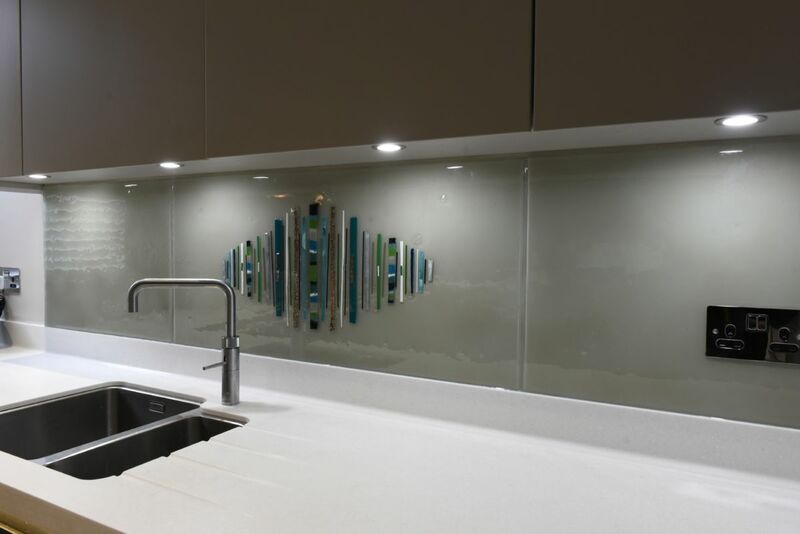 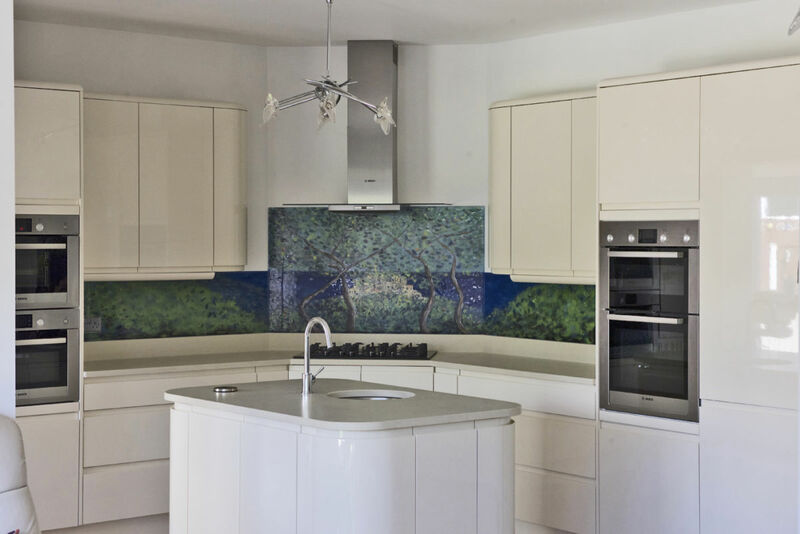 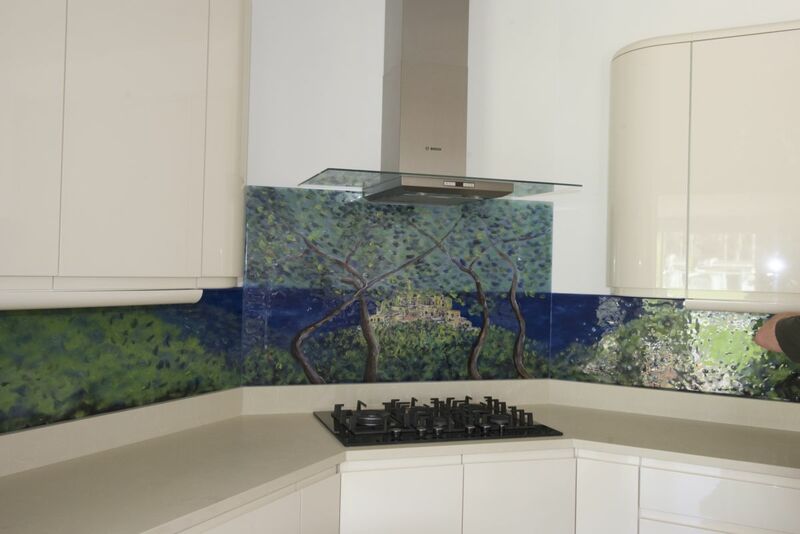 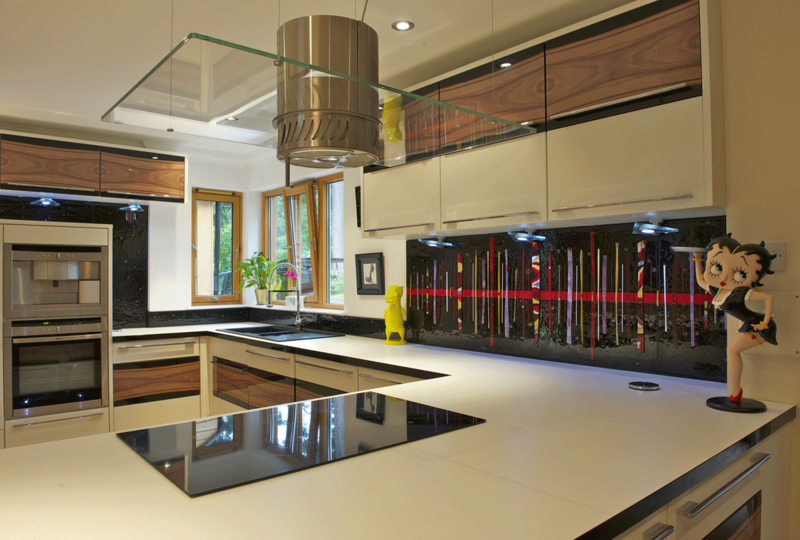 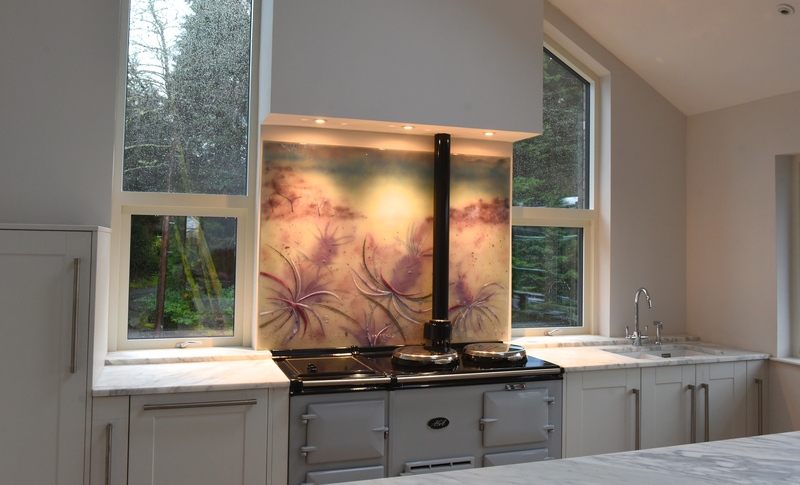 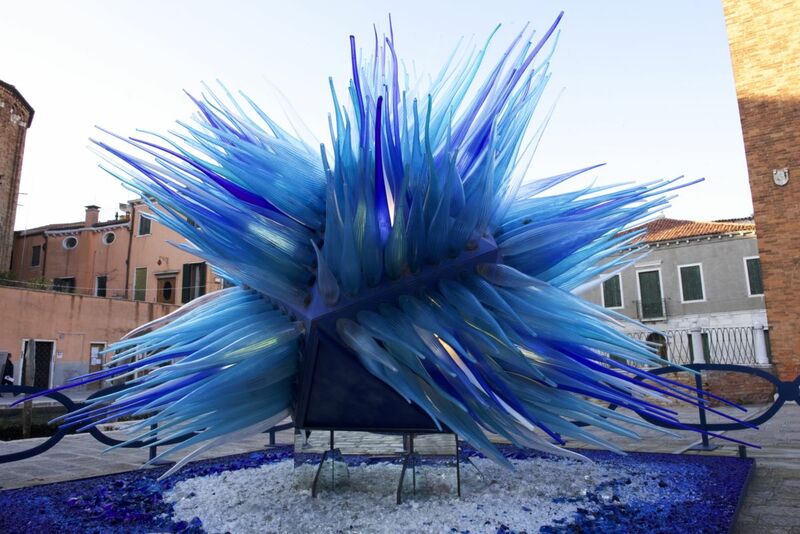 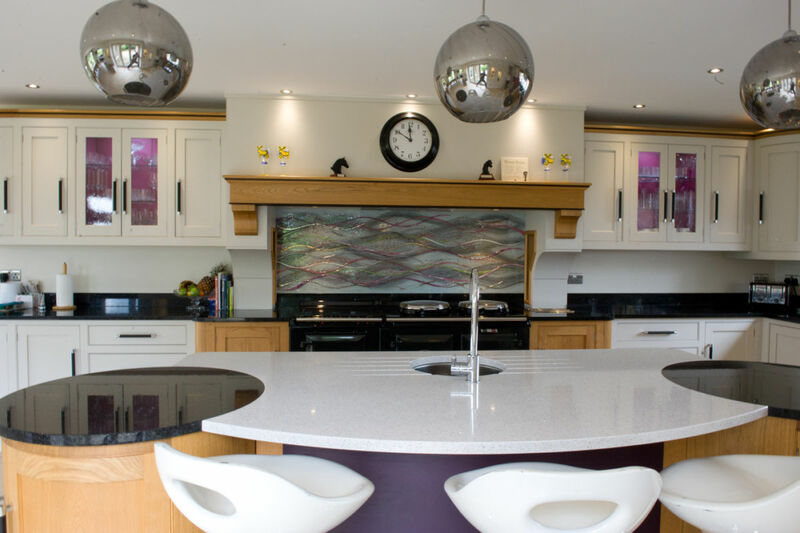 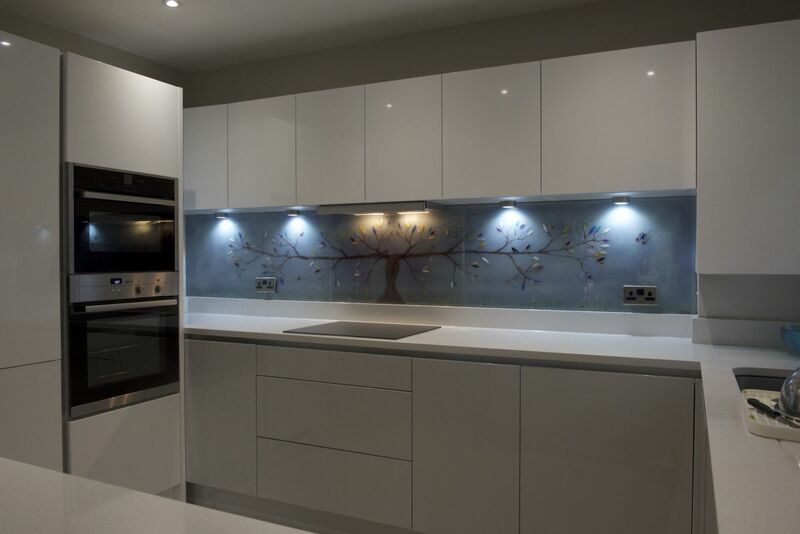 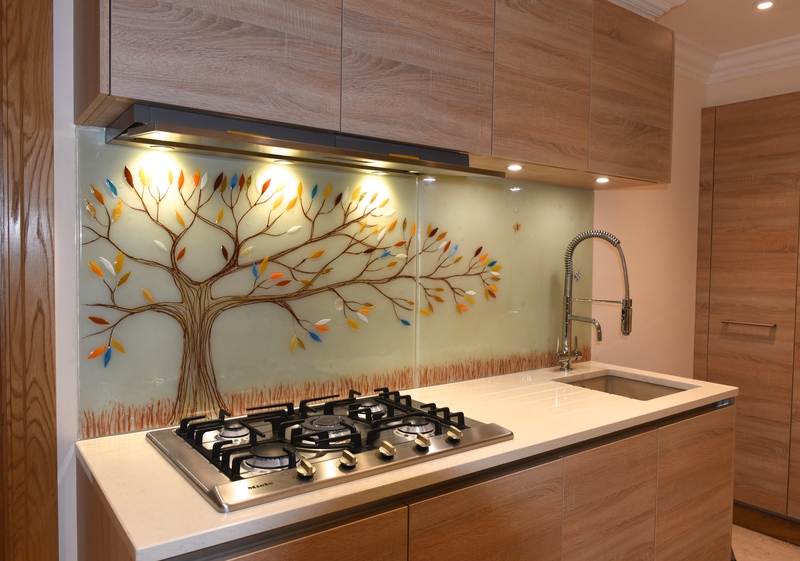 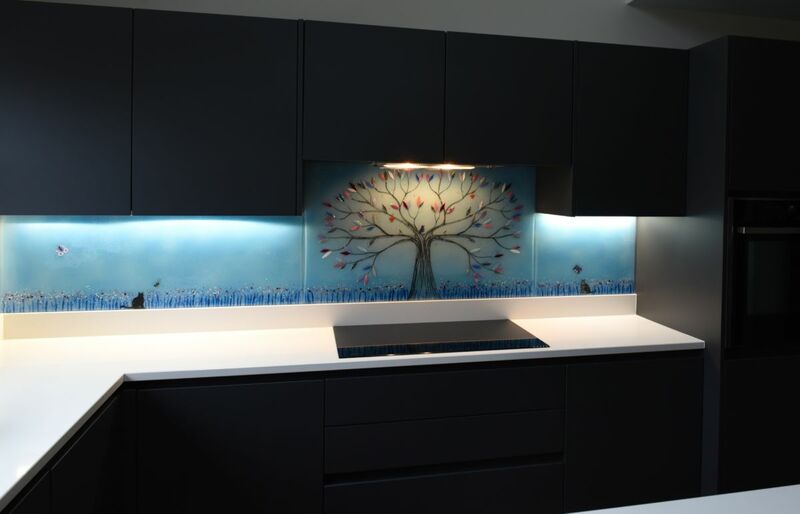 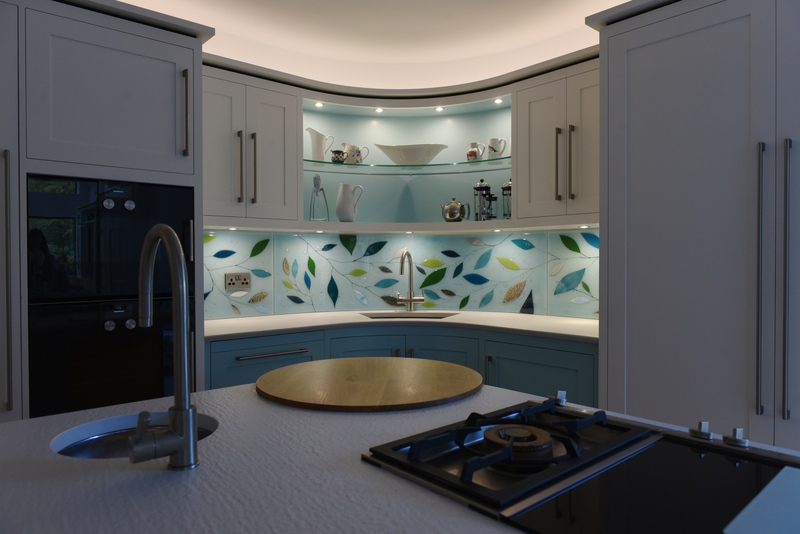 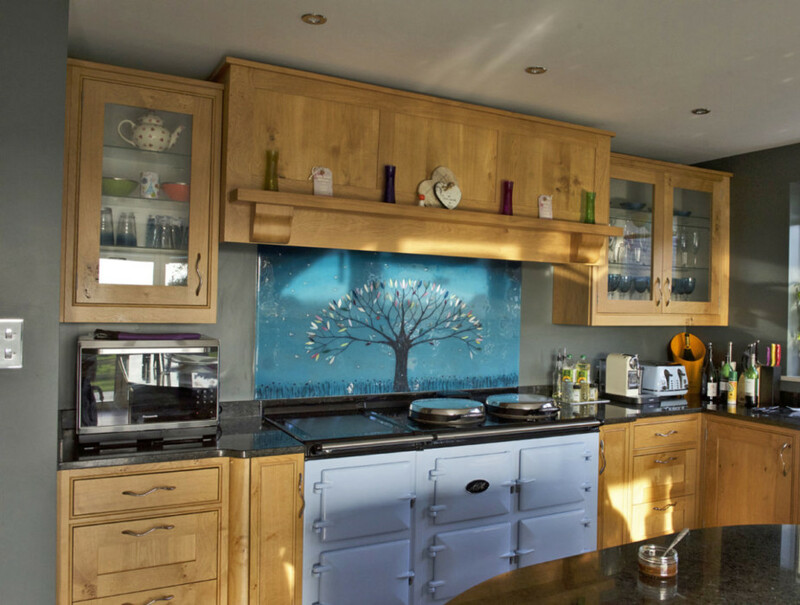 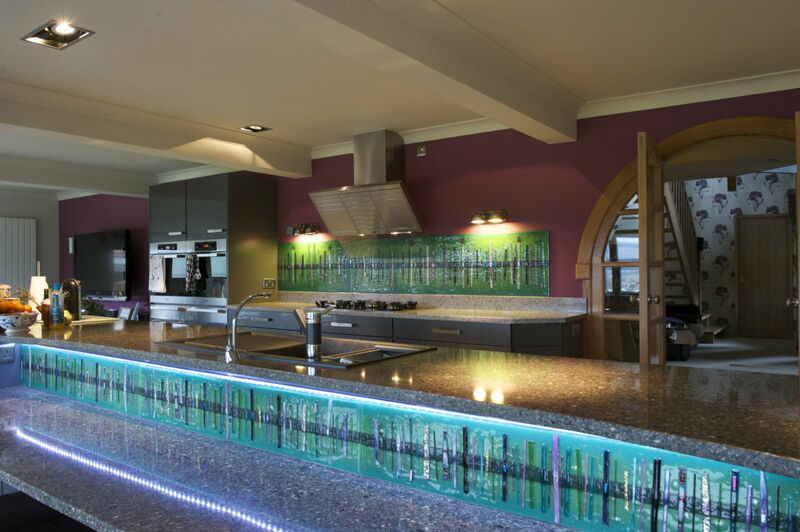 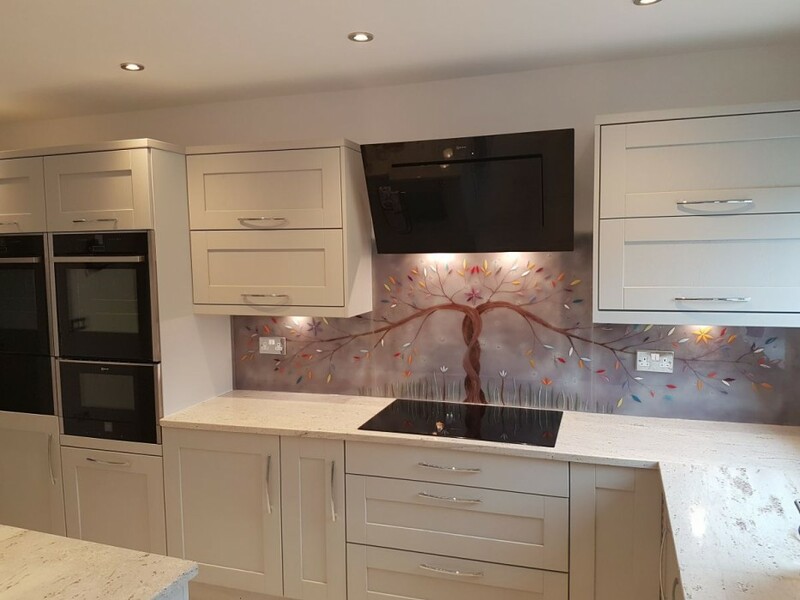 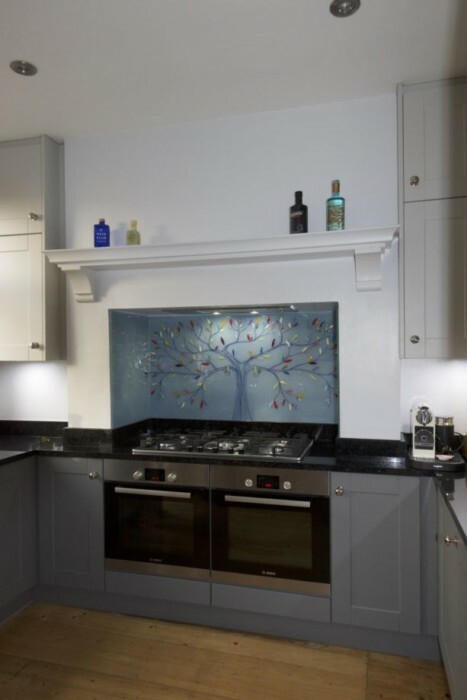 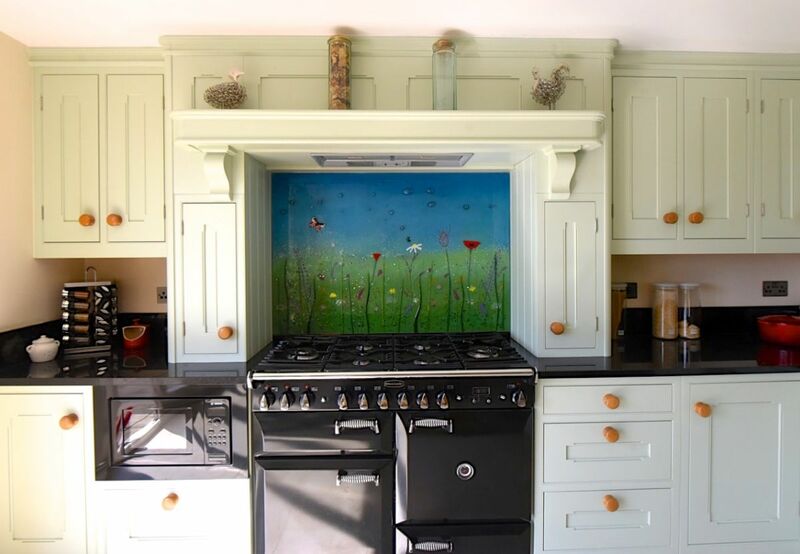 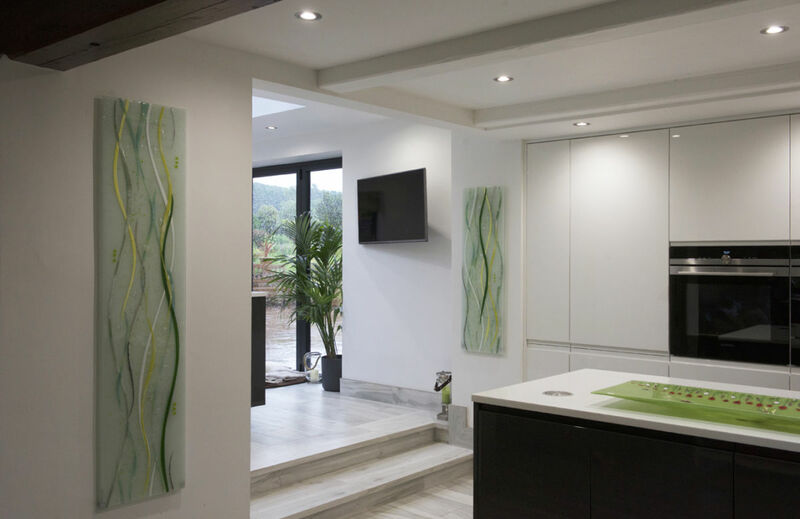 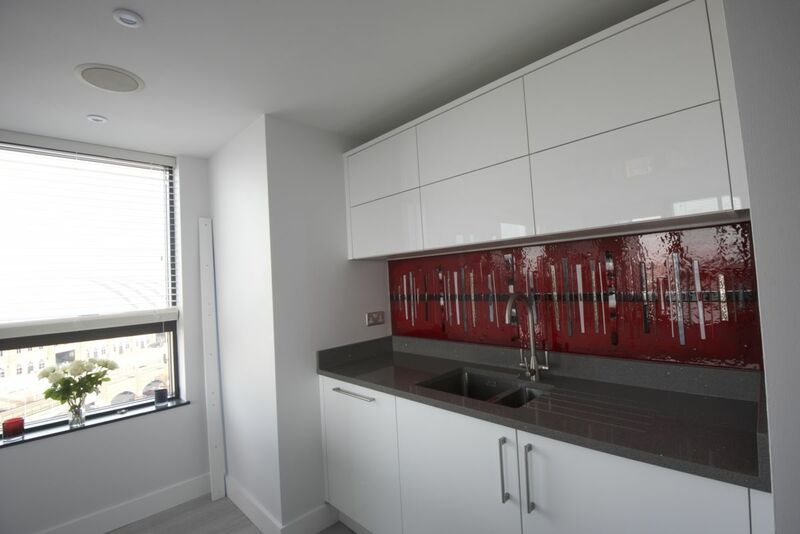 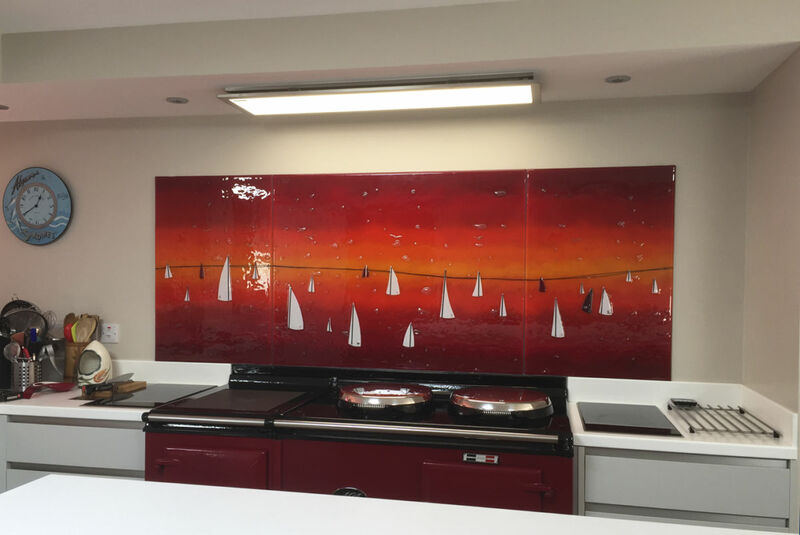 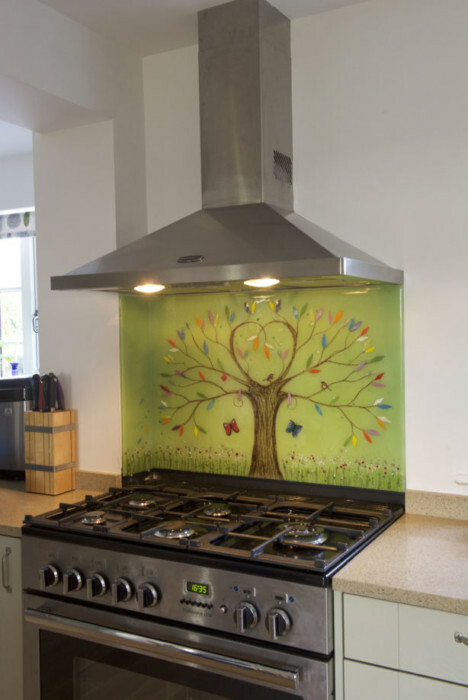 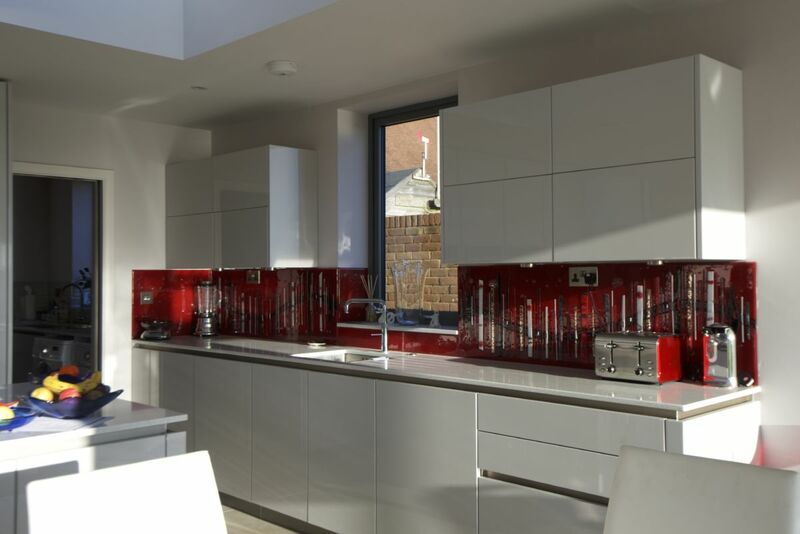 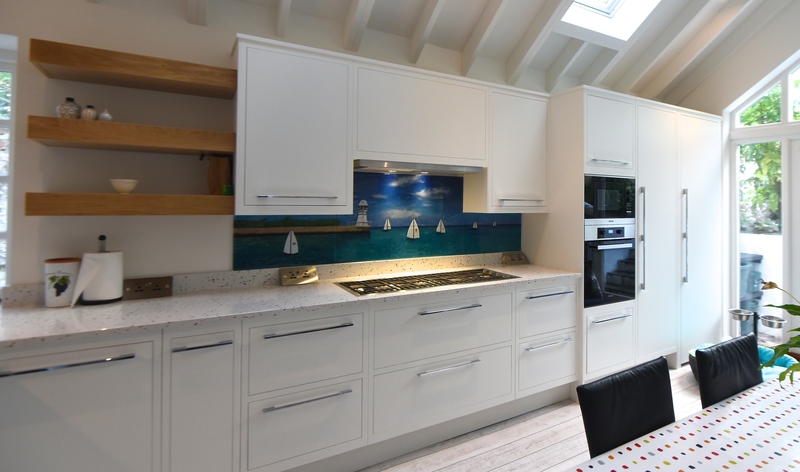 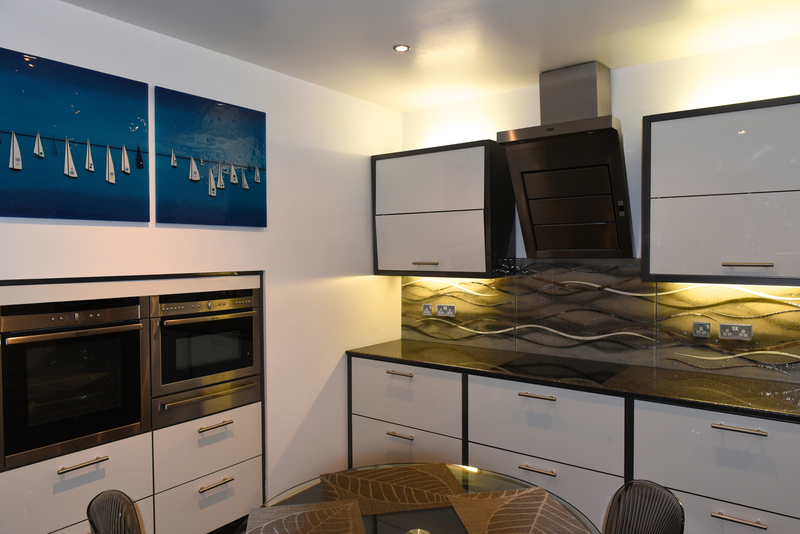 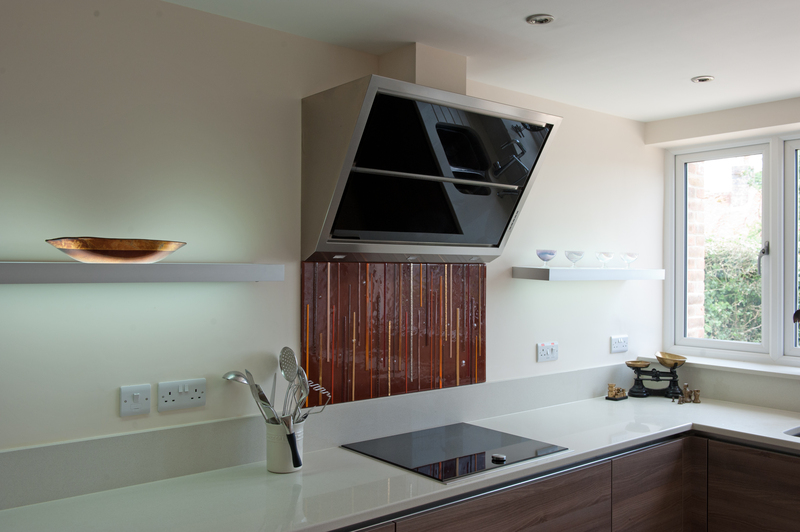 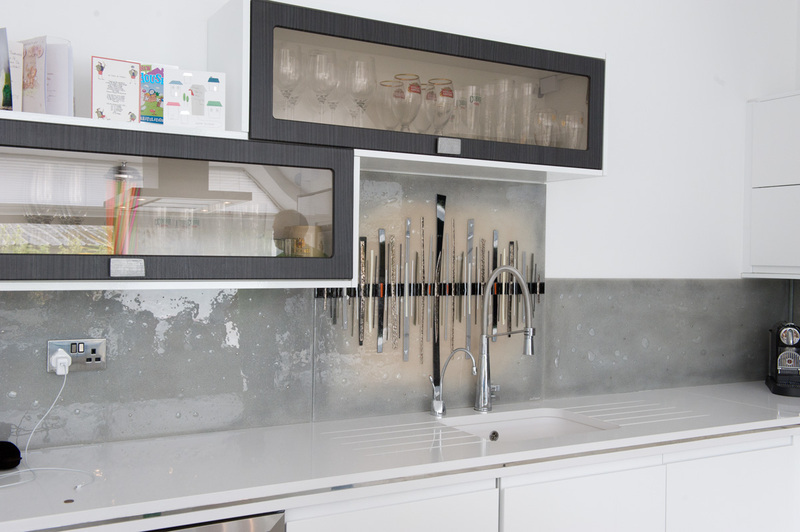 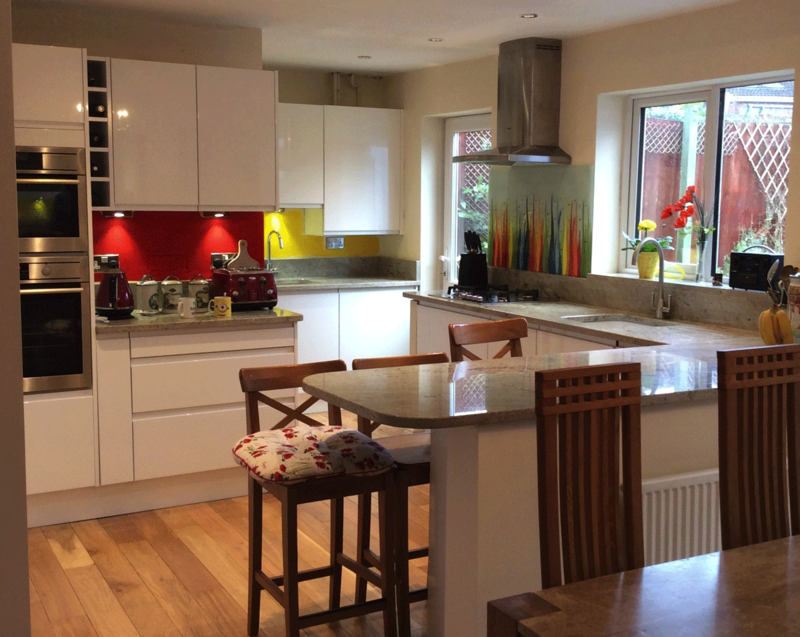 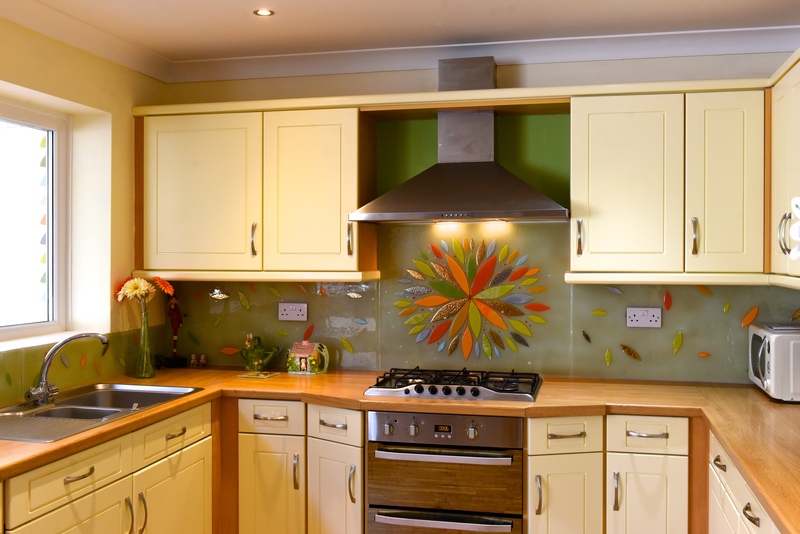 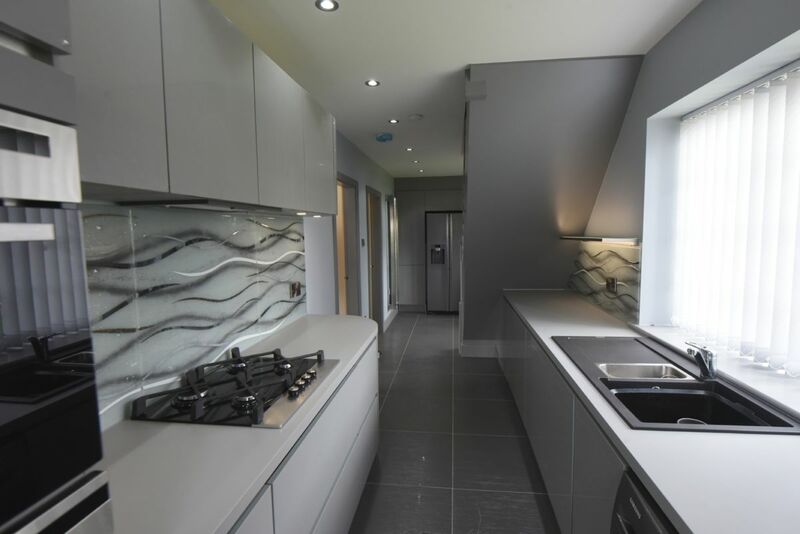 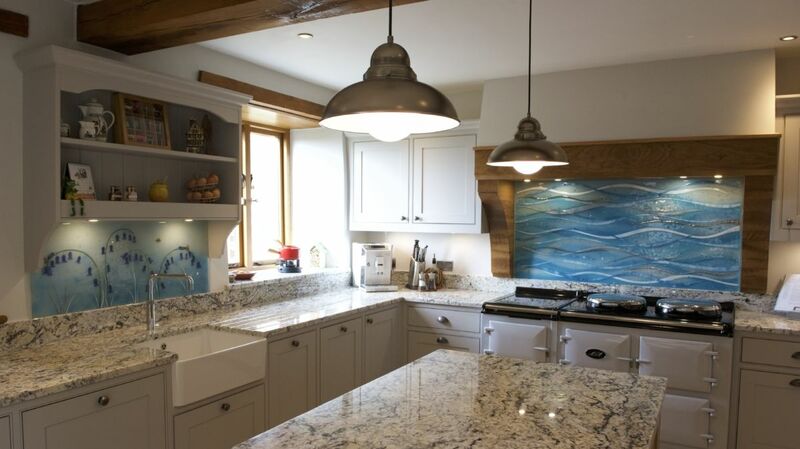 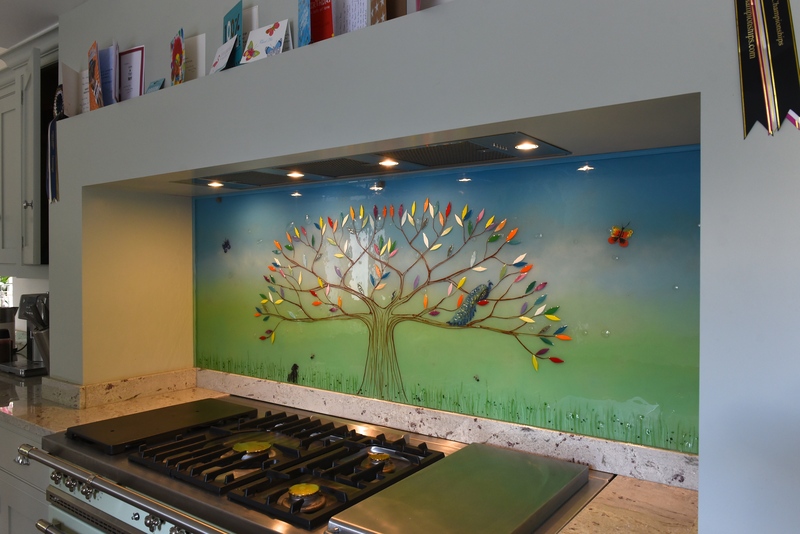 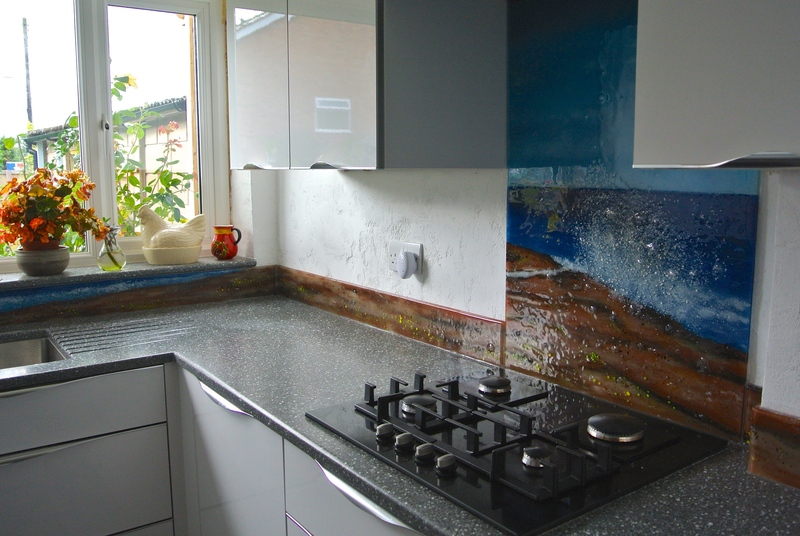 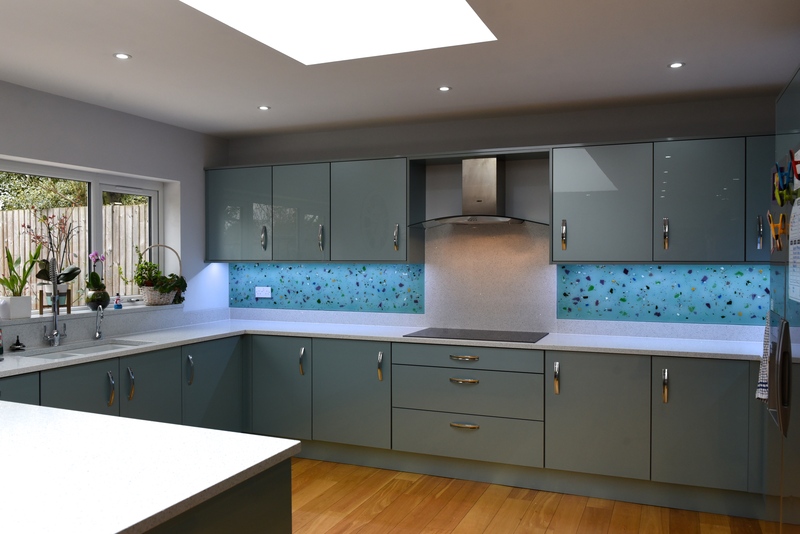 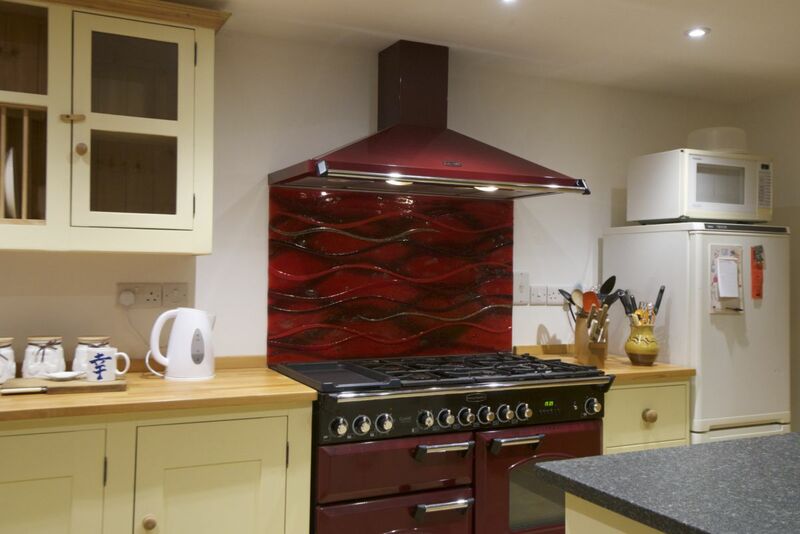 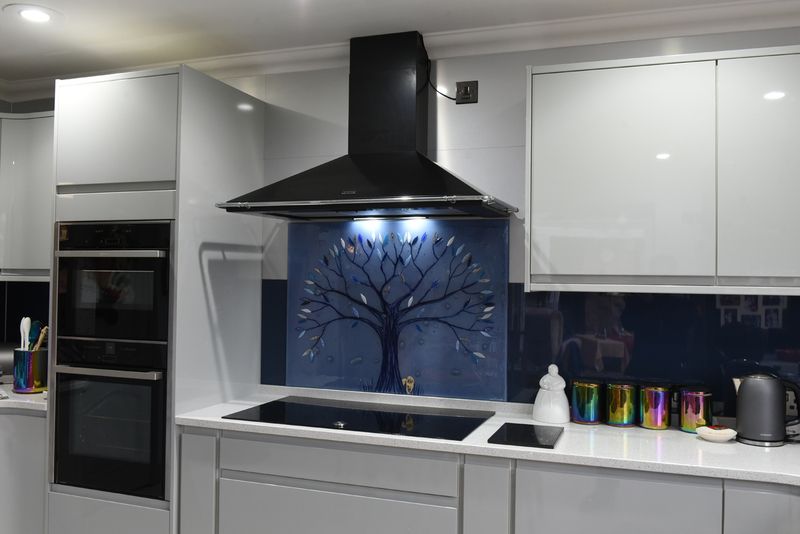 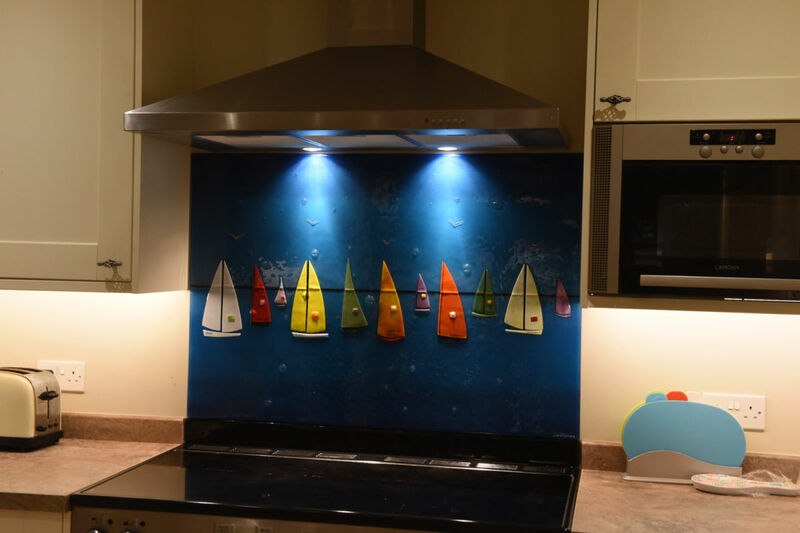 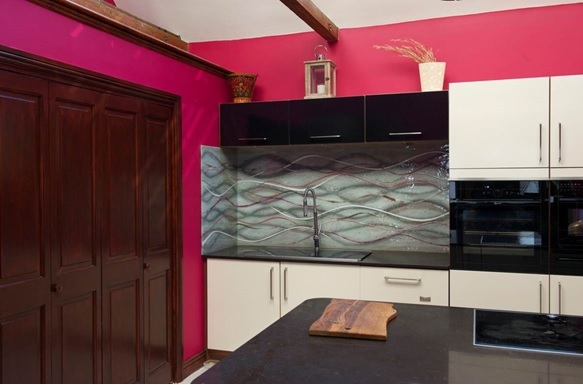 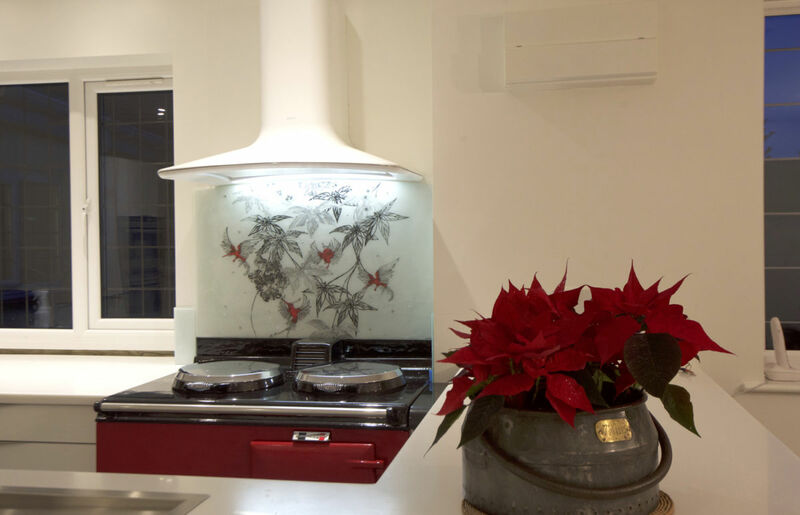 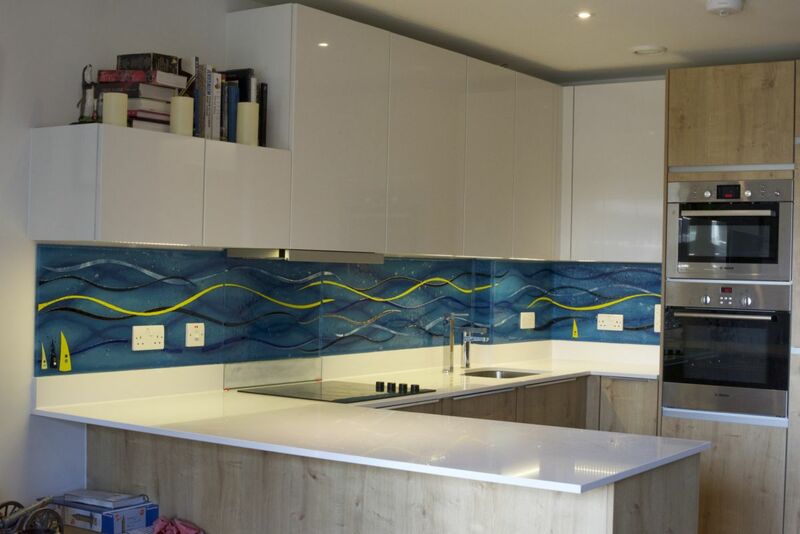 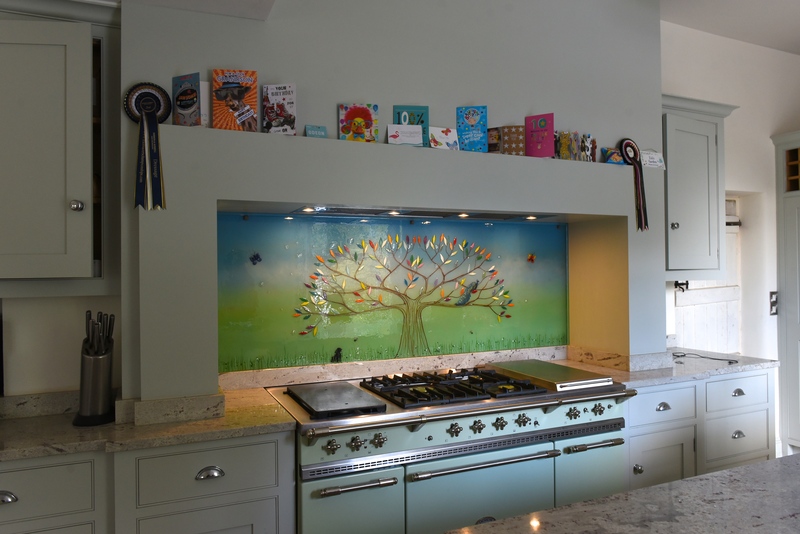 From stunning custom glass splashbacks that can completely transform a kitchen all the way to jaw-dropping glass wall art installations, we here at The House of Ugly Fish have got it all. 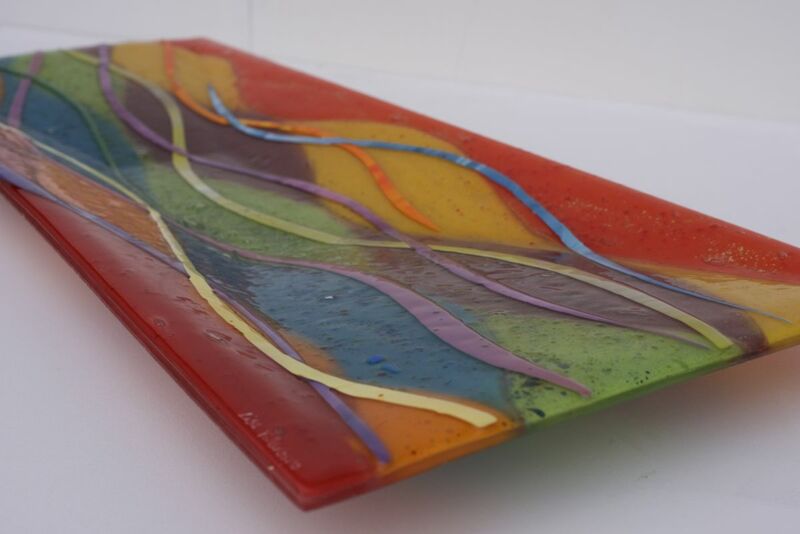 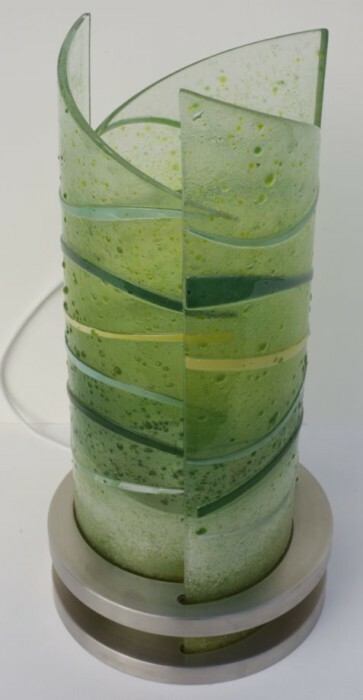 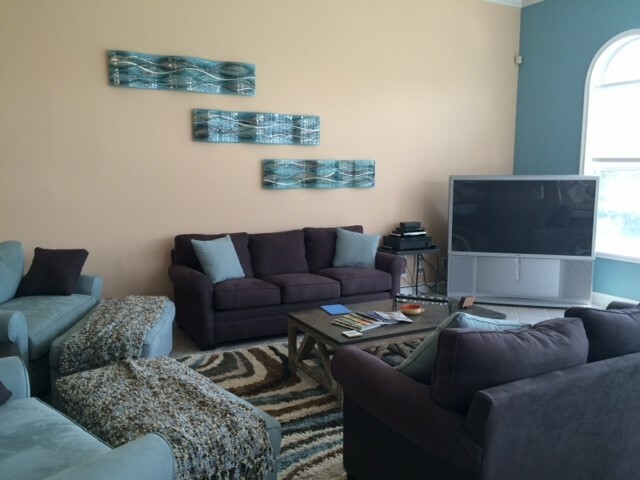 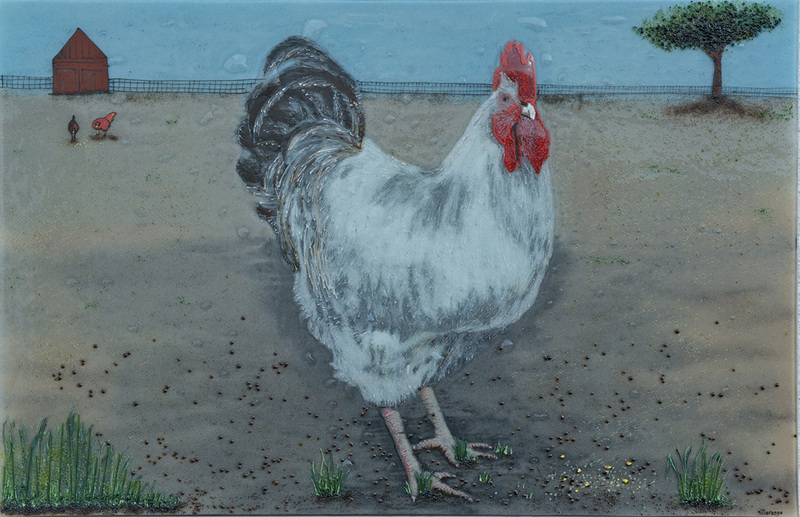 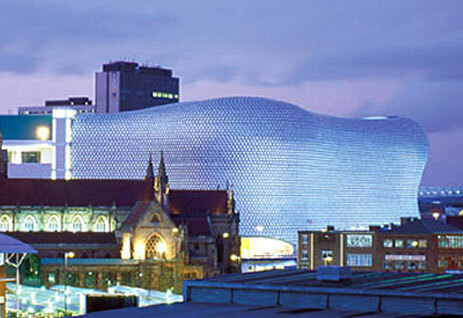 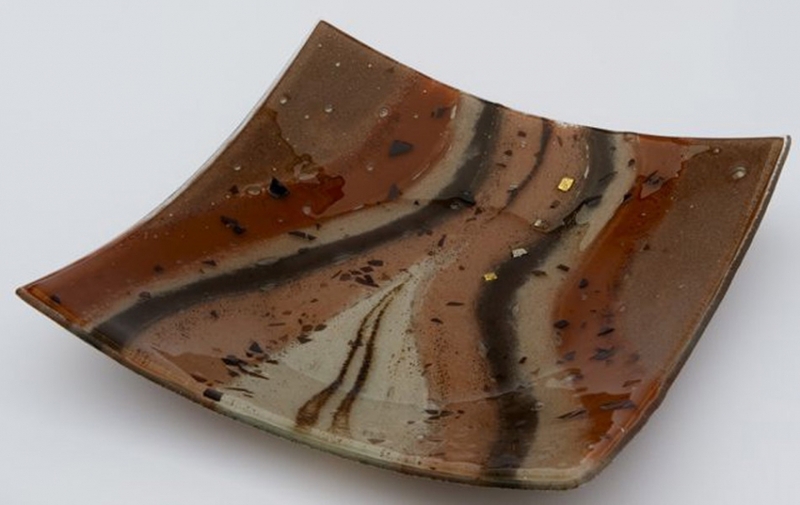 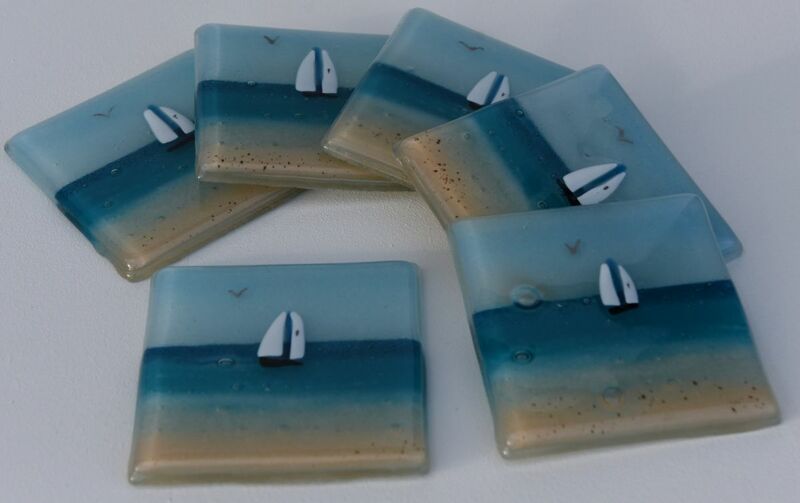 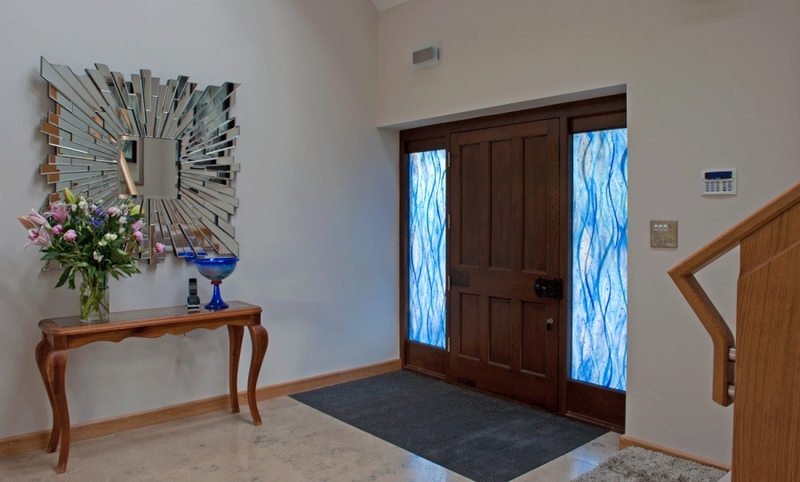 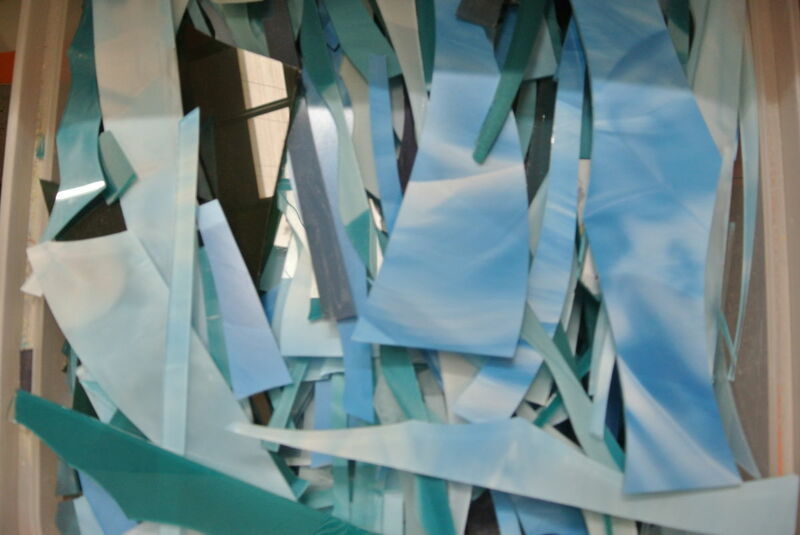 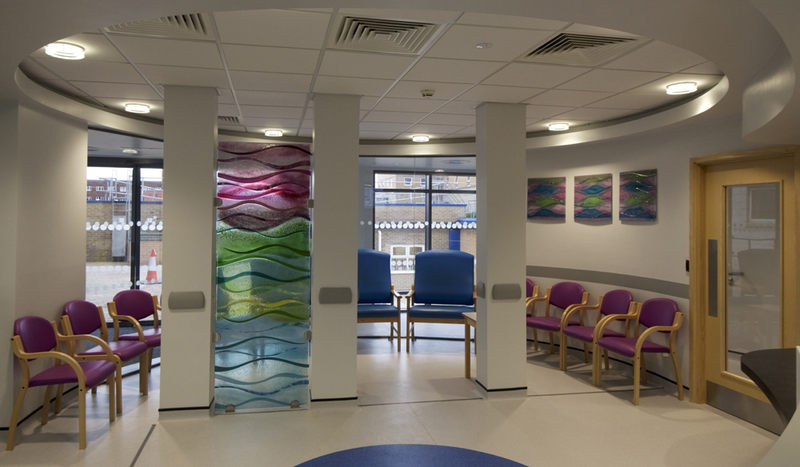 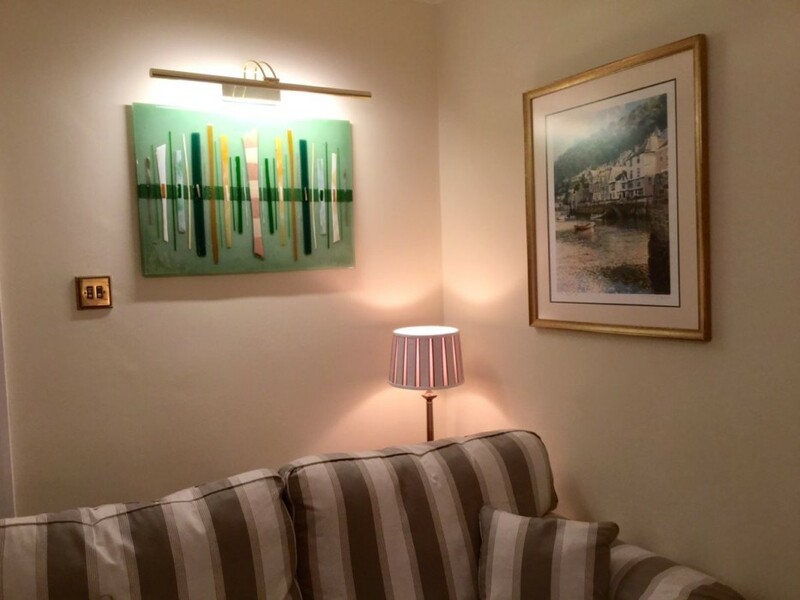 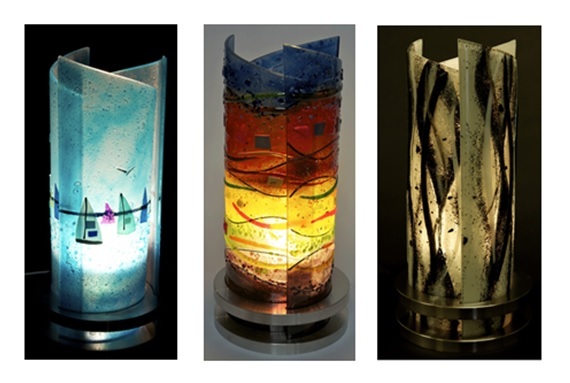 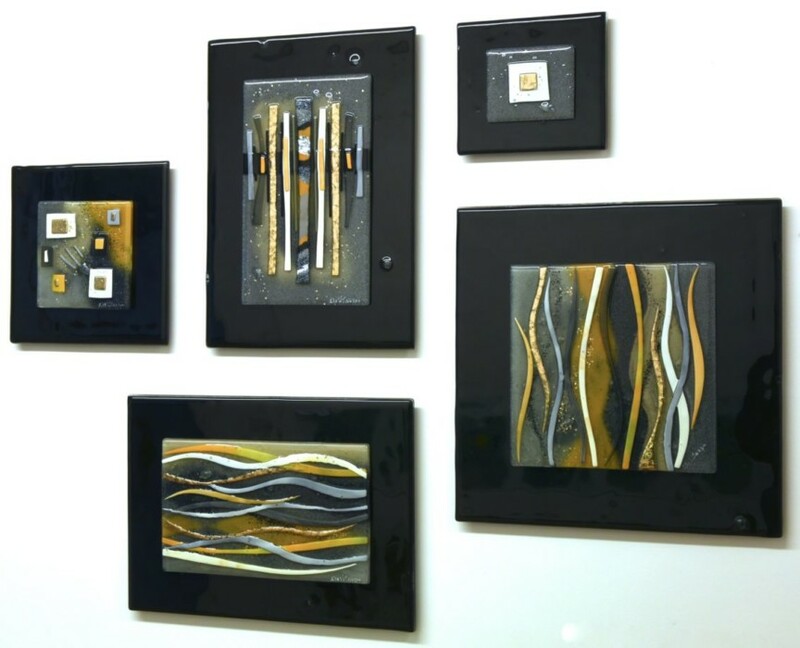 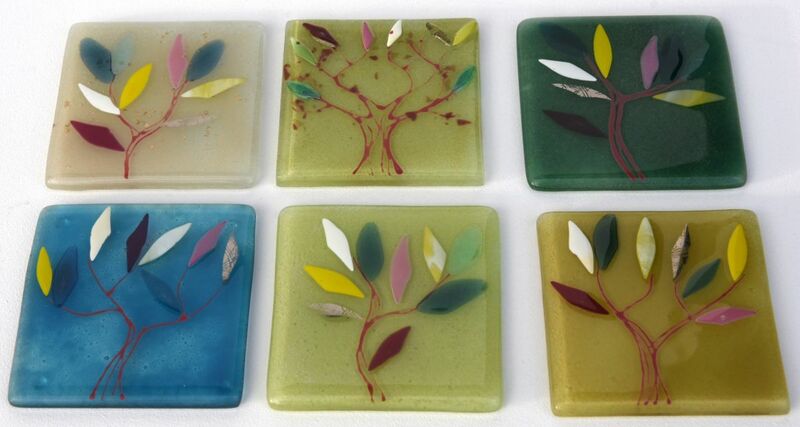 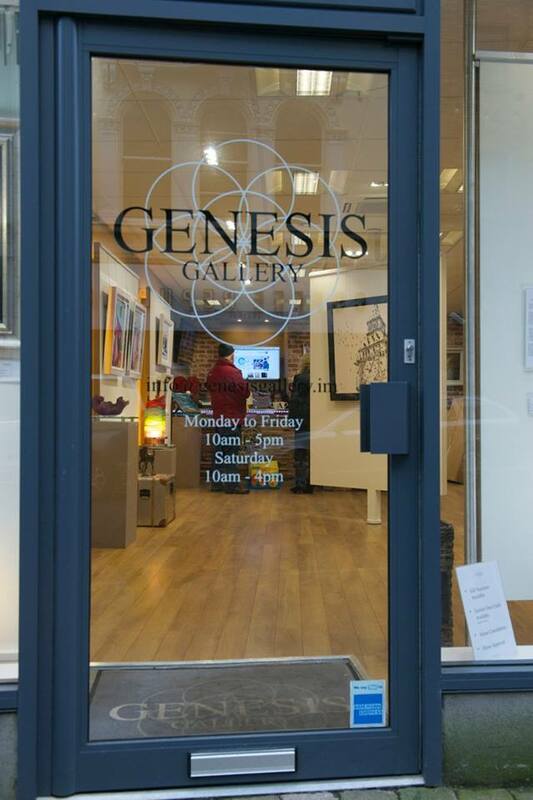 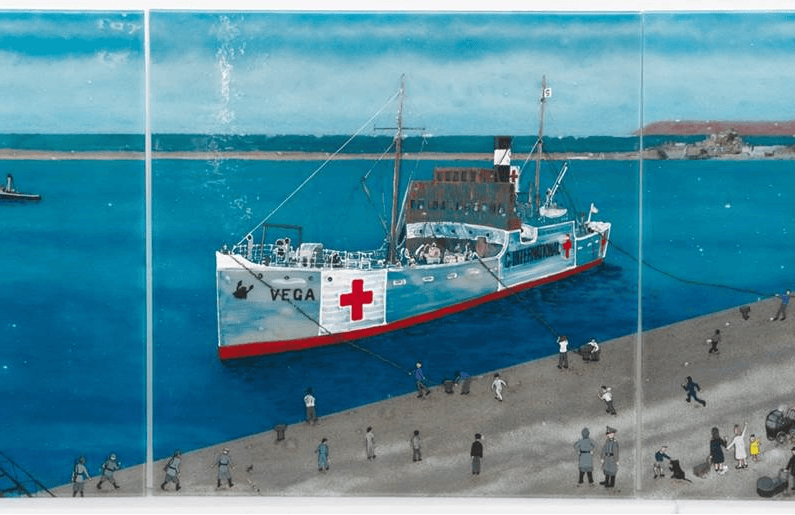 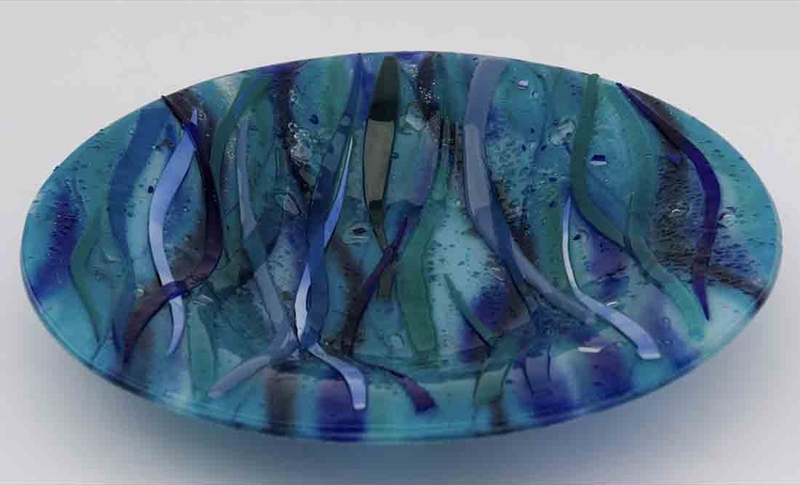 Our fused glass art is nothing if not varied, after all! 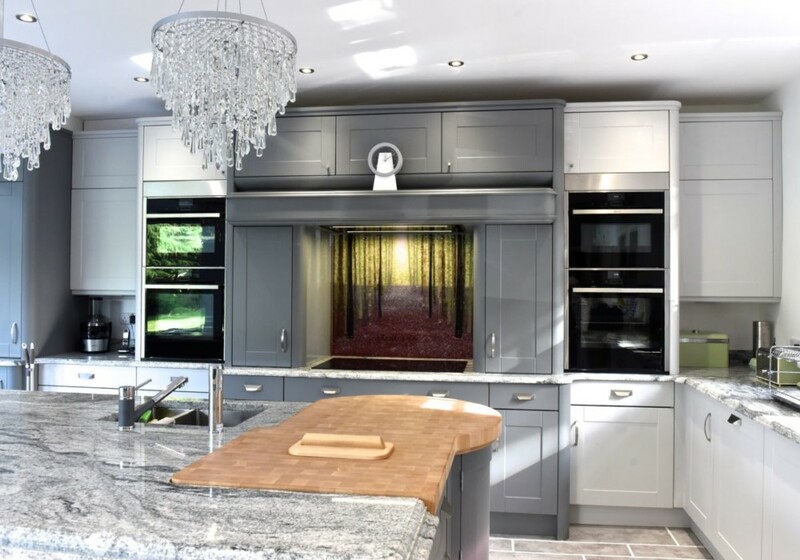 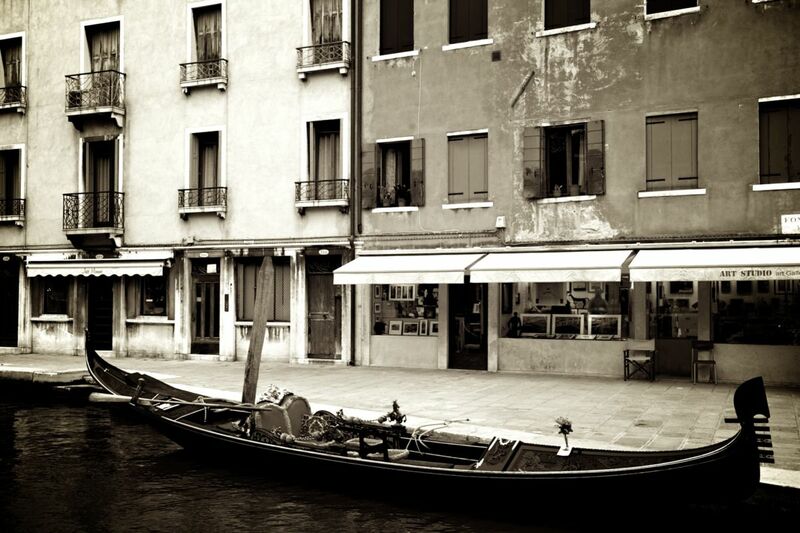 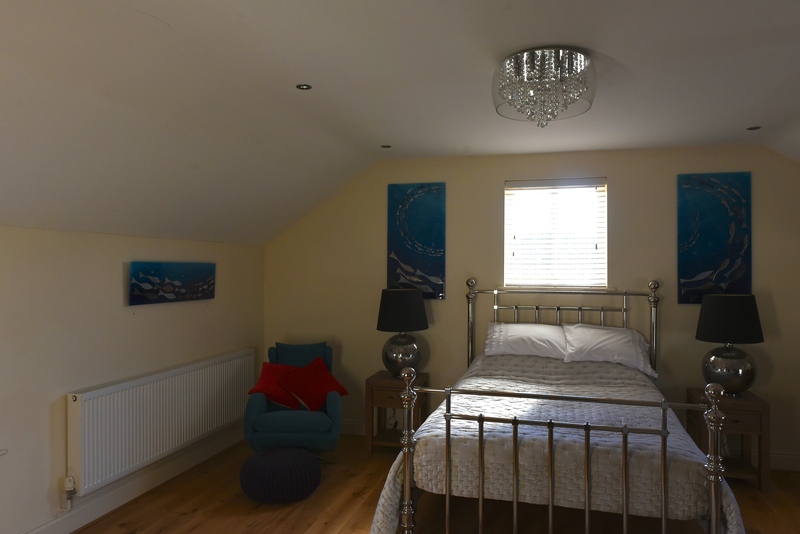 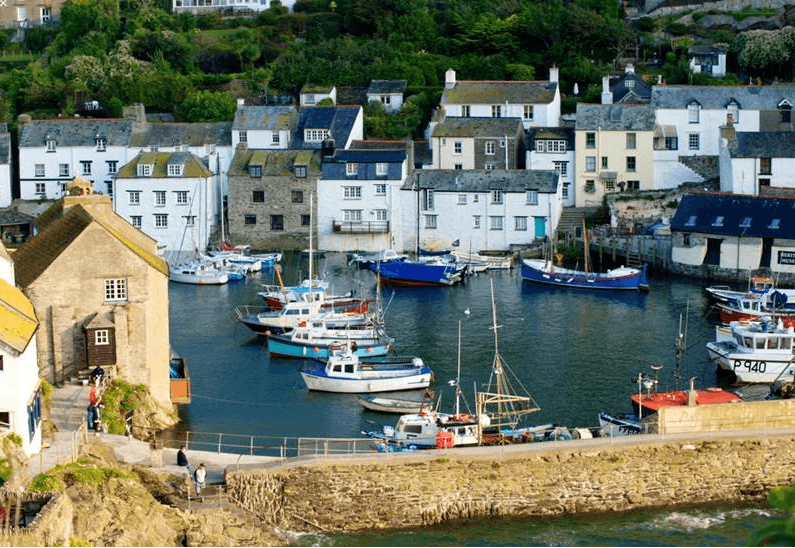 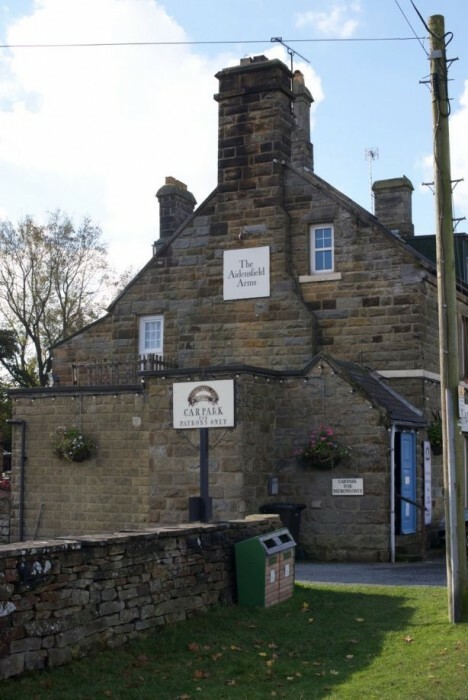 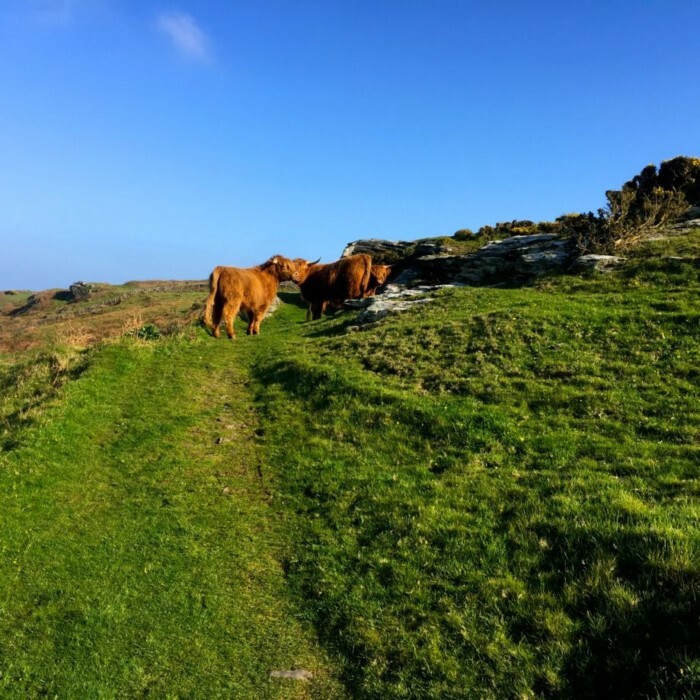 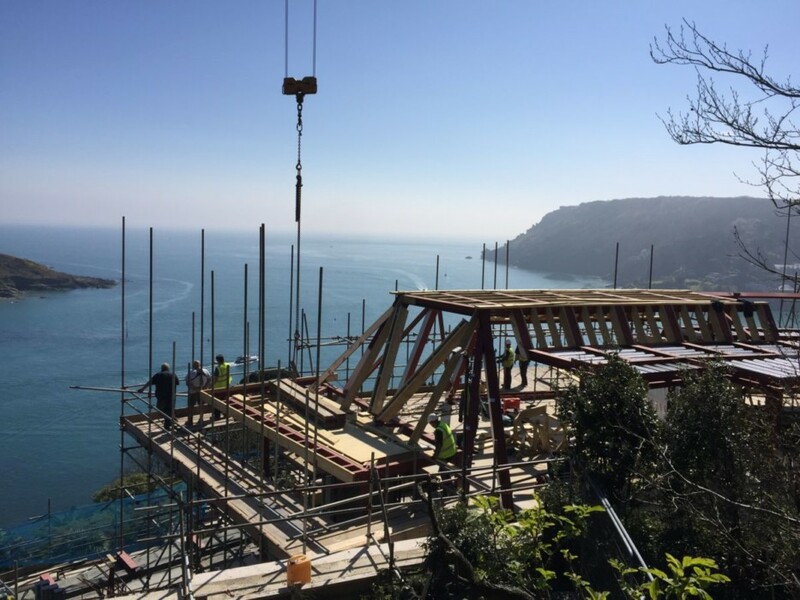 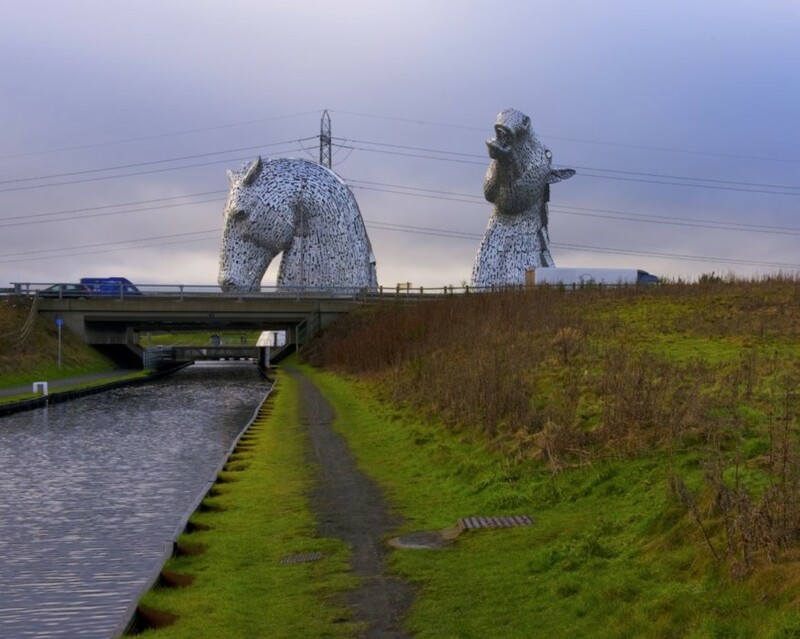 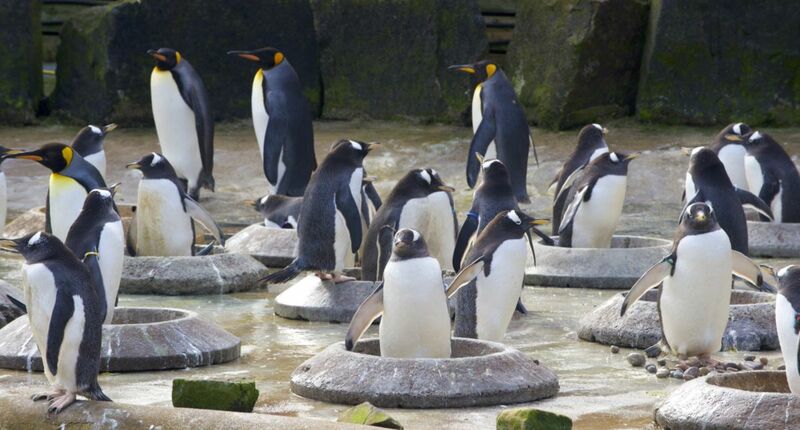 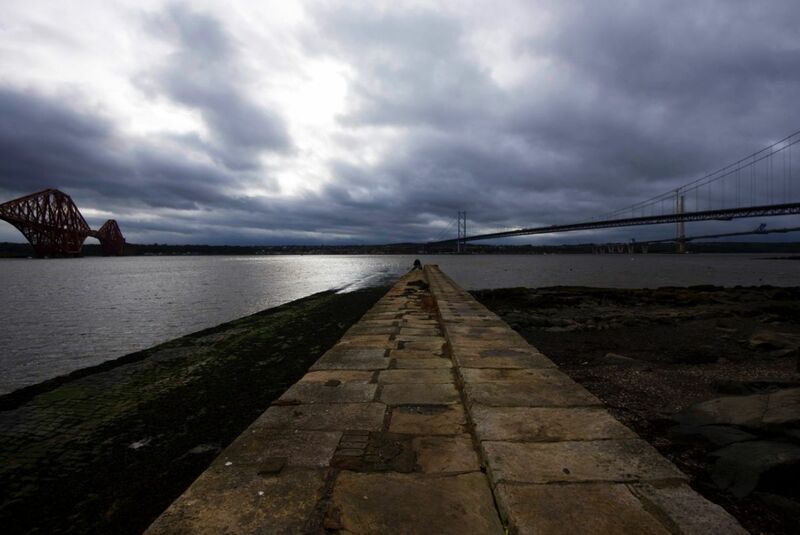 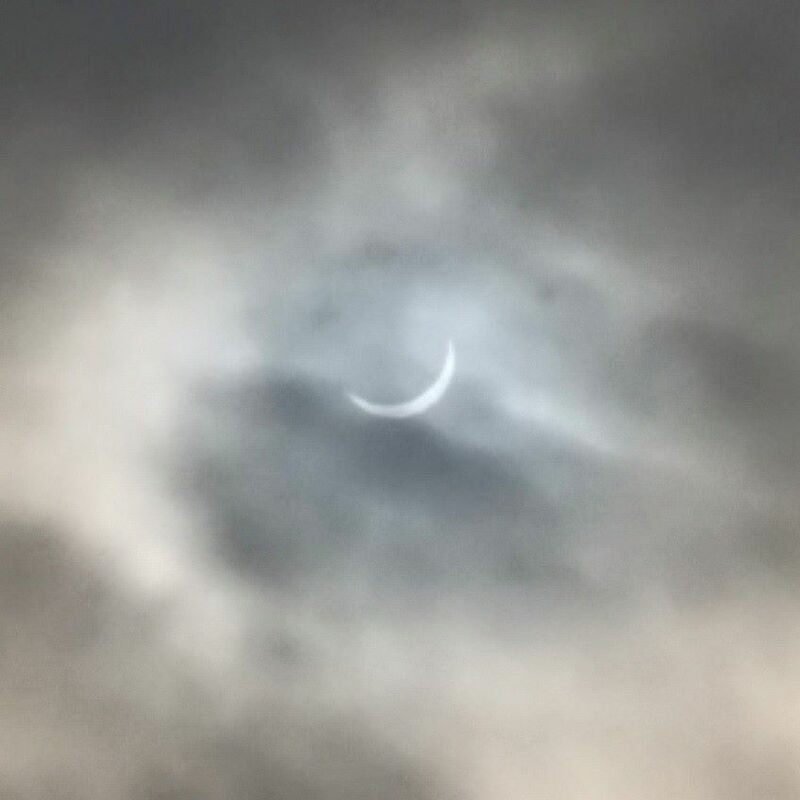 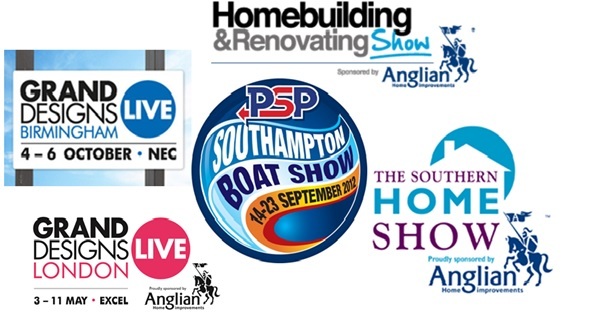 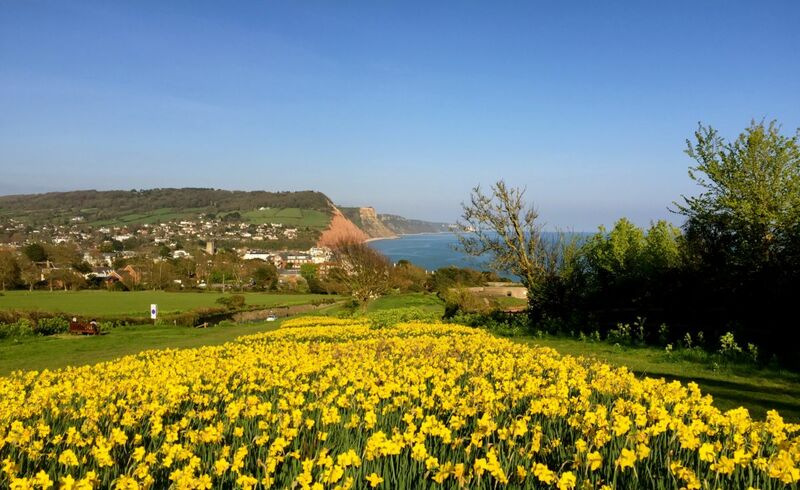 You can find our full contact details and how to find us right here on our website, so don’t be afraid to pick up the phone or drop us an email. 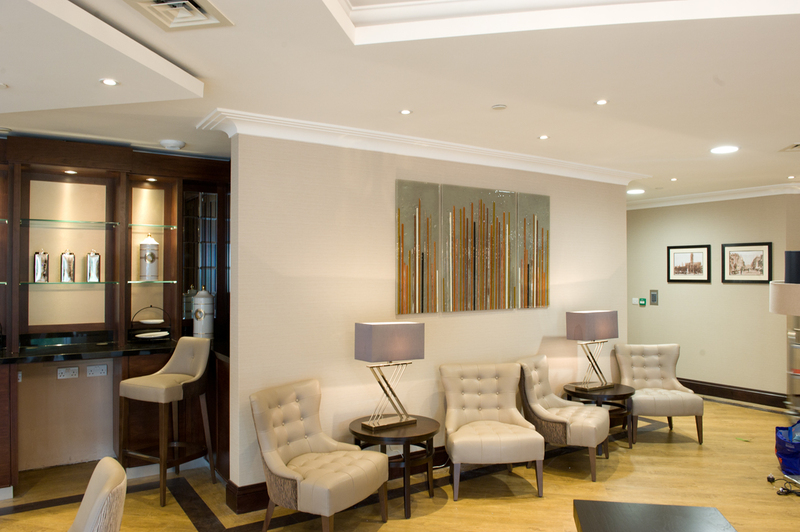 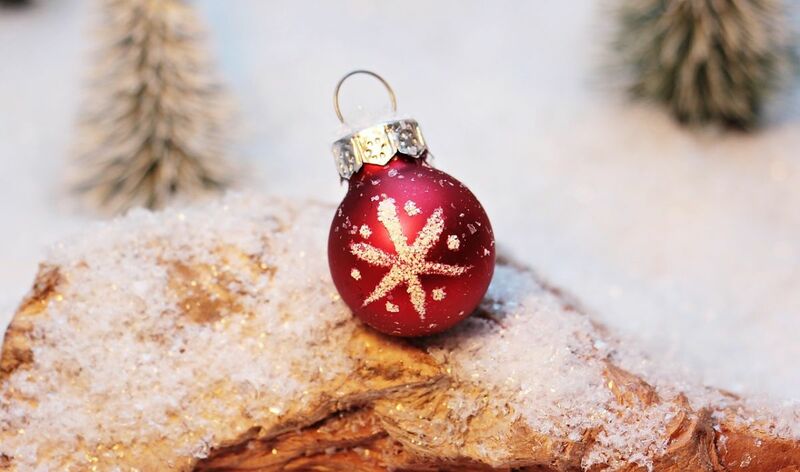 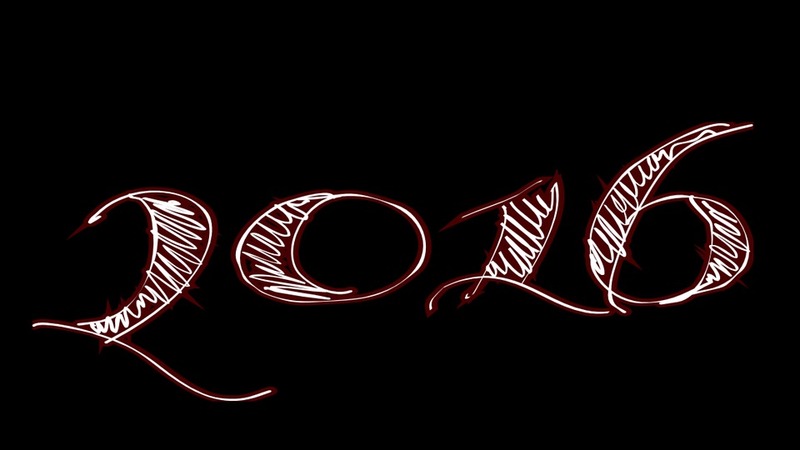 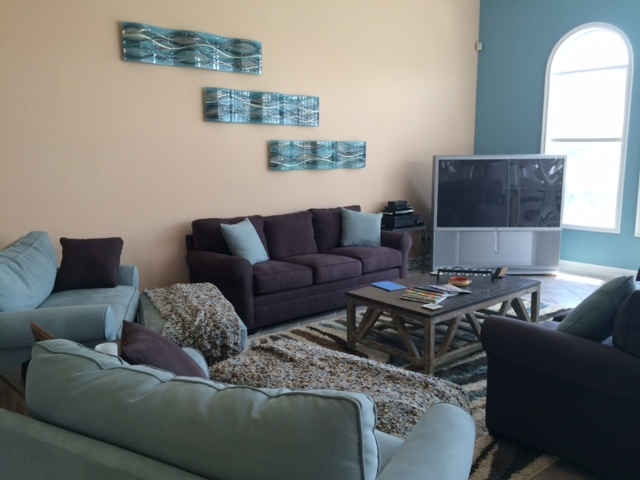 We’d love to hear from you as soon as possible!